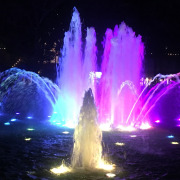 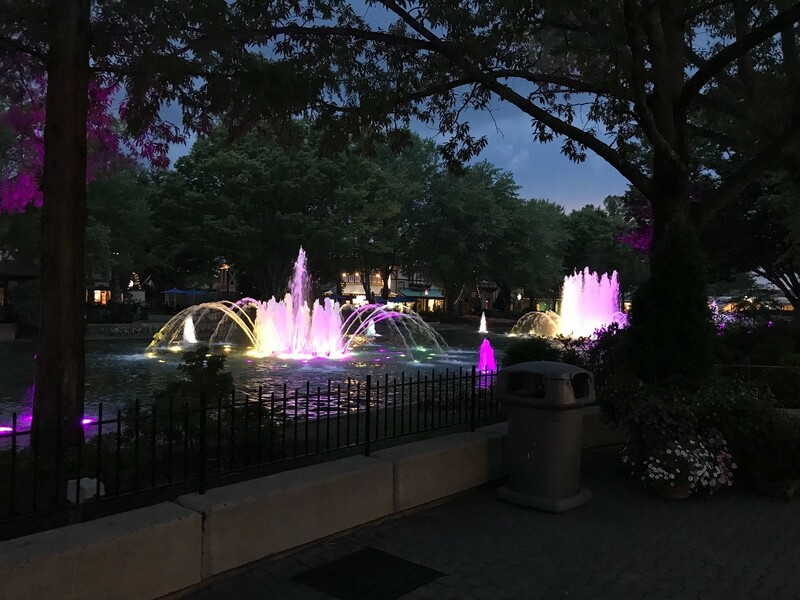 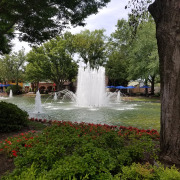 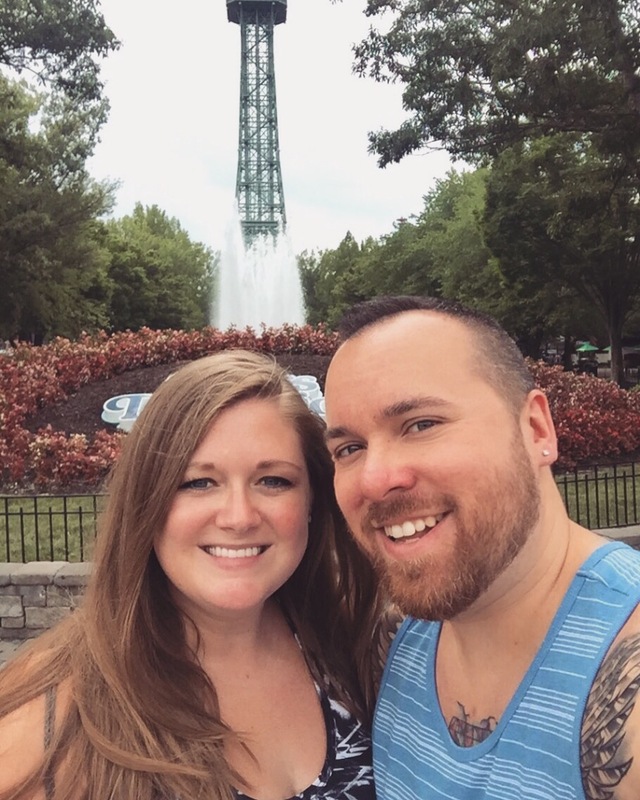 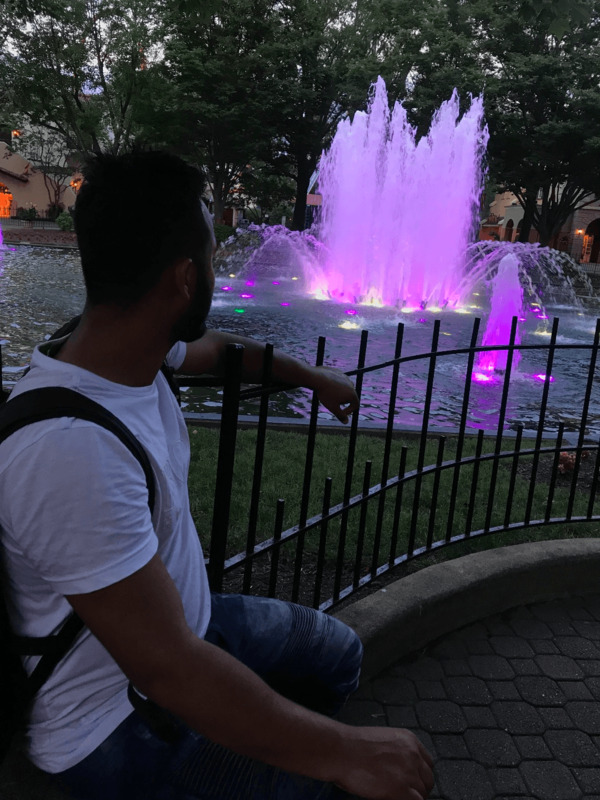 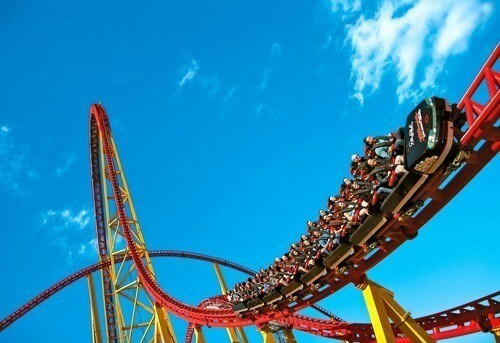 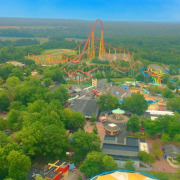 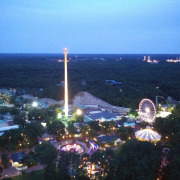 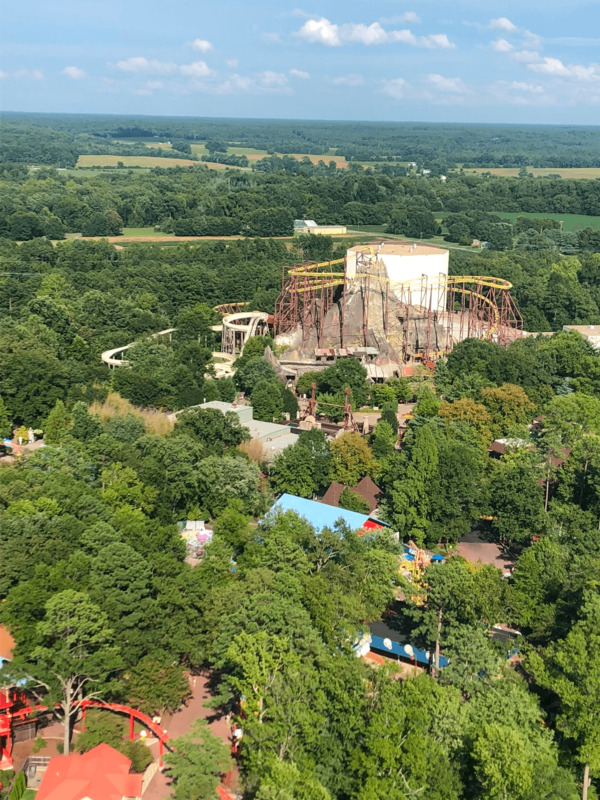 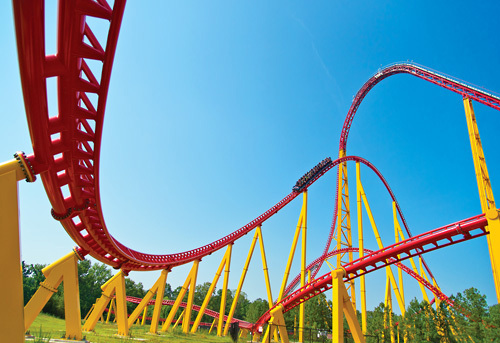 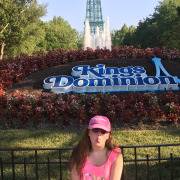 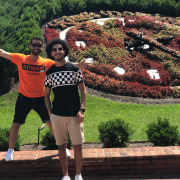 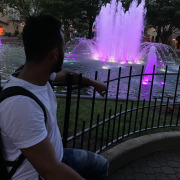 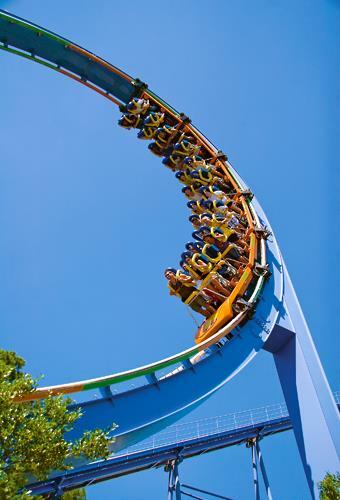 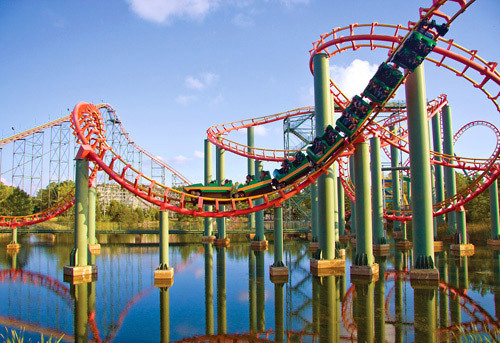 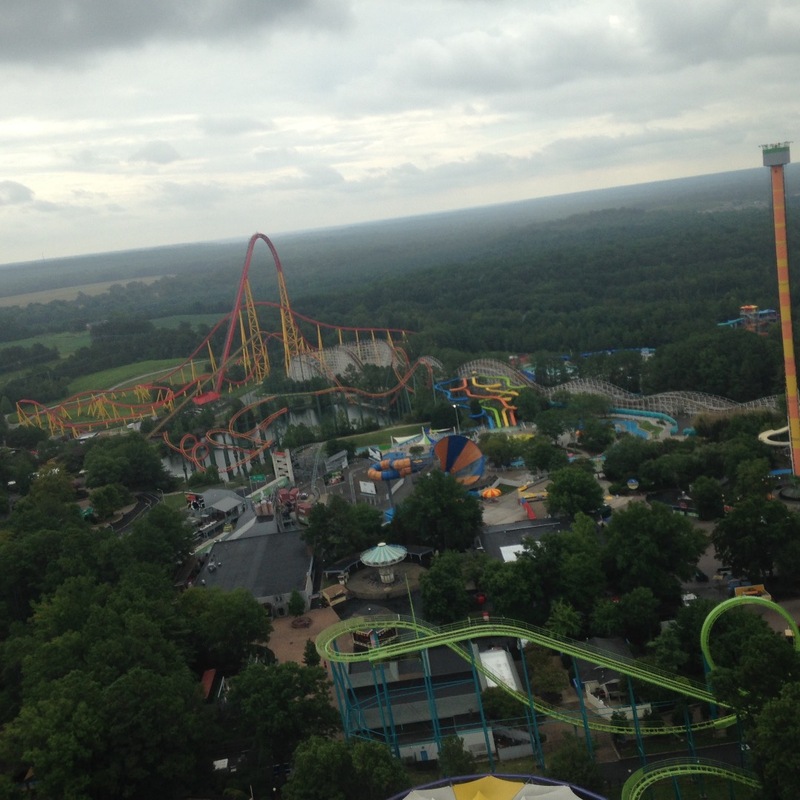 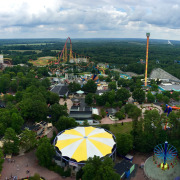 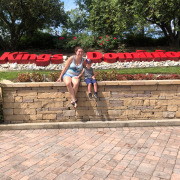 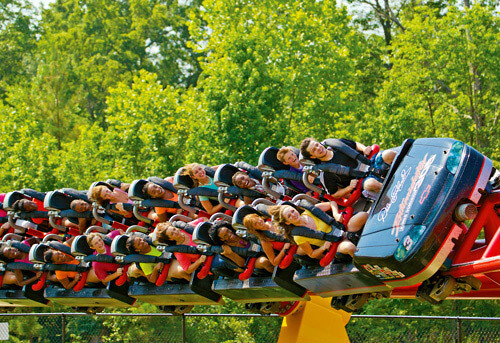 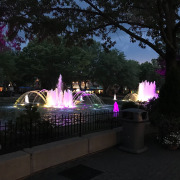 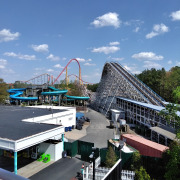 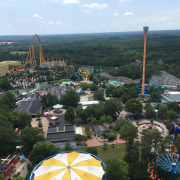 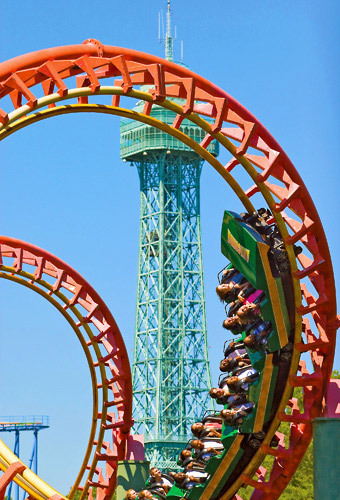 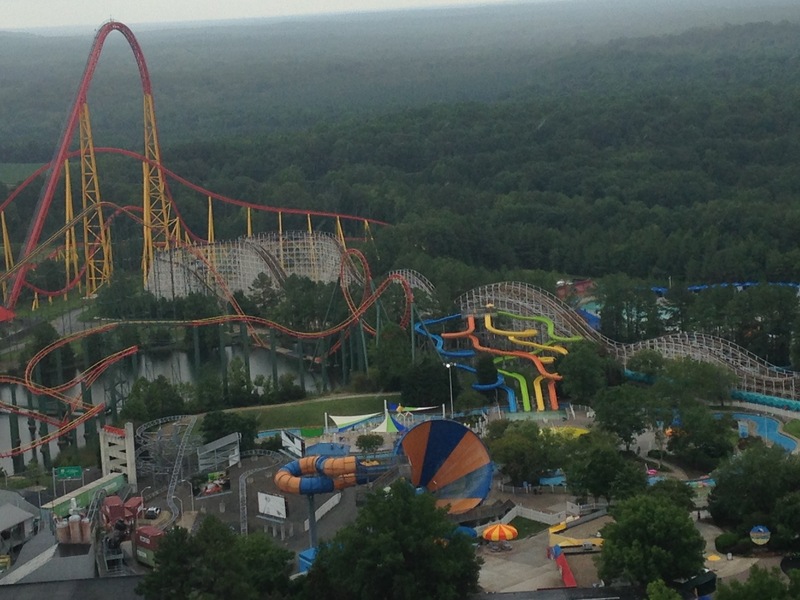 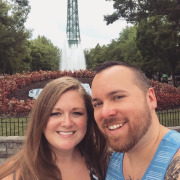 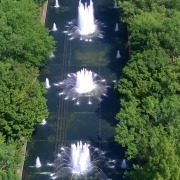 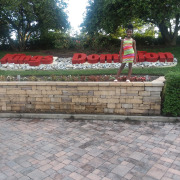 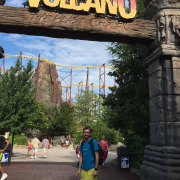 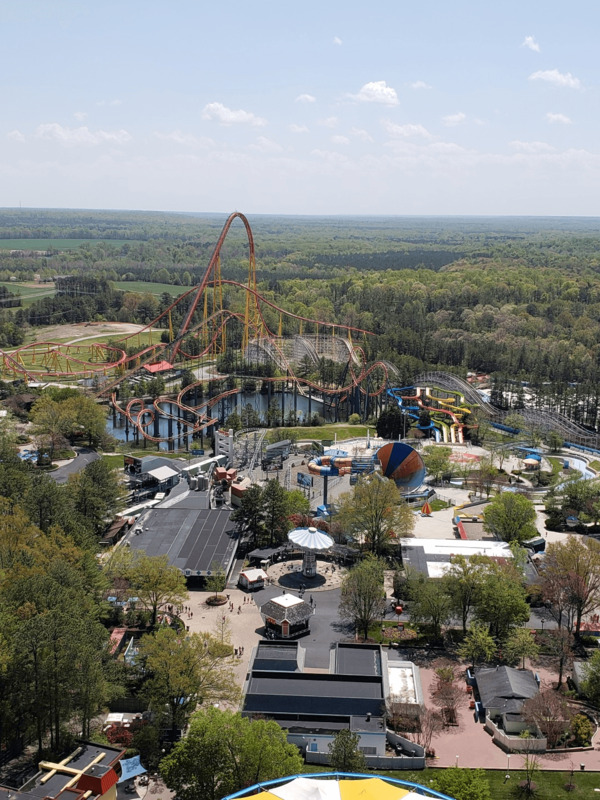 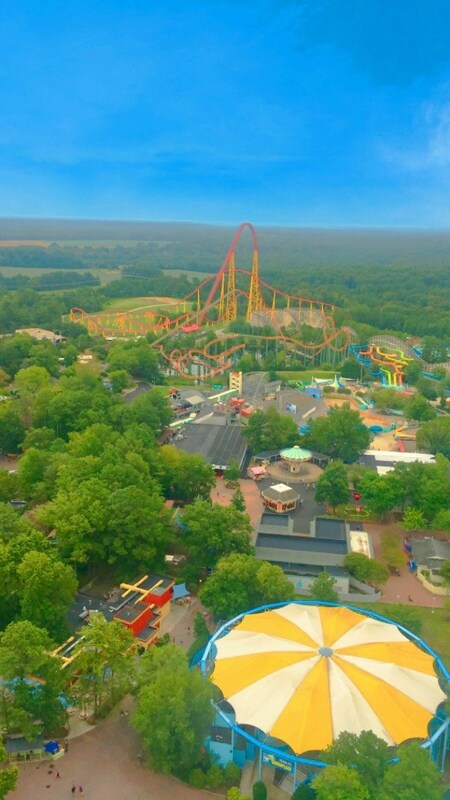 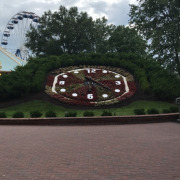 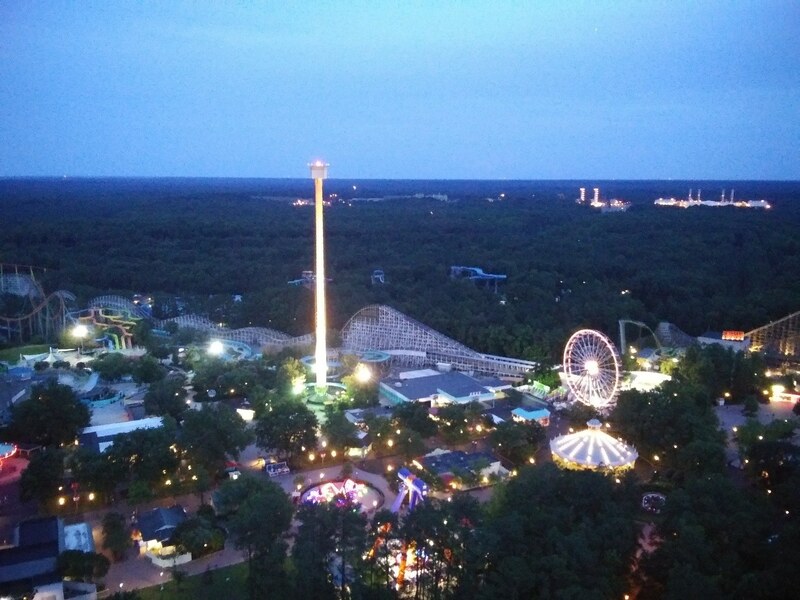 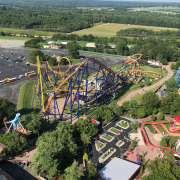 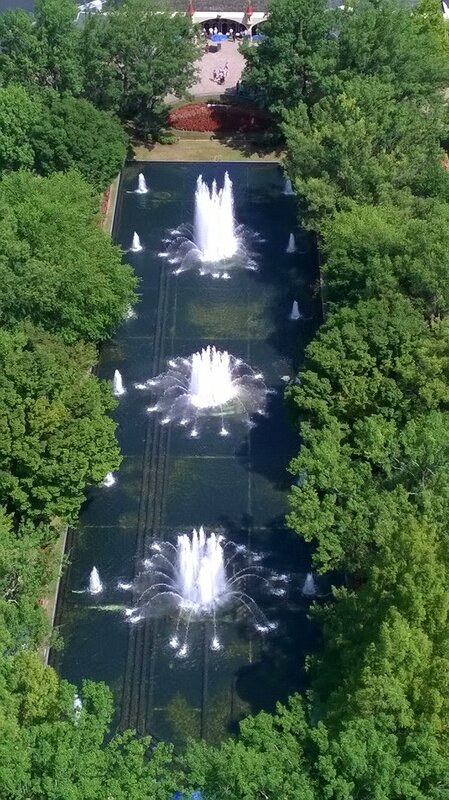 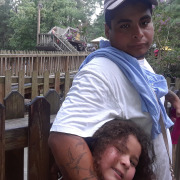 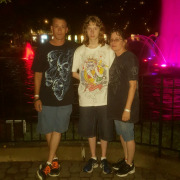 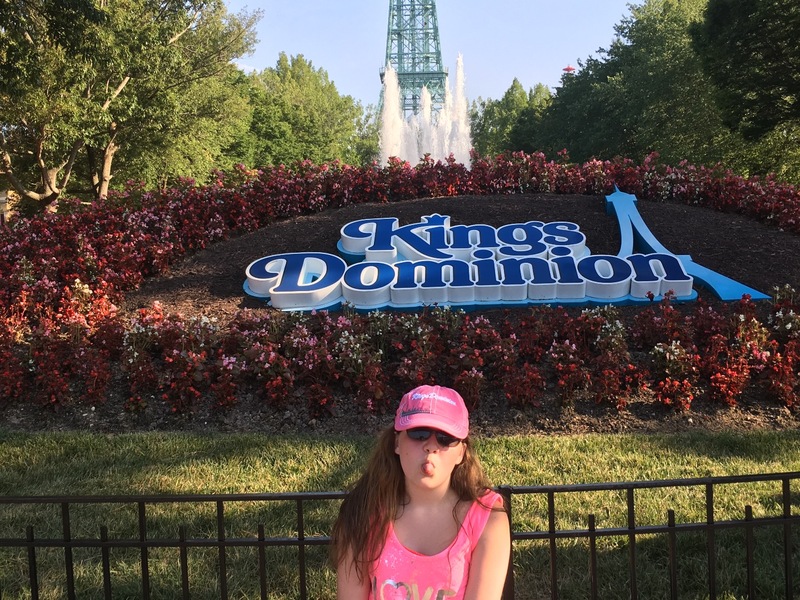 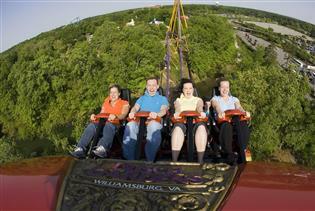 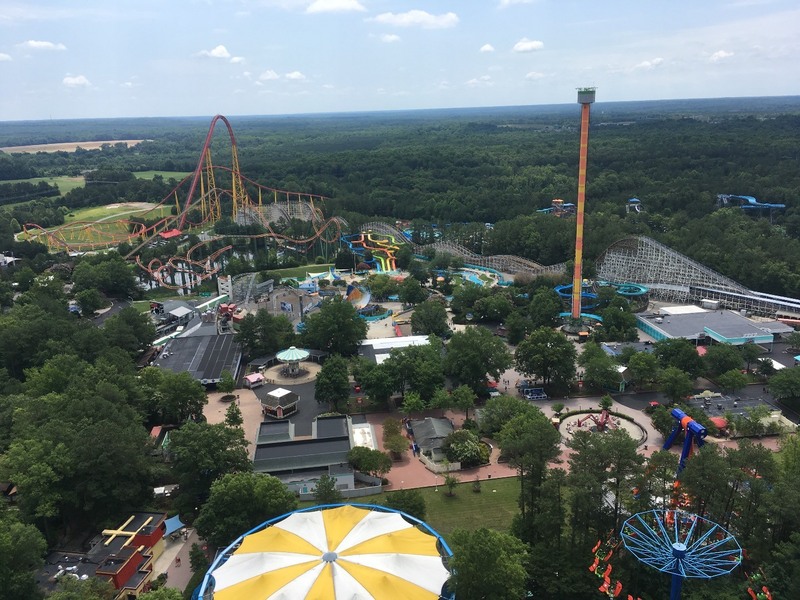 Kings Dominion is a 400-acre theme park that features 60 rides, shows and attractions, as well as a 20-acre water park. 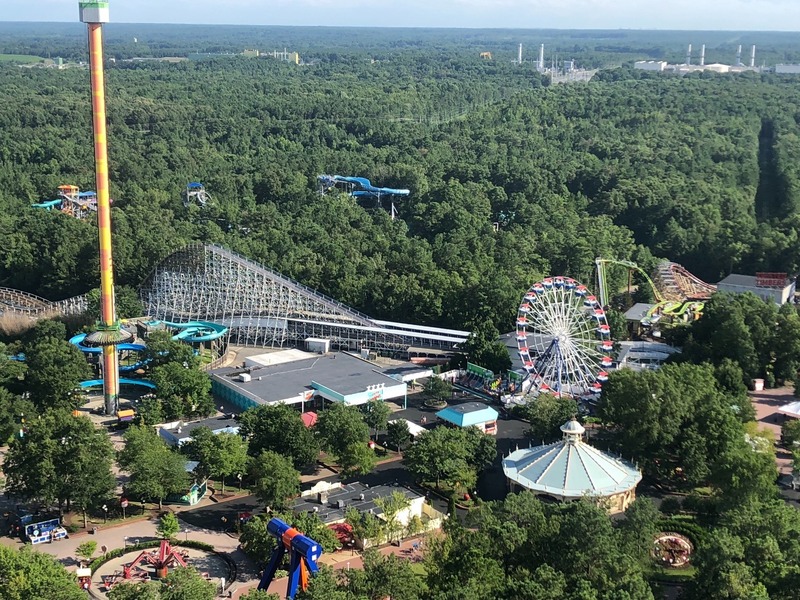 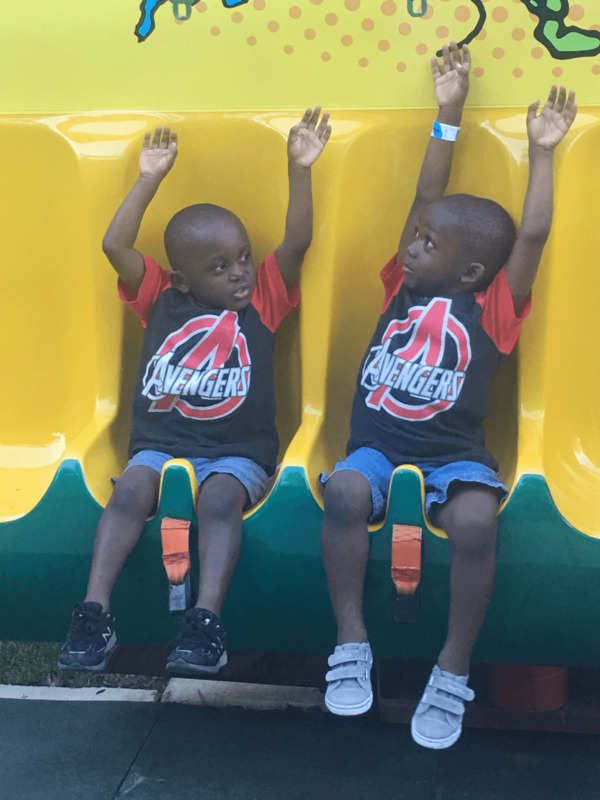 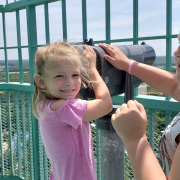 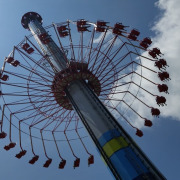 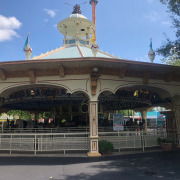 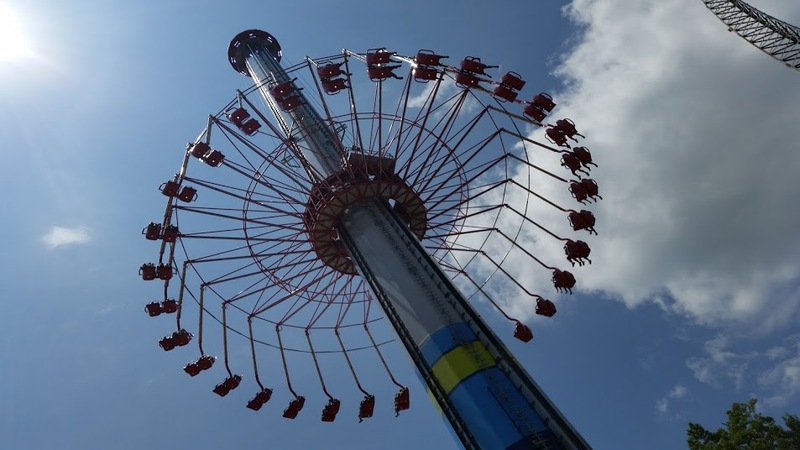 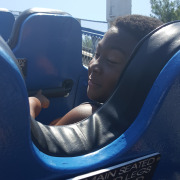 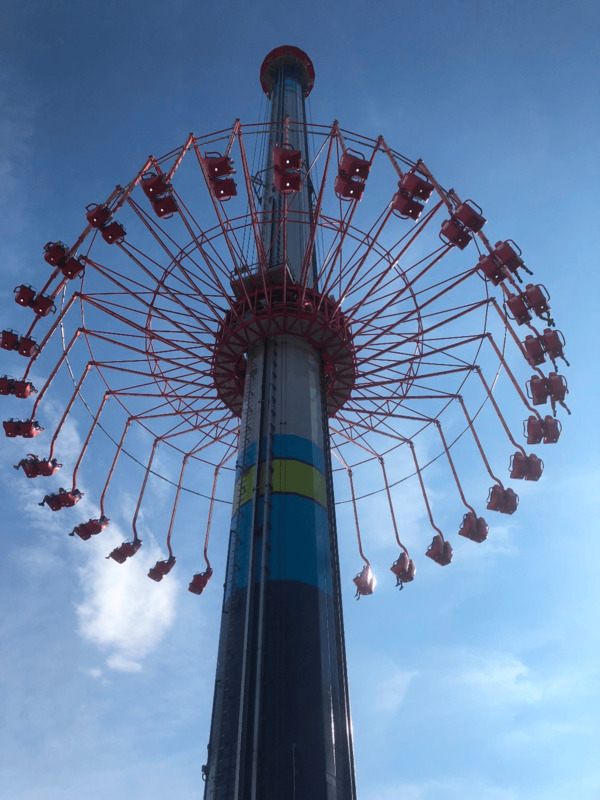 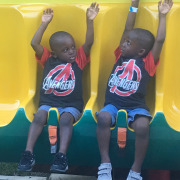 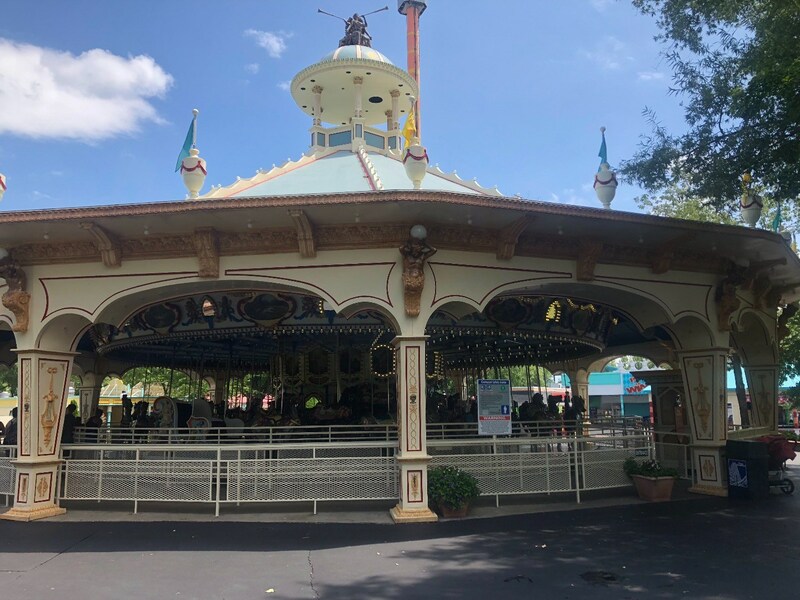 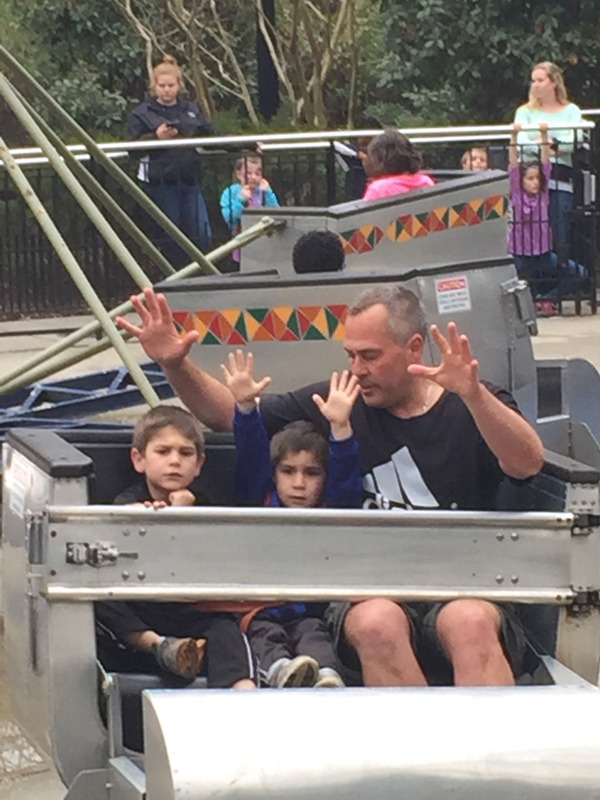 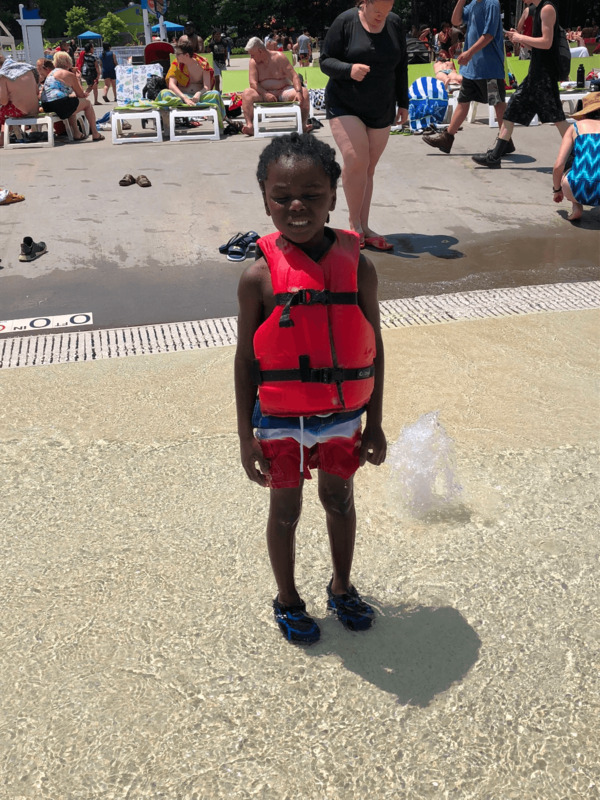 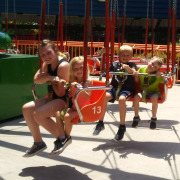 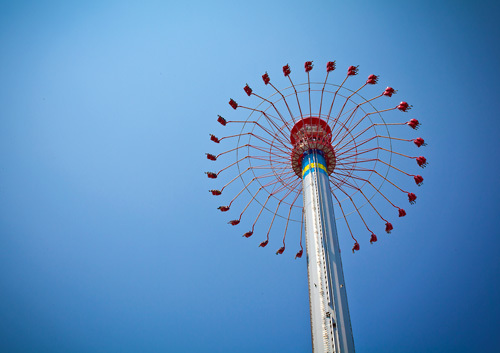 Thrill seekers can enjoy hair-raising rides like WindSeeker and Intimidator 305; water lovers can spend time making a splash with slides, rushing rivers and a 650,000-gallon wave pool in Soak City; and families with little ones can share memories on the Grand Carousel. 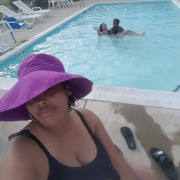 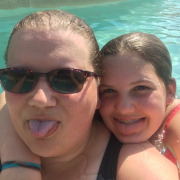 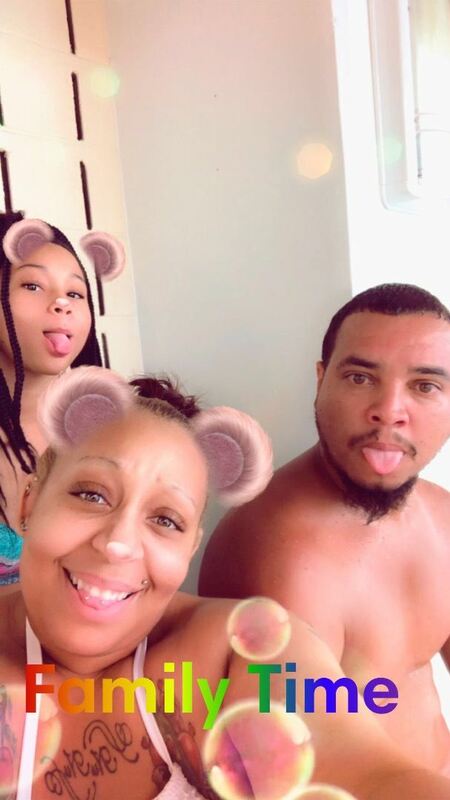 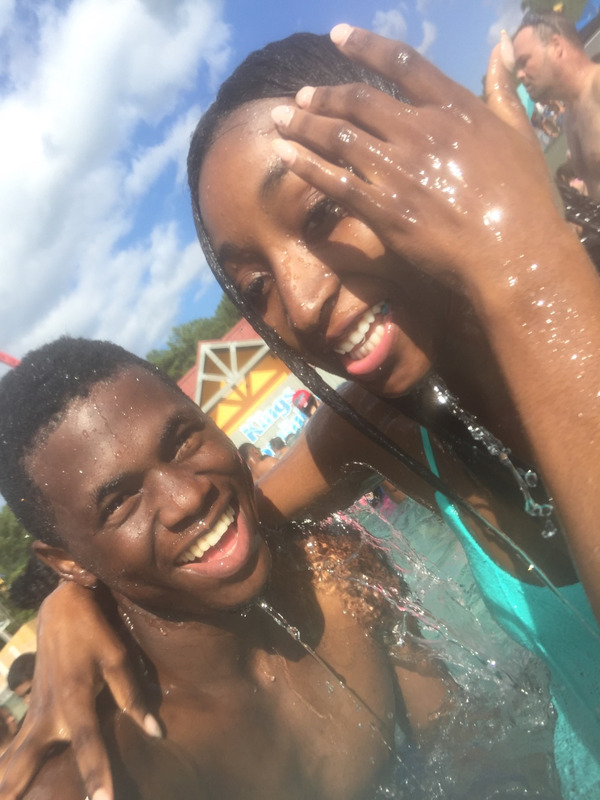 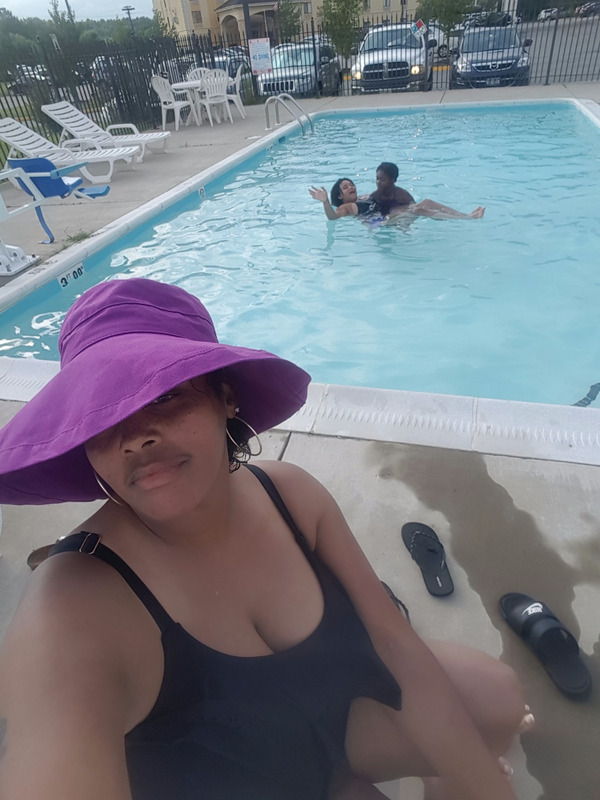 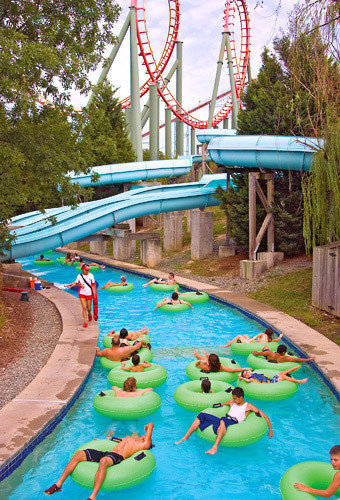 Soak City is included with Kings Dominion tickets, so be sure to wear and/or bring a swimsuit. 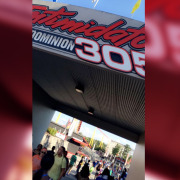 Lines for Intimidator 305 and Dominator roller coasters are typically longer in the morning. 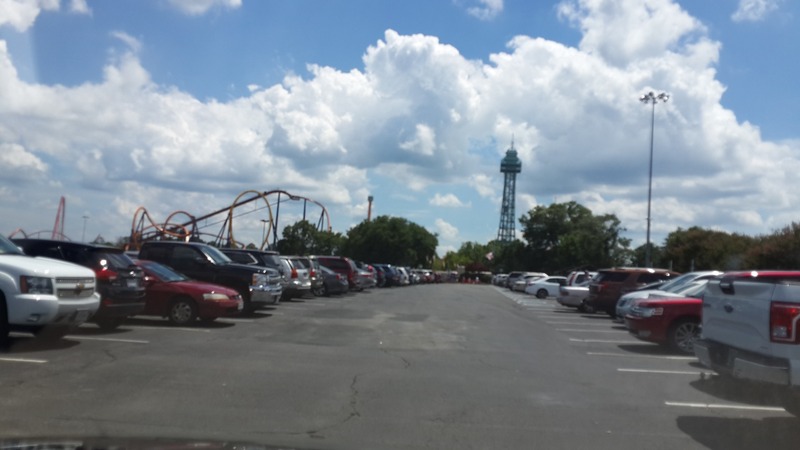 Parking is $20 per car for regular parking and $25 per car for preferred parking. 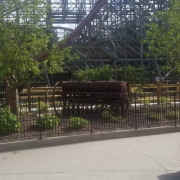 Lockers are available for rent on a first-come, first-served basis. 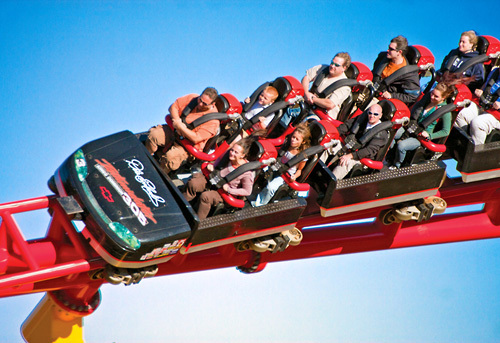 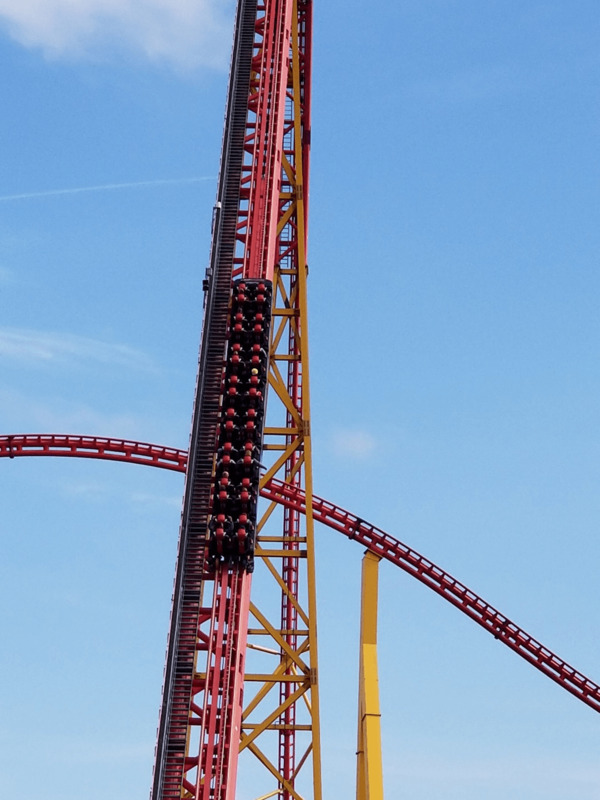 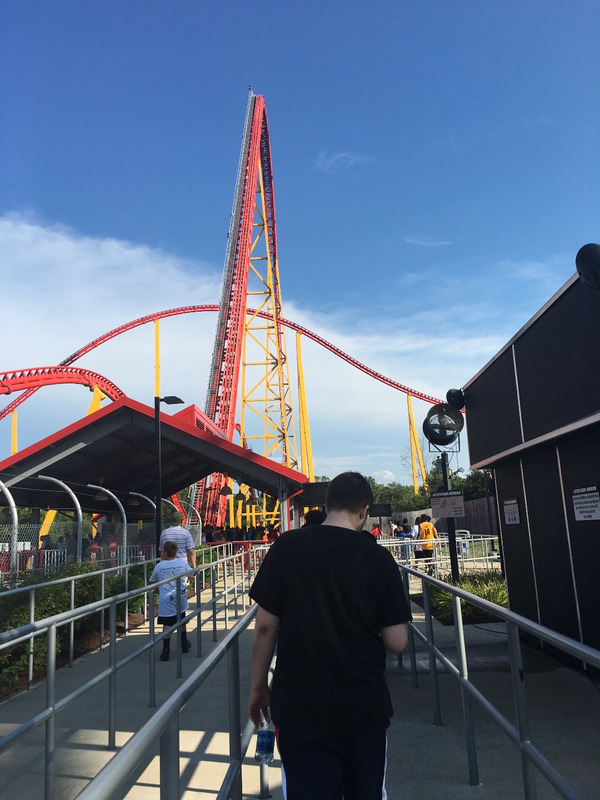 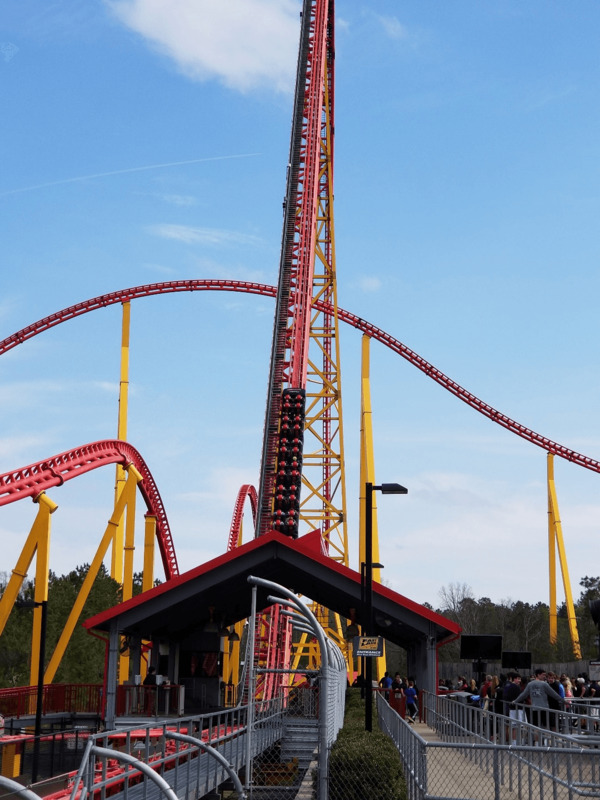 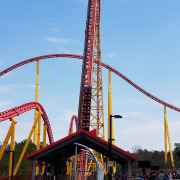 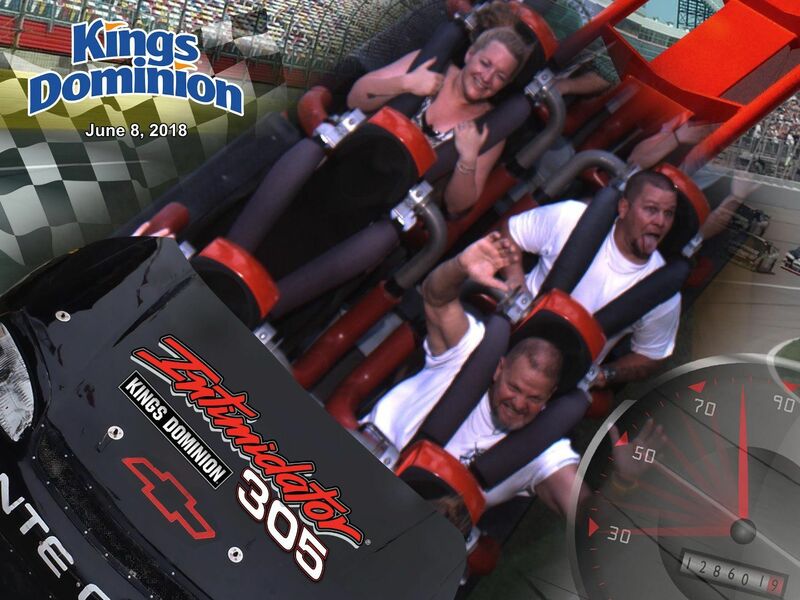 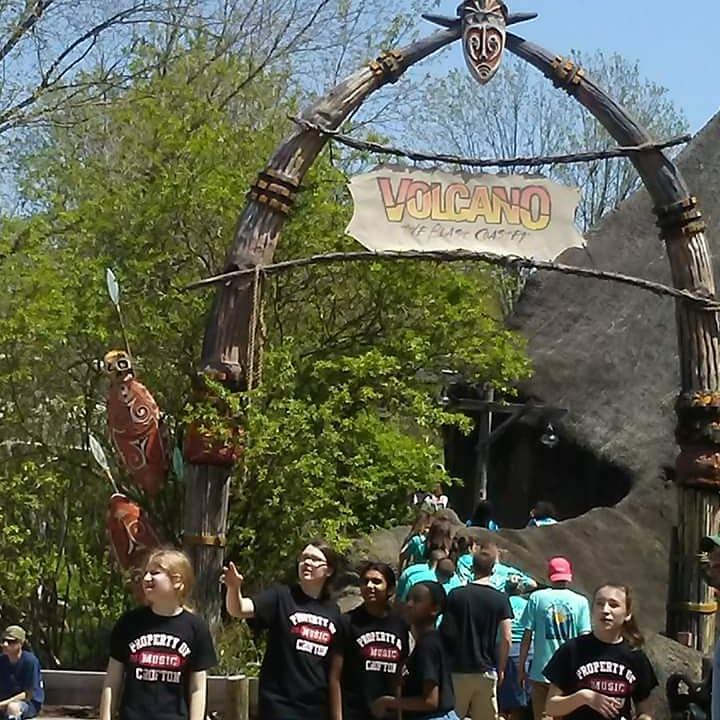 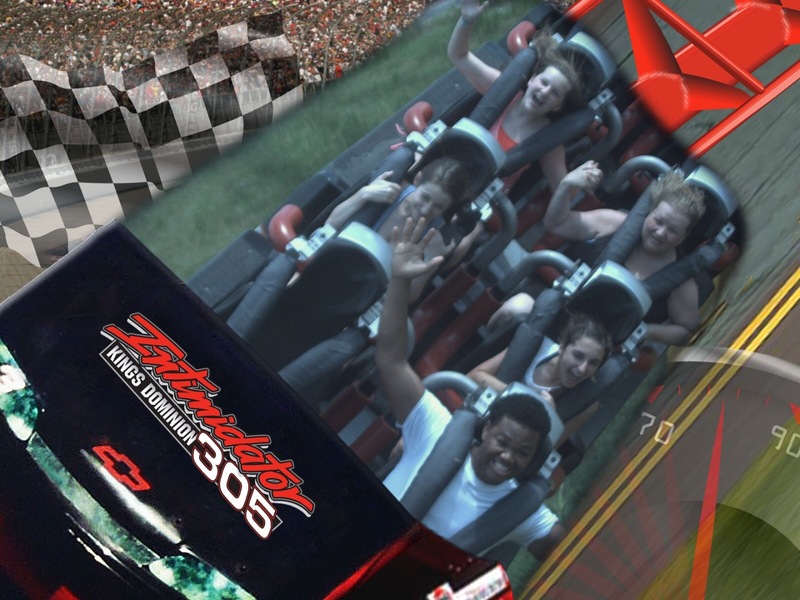 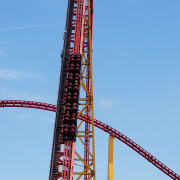 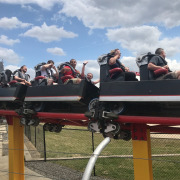 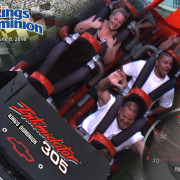 Intimidator 360 is one of the tallest and fastest coasters on the East Coast. 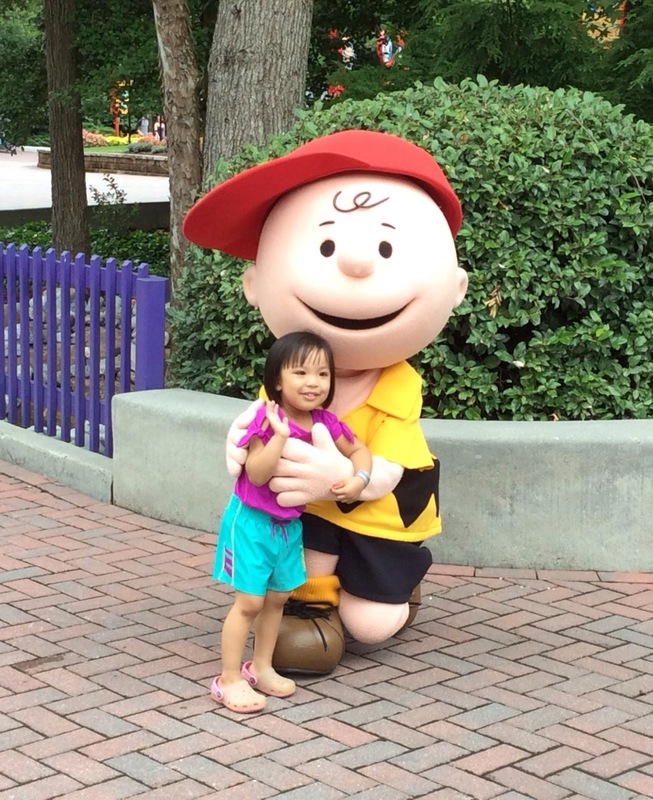 You can meet your favorite PEANUTS characters at Planet Snoopy. 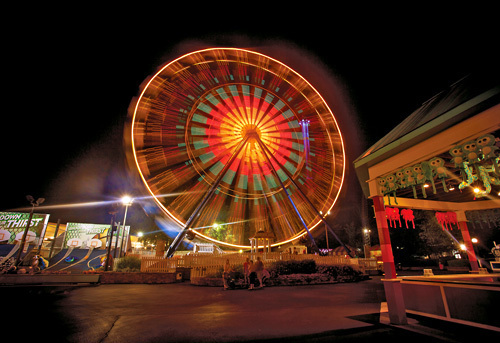 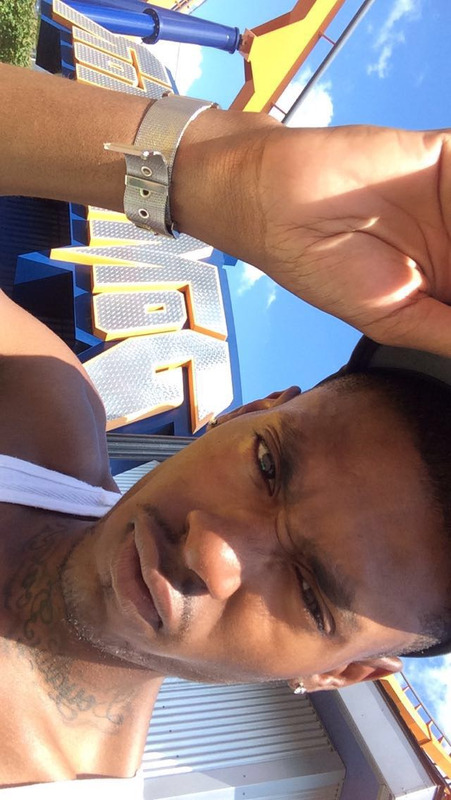 Ten entertaining shows are included with your admission. 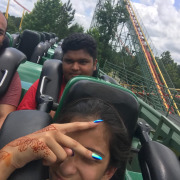 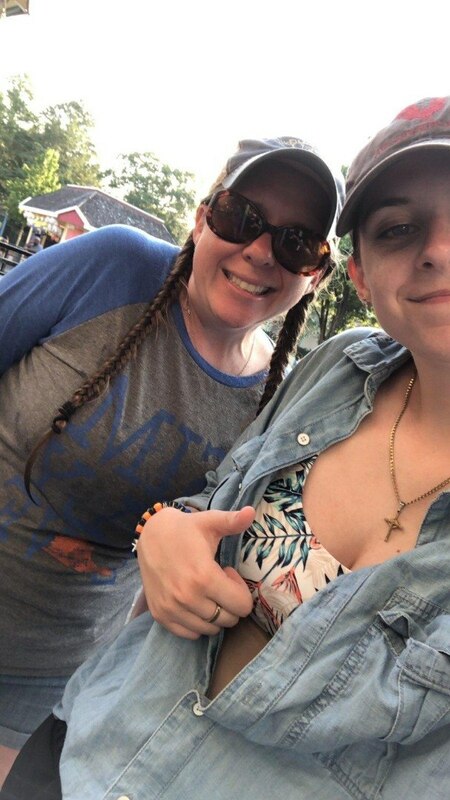 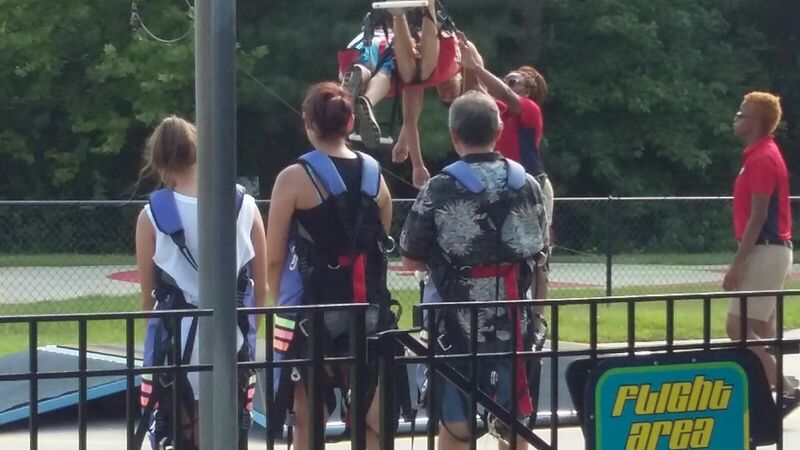 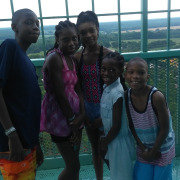 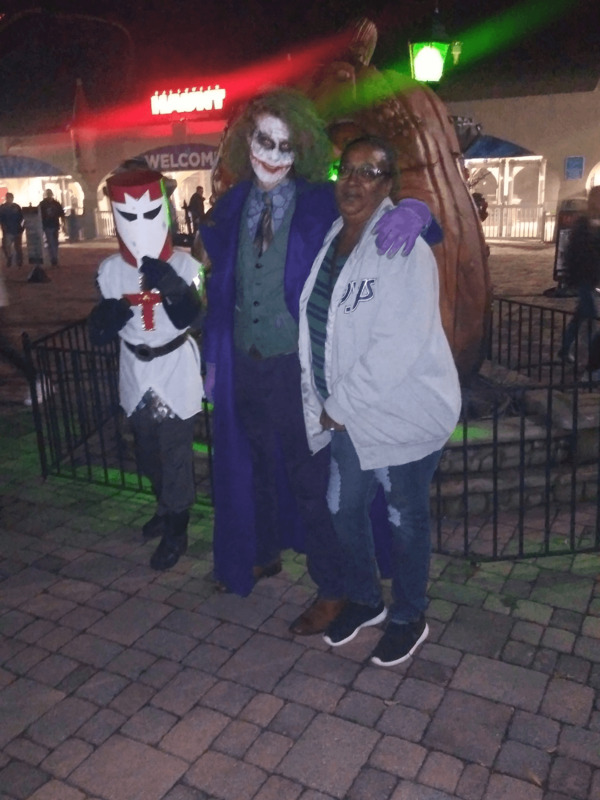 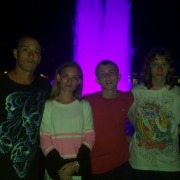 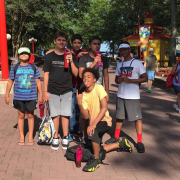 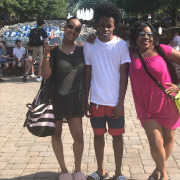 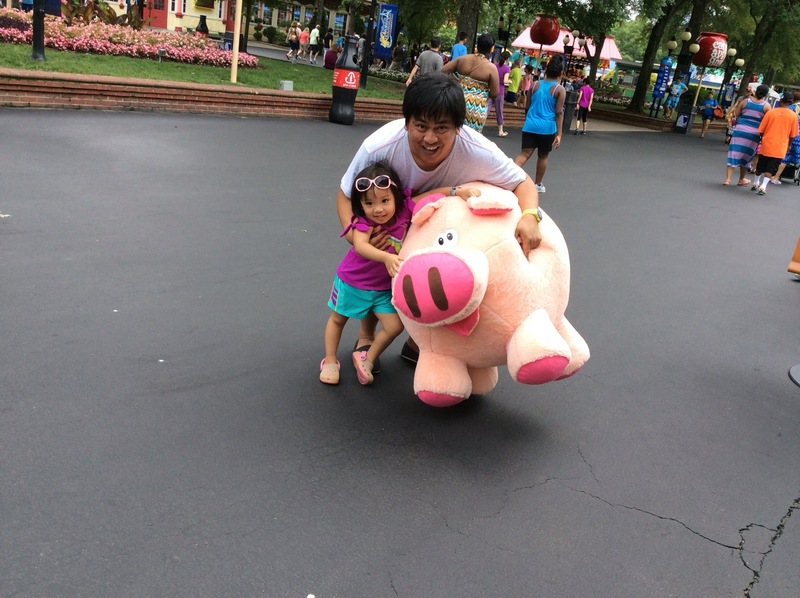 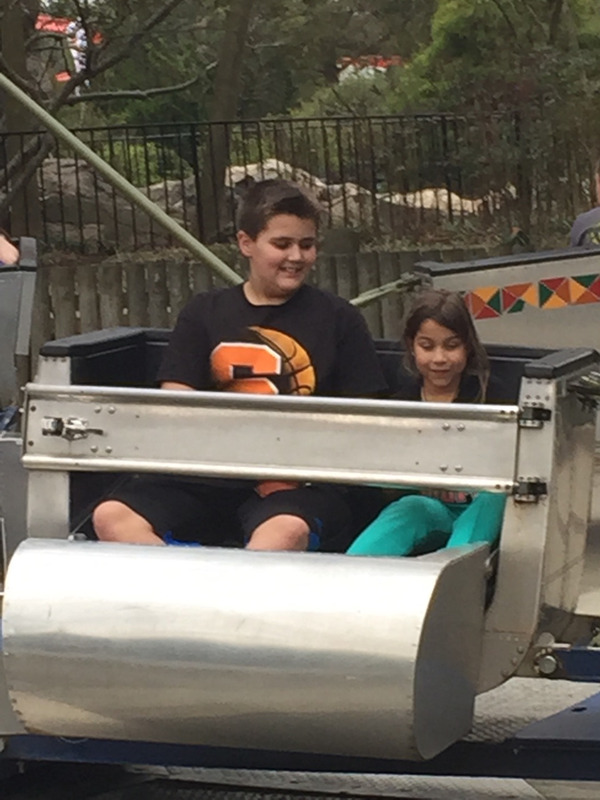 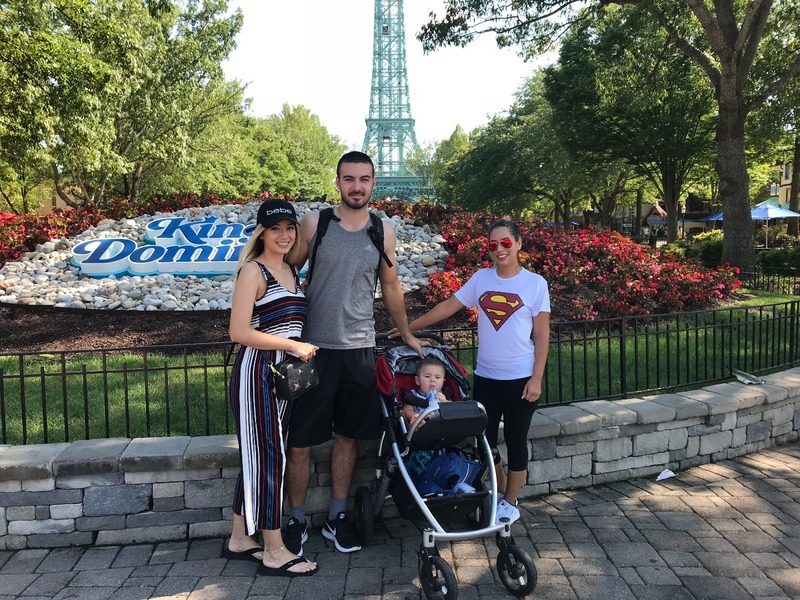 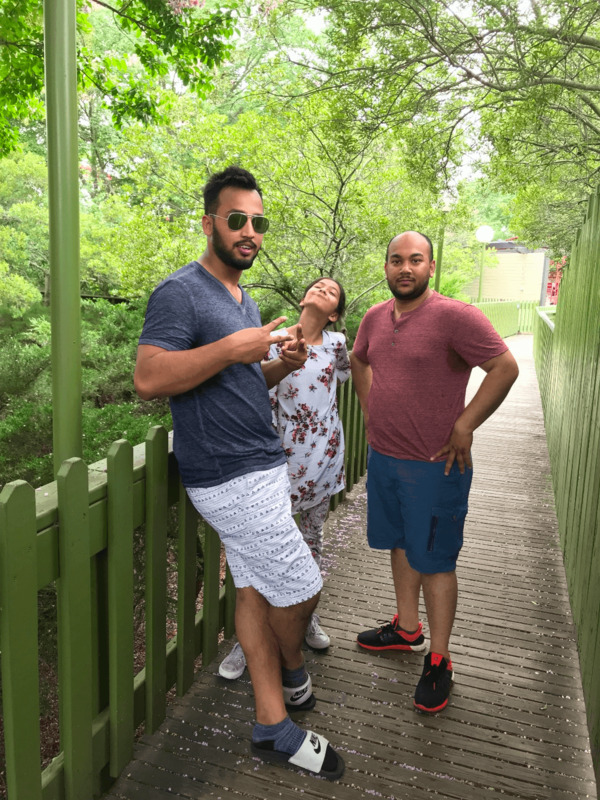 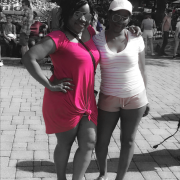 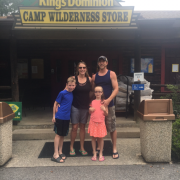 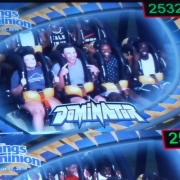 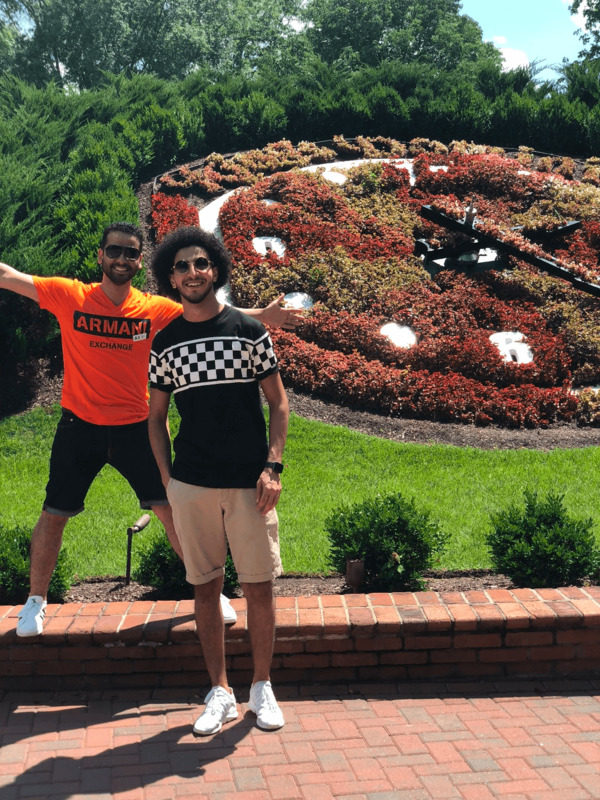 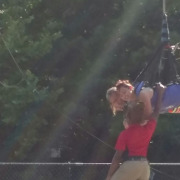 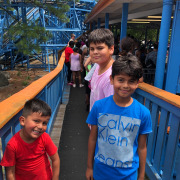 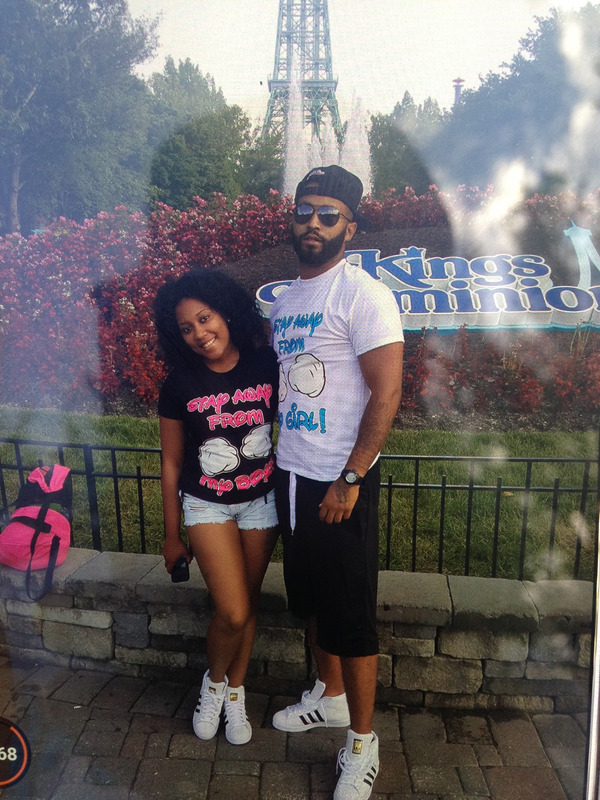 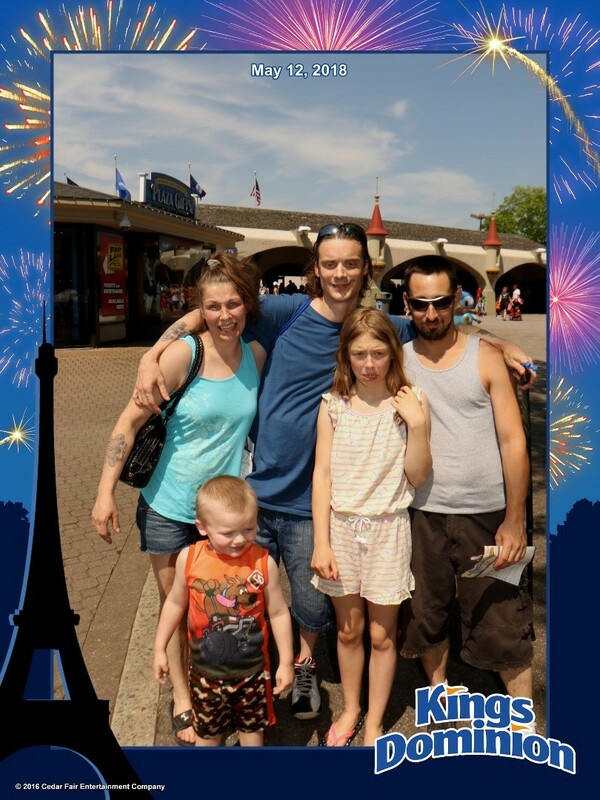 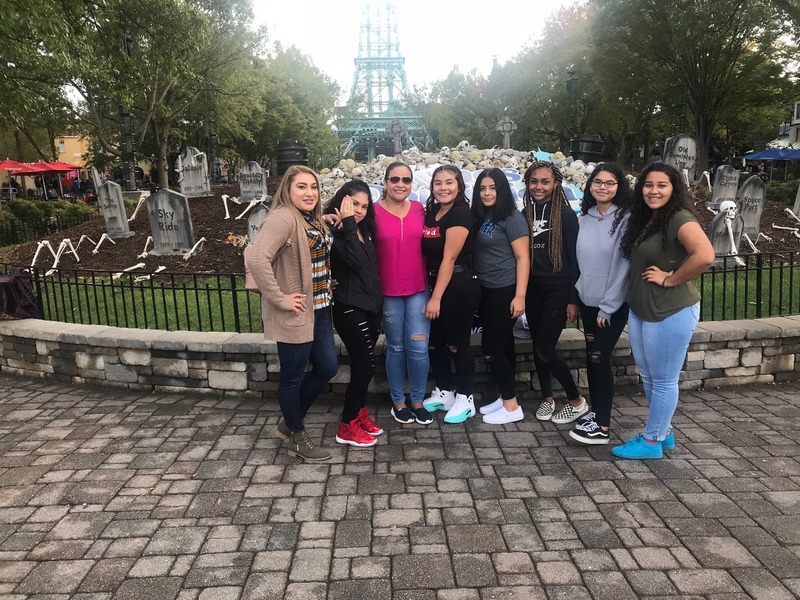 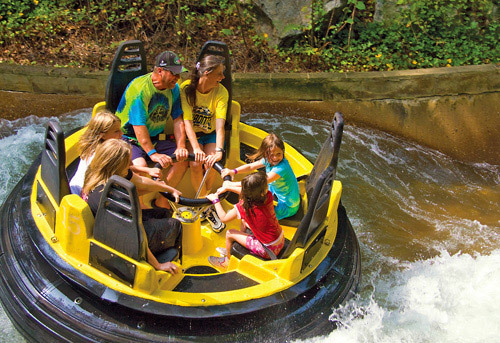 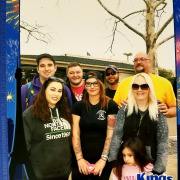 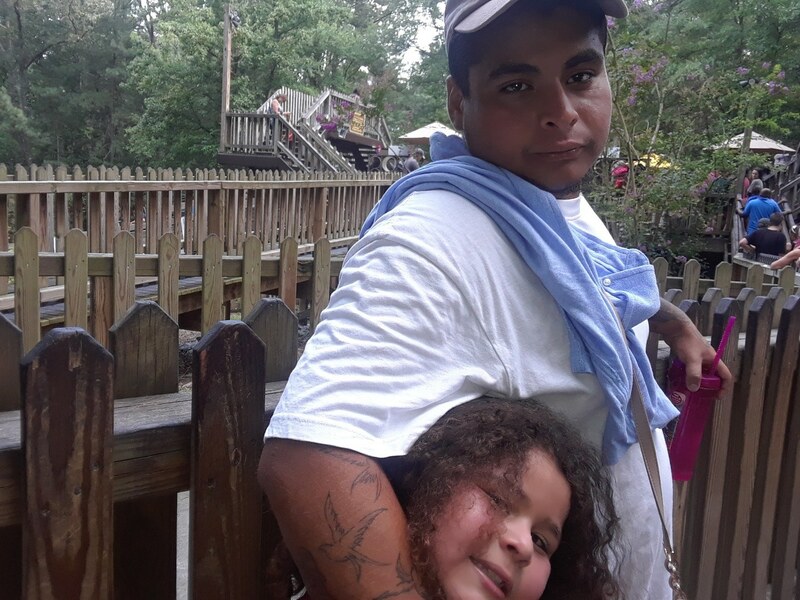 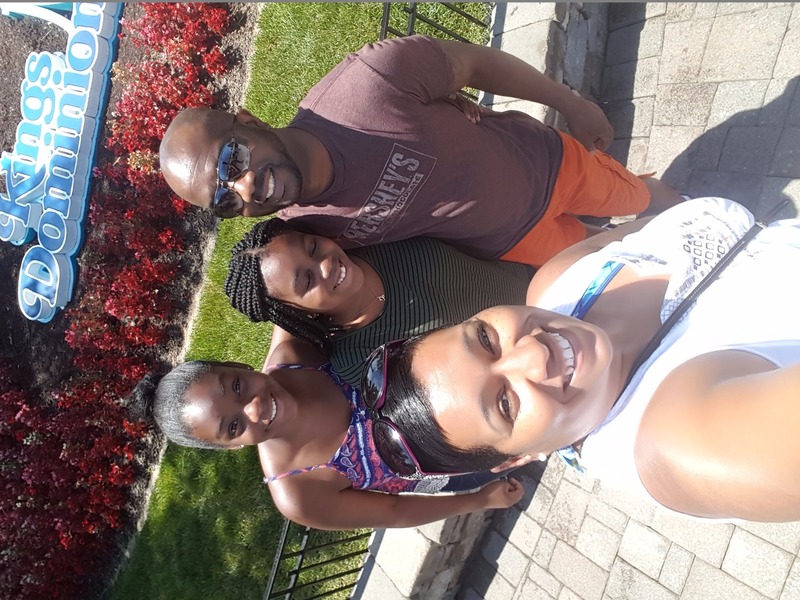 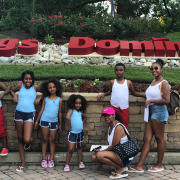 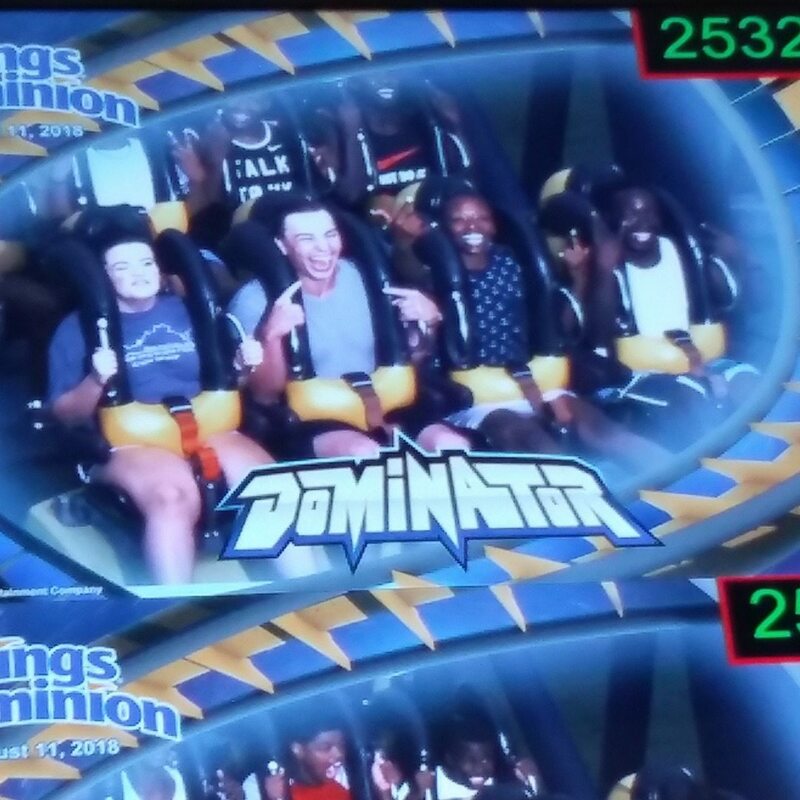 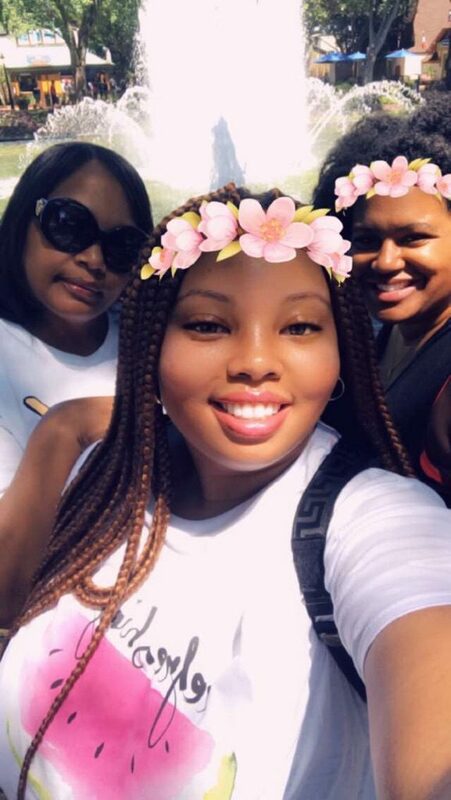 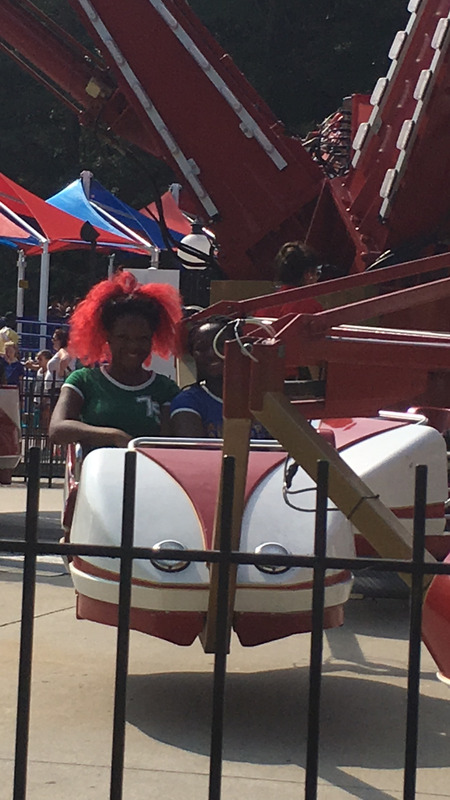 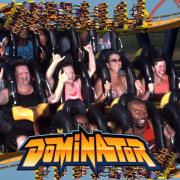 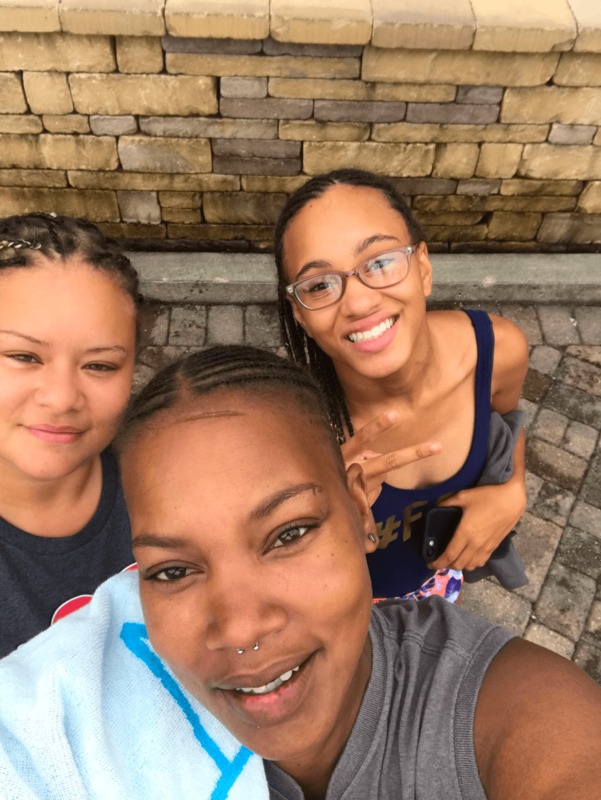 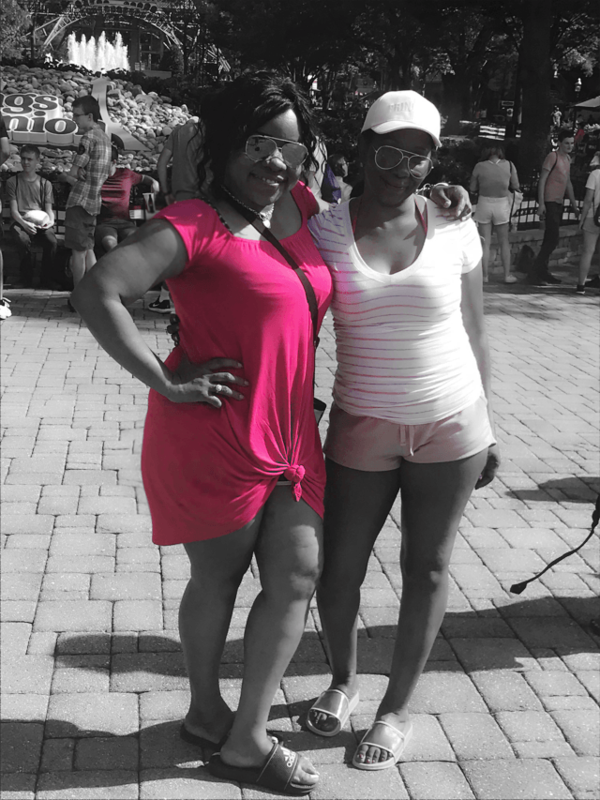 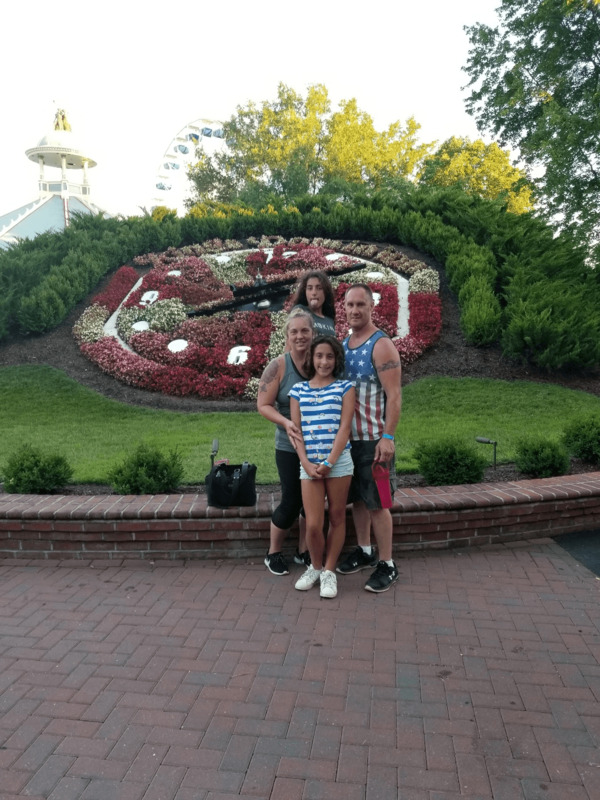 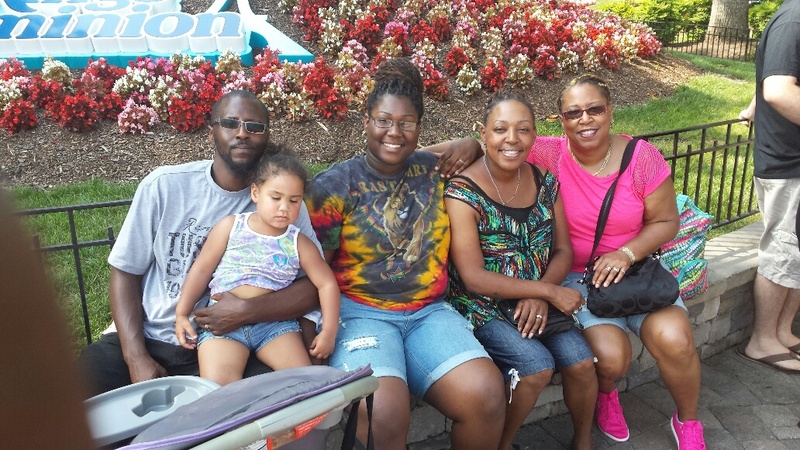 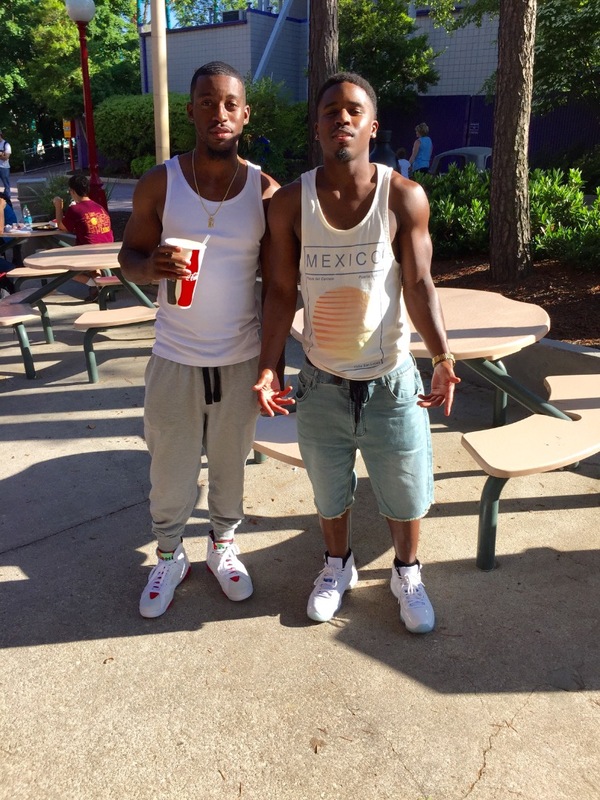 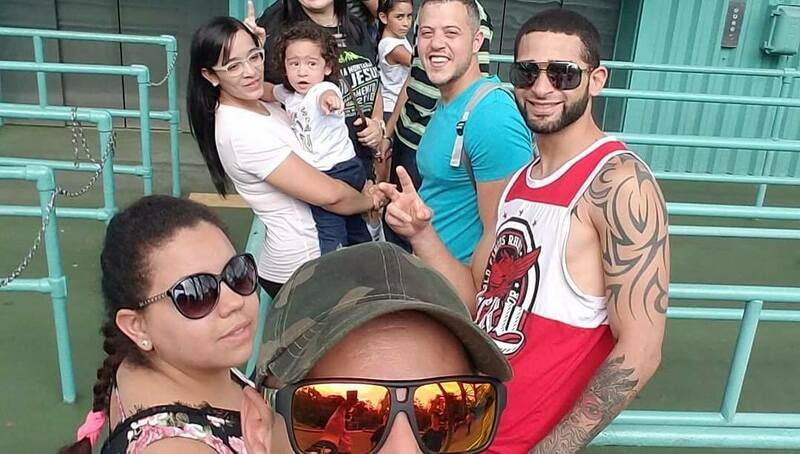 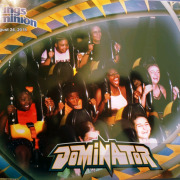 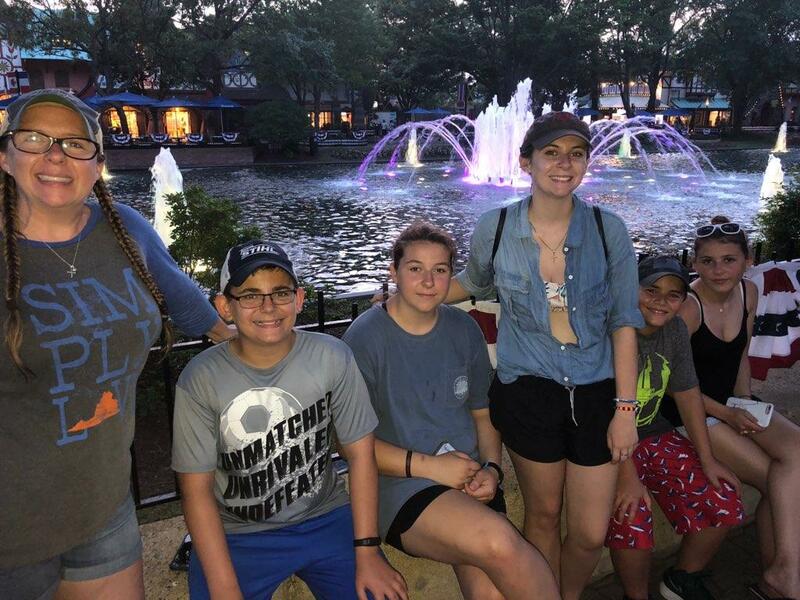 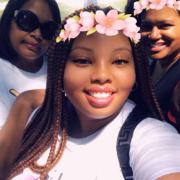 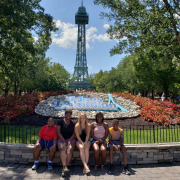 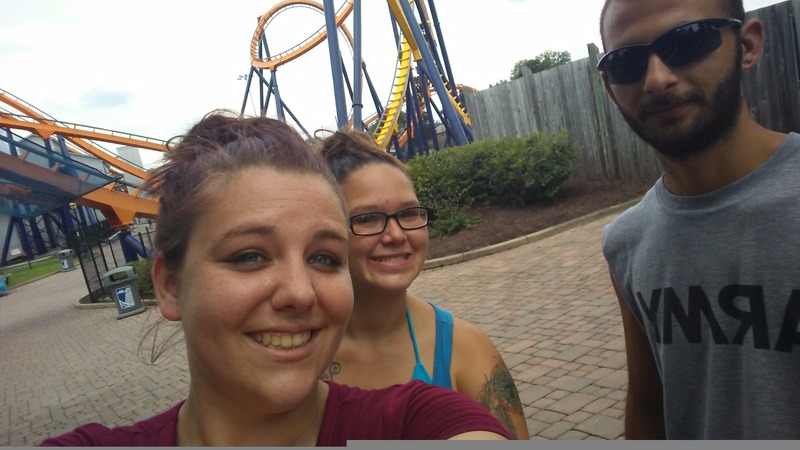 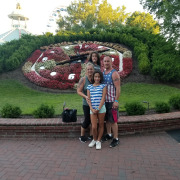 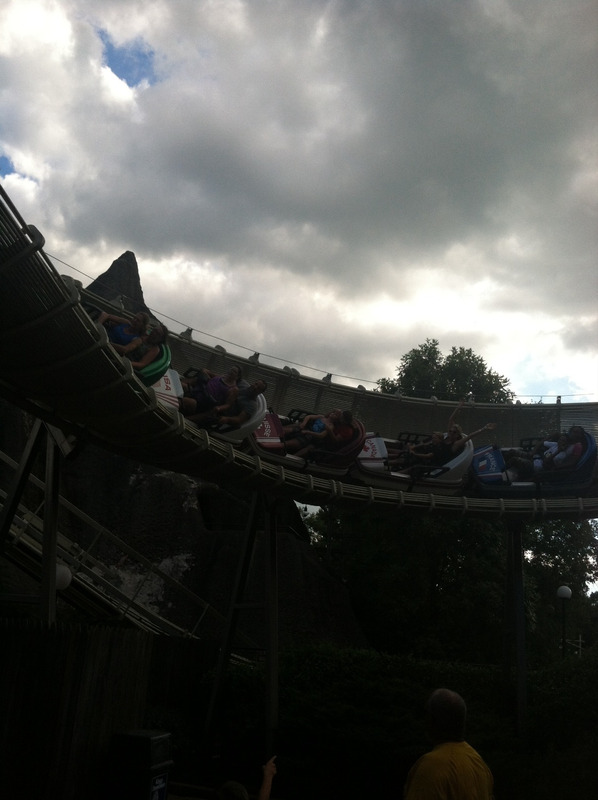 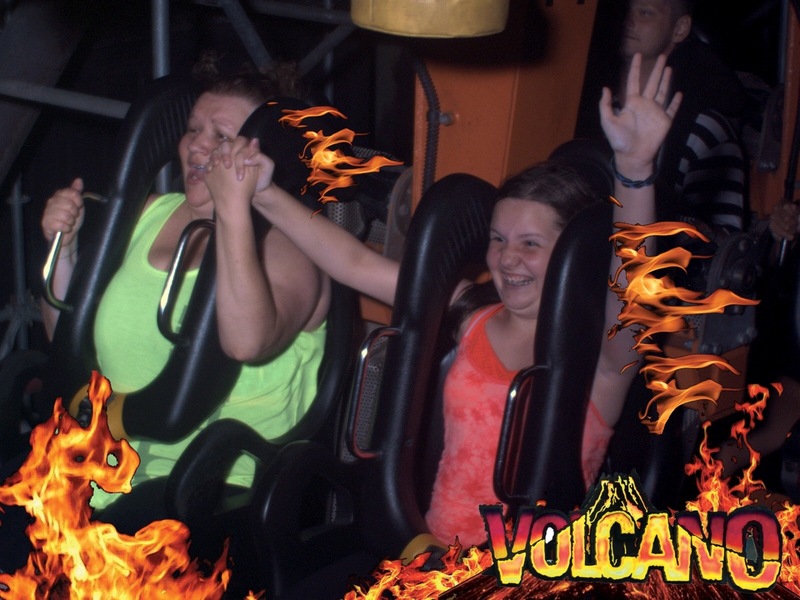 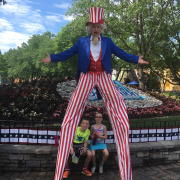 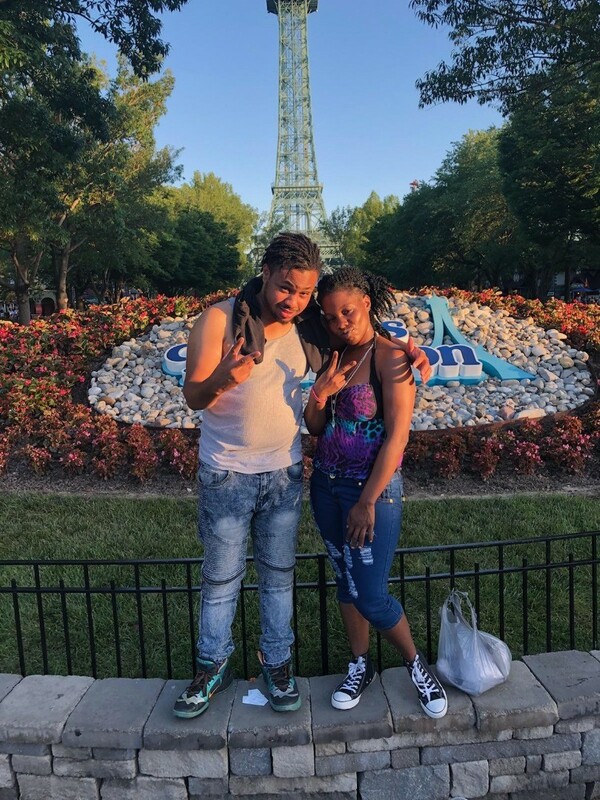 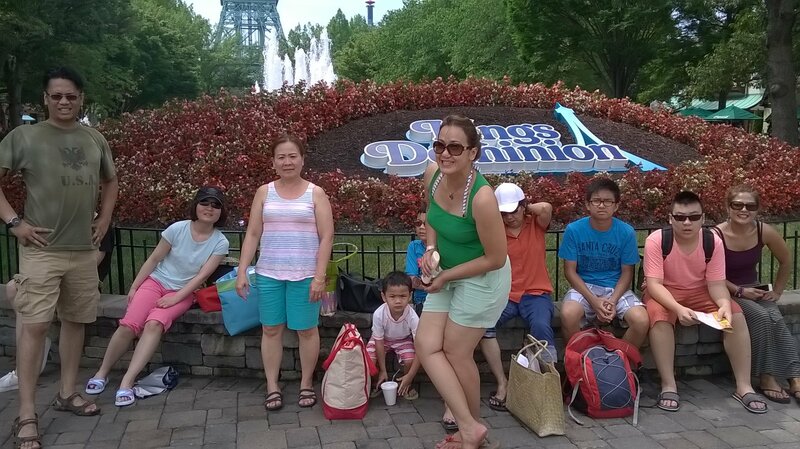 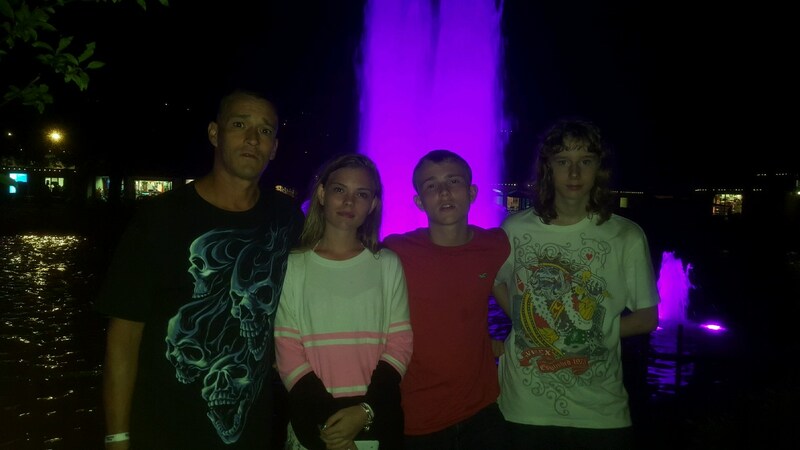 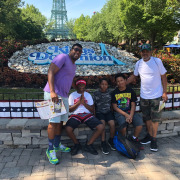 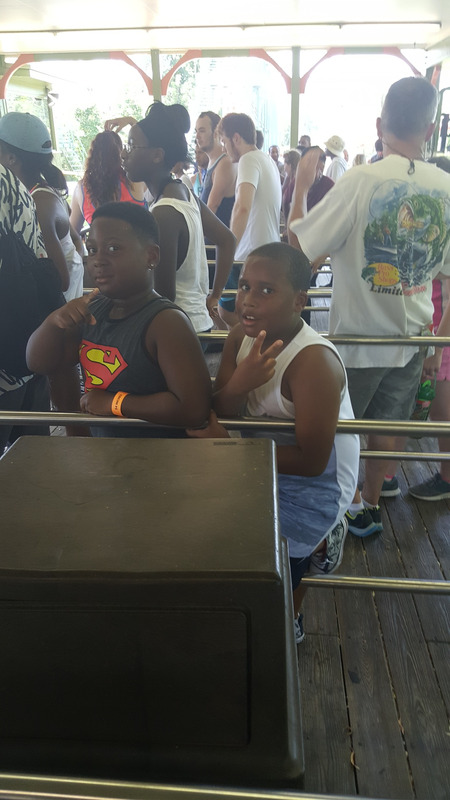 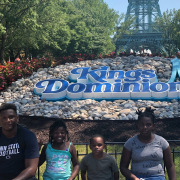 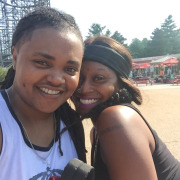 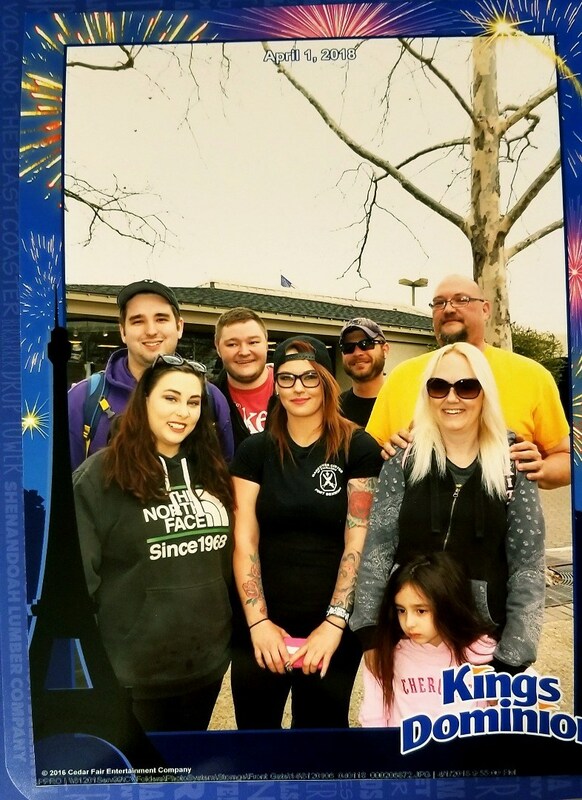 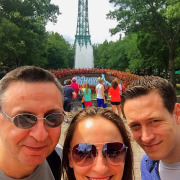 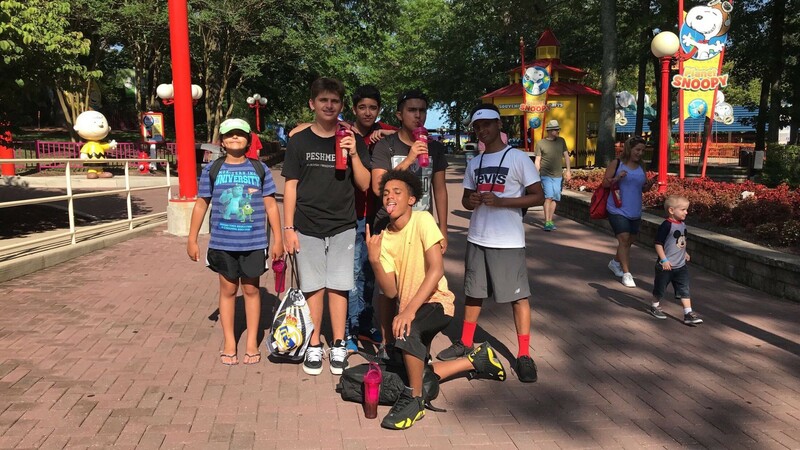 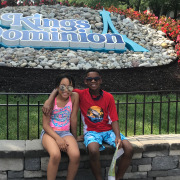 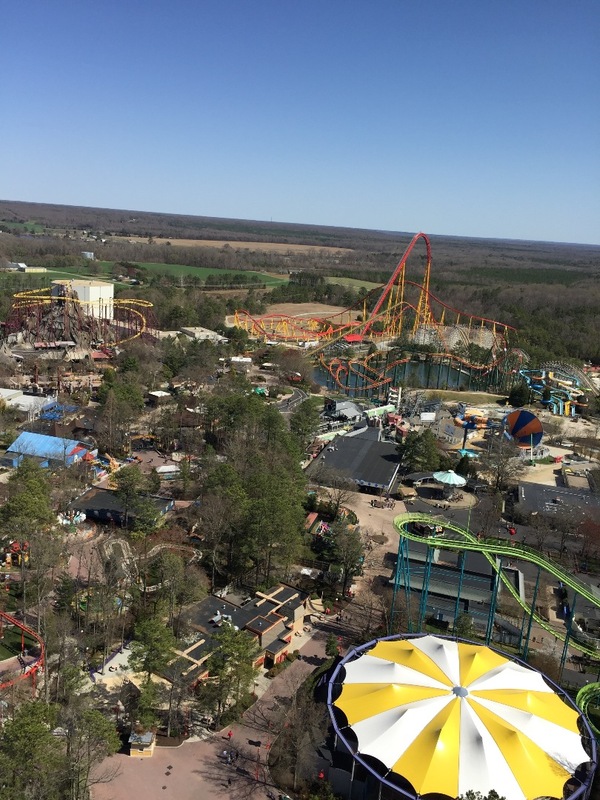 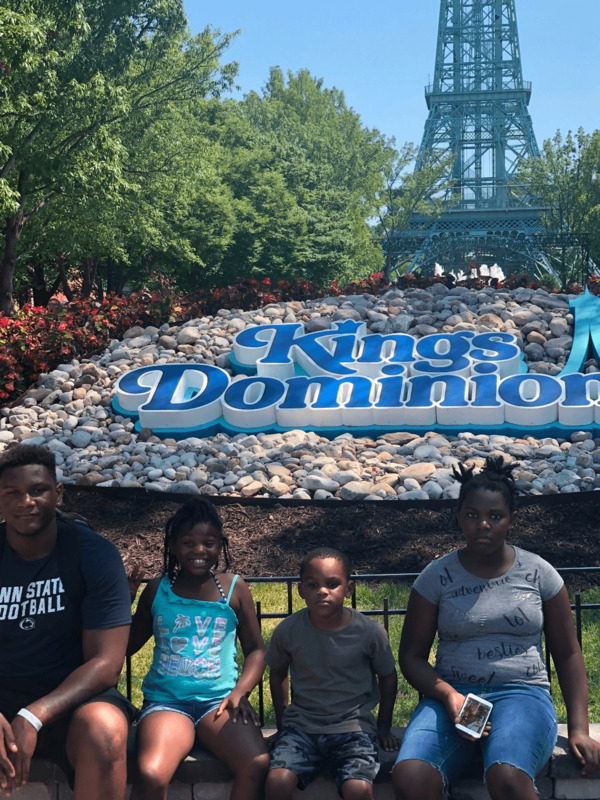 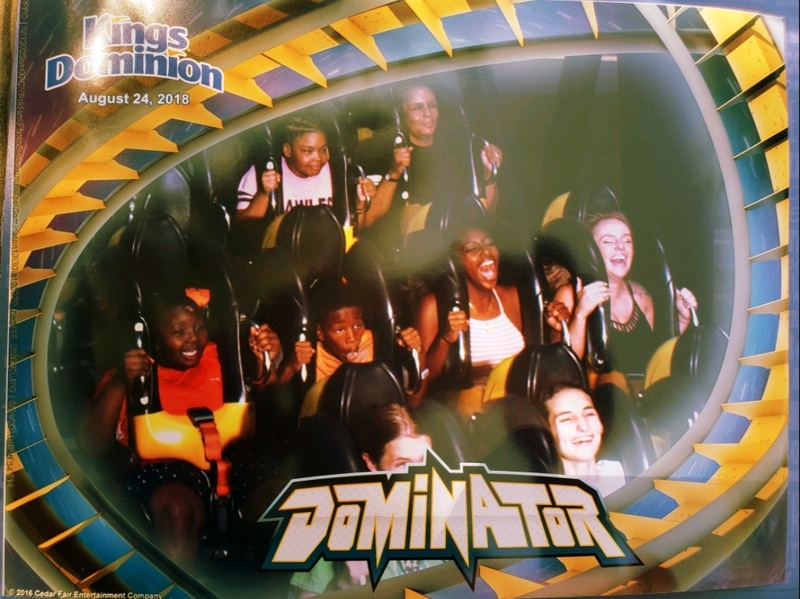 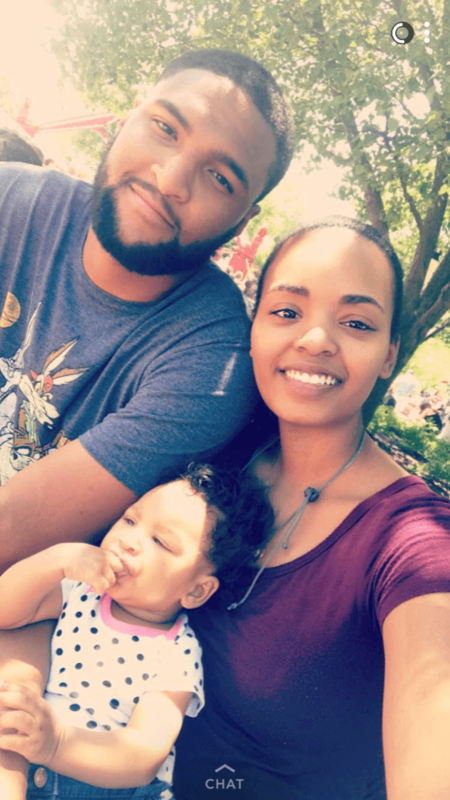 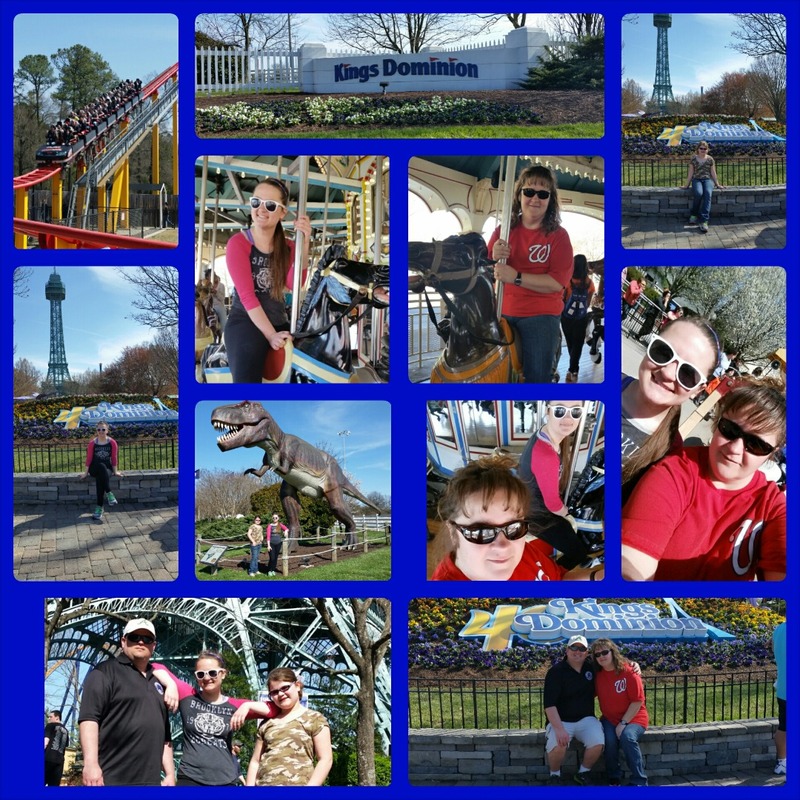 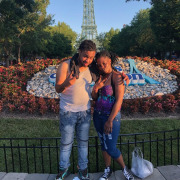 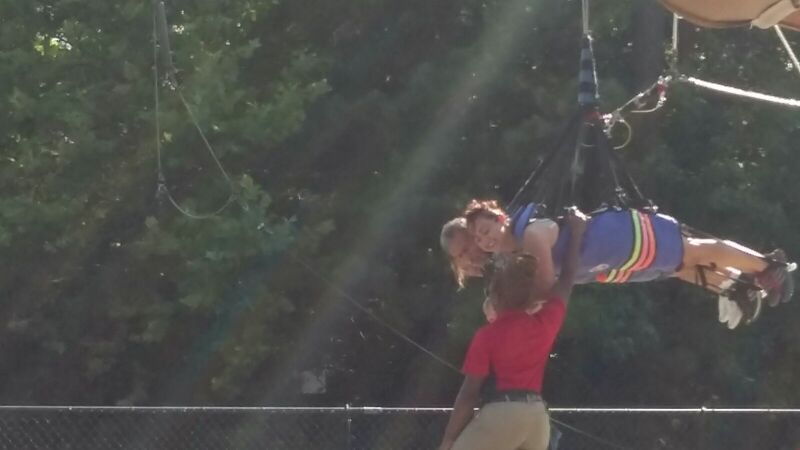 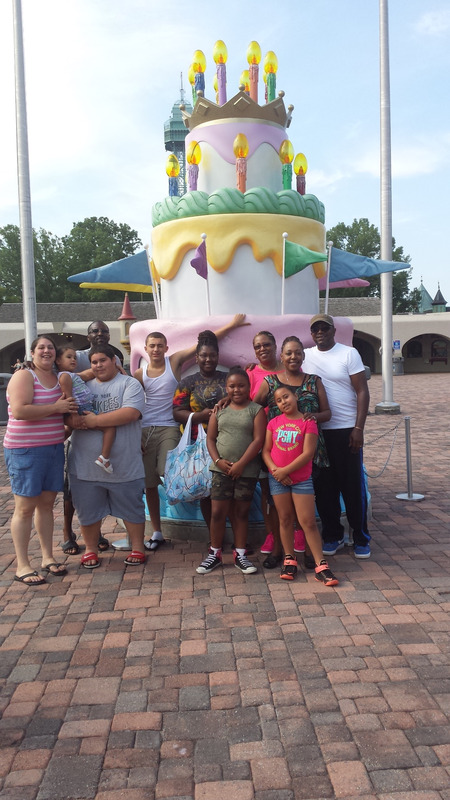 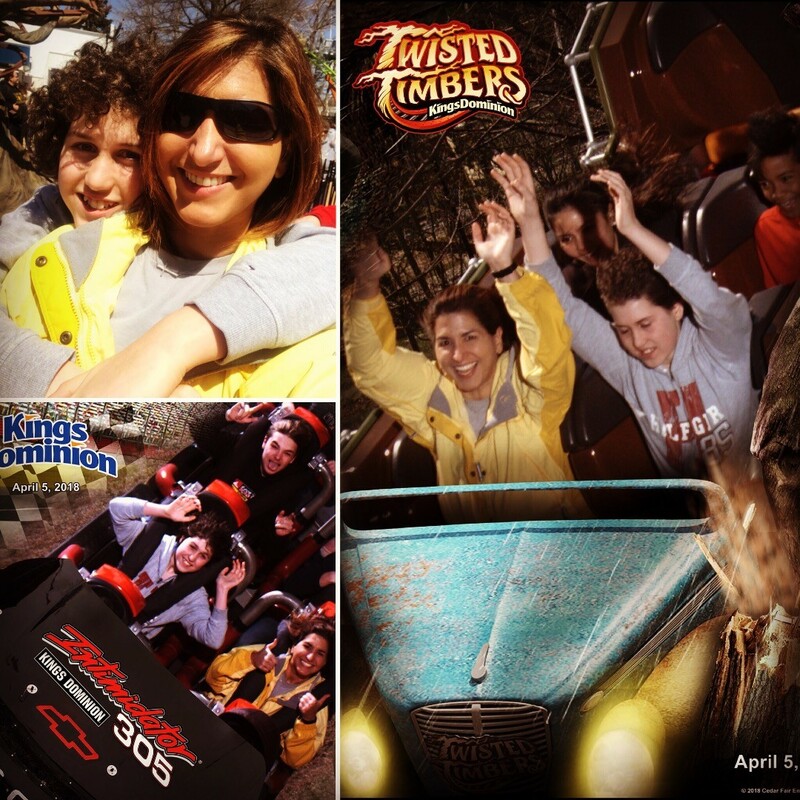 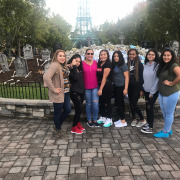 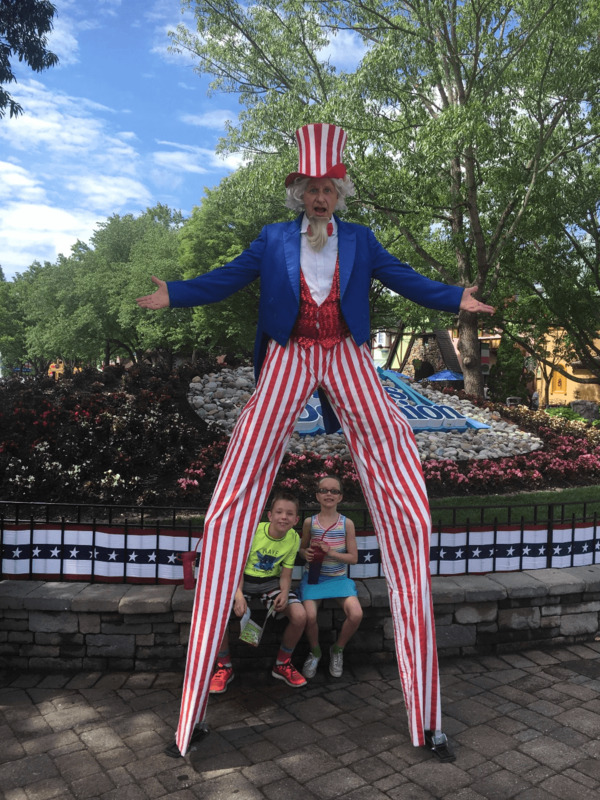 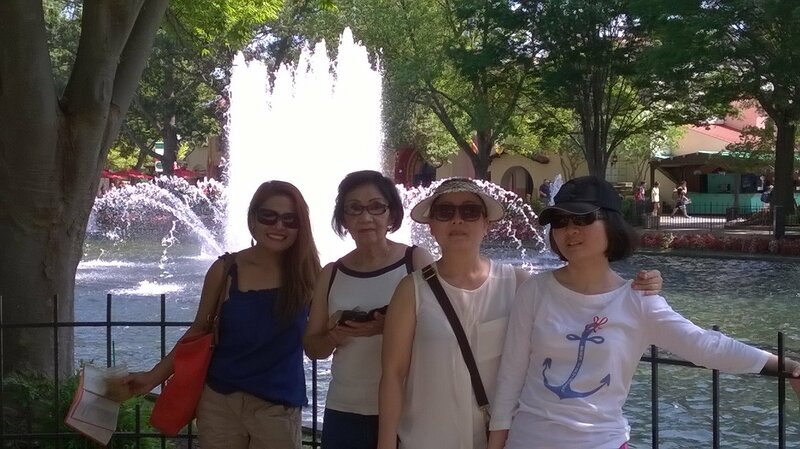 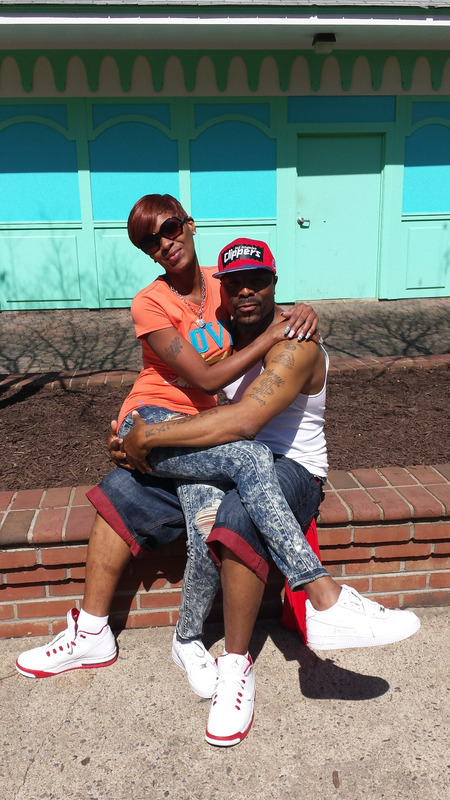 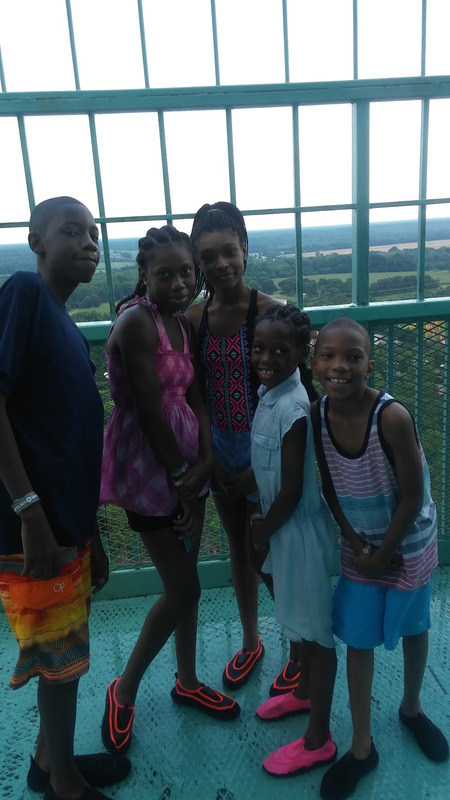 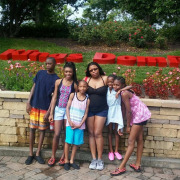 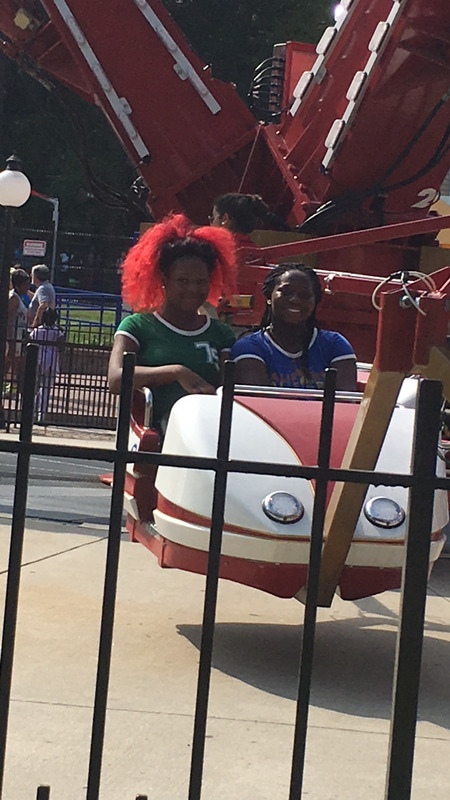 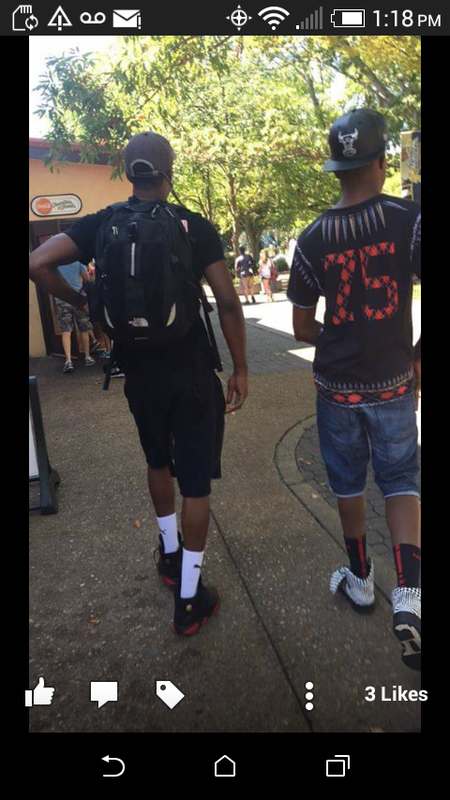 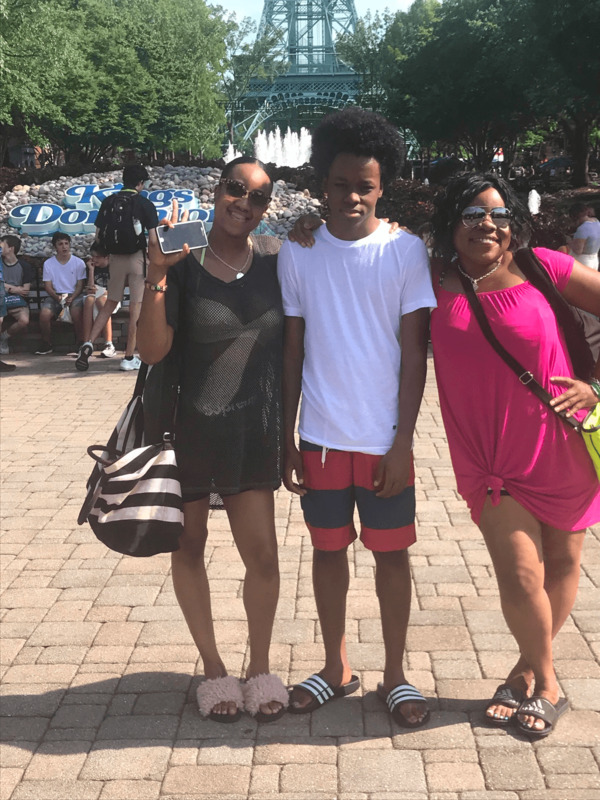 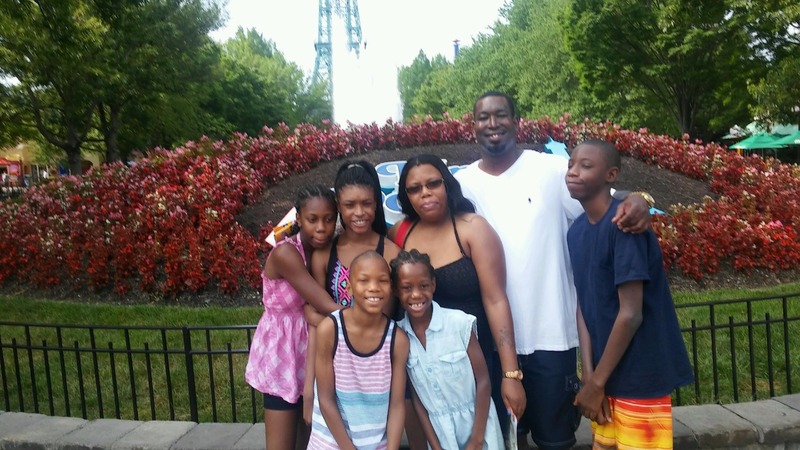 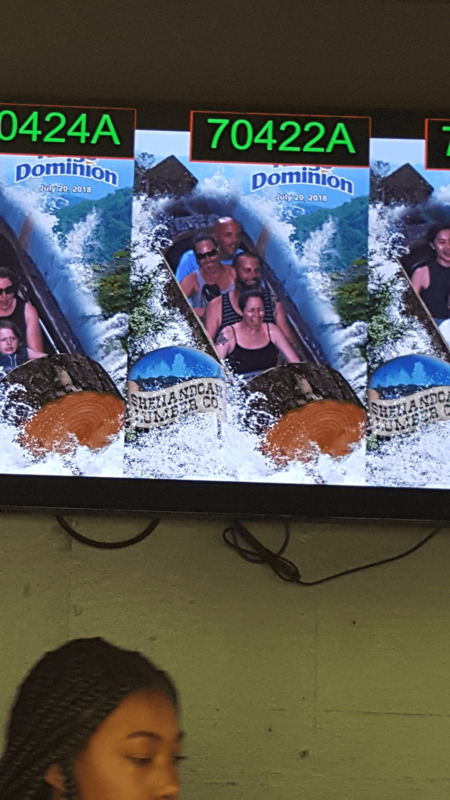 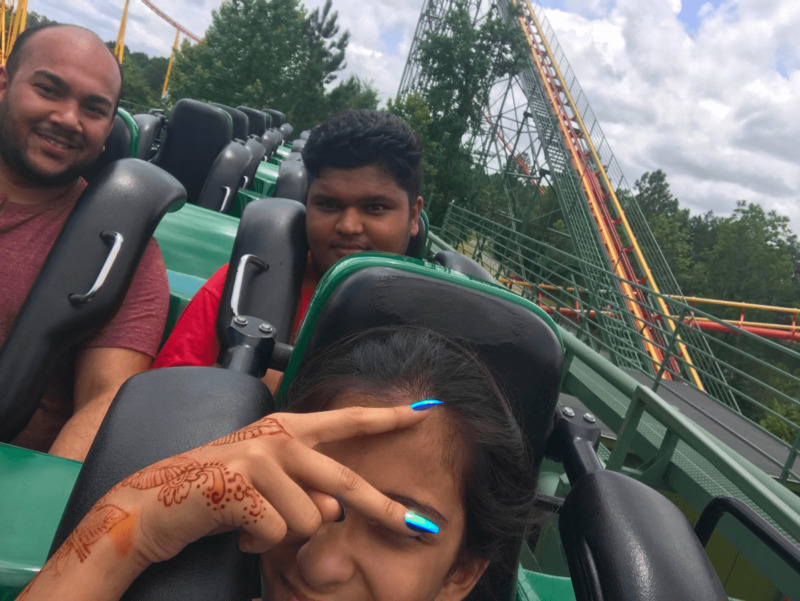 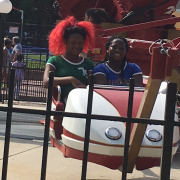 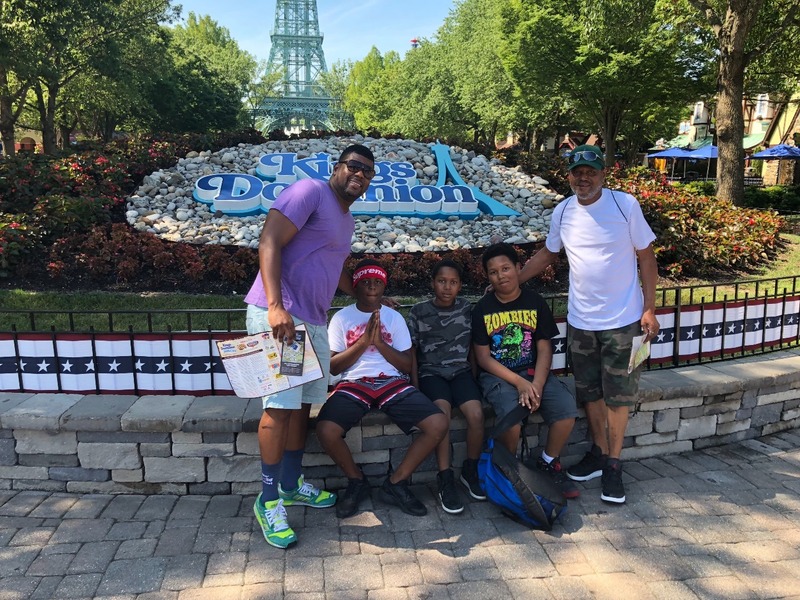 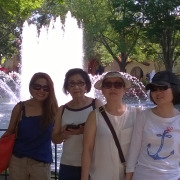 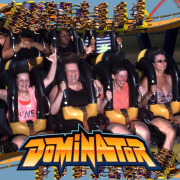 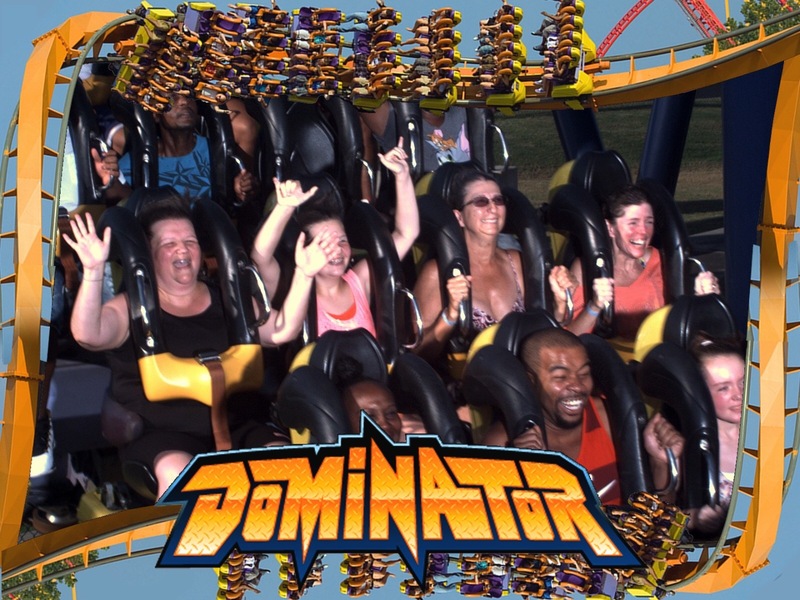 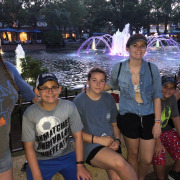 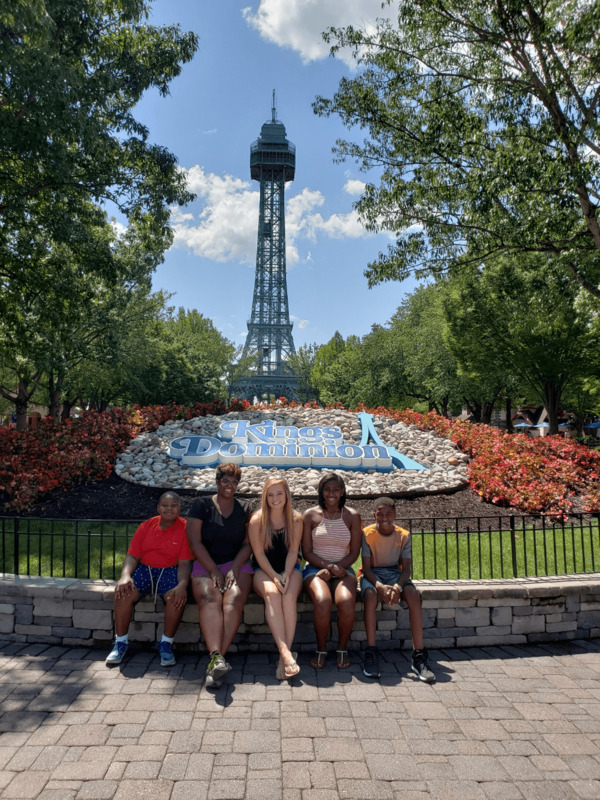 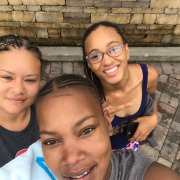 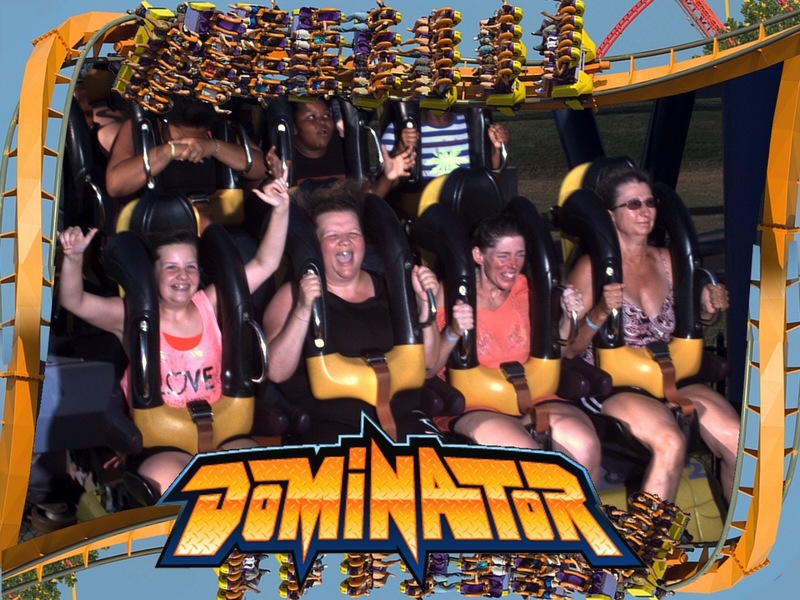 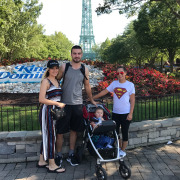 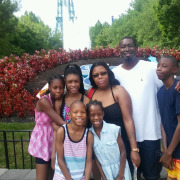 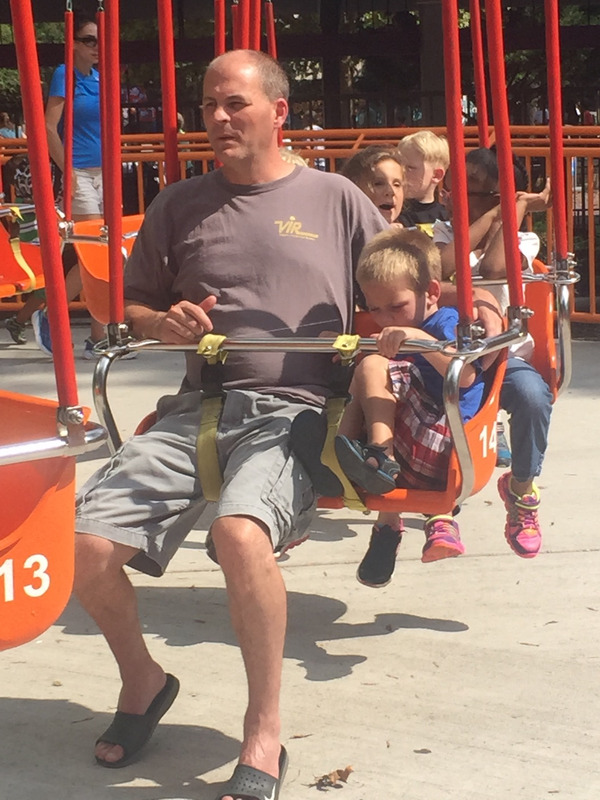 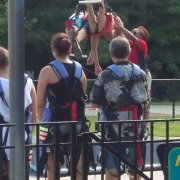 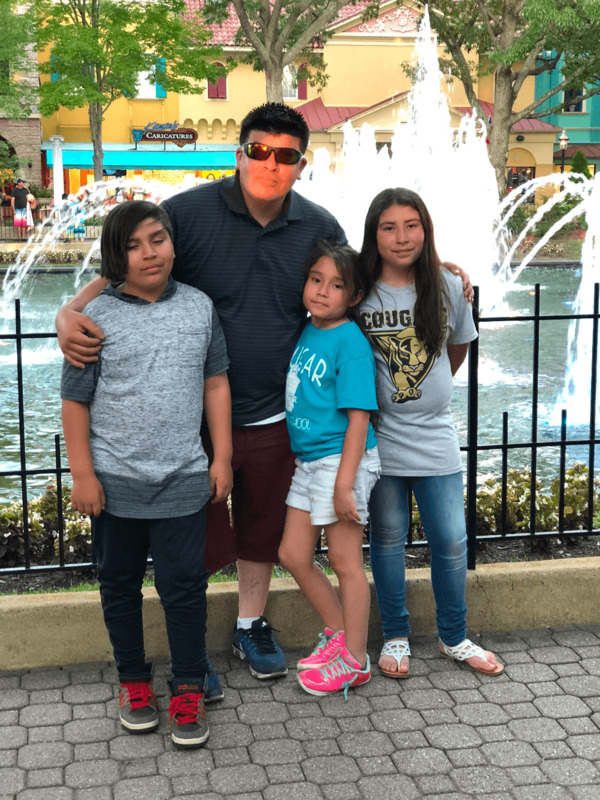 Grab your friends and family and come to Kings Dominion – Virginia’s ultimate destination for fun! 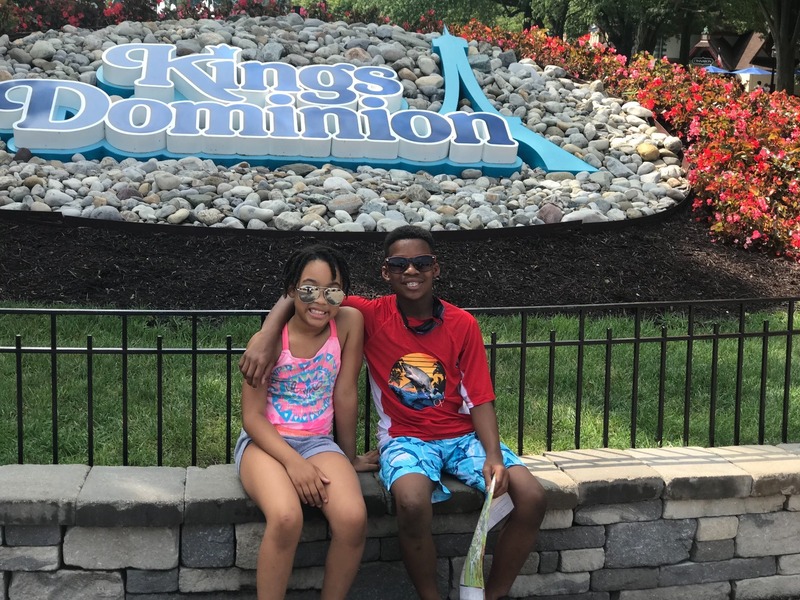 Kings Dominion is the only Virginia theme park offering two parks for the price of one – including Soak City water park! 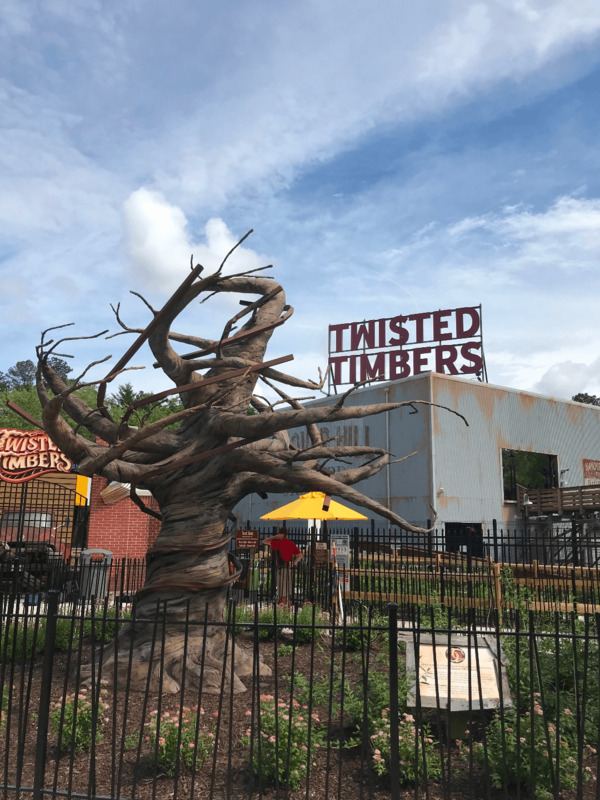 Steel and wood combine forces to bring you our newest rollercoaster – Twisted Timbers. 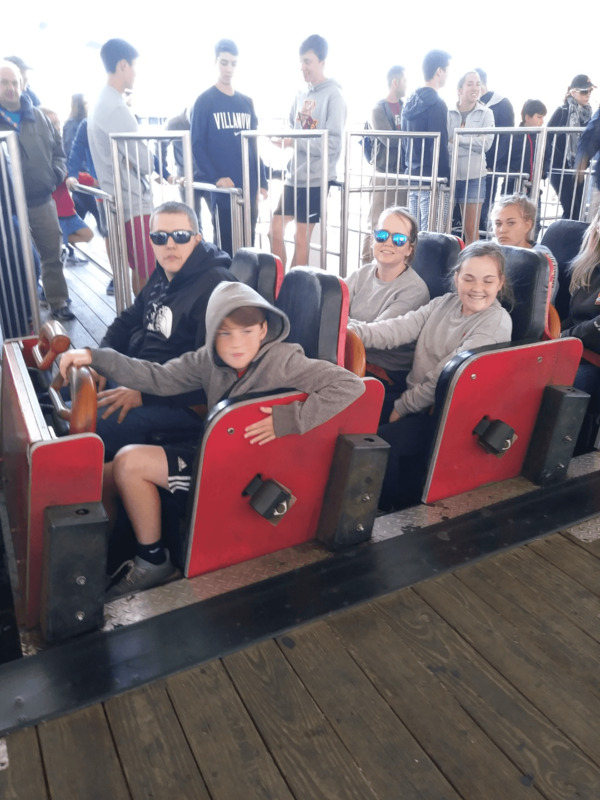 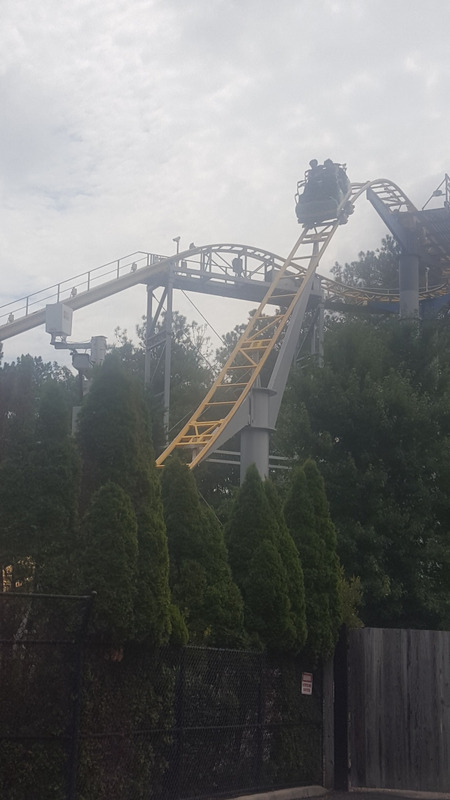 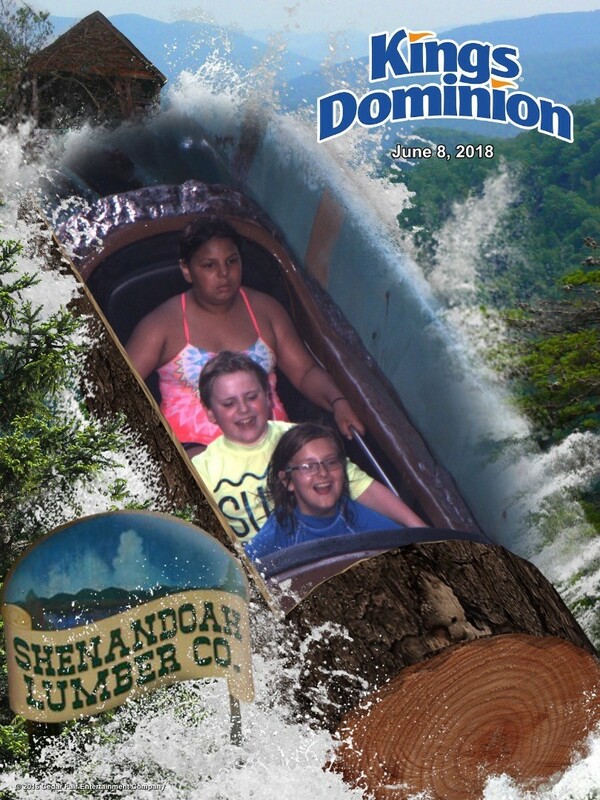 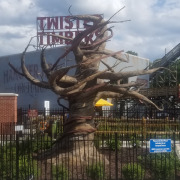 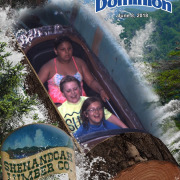 This hybrid coaster is the first of its kind in the mid-Atlantic and uses the latest technology to combine wood supports and steel track to give riders an experience that is impossible on a traditional wooden coaster. 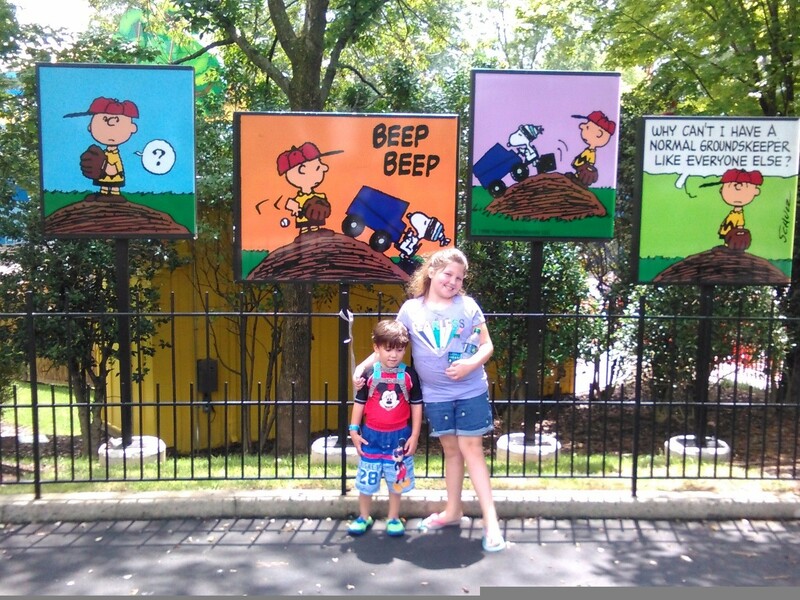 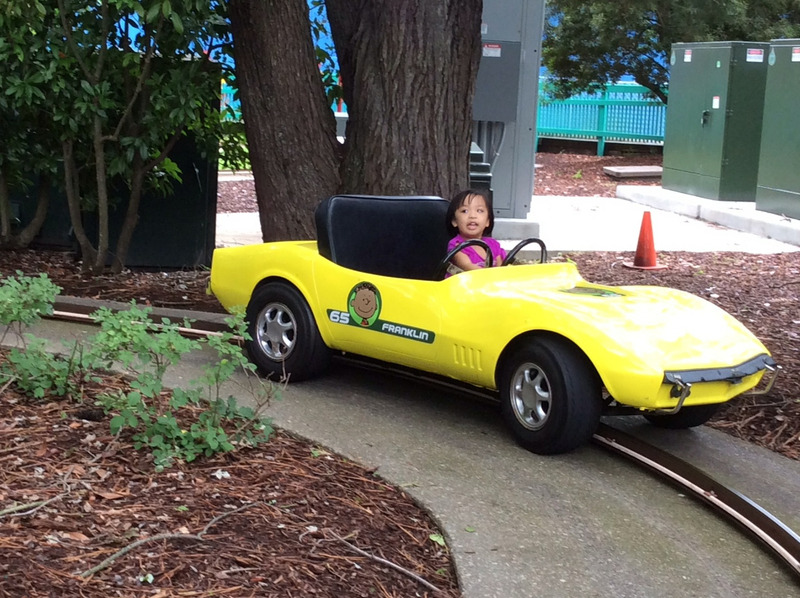 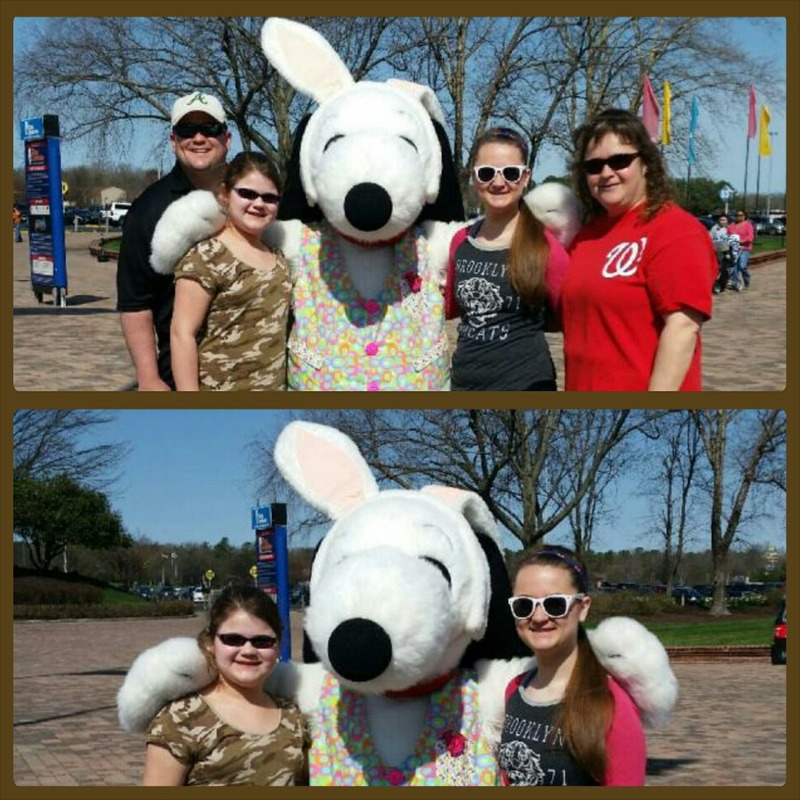 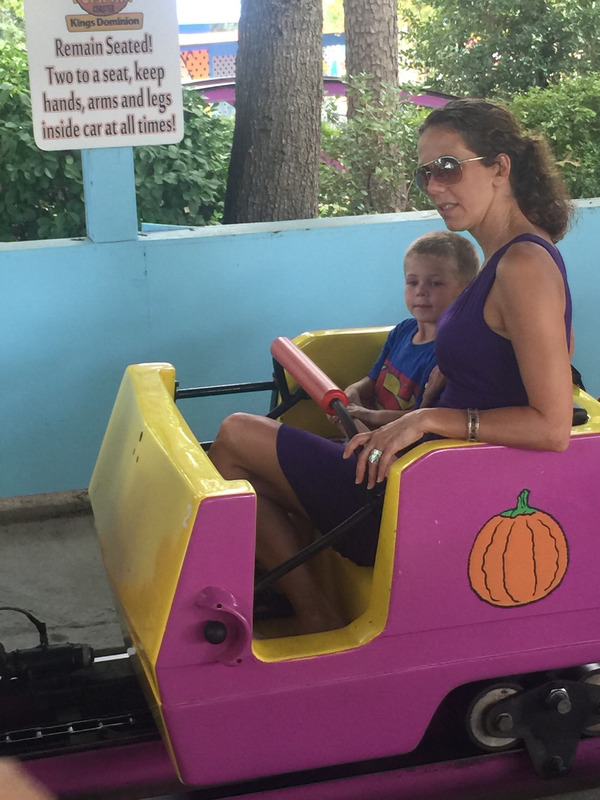 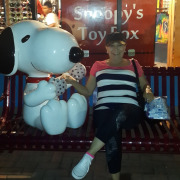 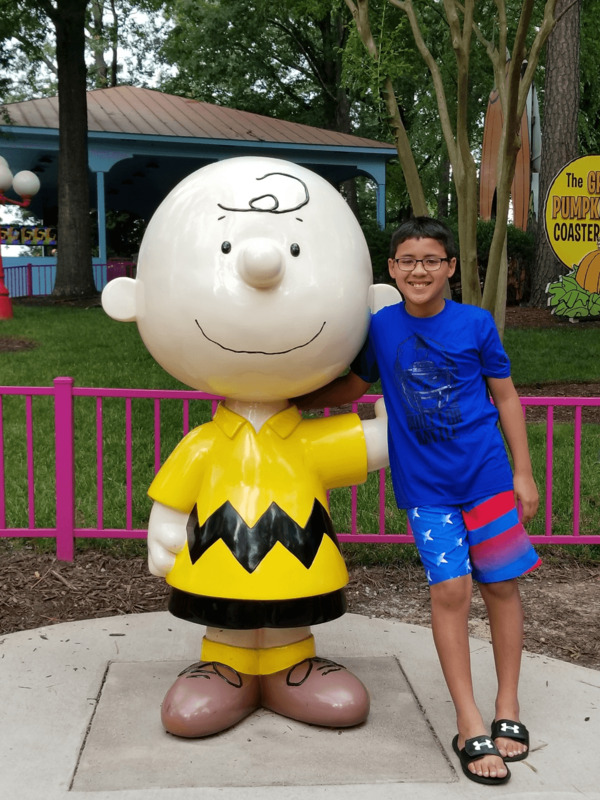 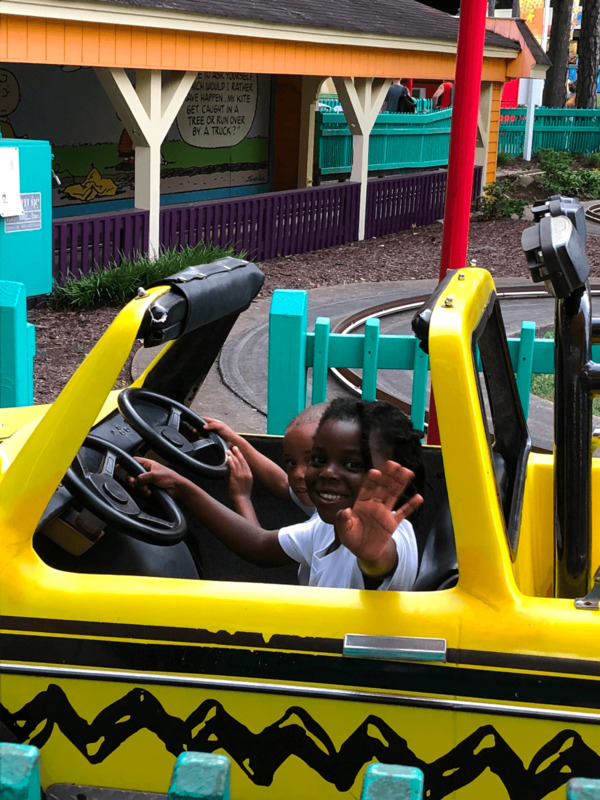 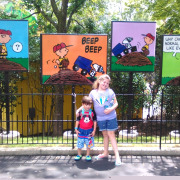 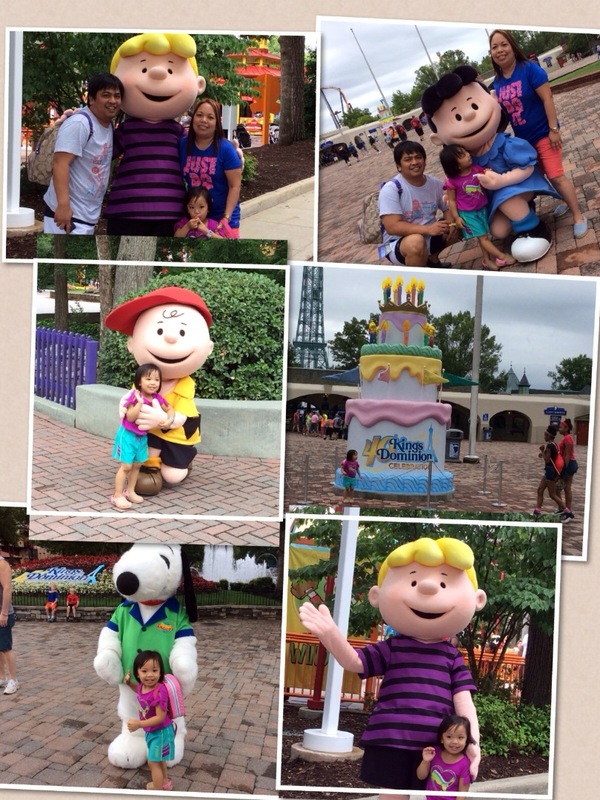 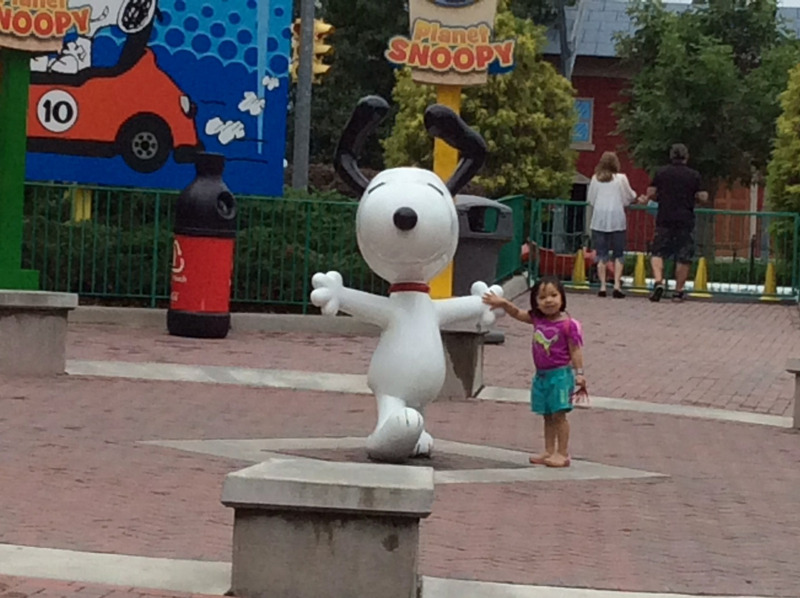 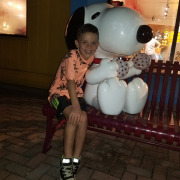 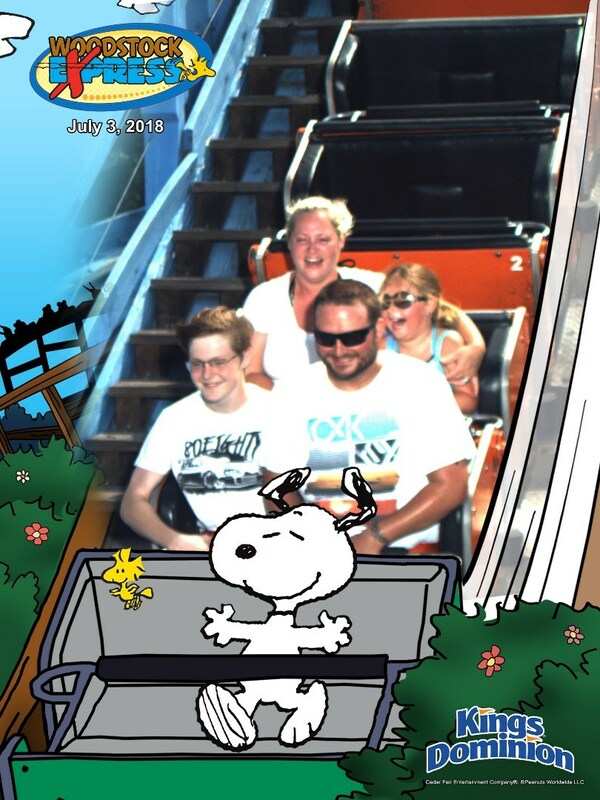 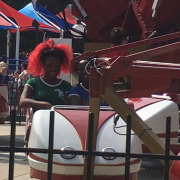 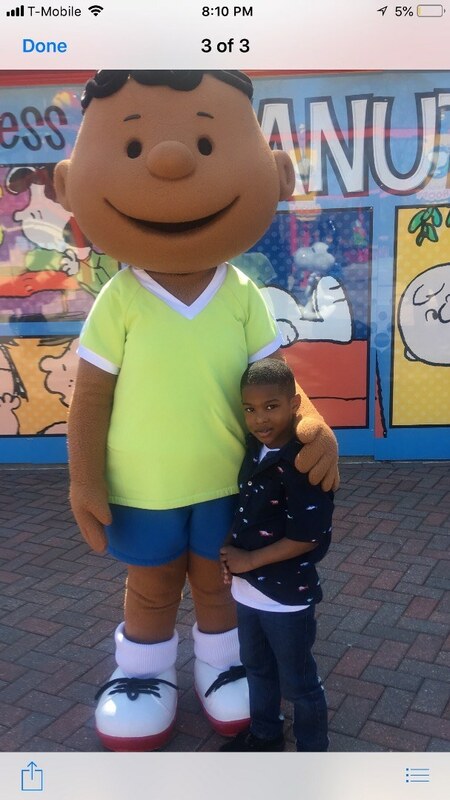 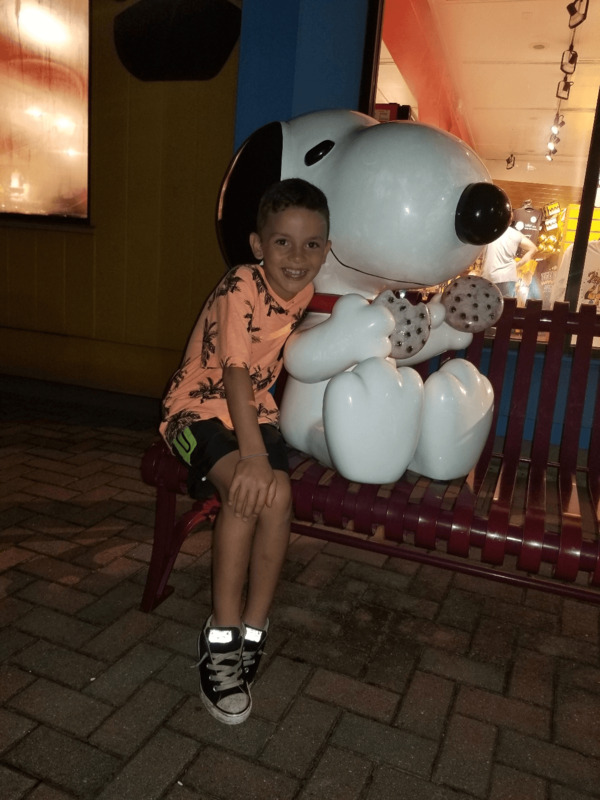 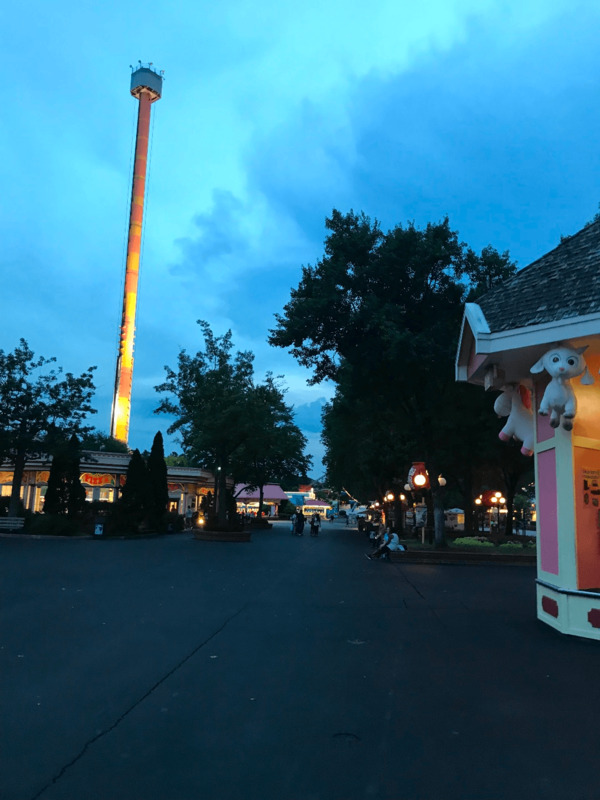 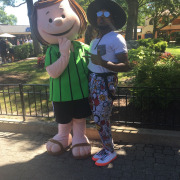 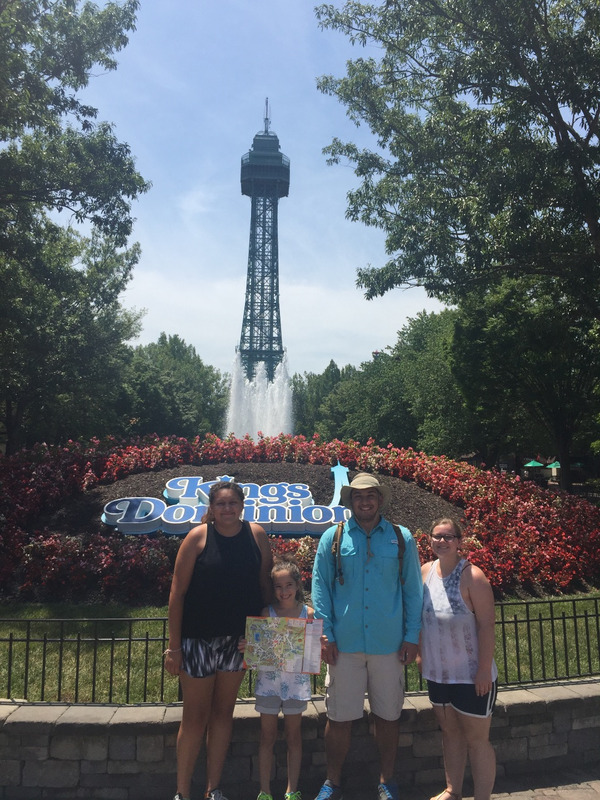 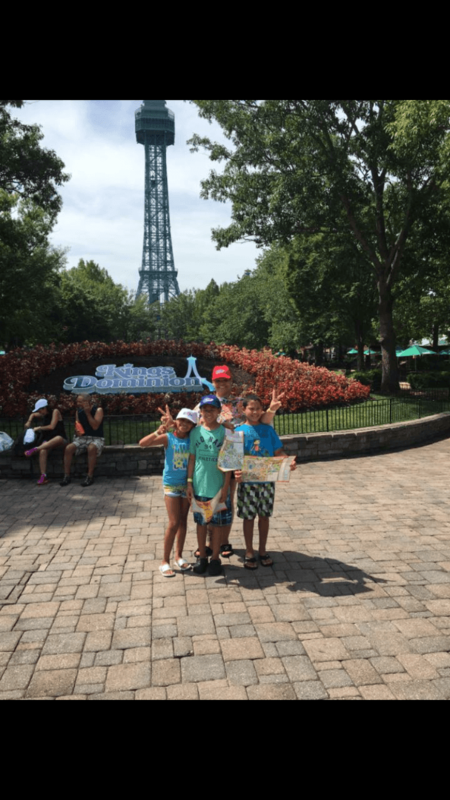 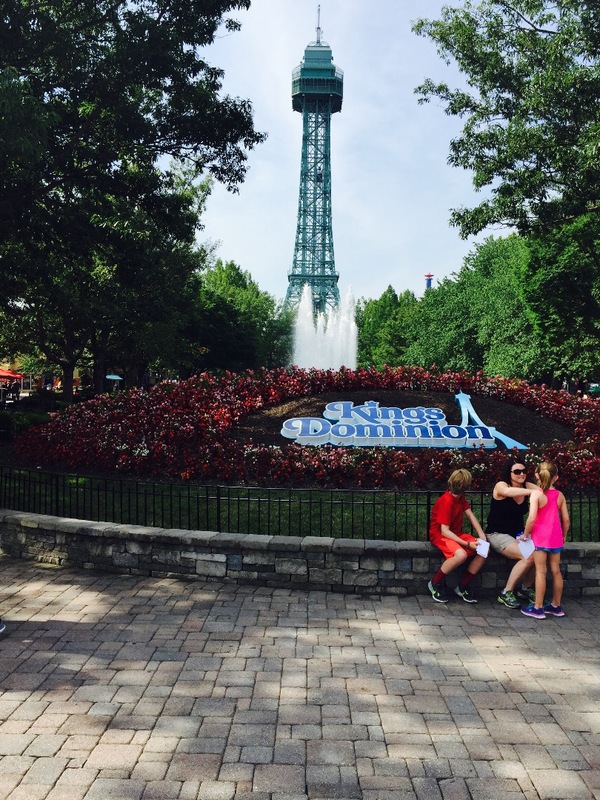 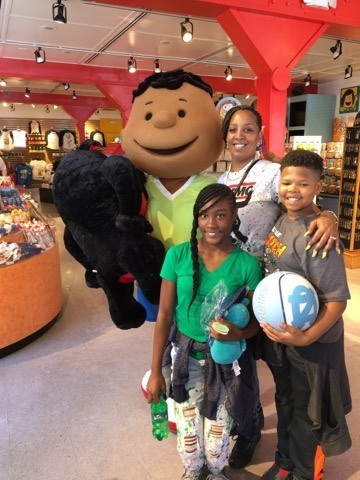 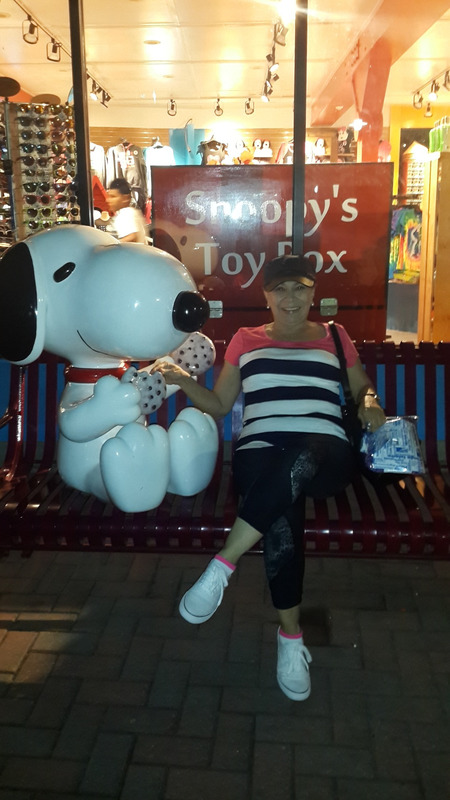 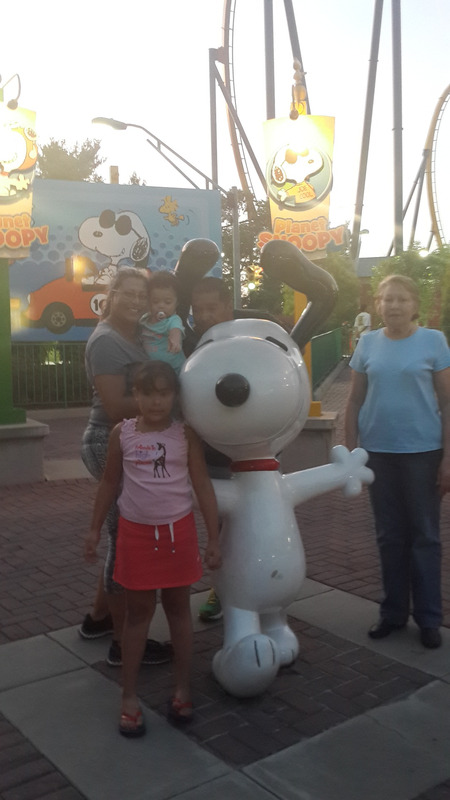 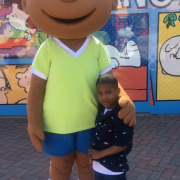 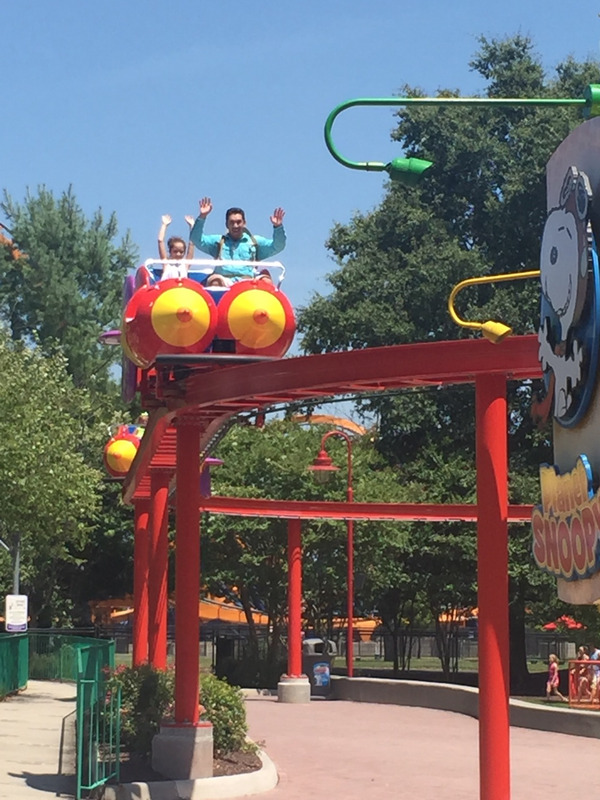 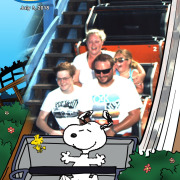 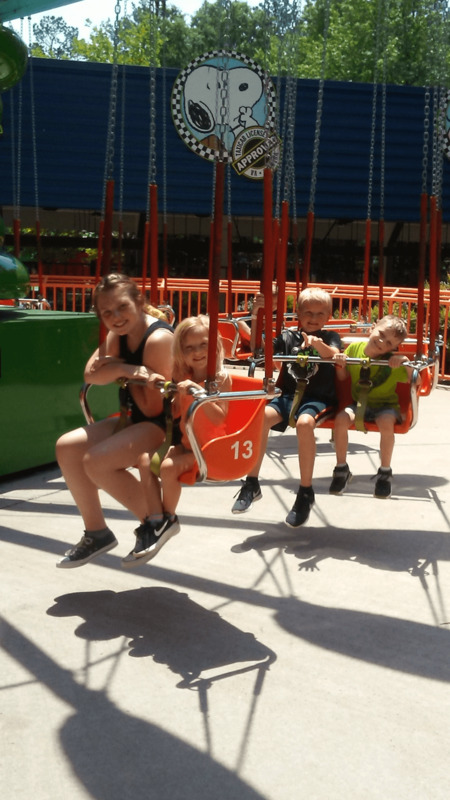 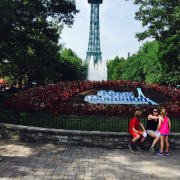 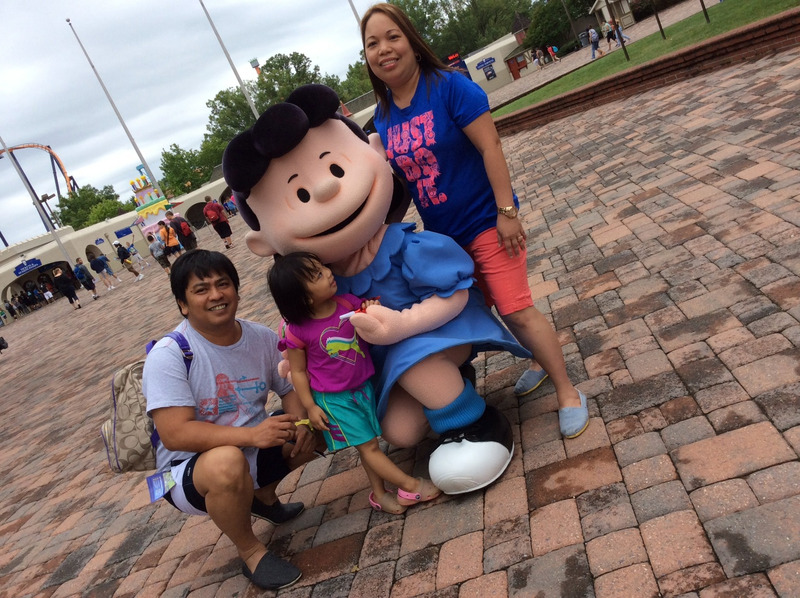 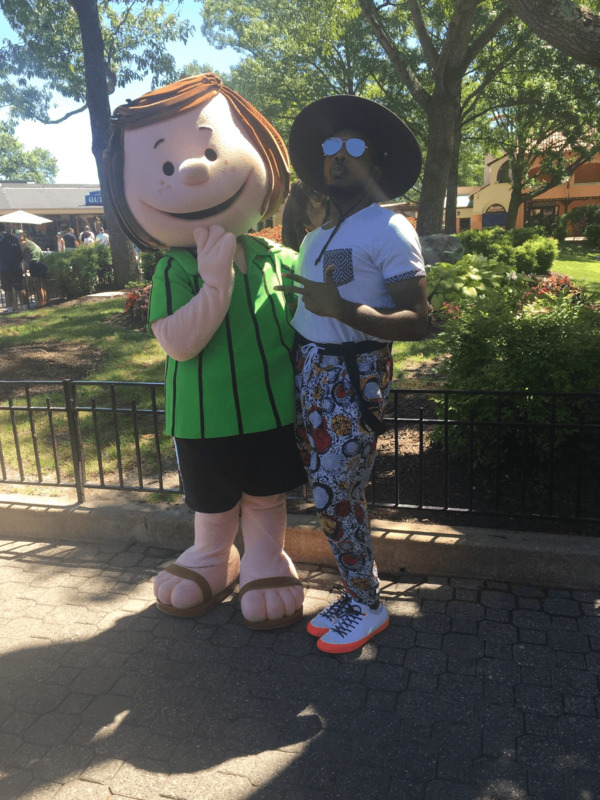 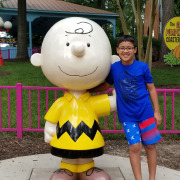 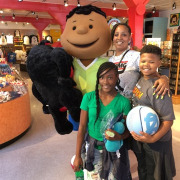 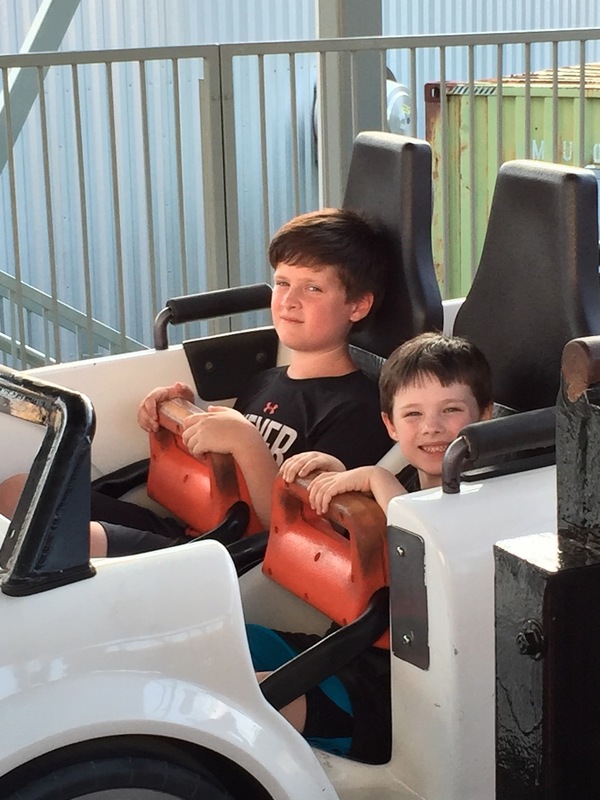 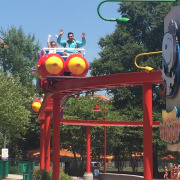 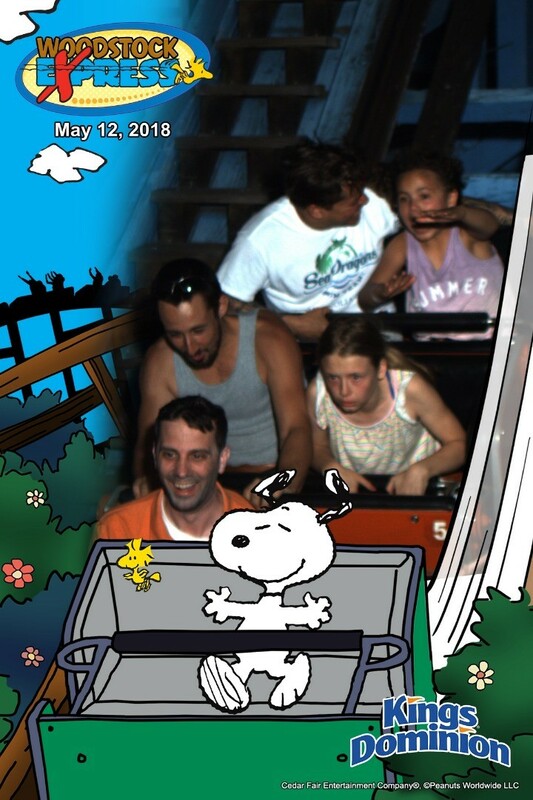 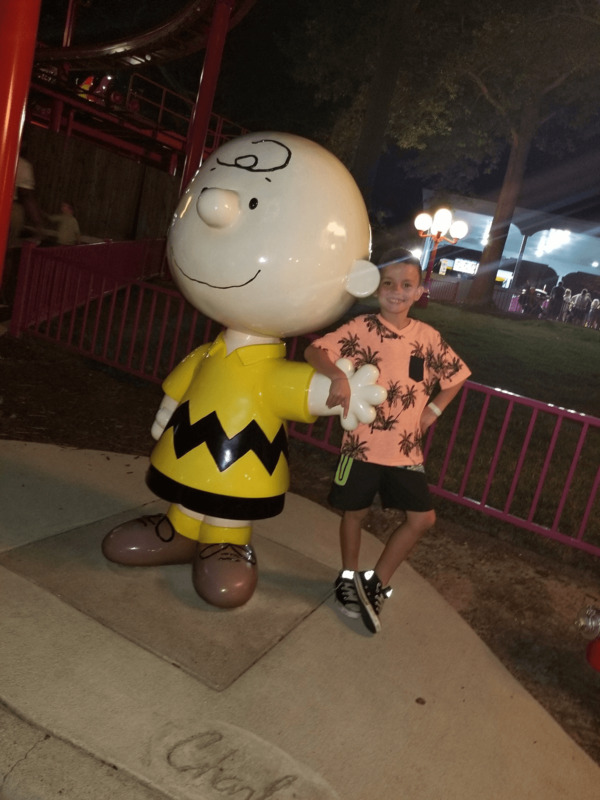 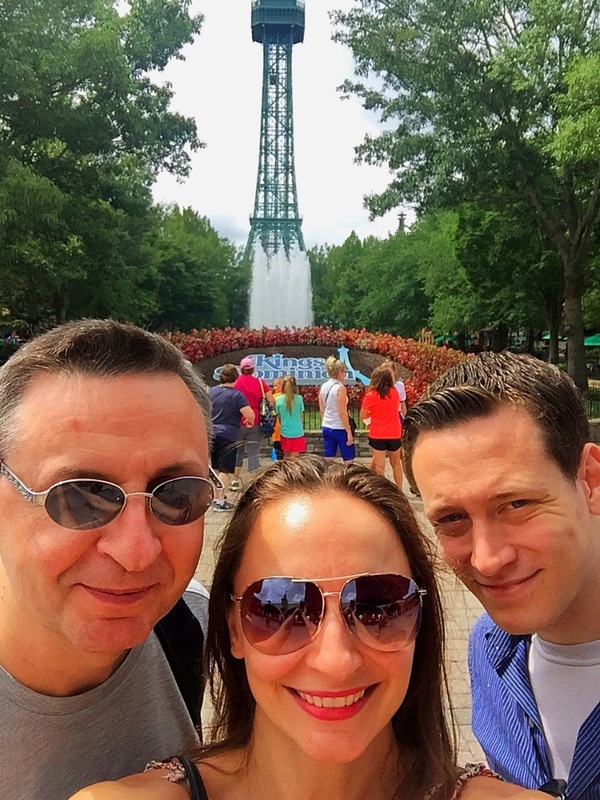 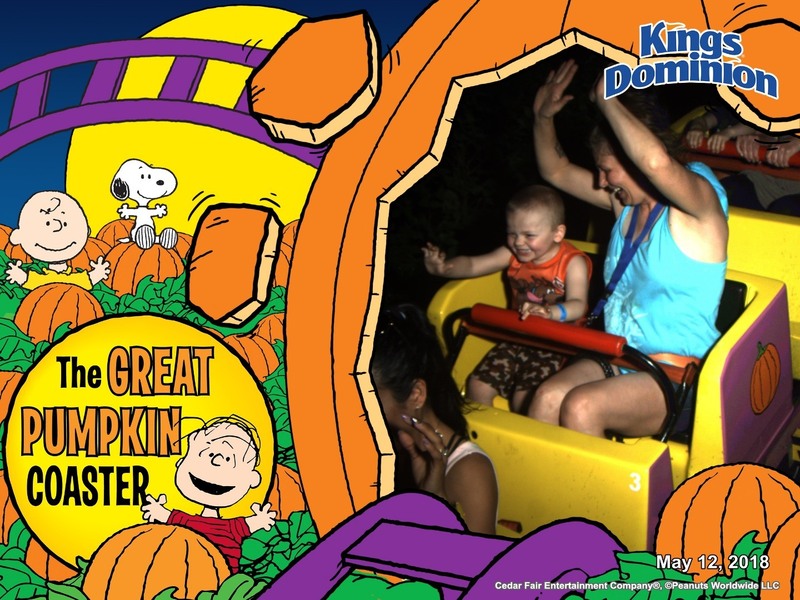 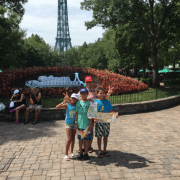 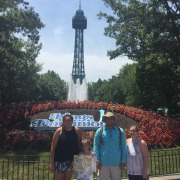 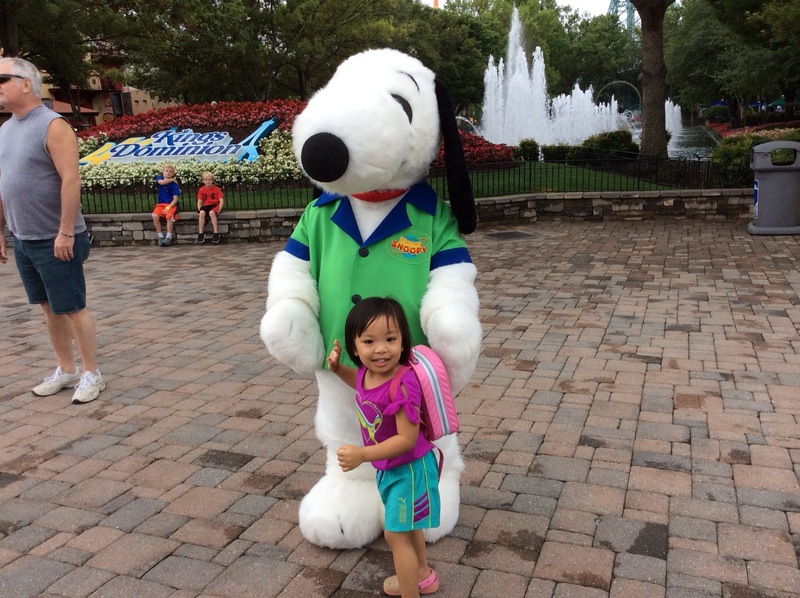 Planet Snoopy has been a family fun favorite at Kings Dominion. 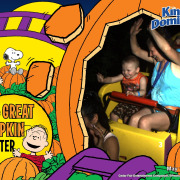 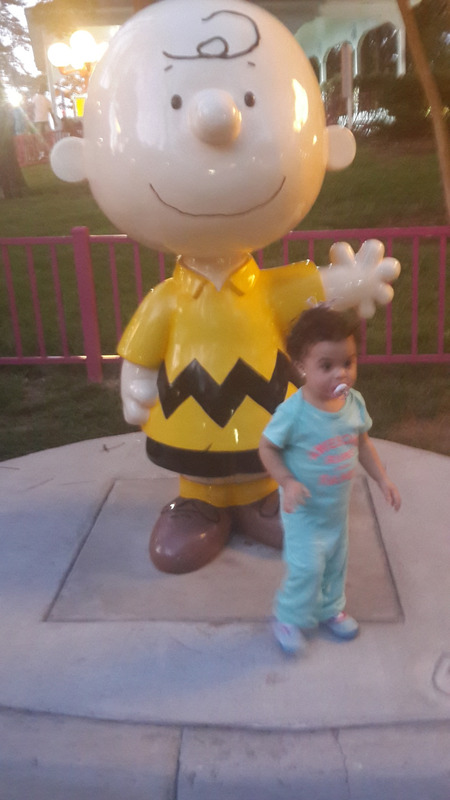 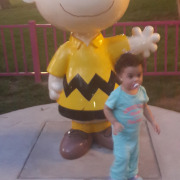 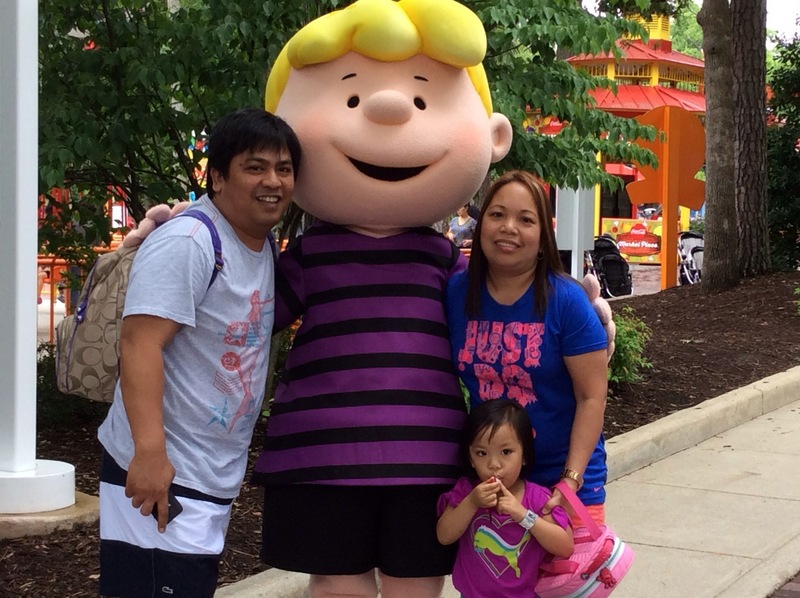 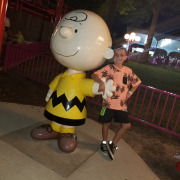 Featuring the entire PEANUTS™ gang and 18 rides designed for families to experience together spanning nearly 14-acres. 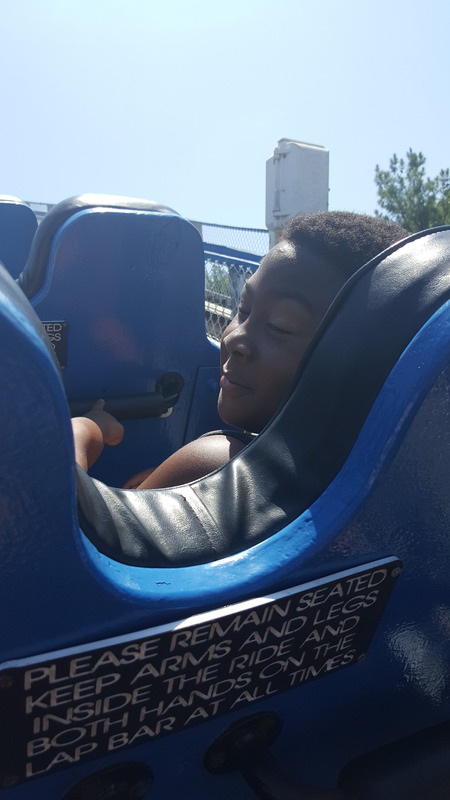 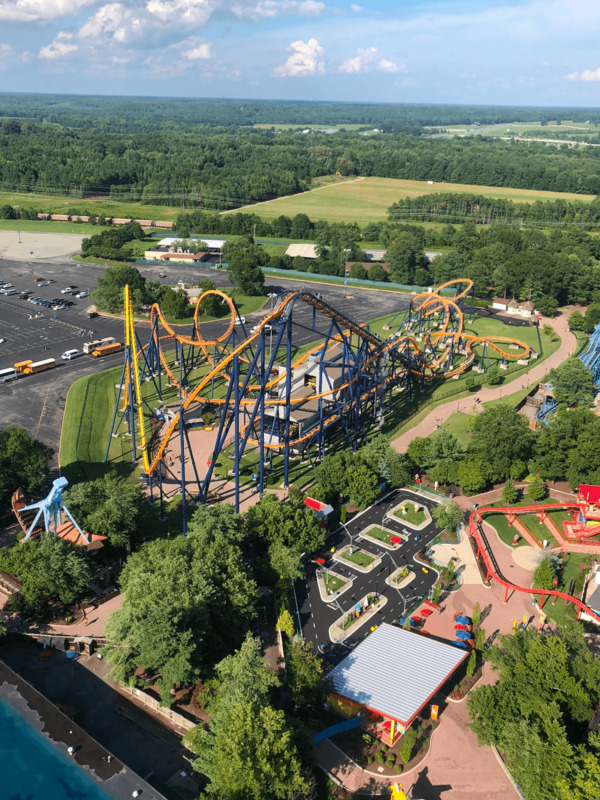 We're making room for more fun, more laughs and more thrills by adding three new thrill rides for your family and expanding the Planet Snoopy experience including a new event space and upgraded food and beverage locations. 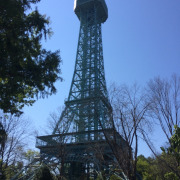 Also, enjoy free in-park WiFi during your visit, perfect for taking advantage of our new Mobile App and saving data. 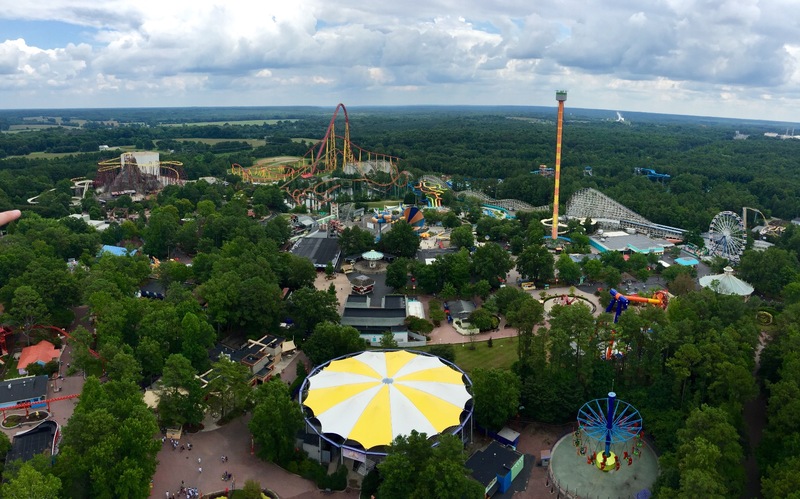 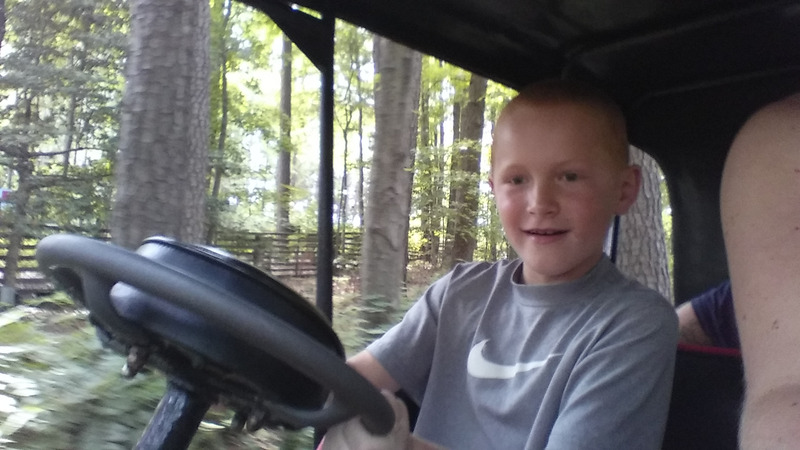 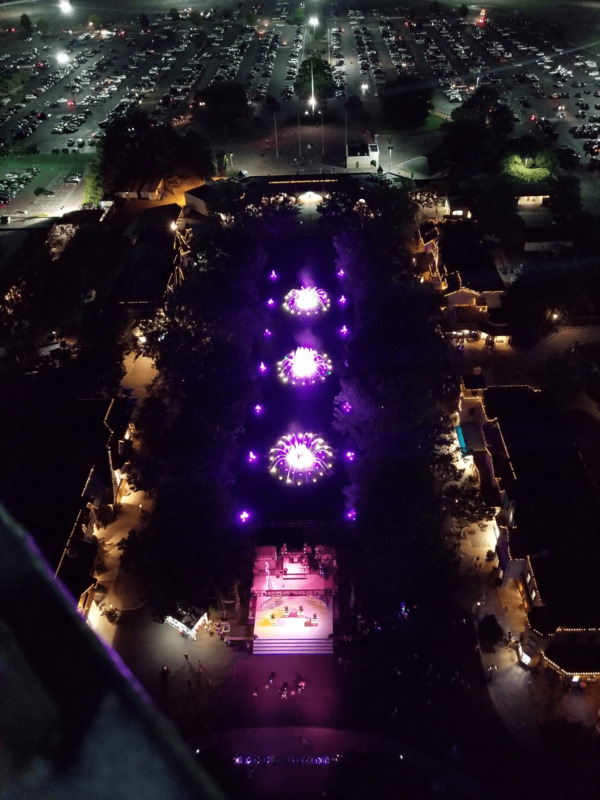 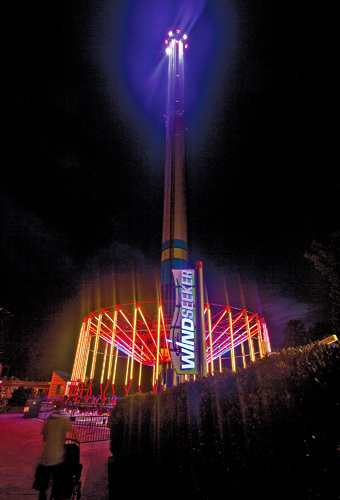 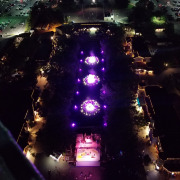 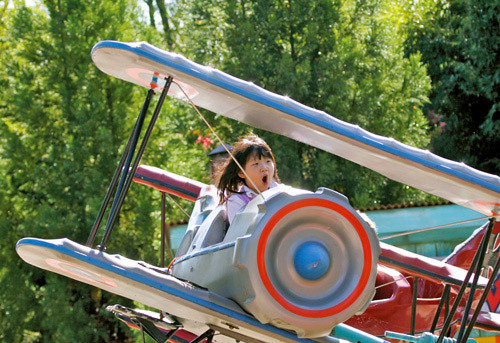 We’ve got 400 acres packed with more than 60 rides, shows and attractions. 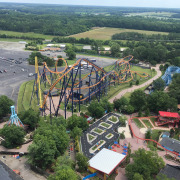 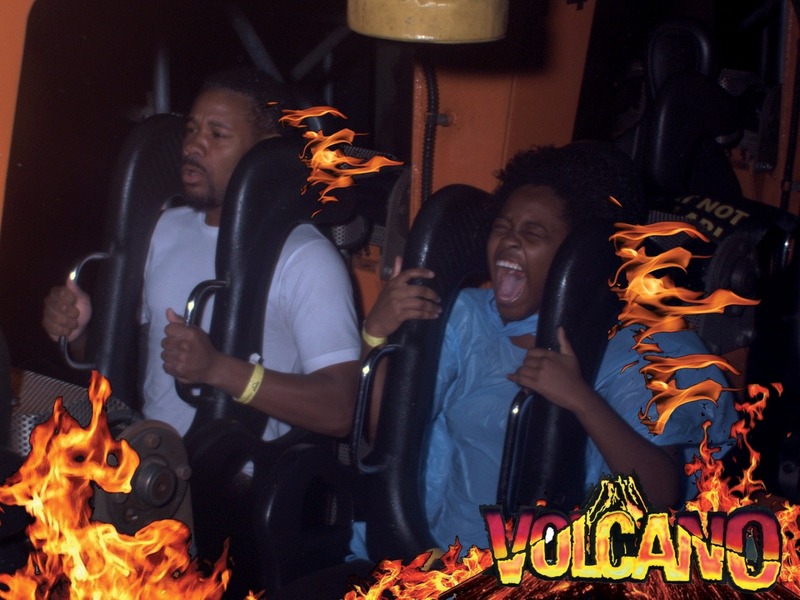 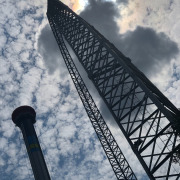 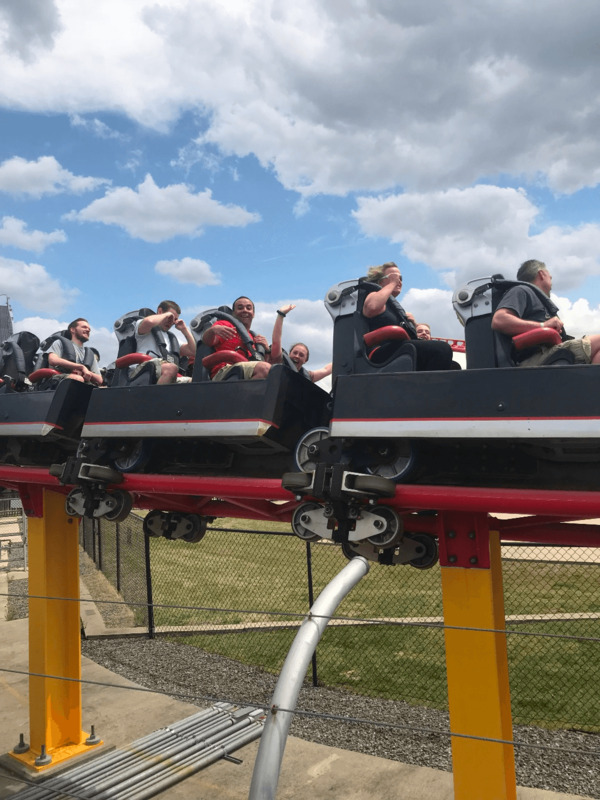 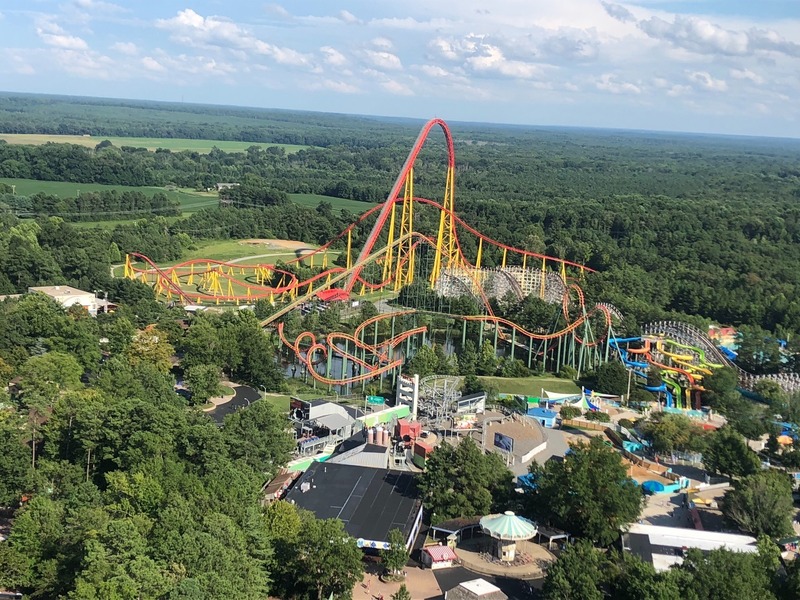 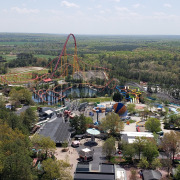 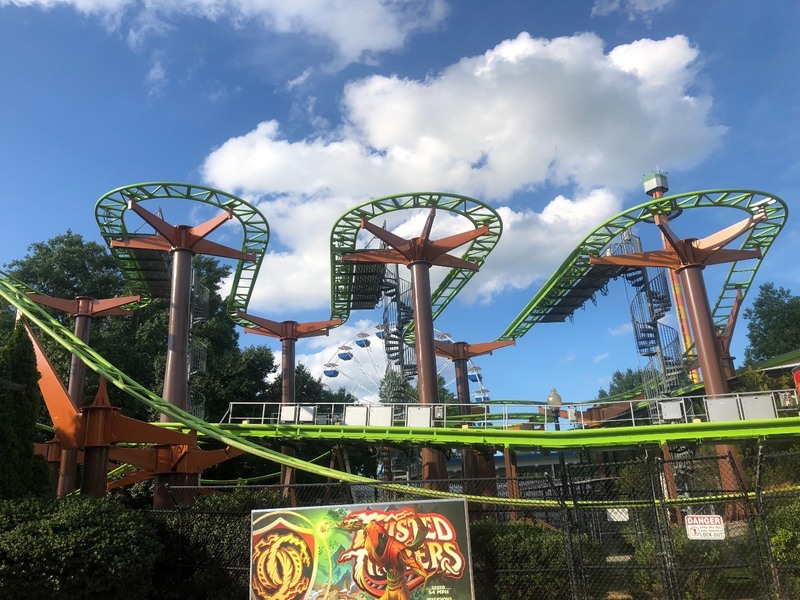 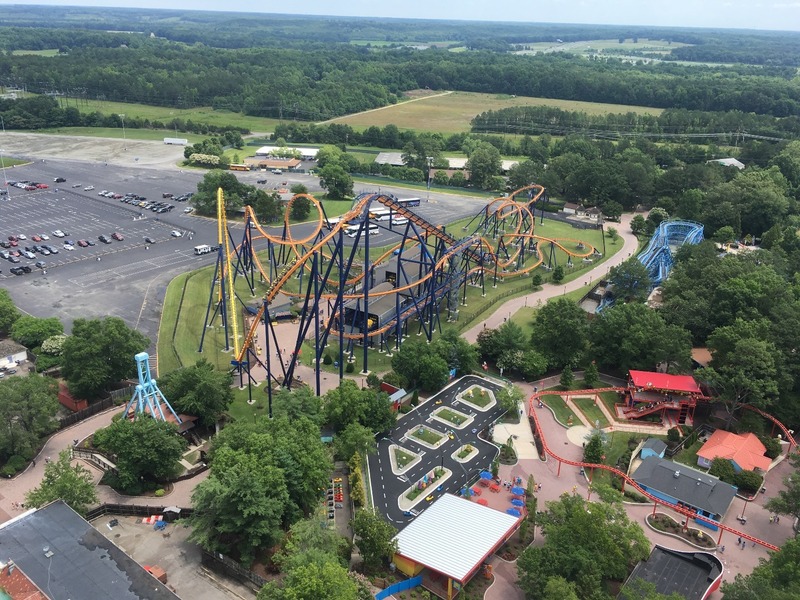 Thrill-seekers will get their fix with one of the East Coast’s largest collection of breath-taking roller coasters – 13 in all, including Intimidator 305™, Dominator, Grizzly, Delirium, Anaconda, Volcano, Drop Tower, Rebel Yell and more! 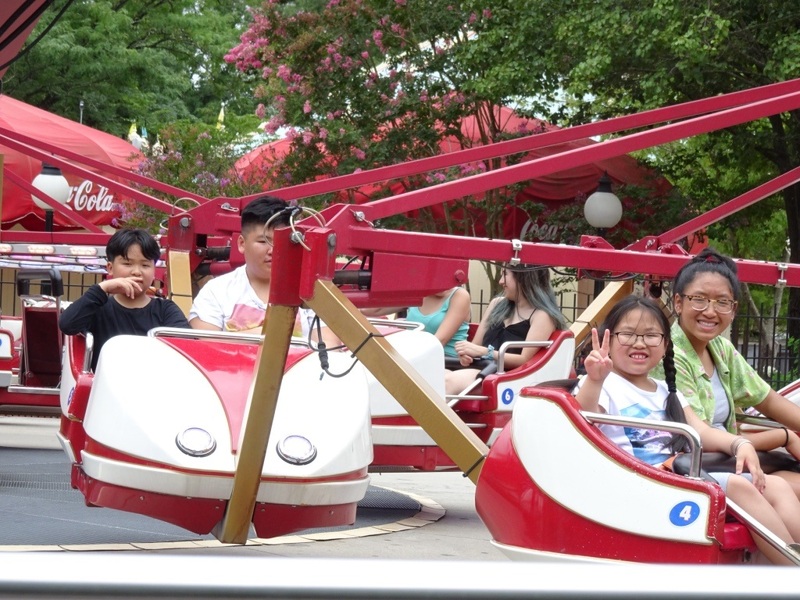 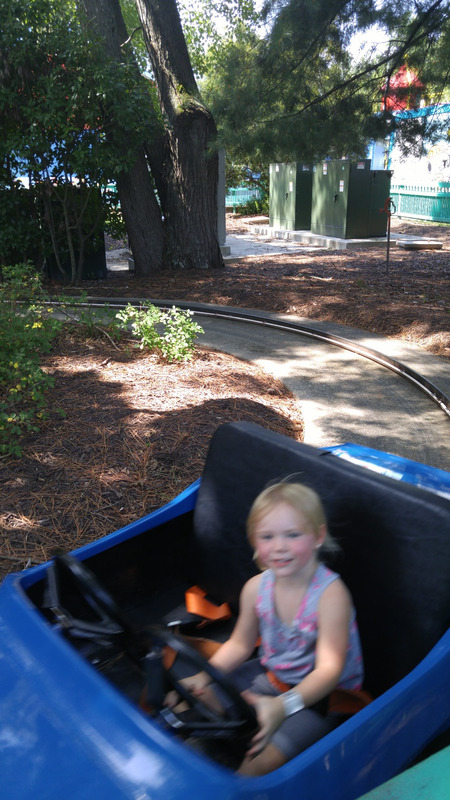 If slower speeds are for you, the family rides like the Carousel or Blue Ridge Tollway will be perfect. 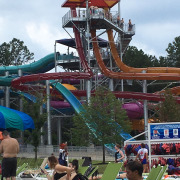 Admission includes Soak City Water Park! 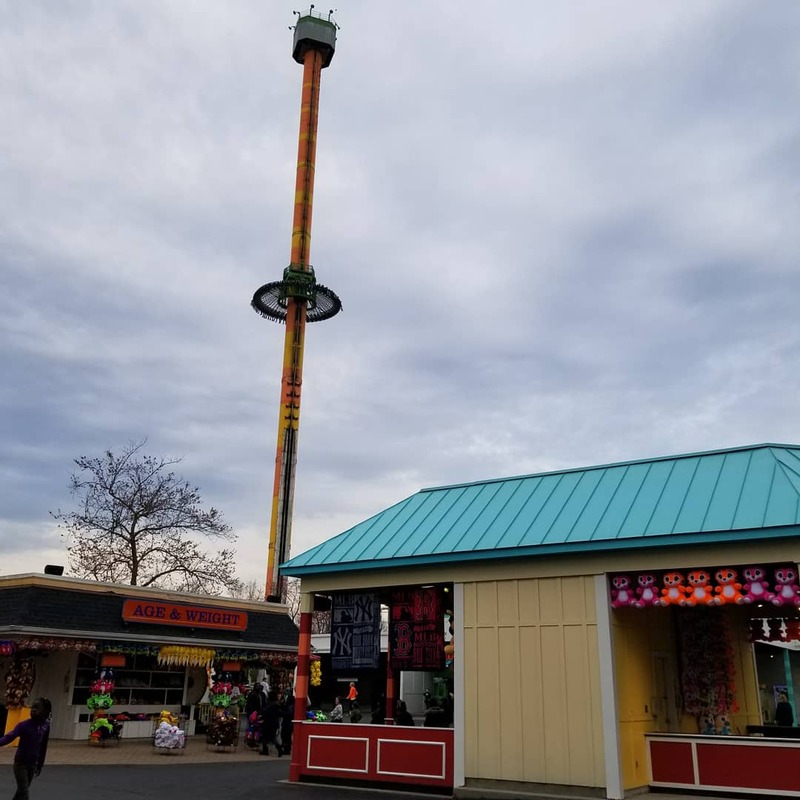 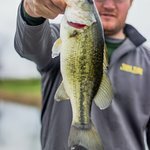 Now Closed for the 2018 season. 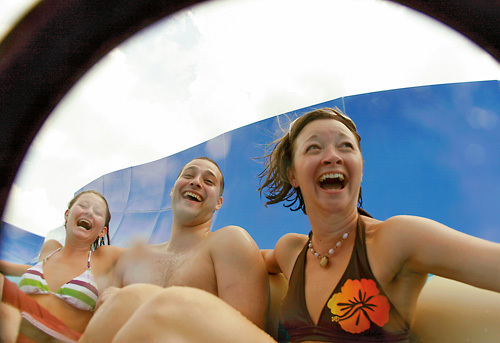 Soak up the sun in the newly expanded Soak City, our all-inclusive 20-acre water park. 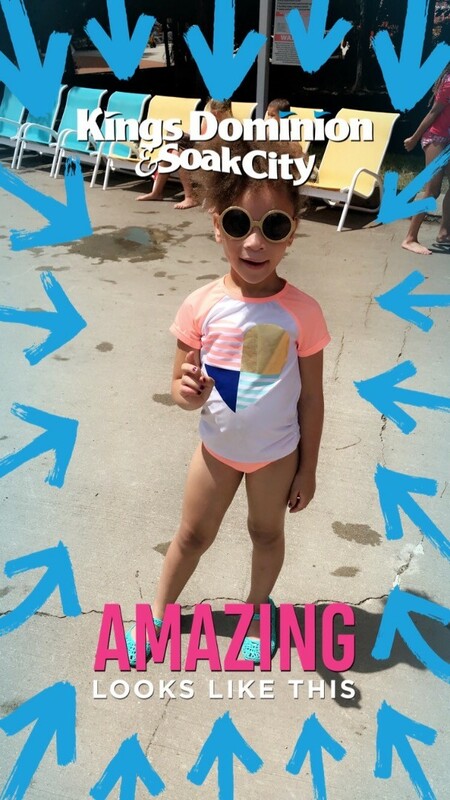 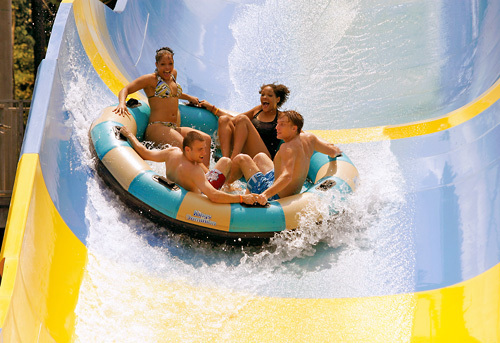 Filled with exciting water slides, two wave pools, cabanas and more! 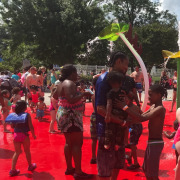 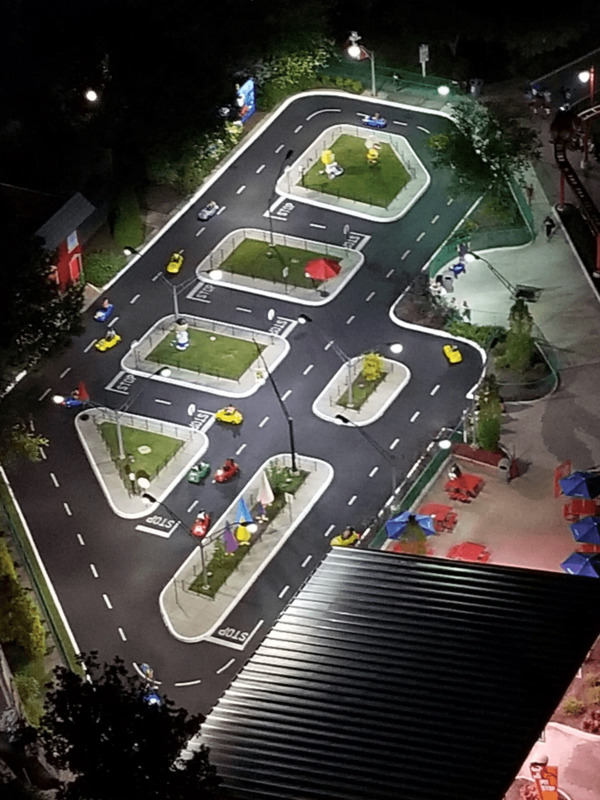 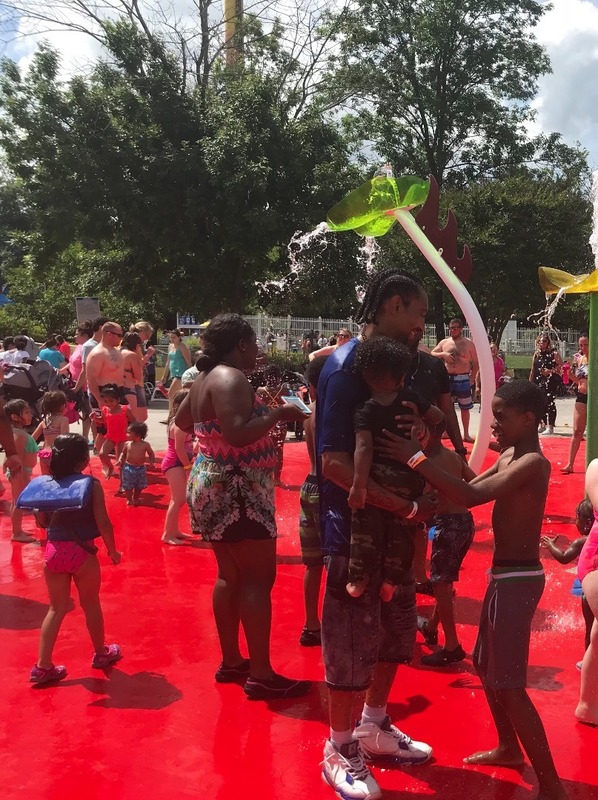 Plus, little ones and their families can play together on Splash Island, an interactive splash pad where kids can let their imaginations run wild! 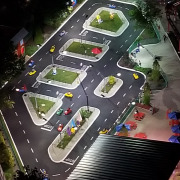 Parking is $20 per vehicle for regular parking and $25 for preferred. 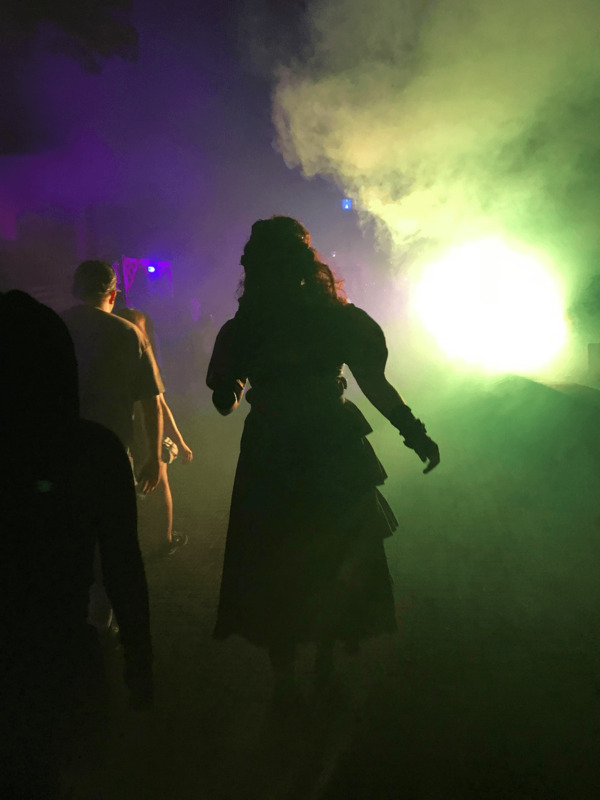 Special ticketed events are not included. 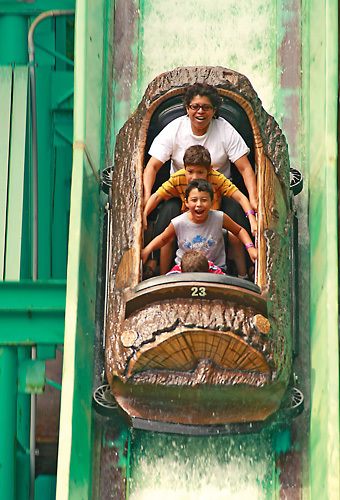 Sorry, no rain checks or refunds once you have entered the park and a 3-day cancellation policy on tickets. 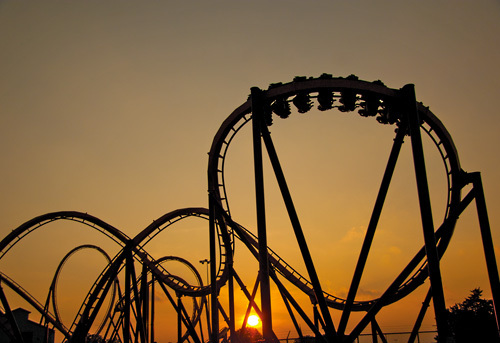 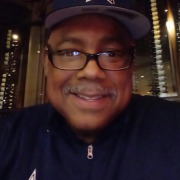 The process of buying the tickets was very easy and cheaper than most other sites. 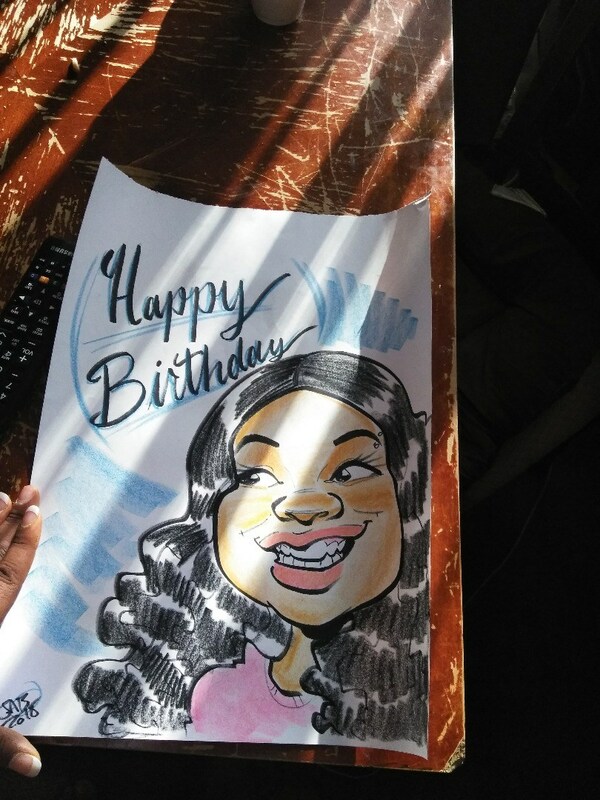 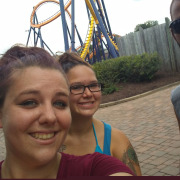 Definitely plan on using again. 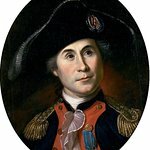 Tip: Very easy to navigate and use. 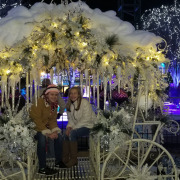 Tip: If you want to ice skate buy online before going !! 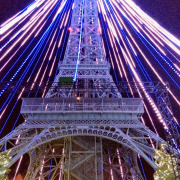 We did not do that either due to time restrictions.. SOO much to see and do ! 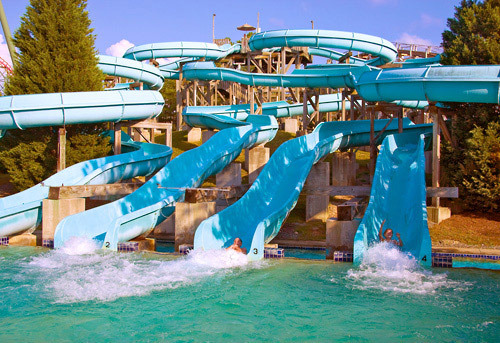 Plan a few days ! 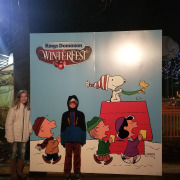 It is really fun during winter to have this experience of fun and adventure! 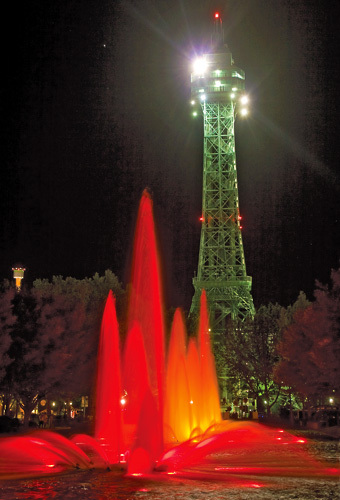 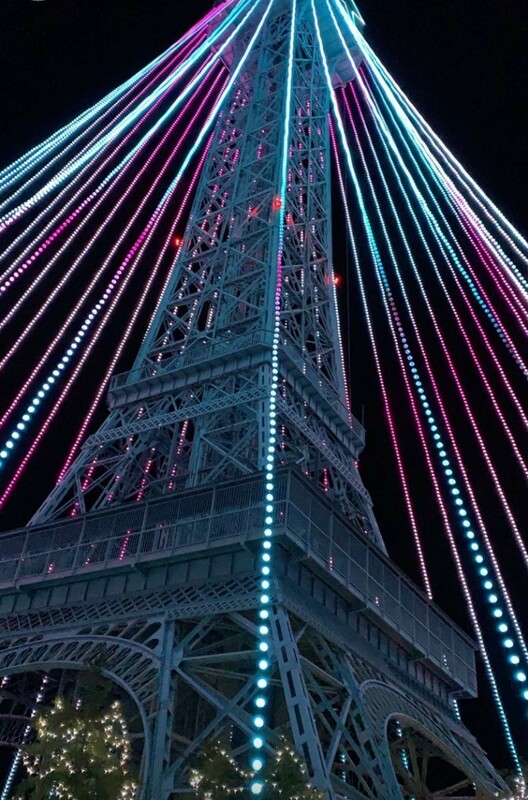 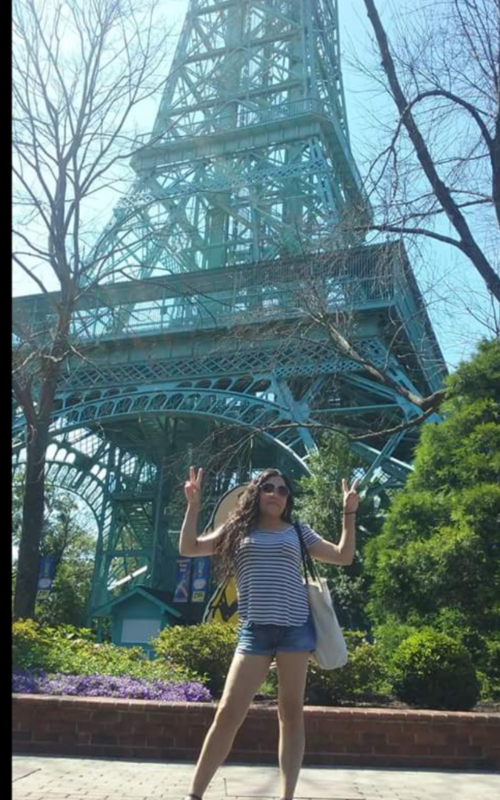 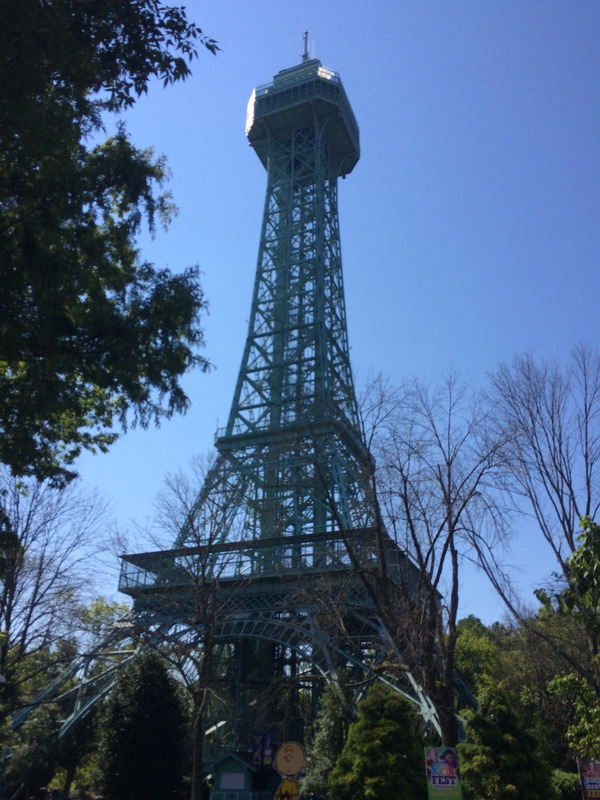 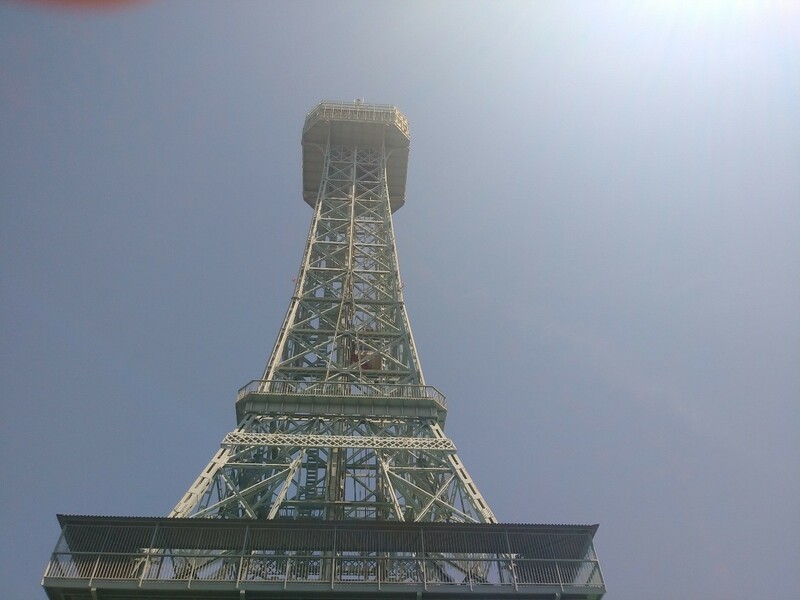 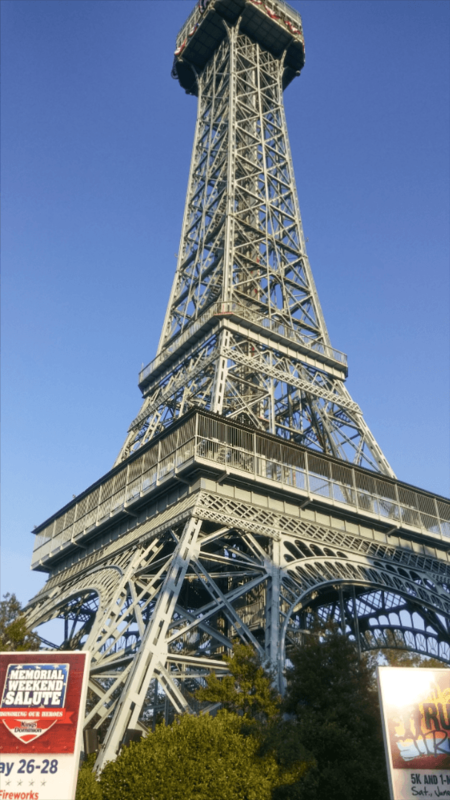 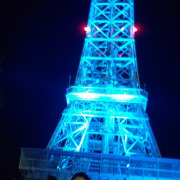 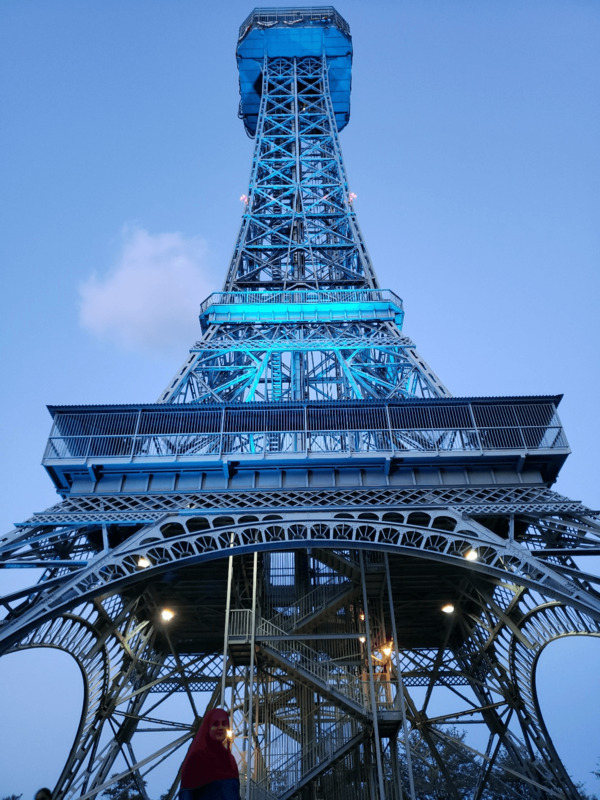 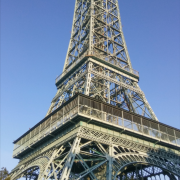 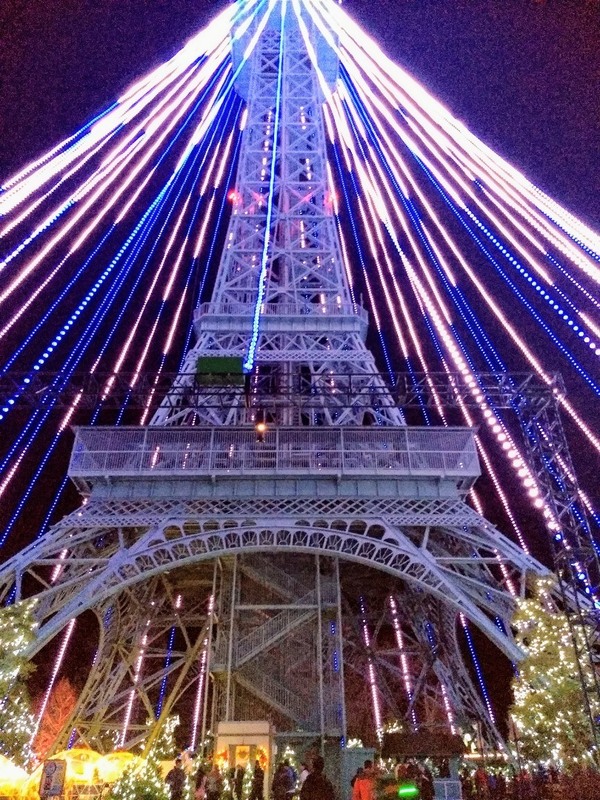 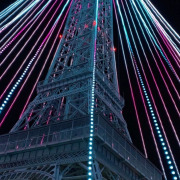 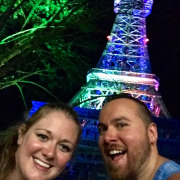 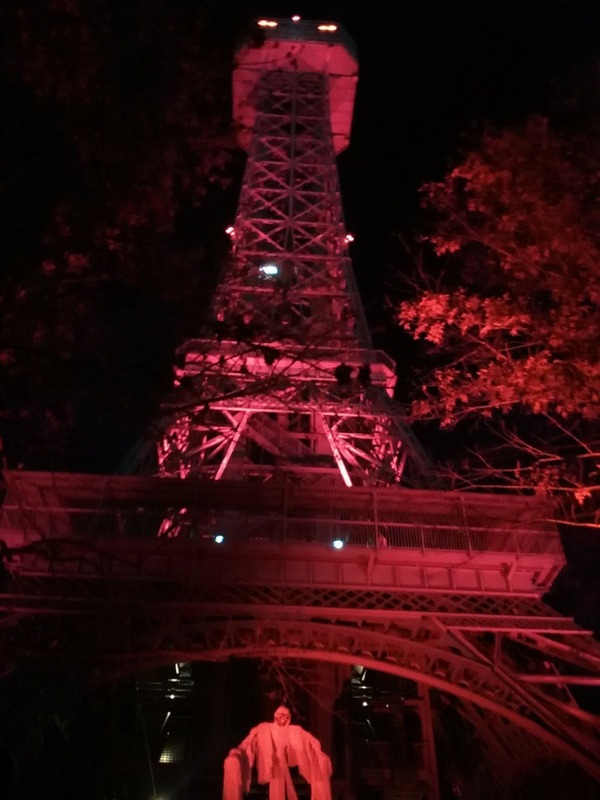 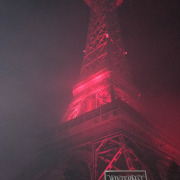 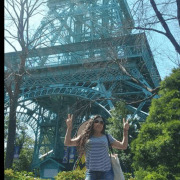 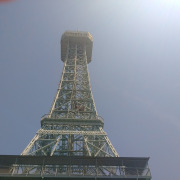 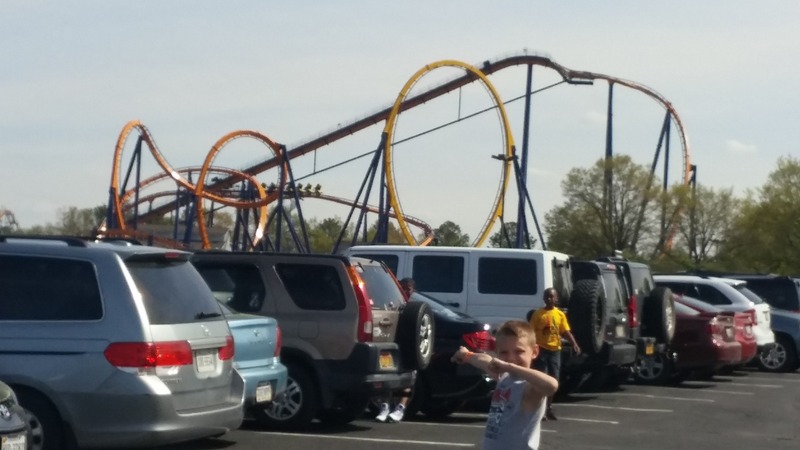 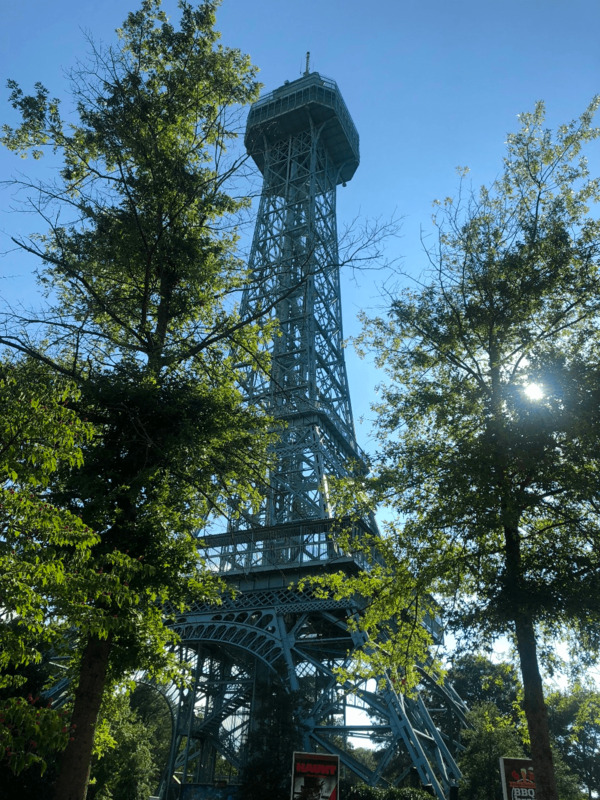 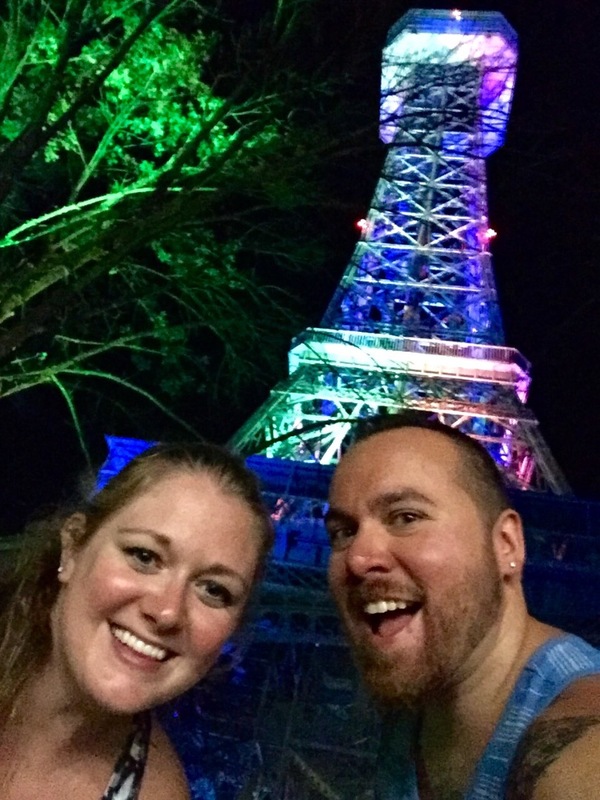 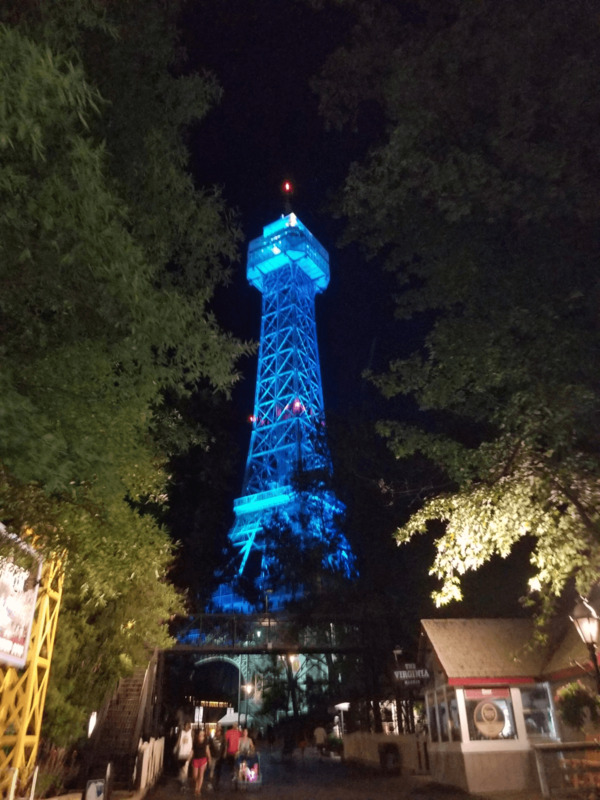 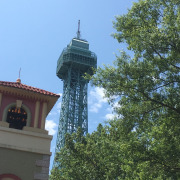 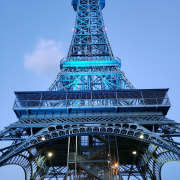 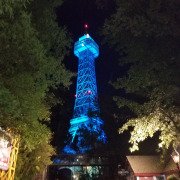 You will Also find the Paris Eiffel Tower in Kings dominion. 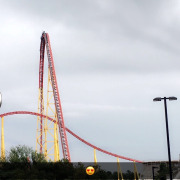 Not too much rides though due to the weather. 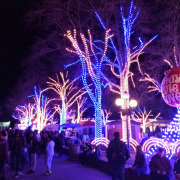 Tip: There are heaters almost everywhere outdoor, so U can’t feel cold! 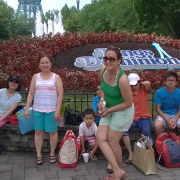 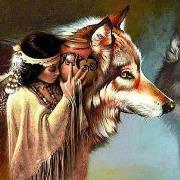 Great place for family n friends. 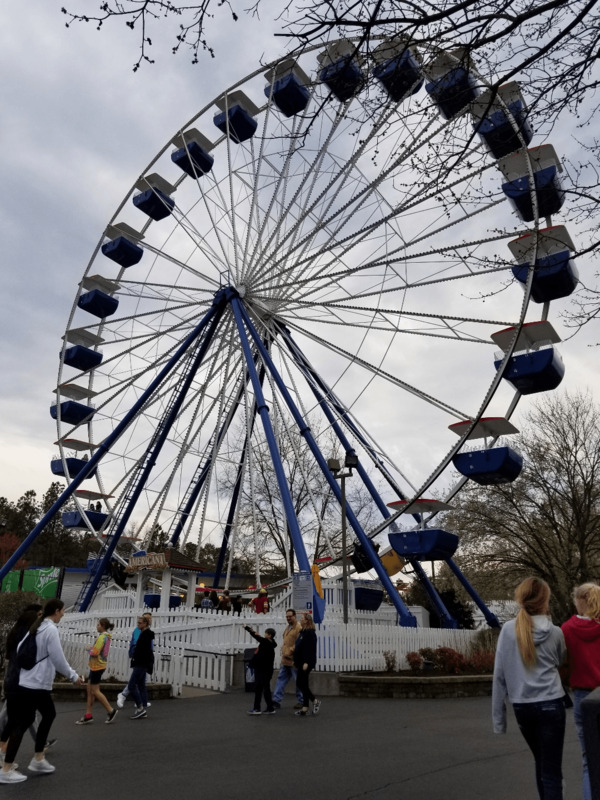 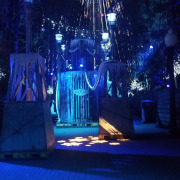 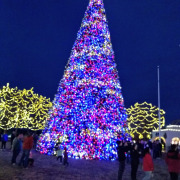 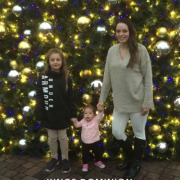 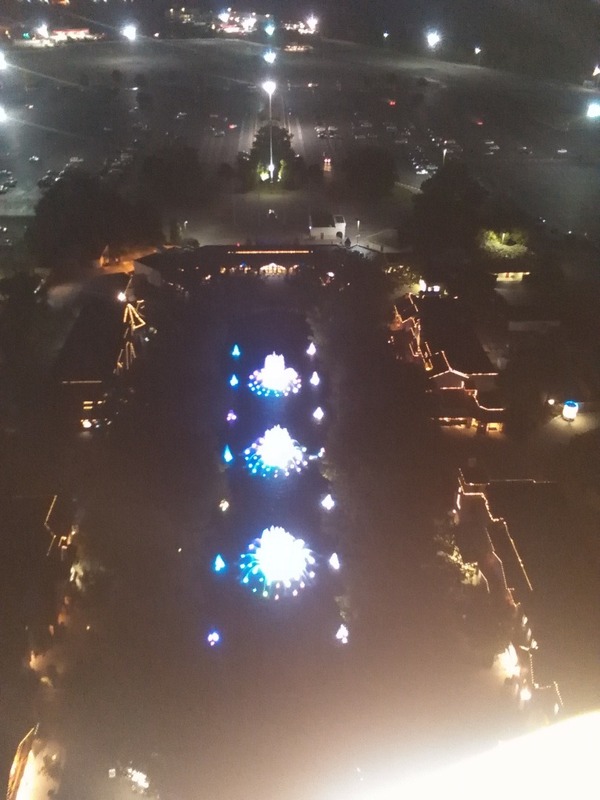 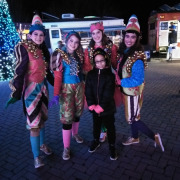 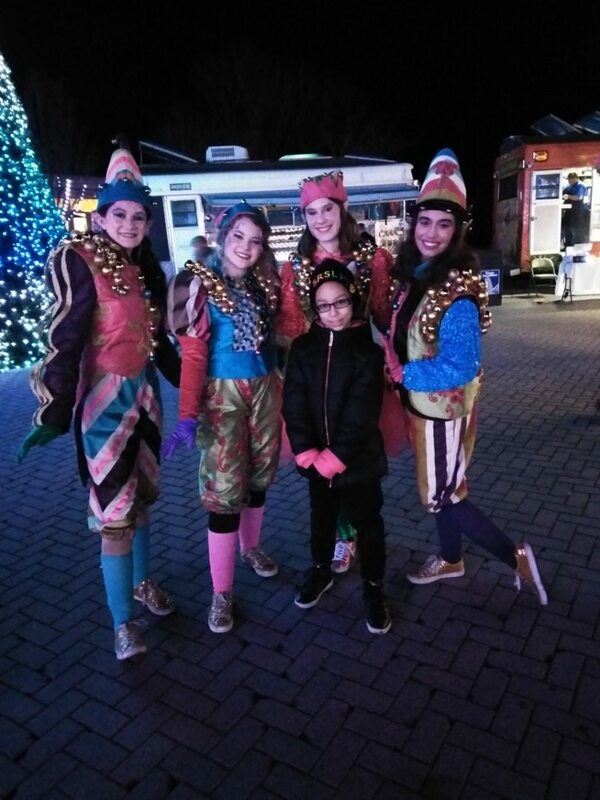 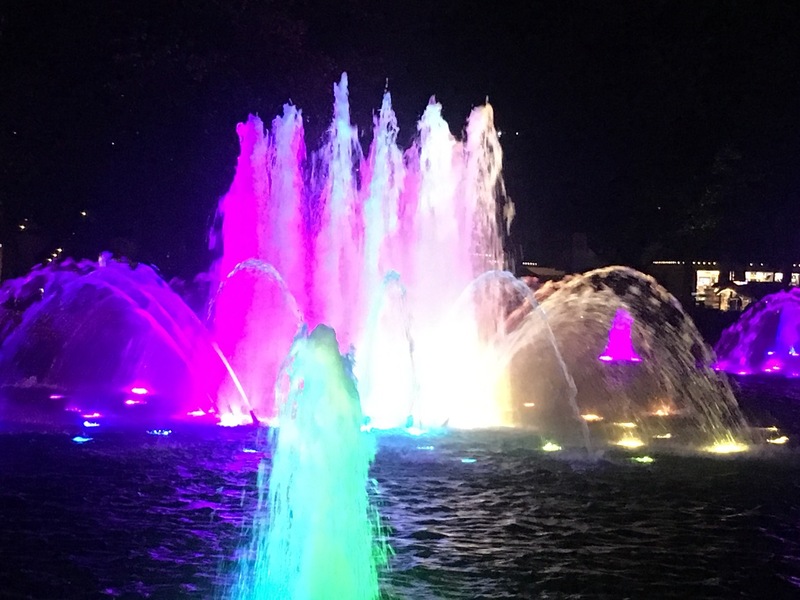 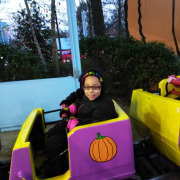 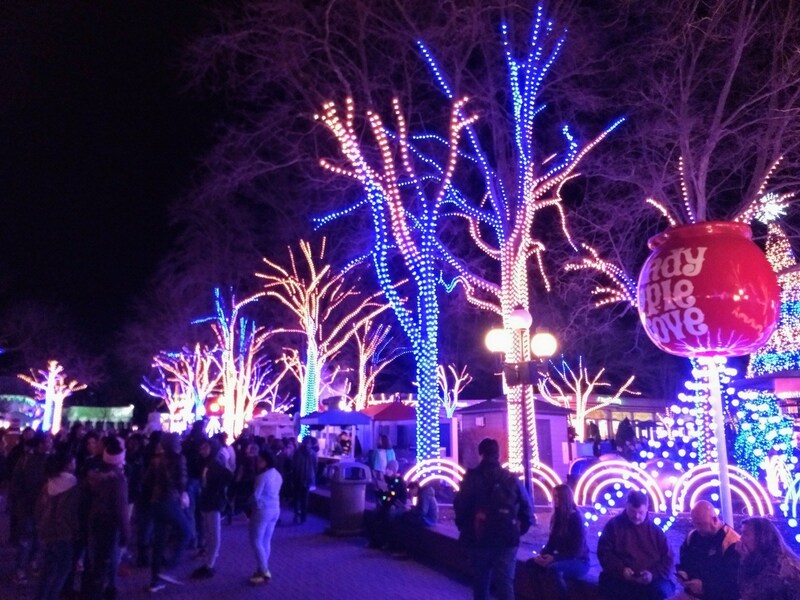 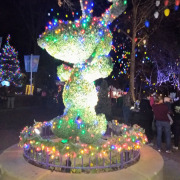 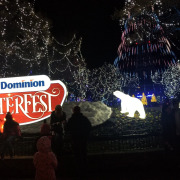 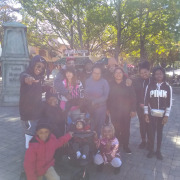 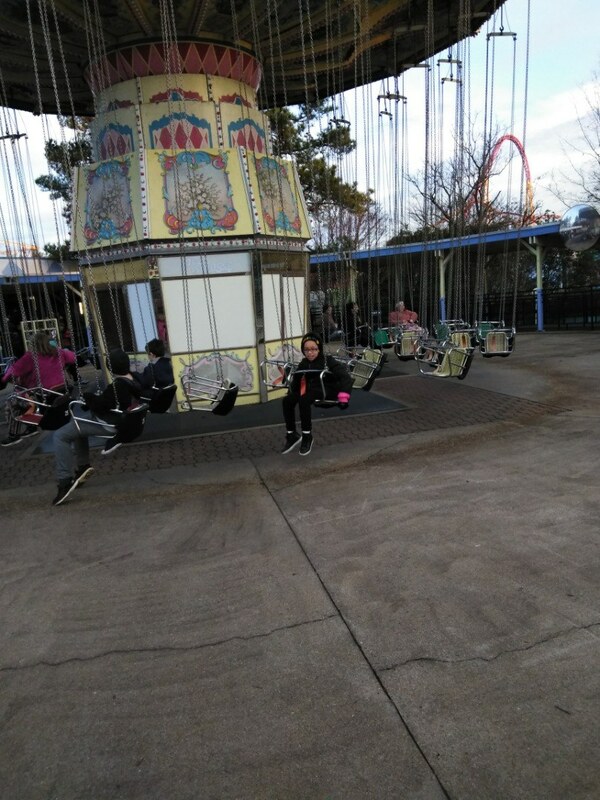 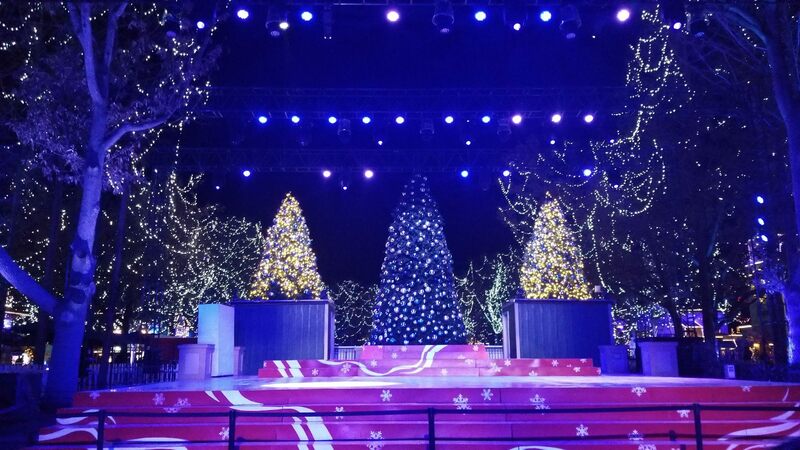 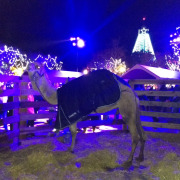 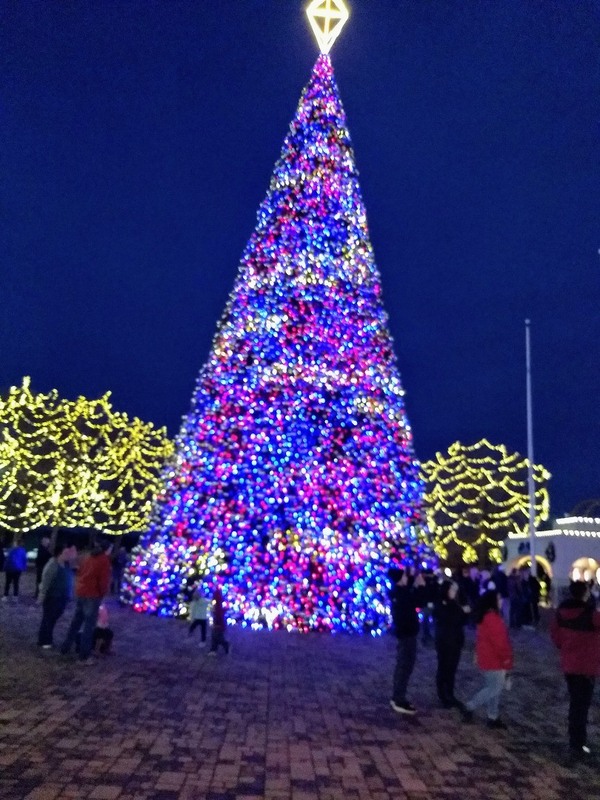 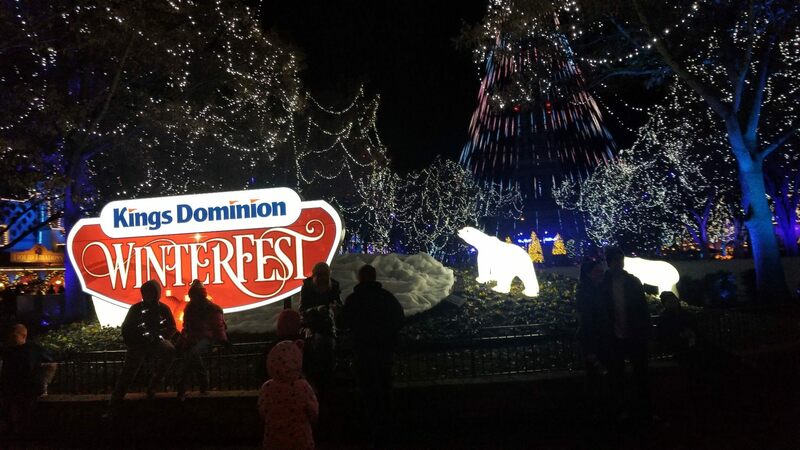 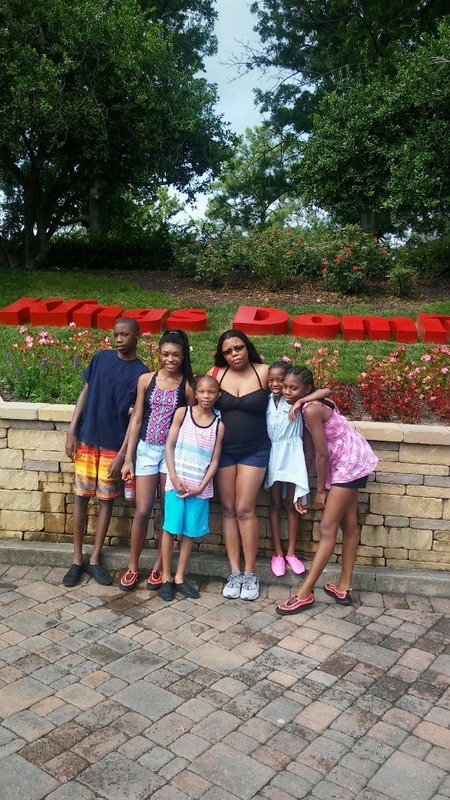 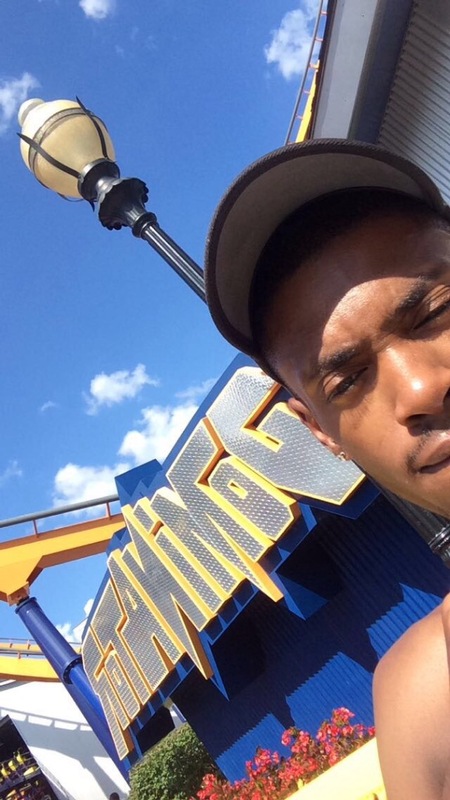 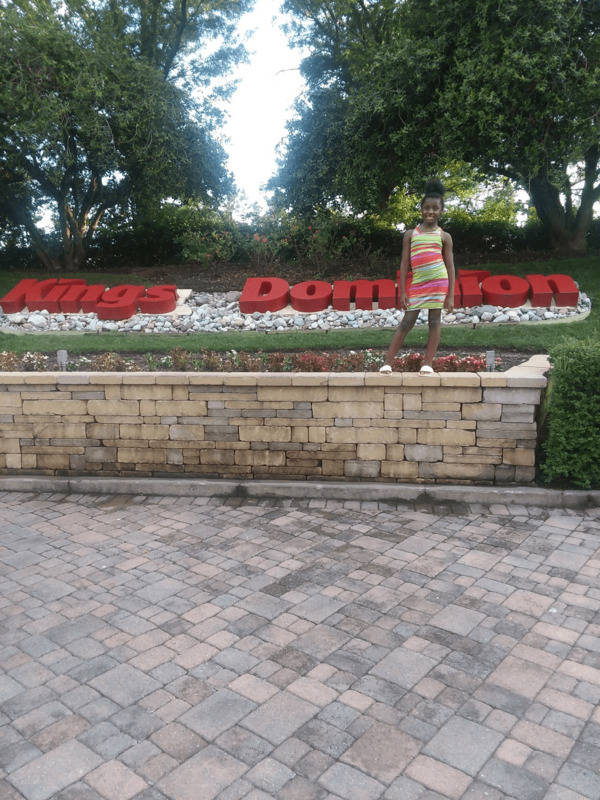 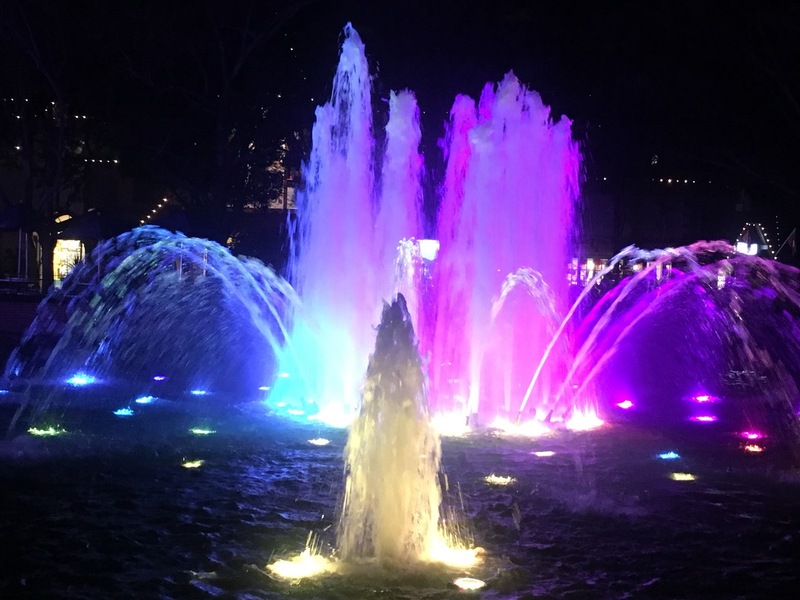 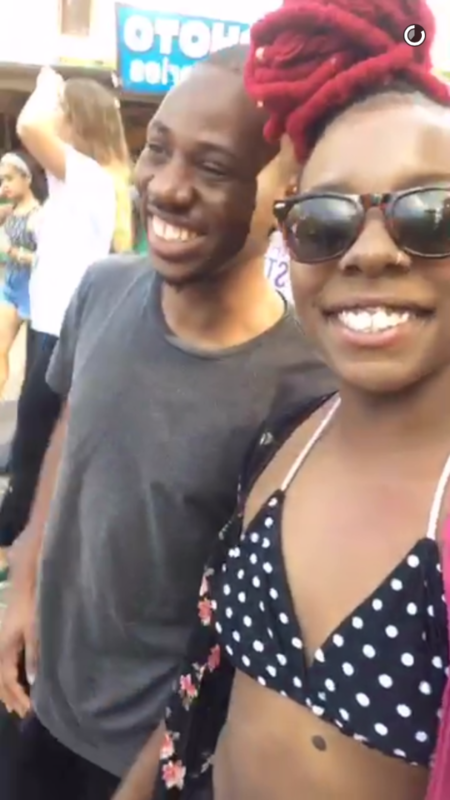 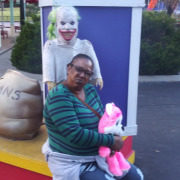 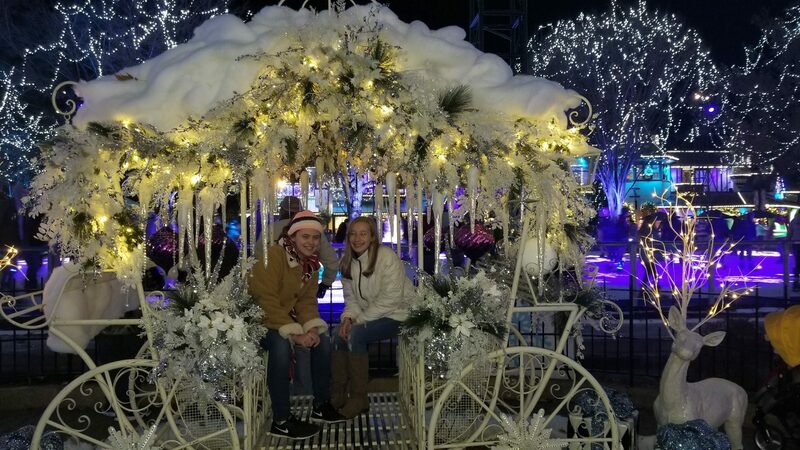 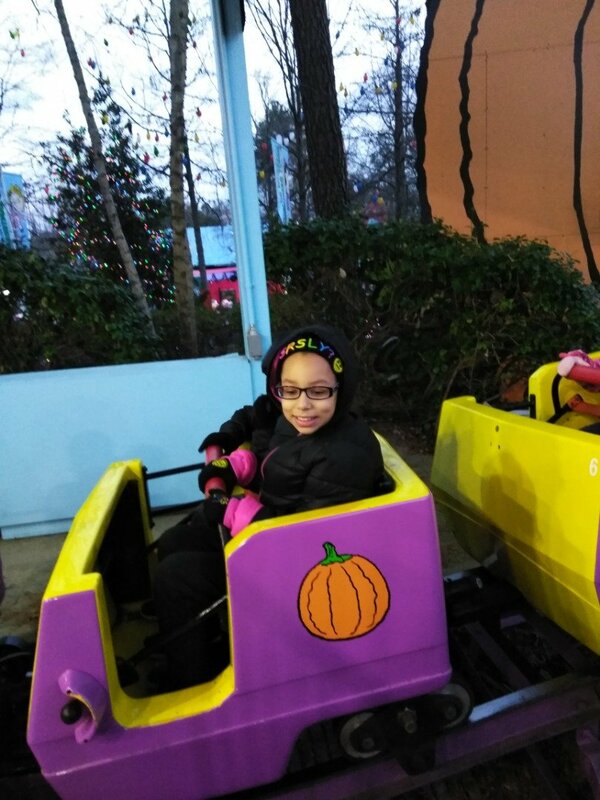 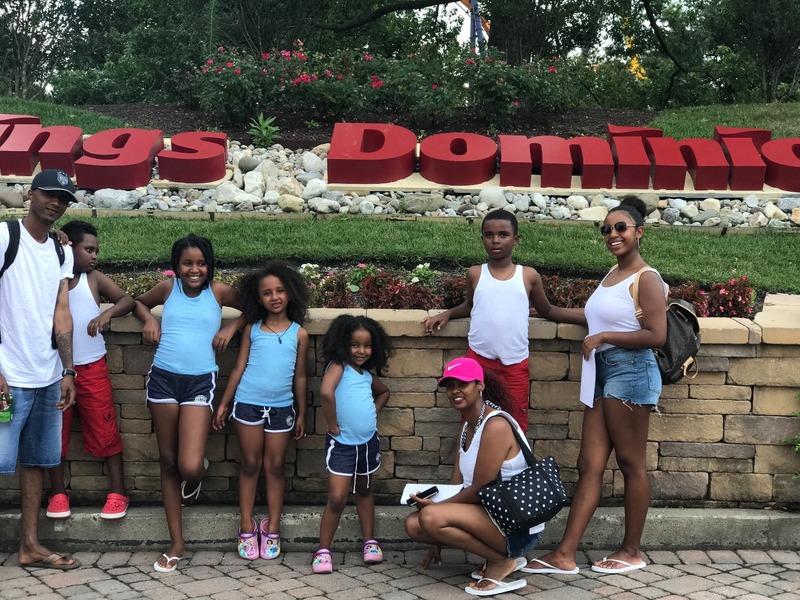 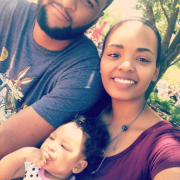 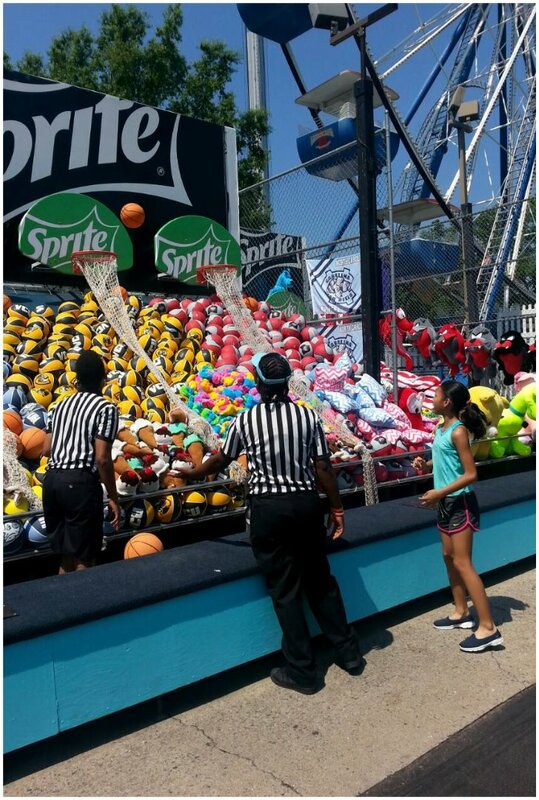 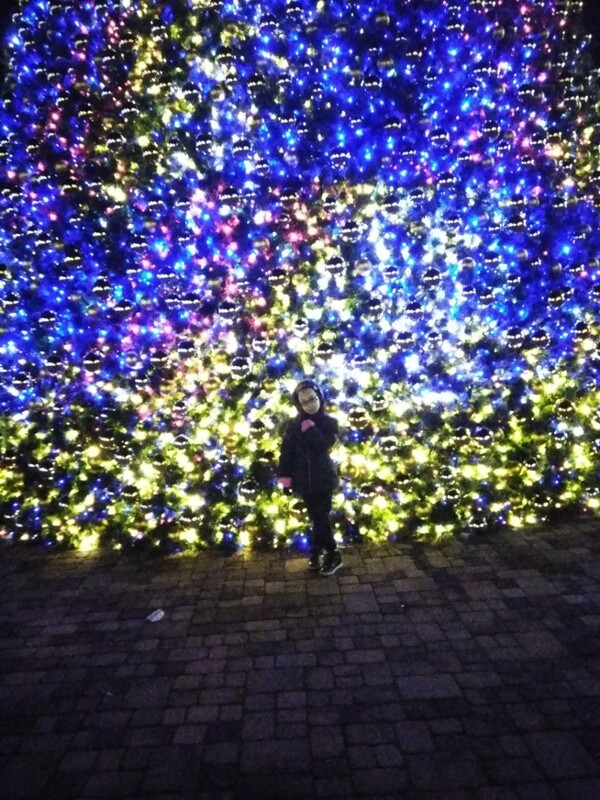 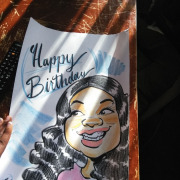 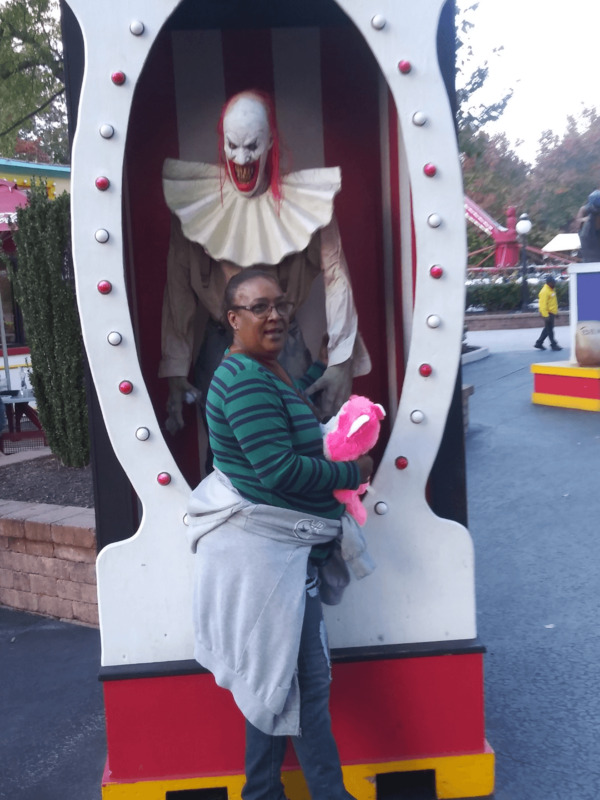 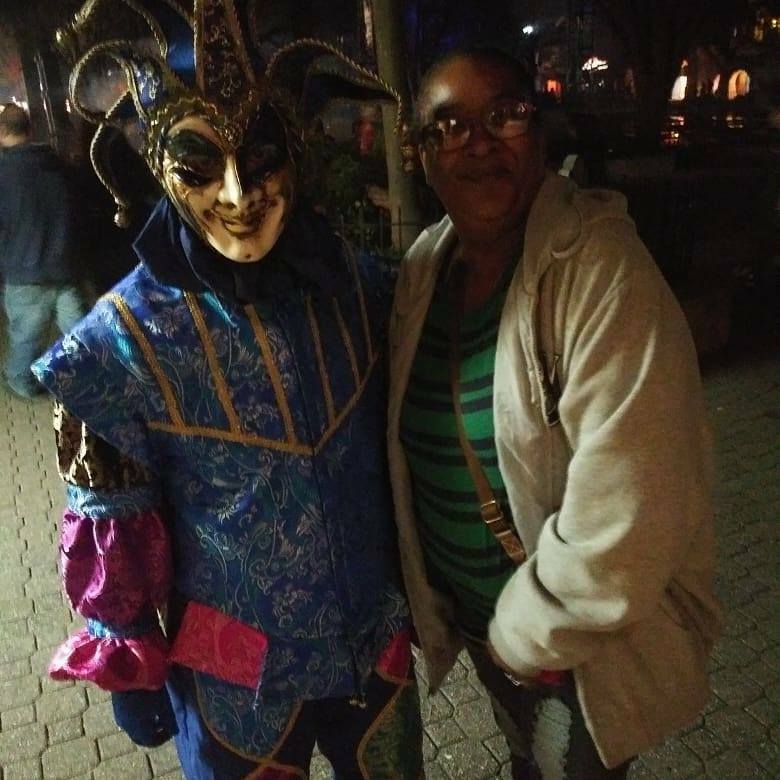 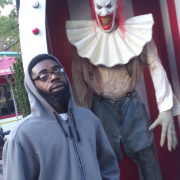 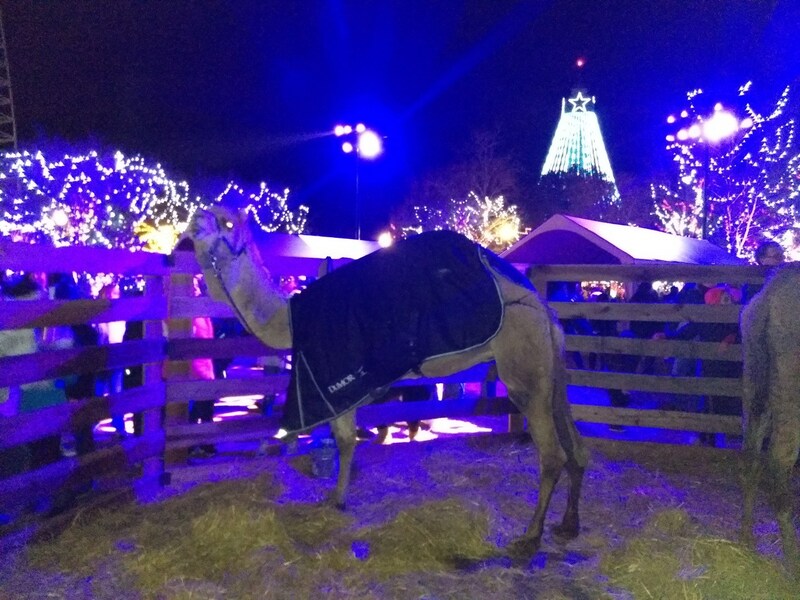 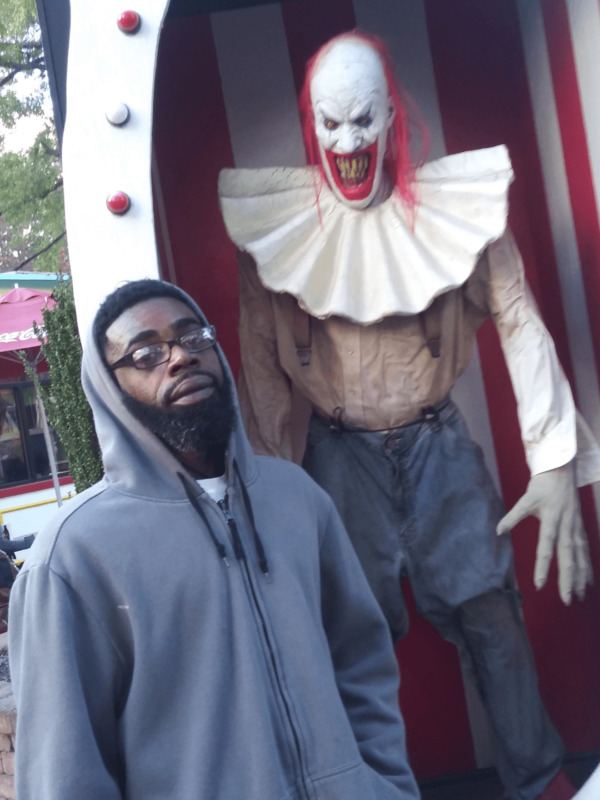 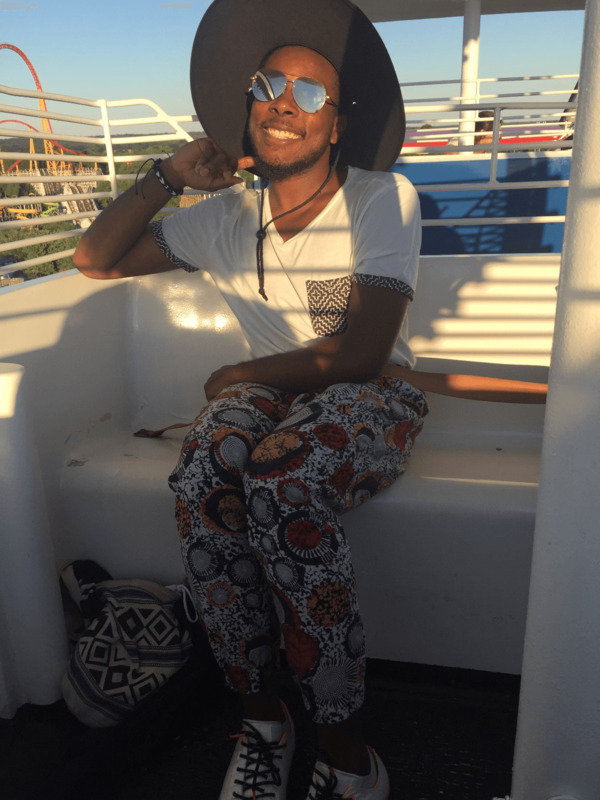 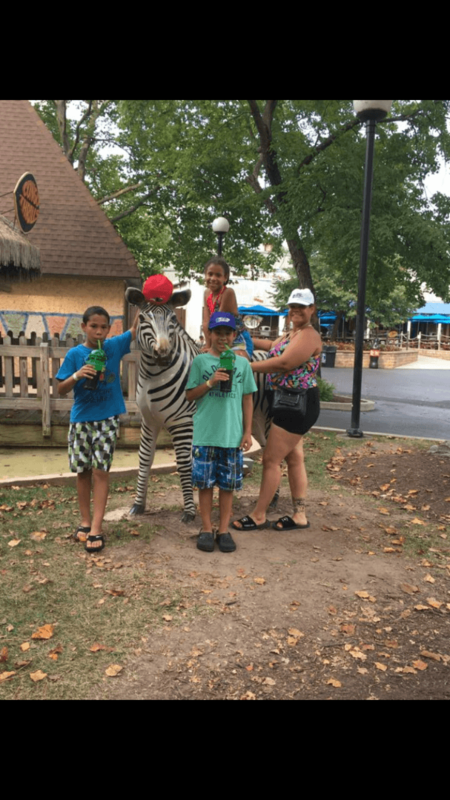 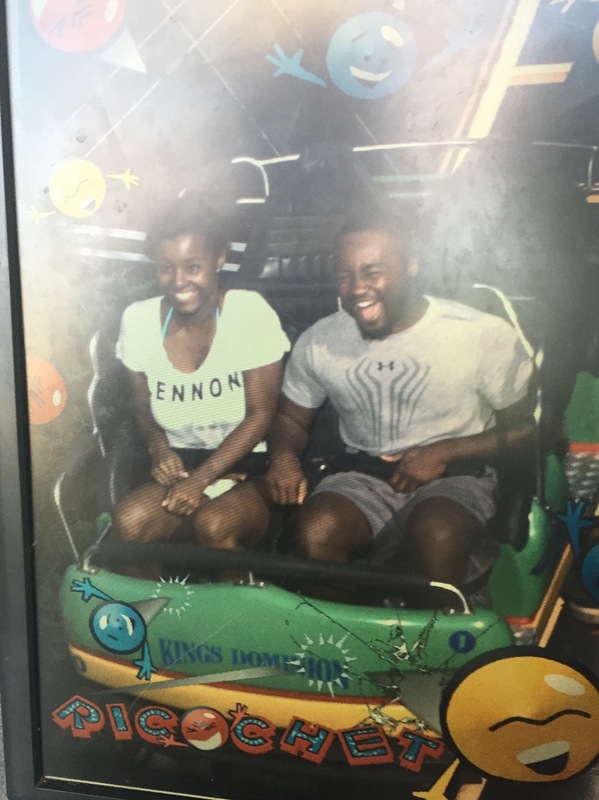 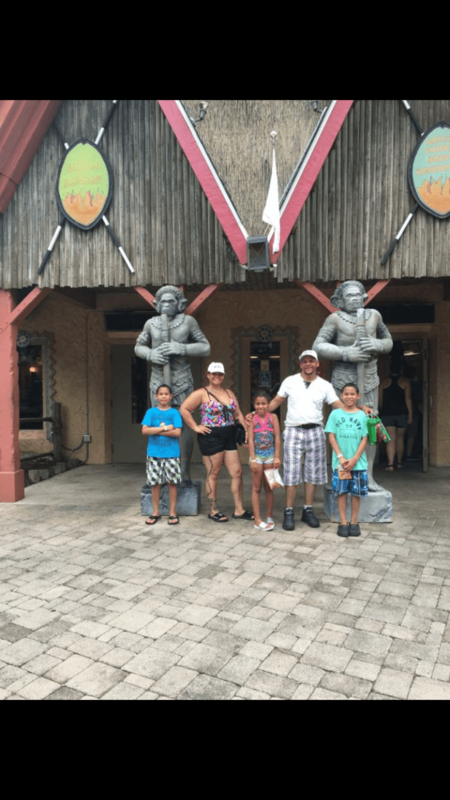 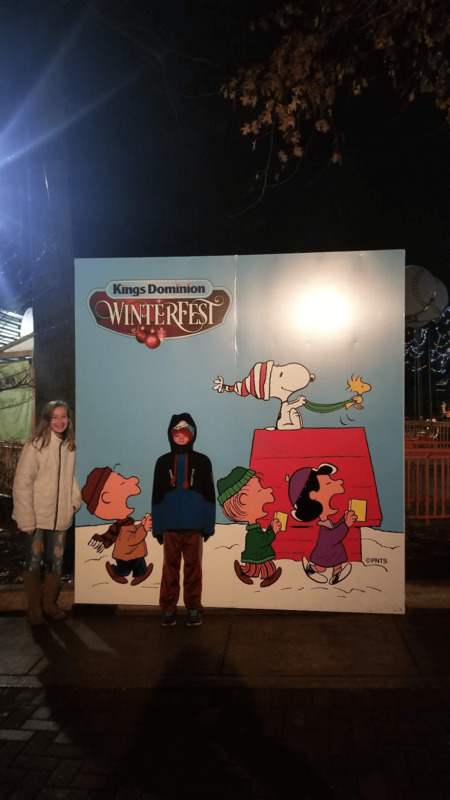 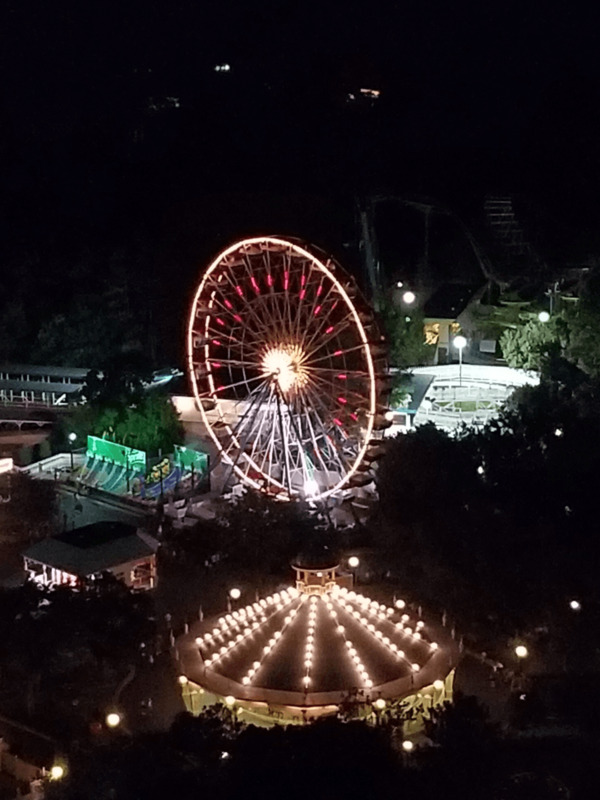 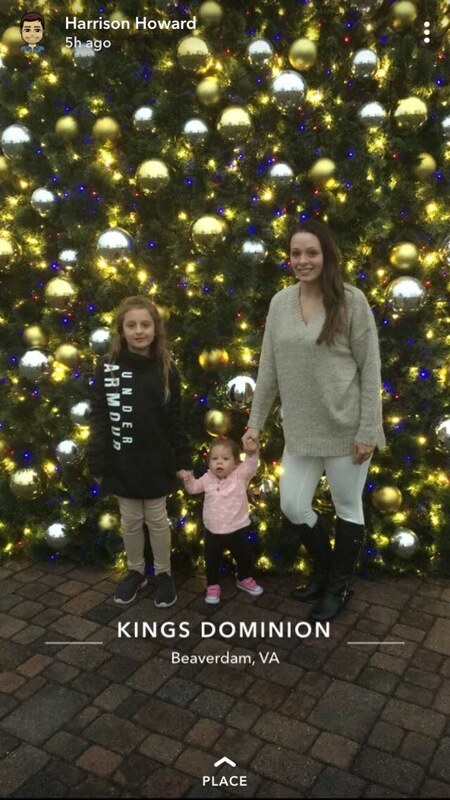 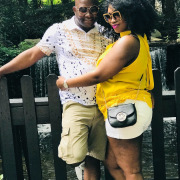 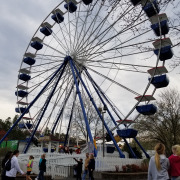 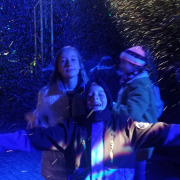 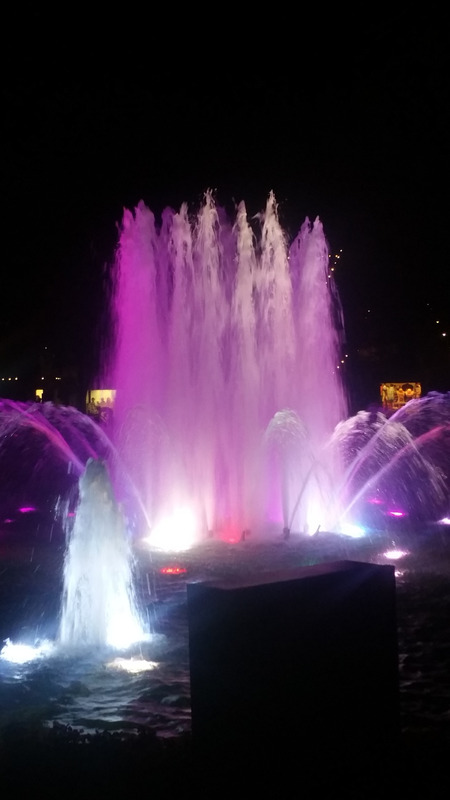 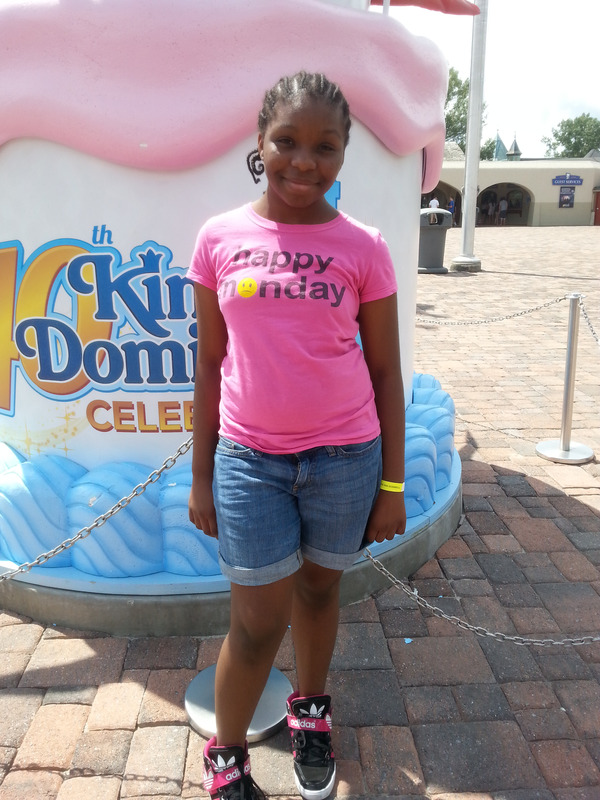 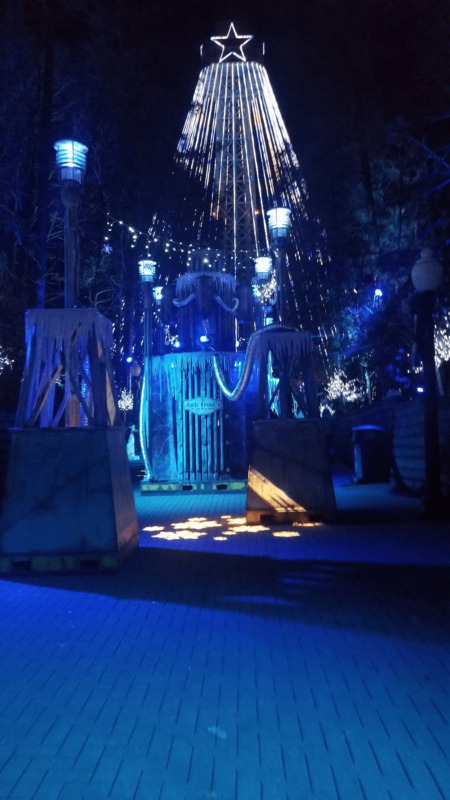 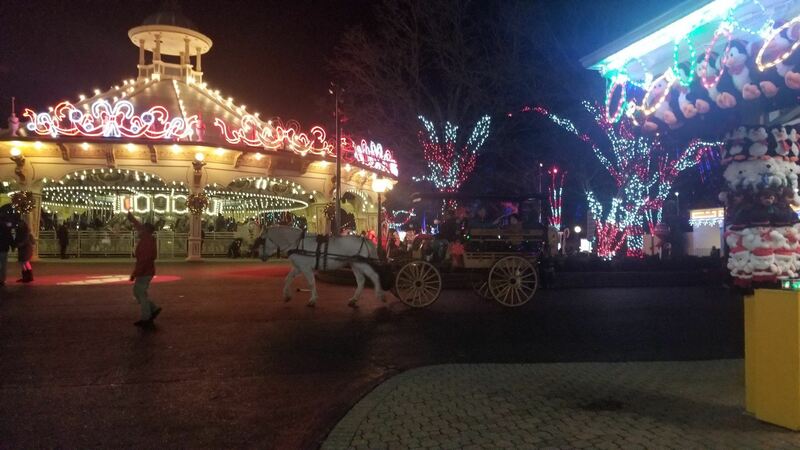 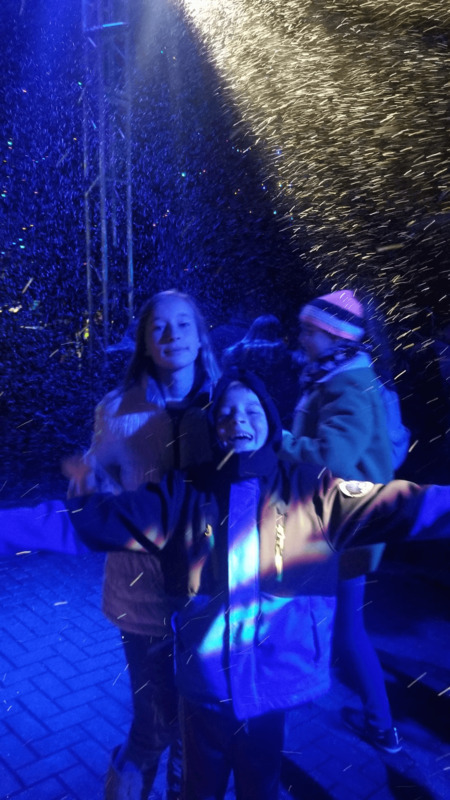 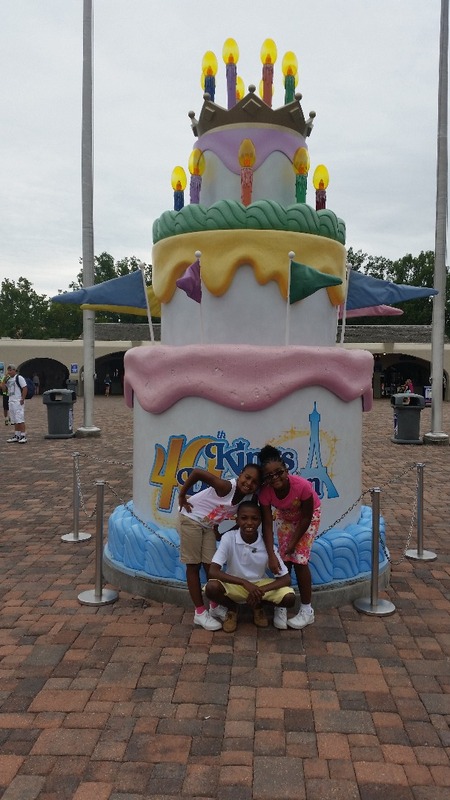 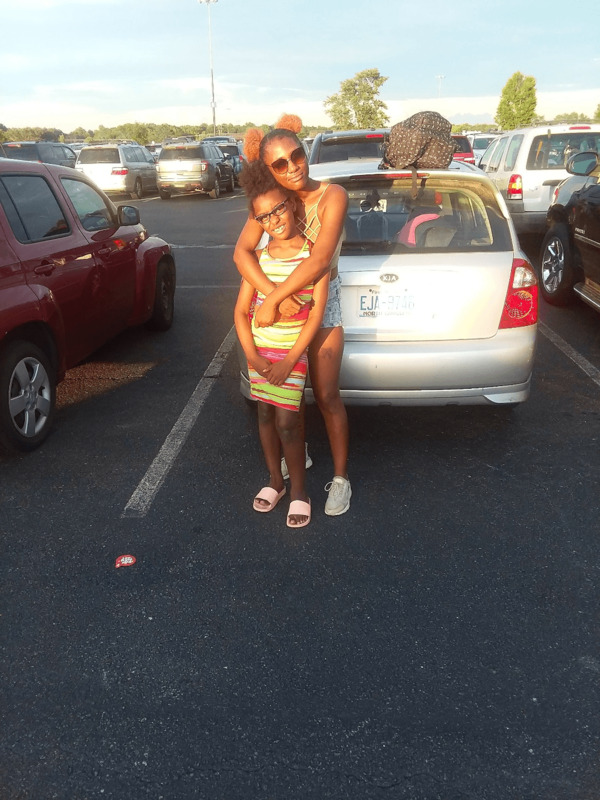 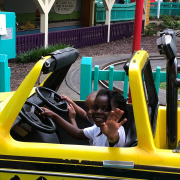 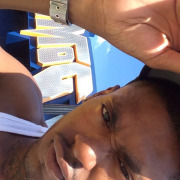 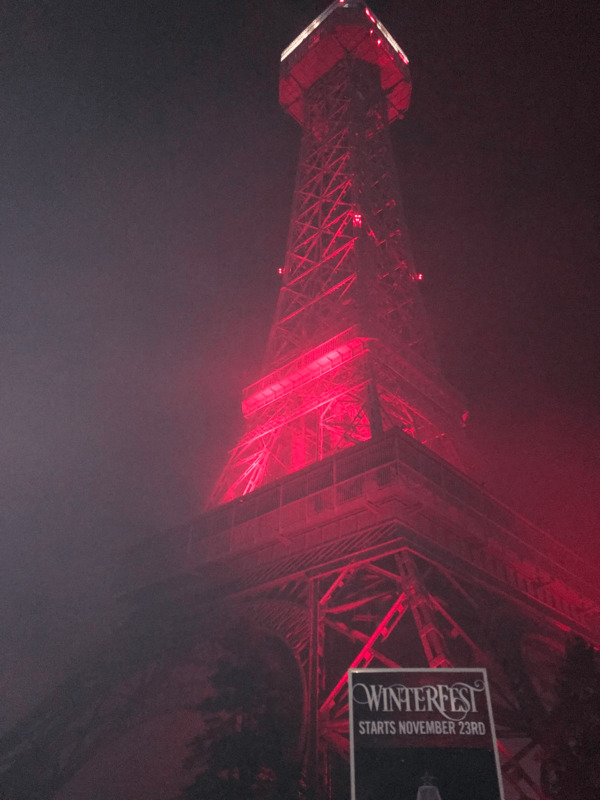 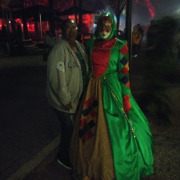 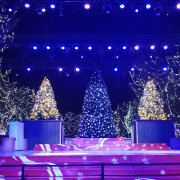 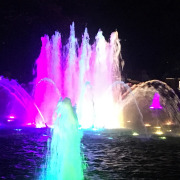 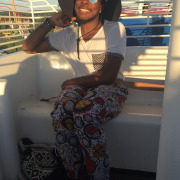 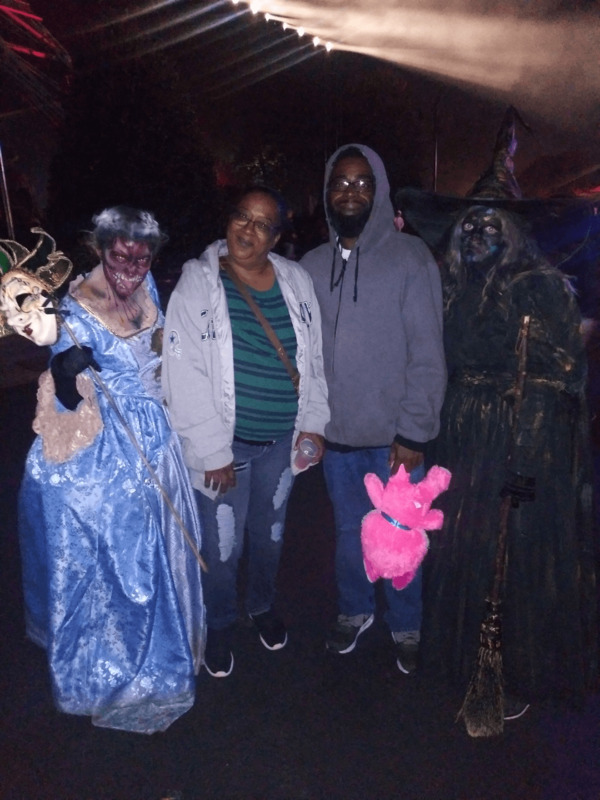 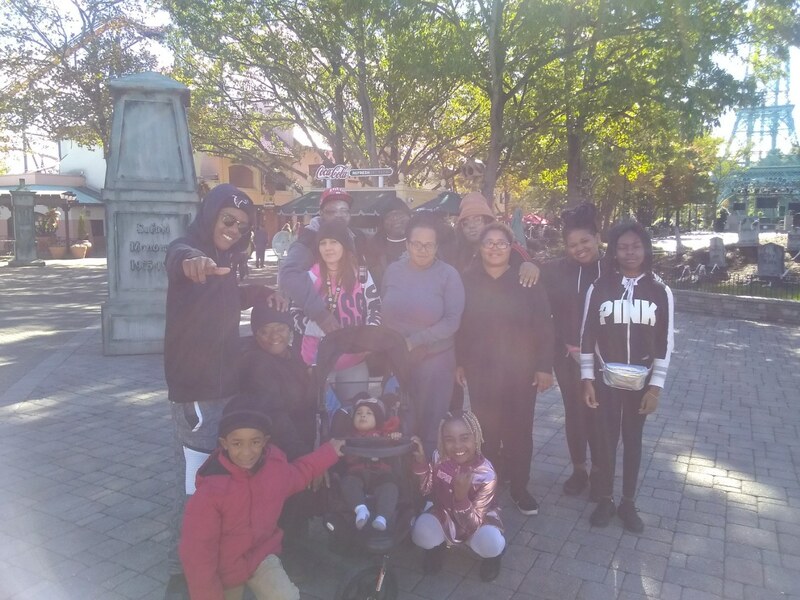 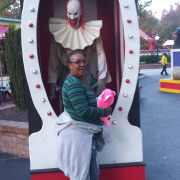 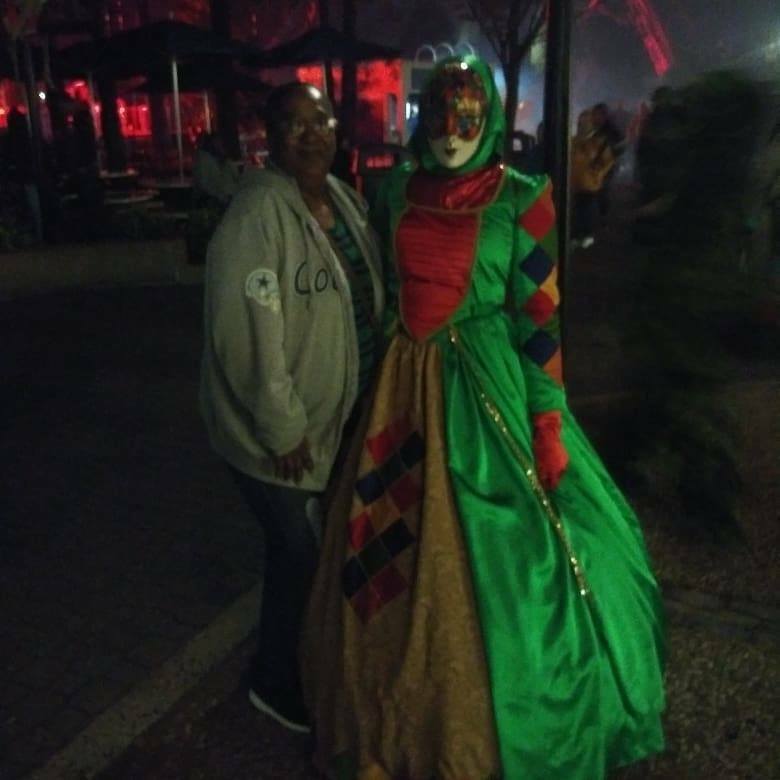 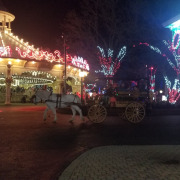 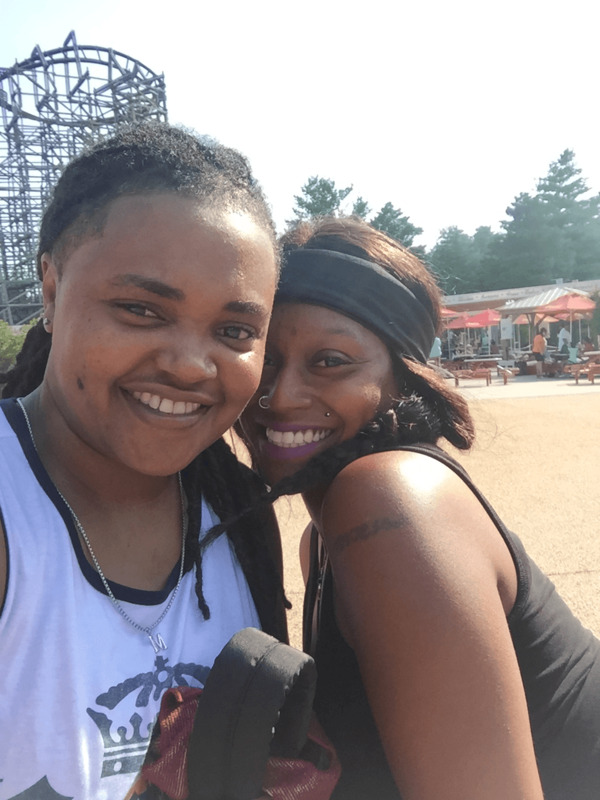 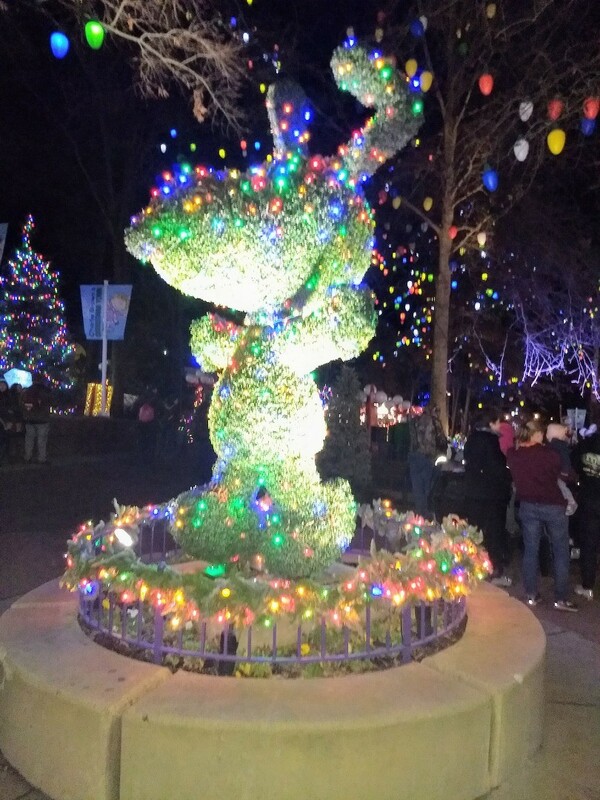 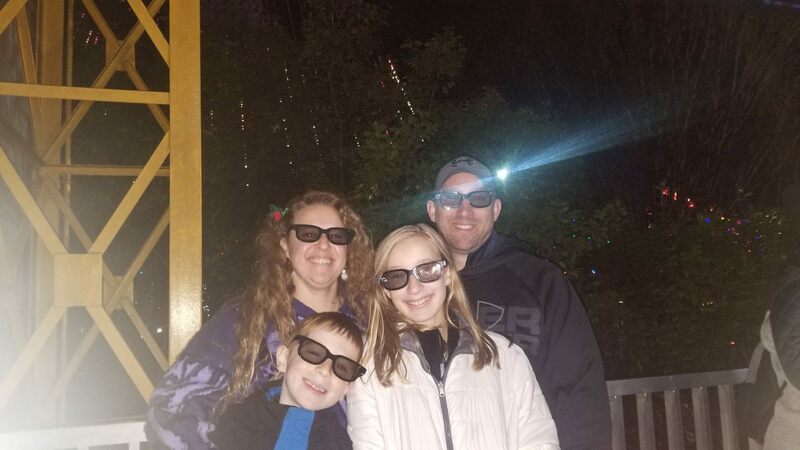 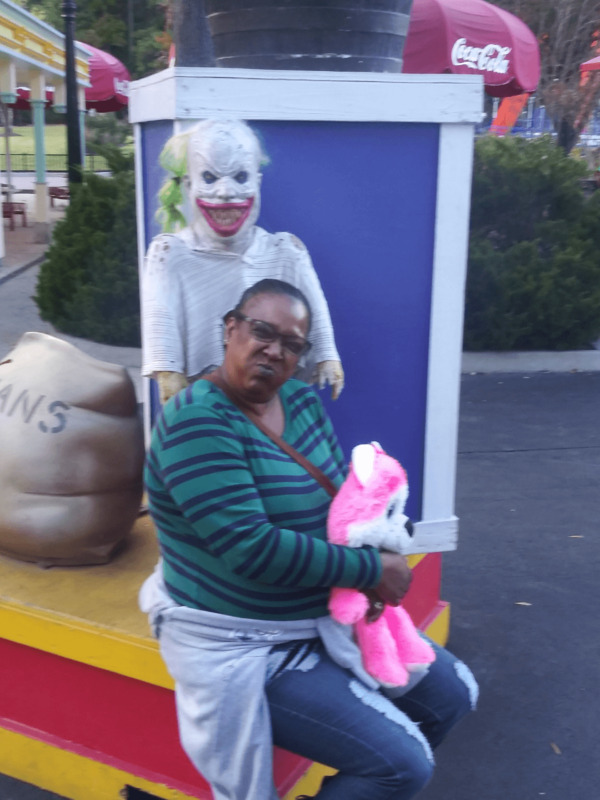 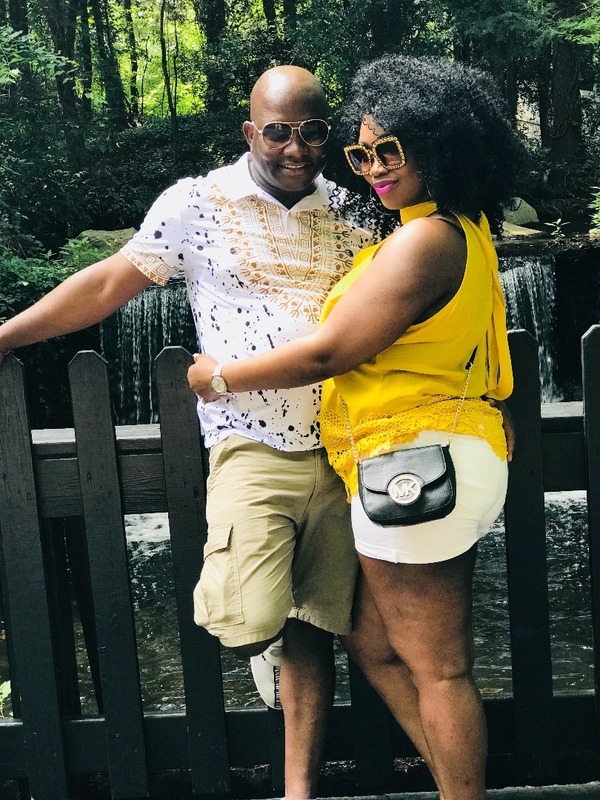 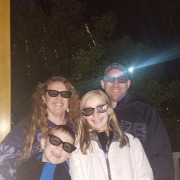 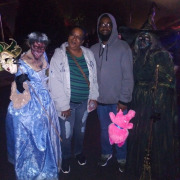 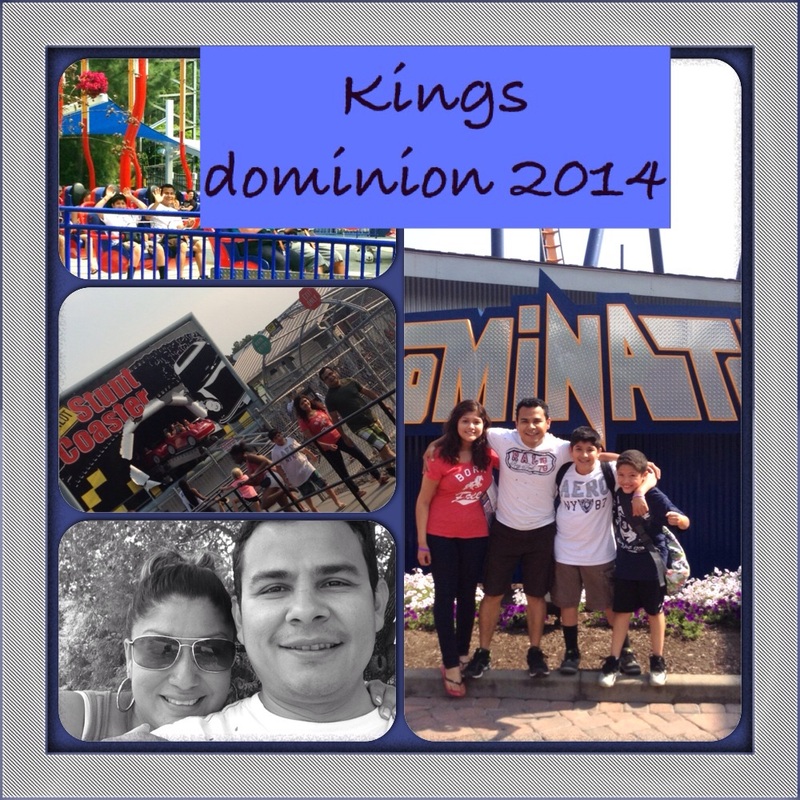 "Family Trip to King Dominion Winterfest"
Tip: Ifmin the area make sure you go! 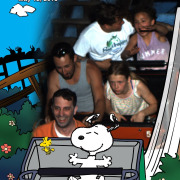 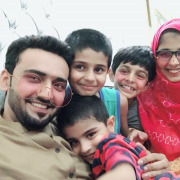 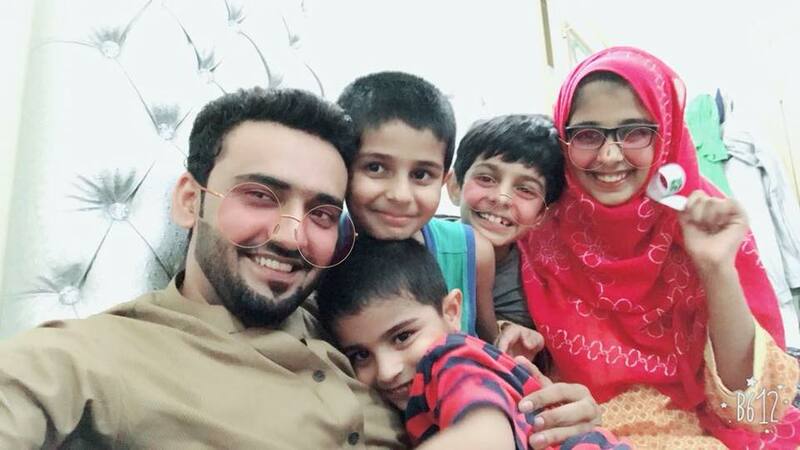 Lots of fun for the entire family. 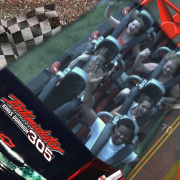 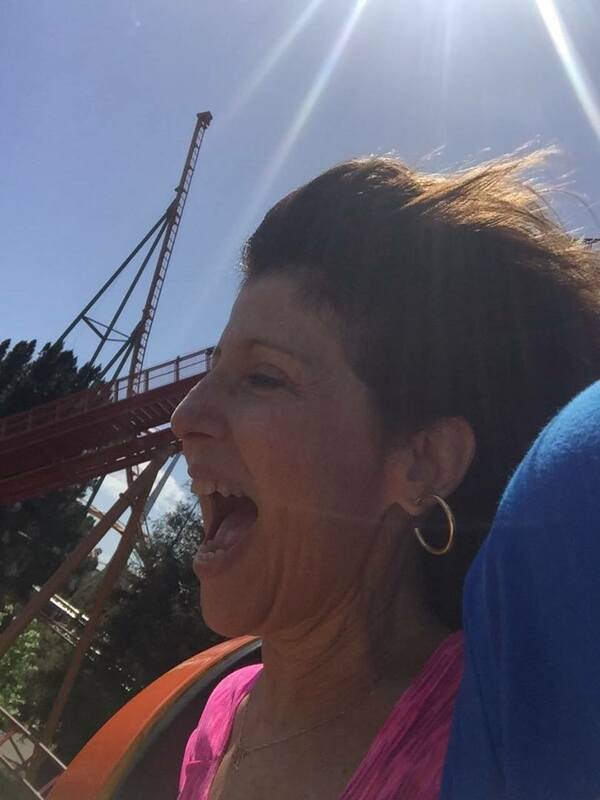 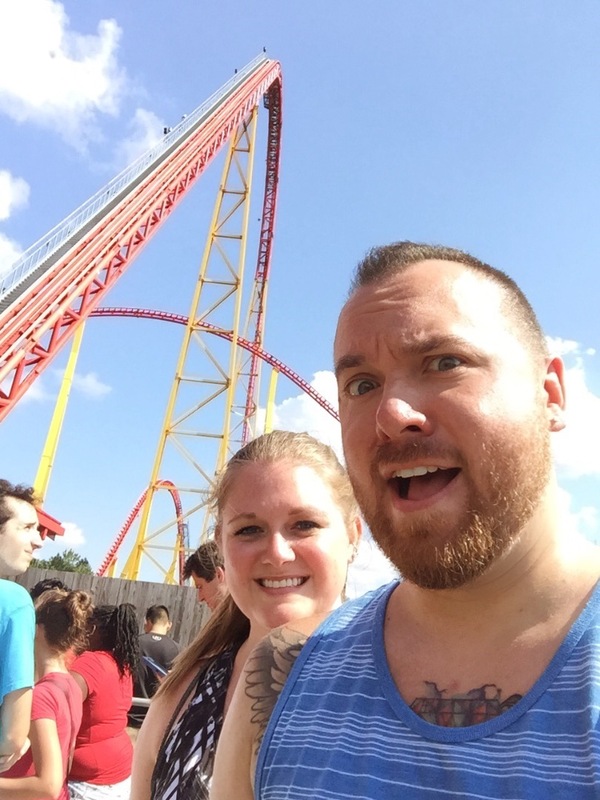 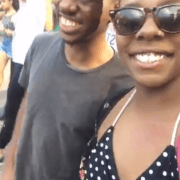 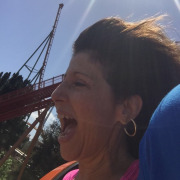 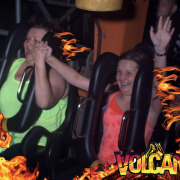 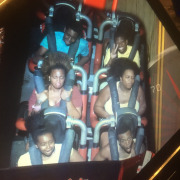 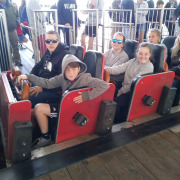 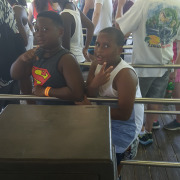 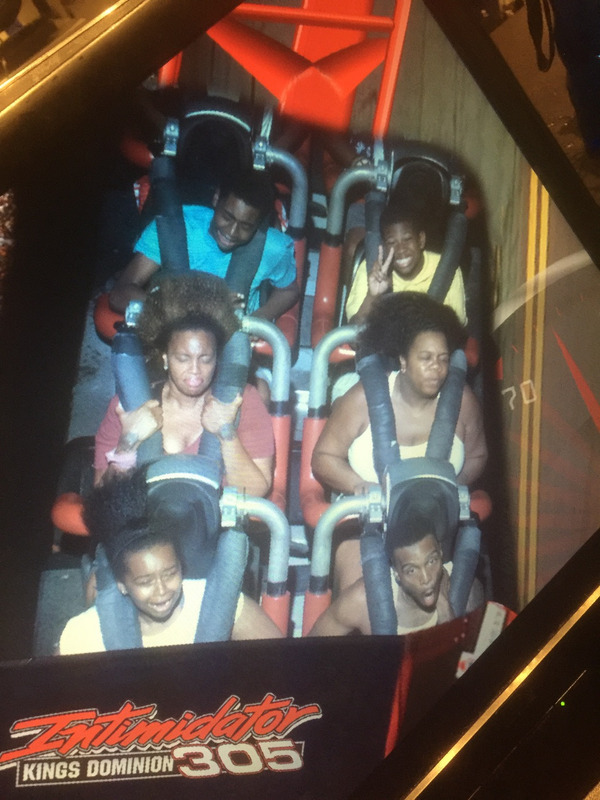 We love riding all of the roller coasters. 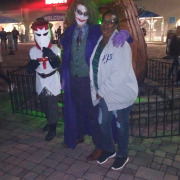 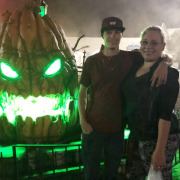 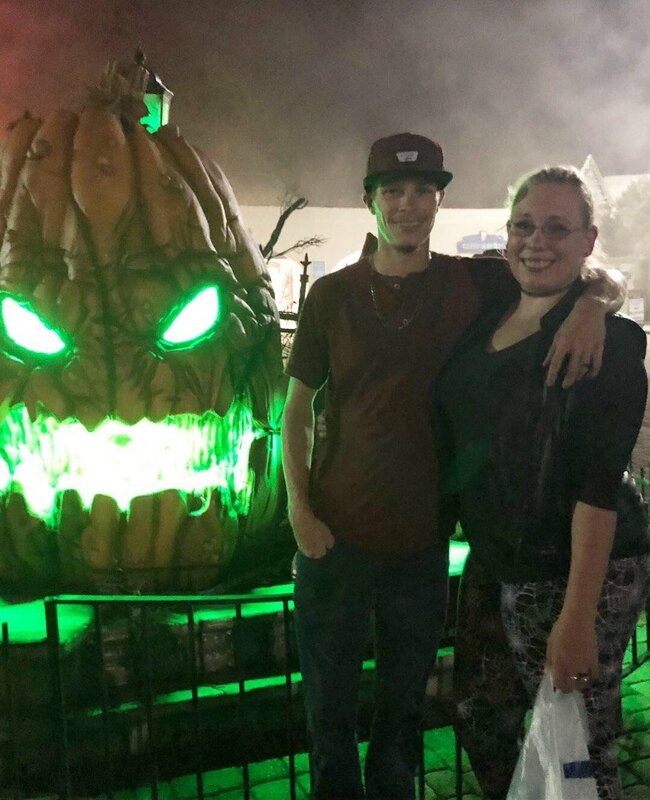 The Halloween and Christmas events are awesome. 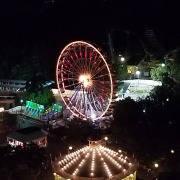 The seasons passes are a very good deal. 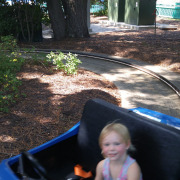 "Fun small park, great rides "
I have a platinum pass, so we decided to drive down this past weekend to check it out. 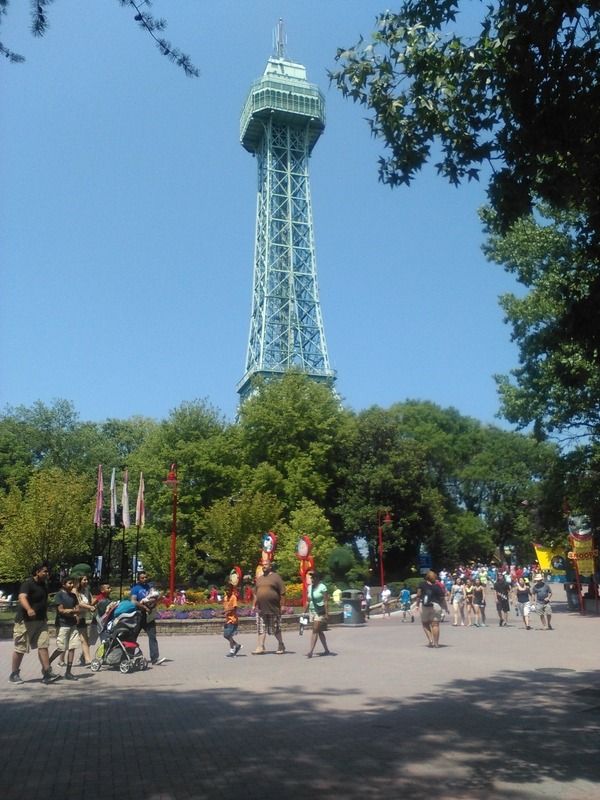 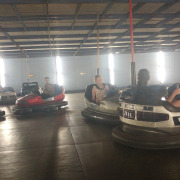 It is a smaller park compared to kings island and cedar point, but they have some awesome rides! 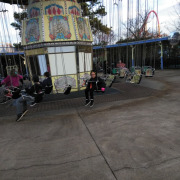 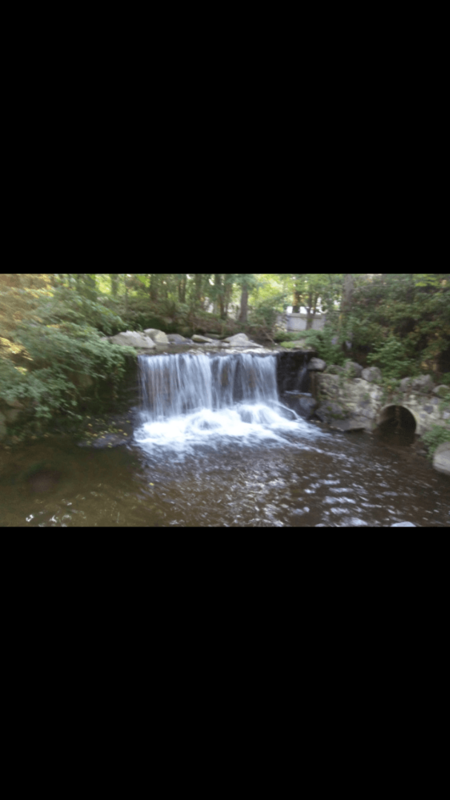 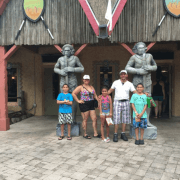 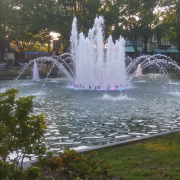 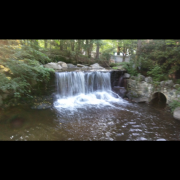 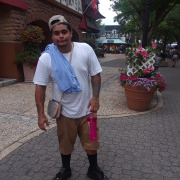 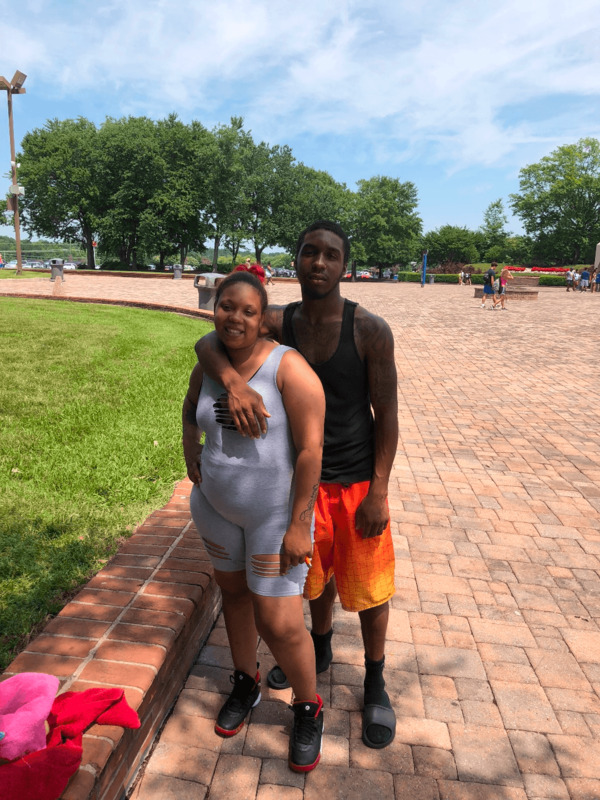 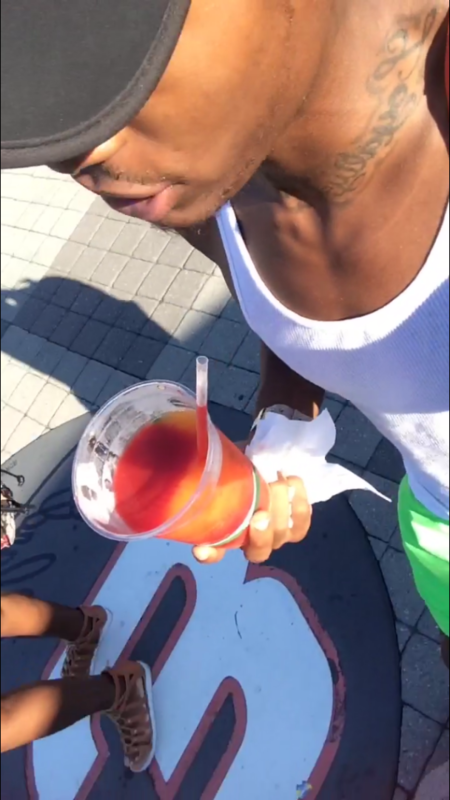 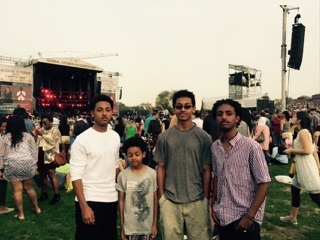 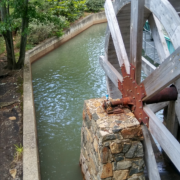 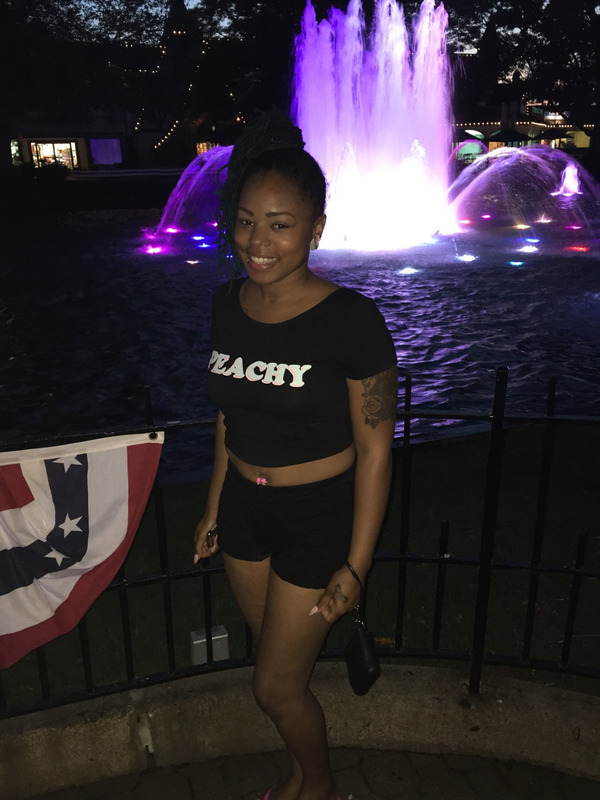 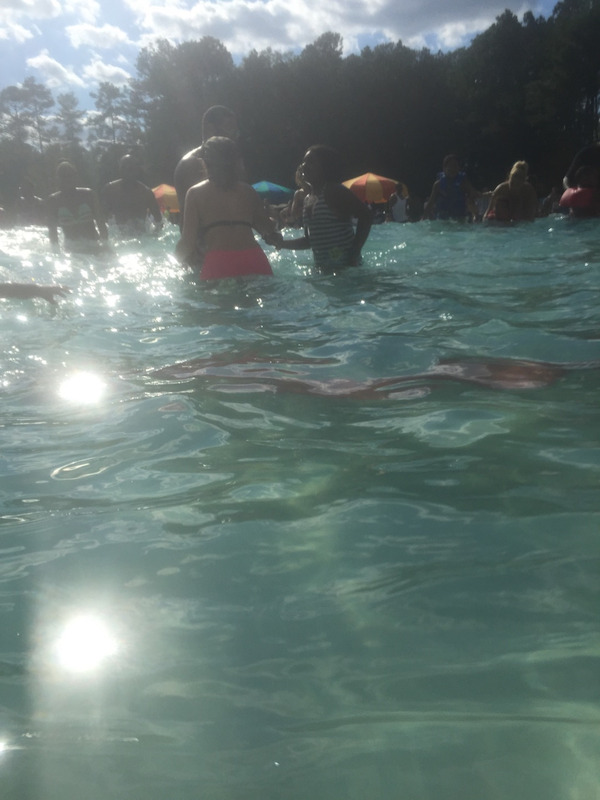 The park was very clean and the staff was friendly who we came in contact with. 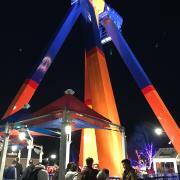 Felt very safe as you have to go thru metal detectors as with all the cedar fair chains have now! 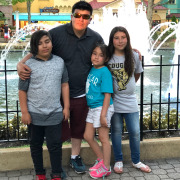 The food, we have the meal plan. 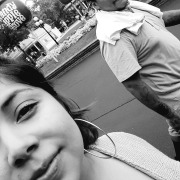 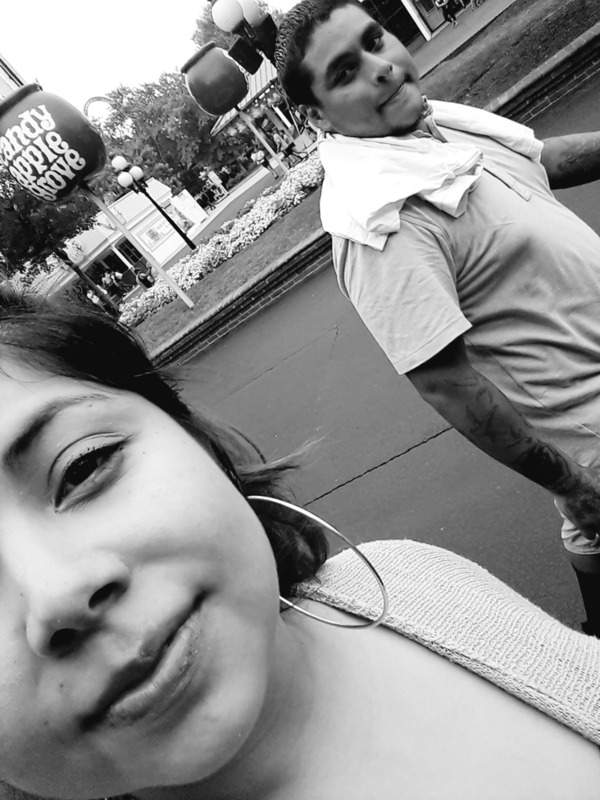 We ate at the burrito place in the front of the park. 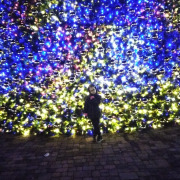 It was very good! 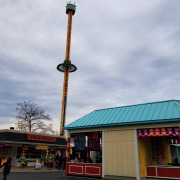 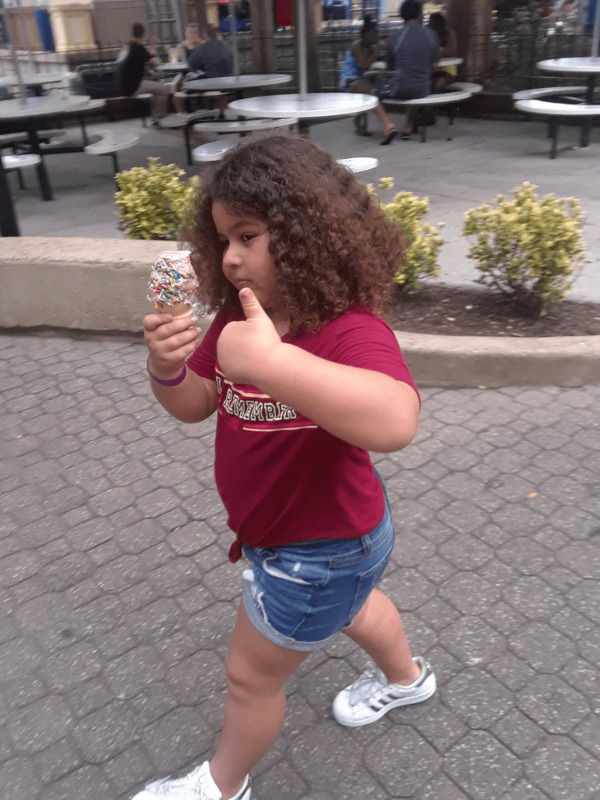 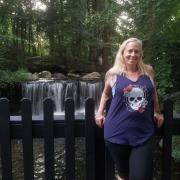 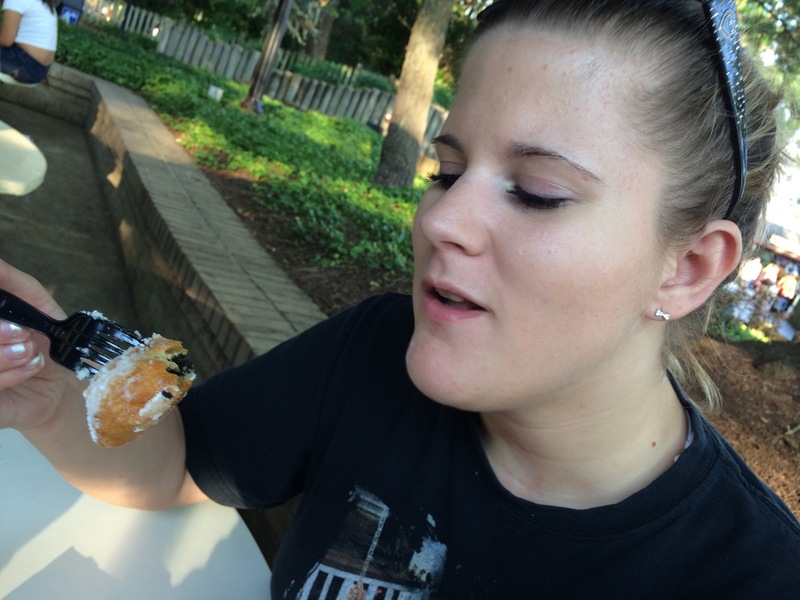 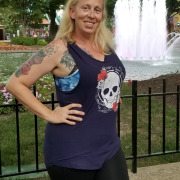 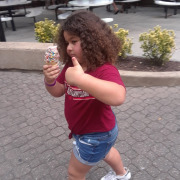 I would like to see Cedar Fair add more healthy items to eat. 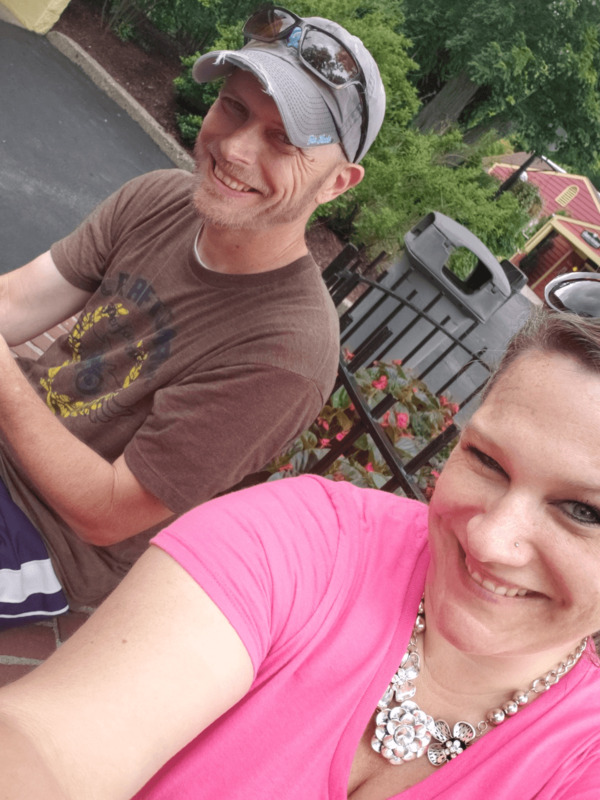 Maybe substitute fries for a salad instead of fries with every meal, that’s why we ate twice at the burrito place. 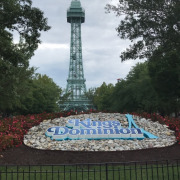 In past years King's Dominion has been a decent park but in need of a couple more good quality roller coasters. 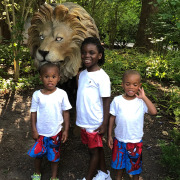 Now instead of adding they have subtracted. 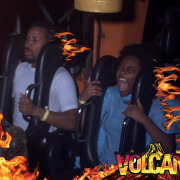 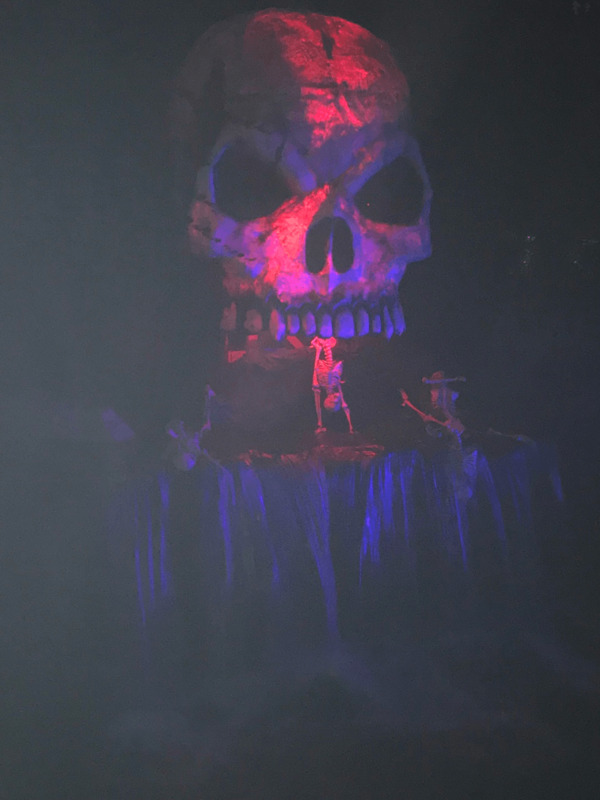 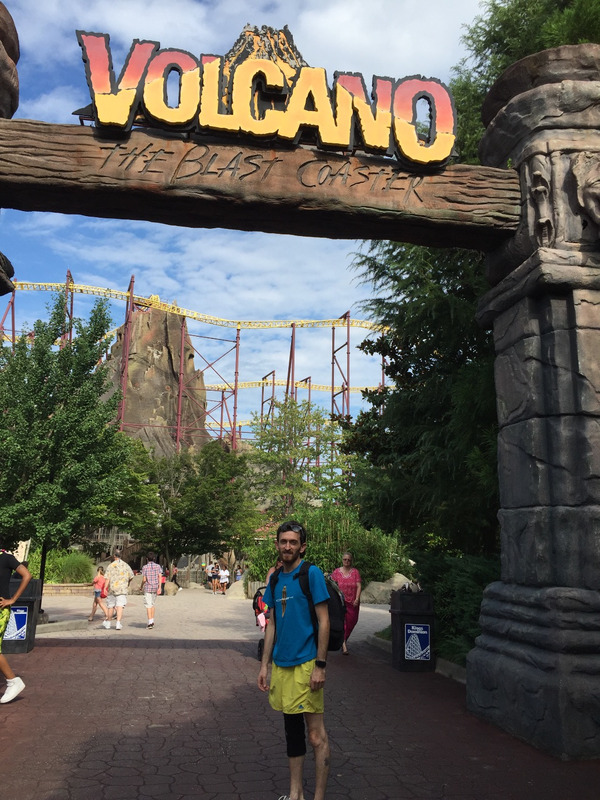 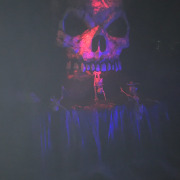 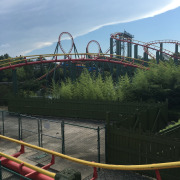 Not just that but the Volcano without a doubt best coaster in the park is gone. 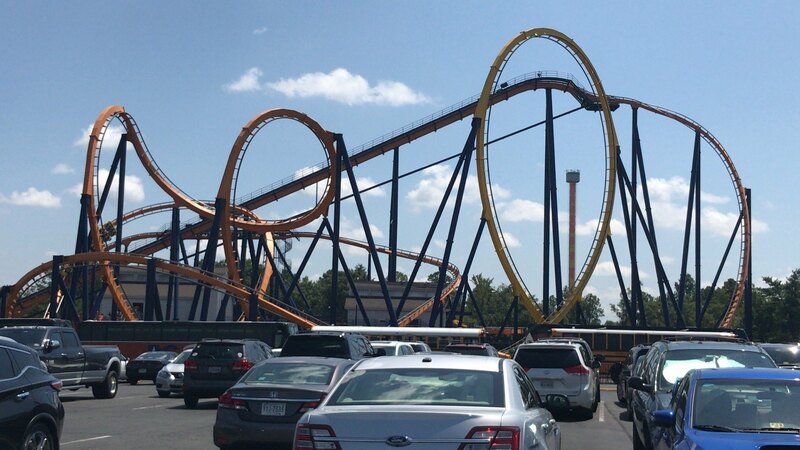 I've been a season pass holder for years and am really glad I didn't by a my pass last fall. 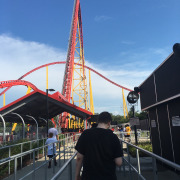 Don't think I'll be going back unless there are some serious upgrades. 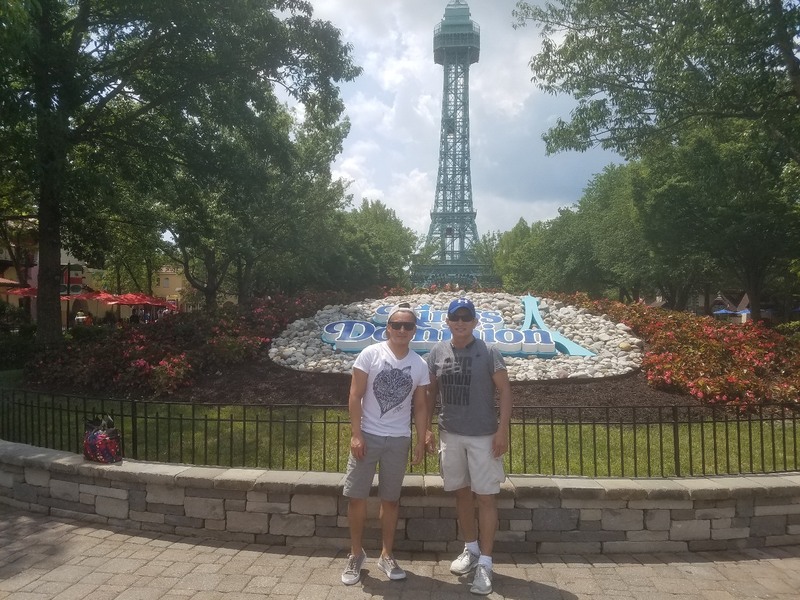 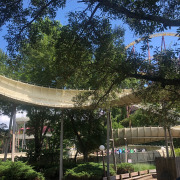 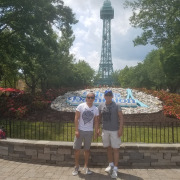 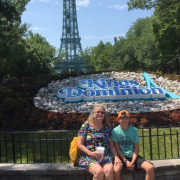 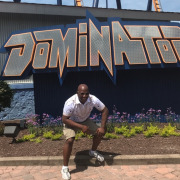 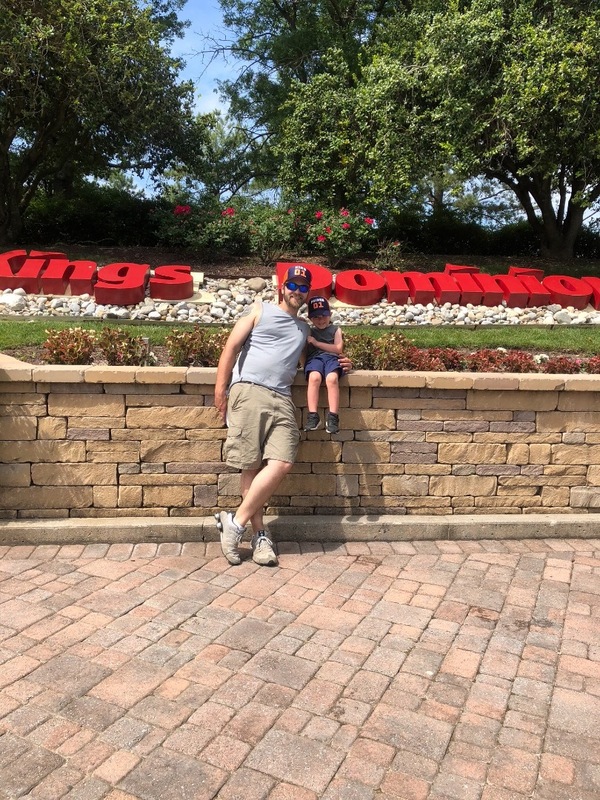 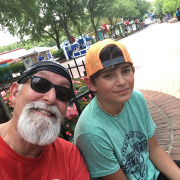 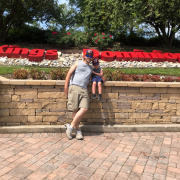 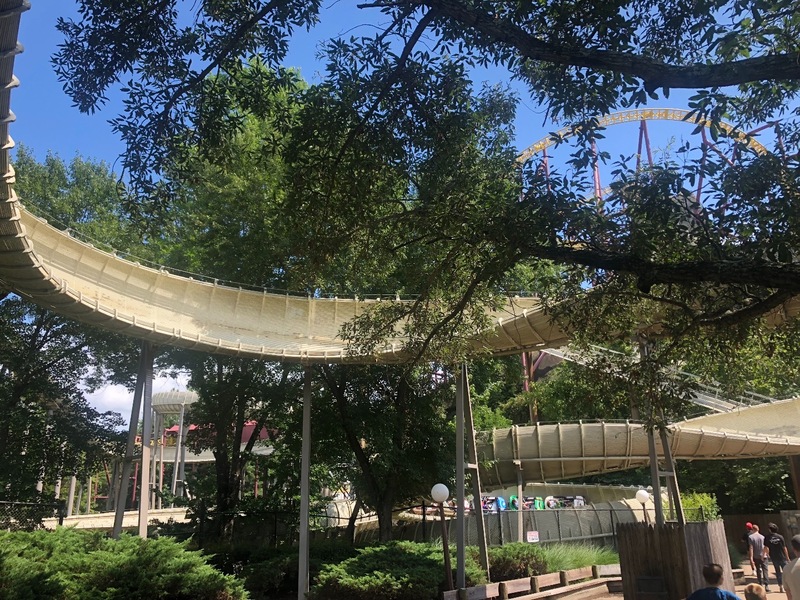 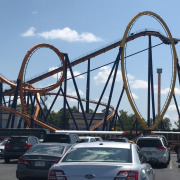 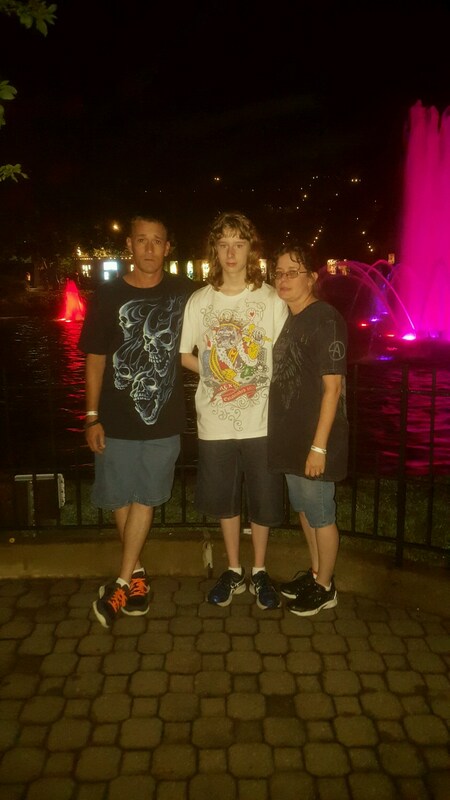 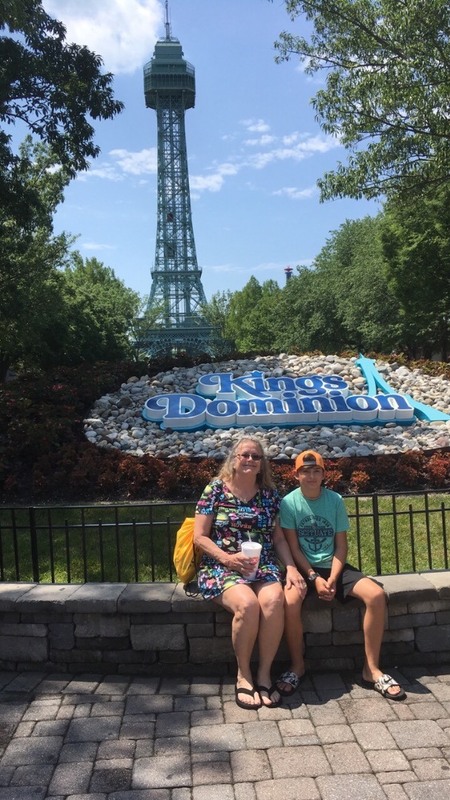 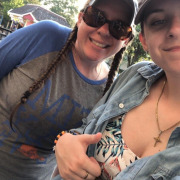 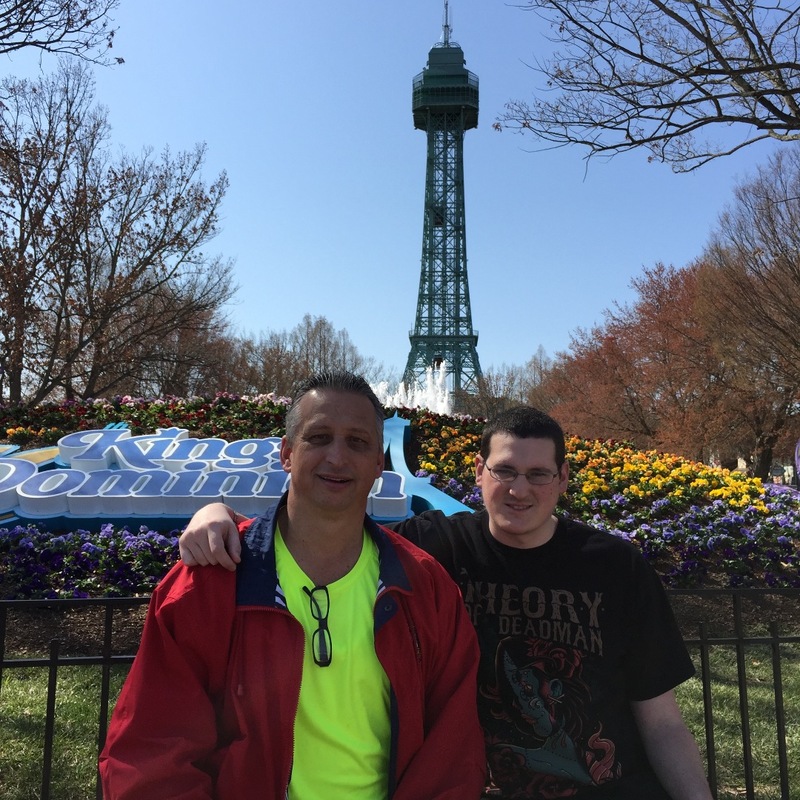 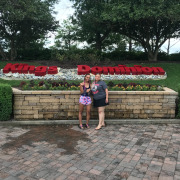 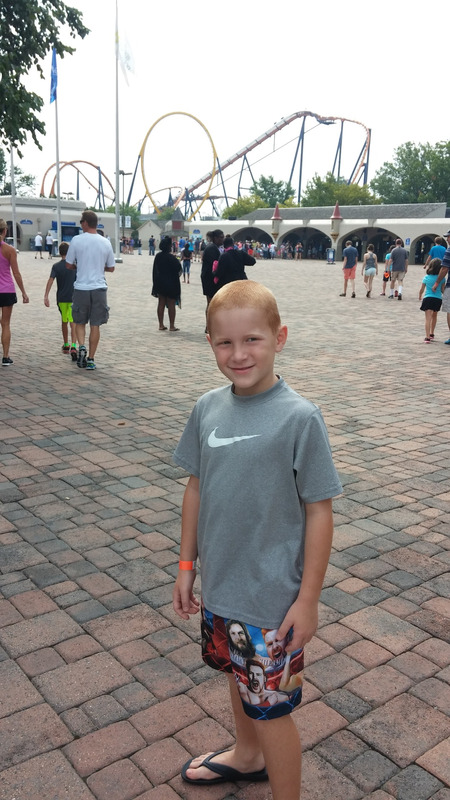 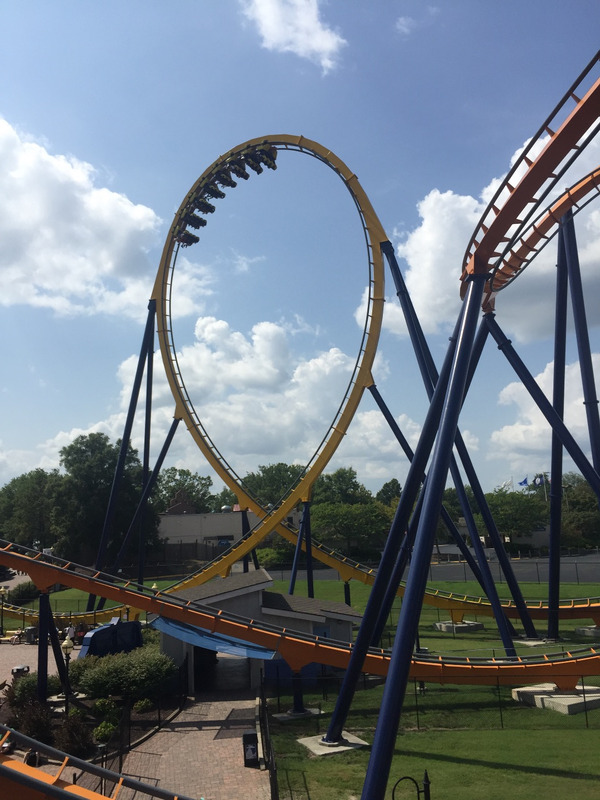 "Two of the best coasters in the world"
First trip to KD as my son and I are going to a theme park almost every day this week. 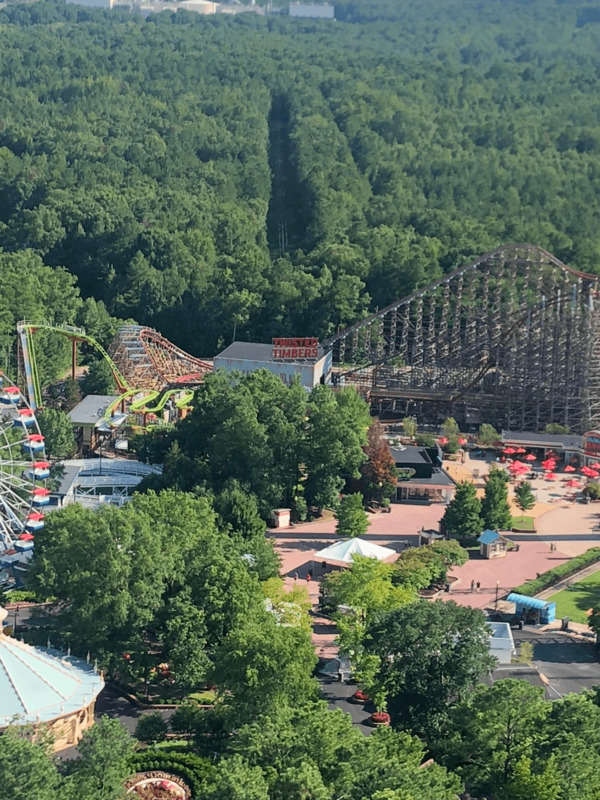 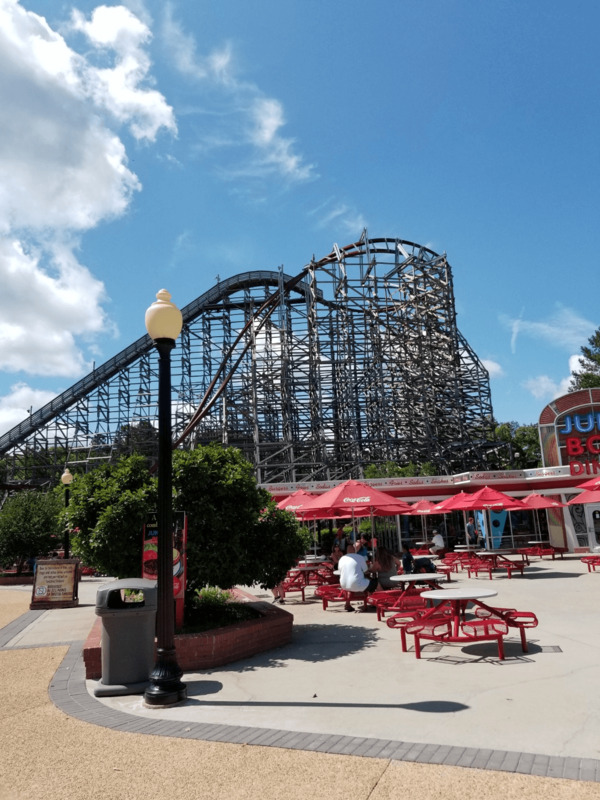 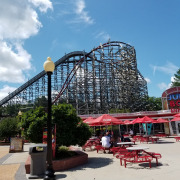 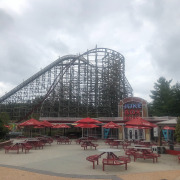 The park was a typical amusement park but both Twisted Timbers and Intimidator 305 are top 10 coasters in the country--possibly top 5. 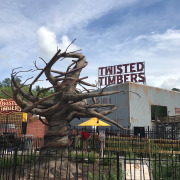 The hybrid coasters have (timbers) really revolutionized roller coasters making creating more air time and much smoother than in the past. 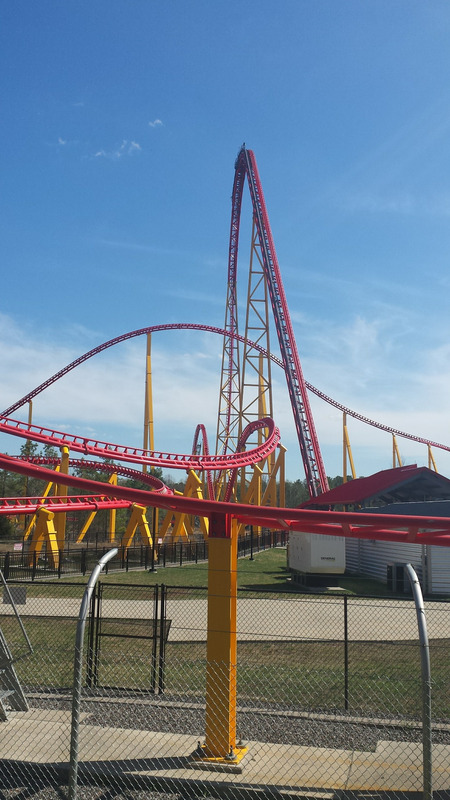 Intimidator is very intense due to its 91mph with sudden sharp turns, but very fun for extreme coaster enthusiasts. 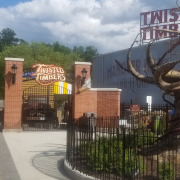 Fast pass unlimited was useful primarily just for Twisted Timbers--5 minute wait vs 1 hour wait. 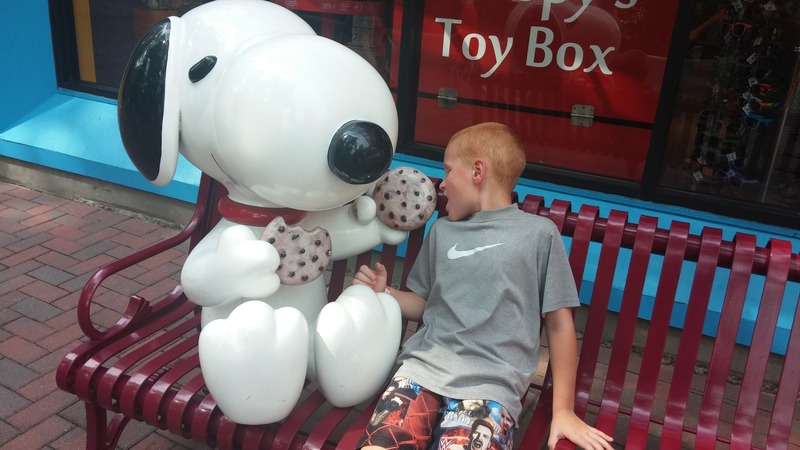 My son enjoyed the Mac bowl for lunch, where you get to personalize your Mac & cheese. 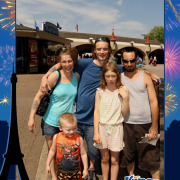 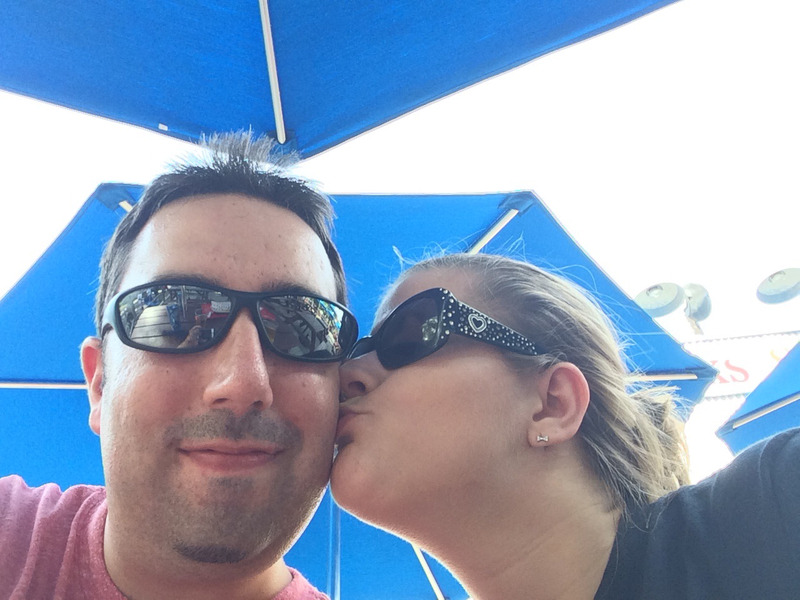 I was not overly thrilled with the food choices overall--avg theme park fair at best. 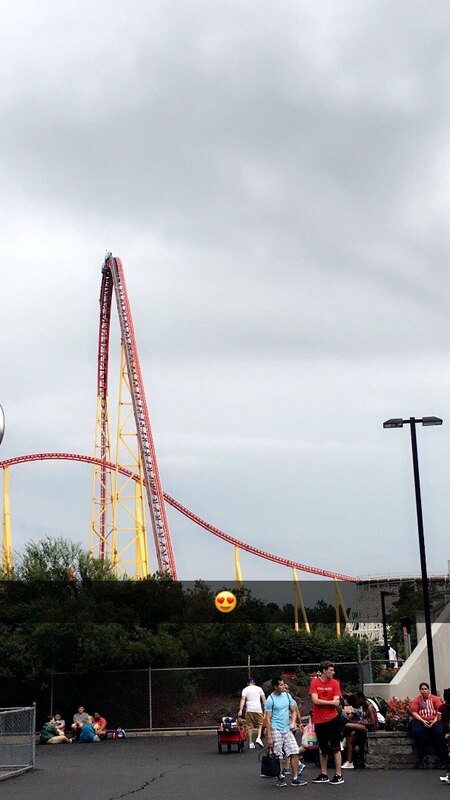 Overall, worth the trip for the coasters. 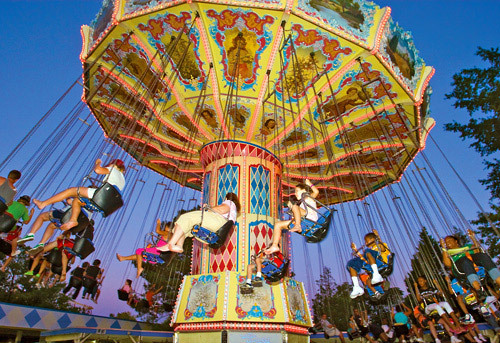 Do you offer a non-rider admission ticket? 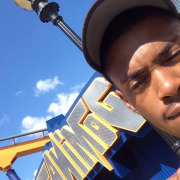 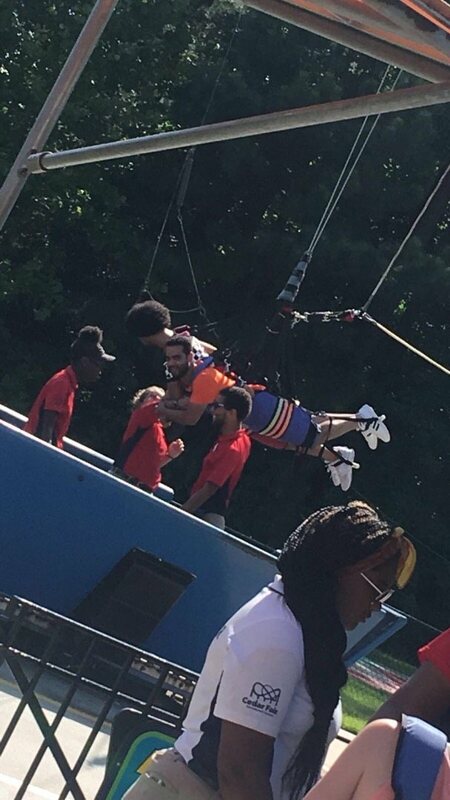 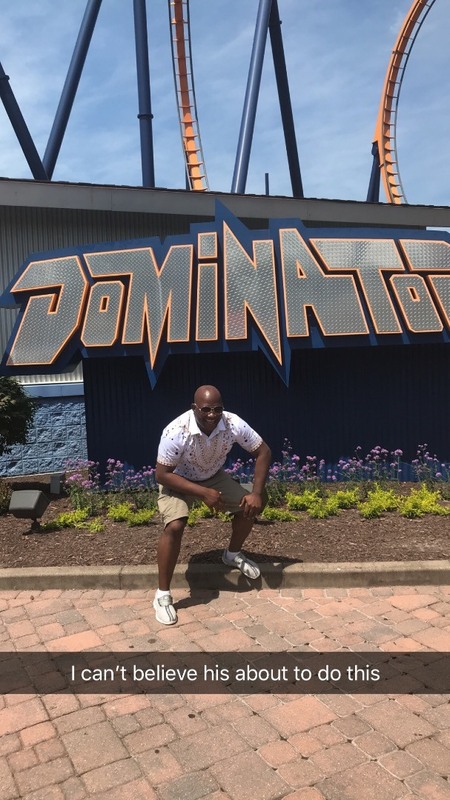 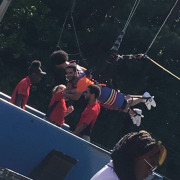 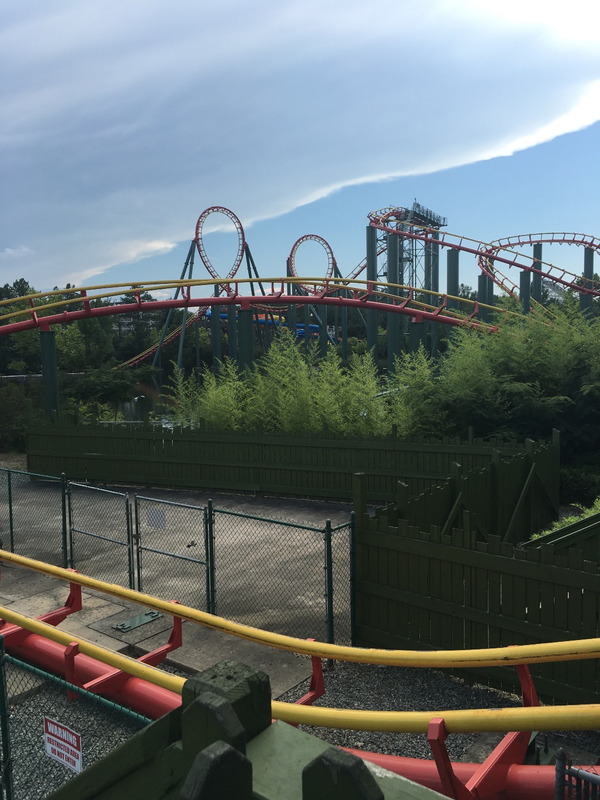 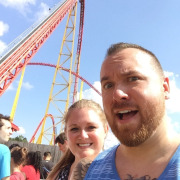 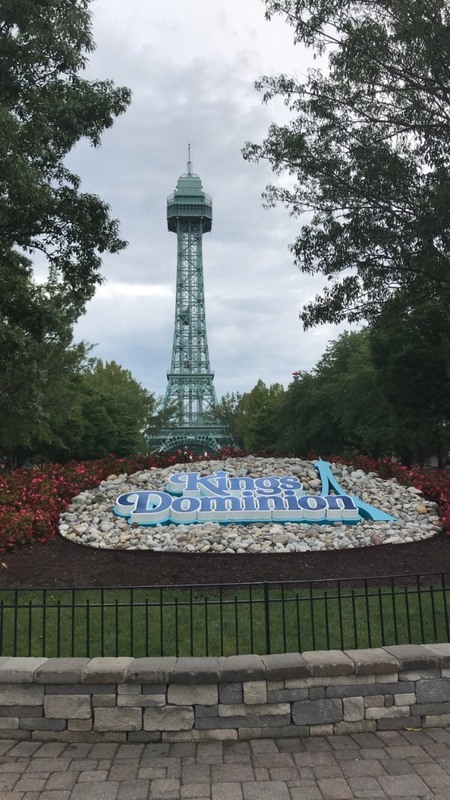 Kings Dominion does not offer a non-rider discount. 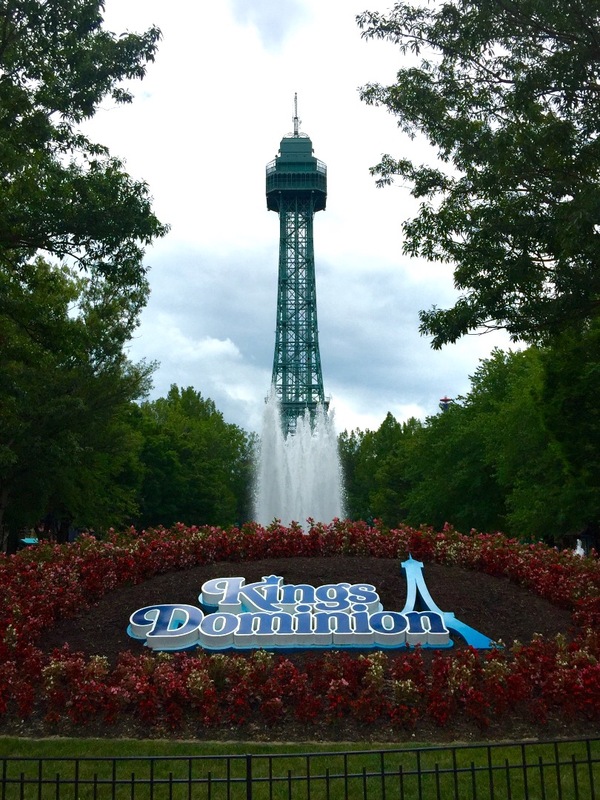 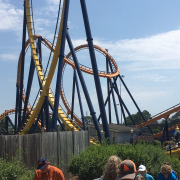 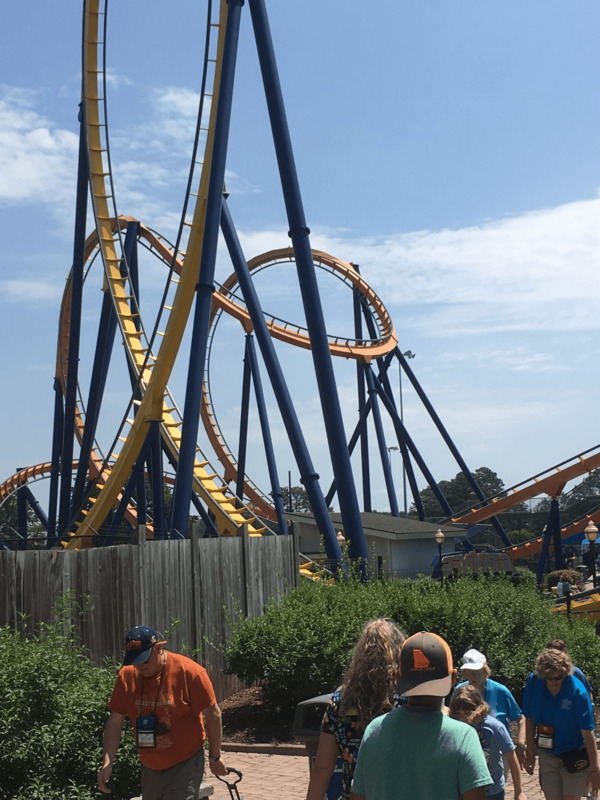 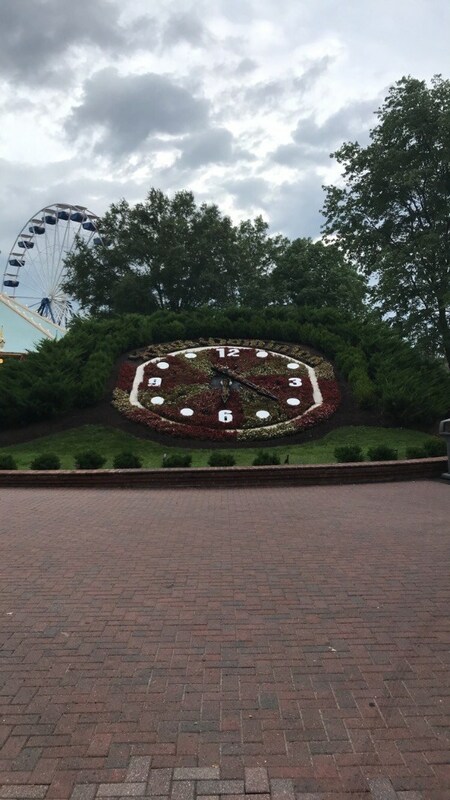 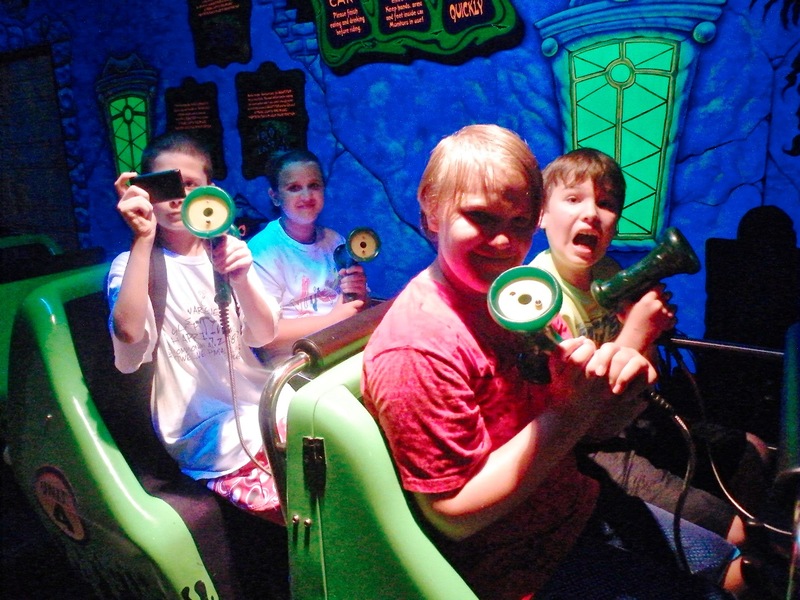 Kings Dominion has a one-price admission as it is a multi-faceted park, not just a ride park. 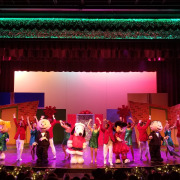 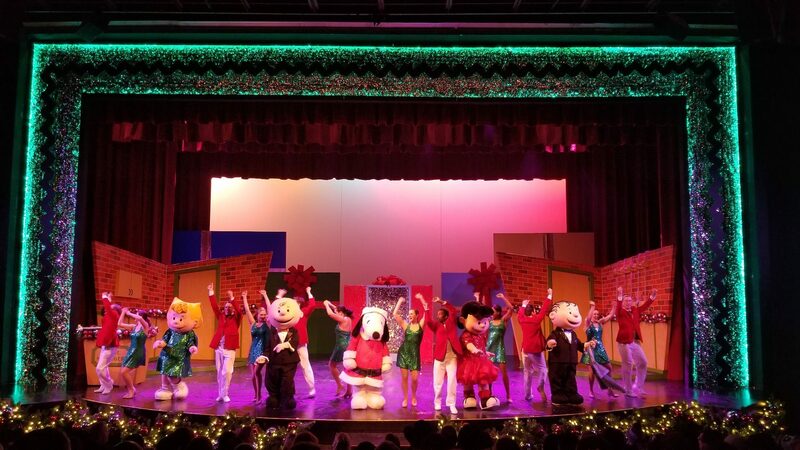 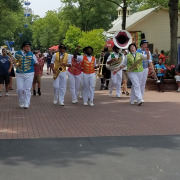 Live entertainment abounds at the park with fun-filled shows and roving characters and performers. 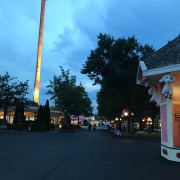 The park also offers a variety of gift shops, restaurants, a waterpark that is included with park admission and much more. 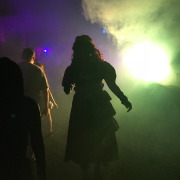 Admission tickets are non-refundable and non-exchangeable for any reason after the cancellation policy, which is 3 days prior to arrival. 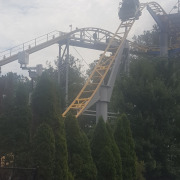 This includes weather related events. 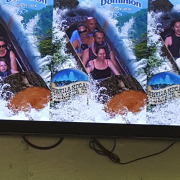 We do not issue rain checks. 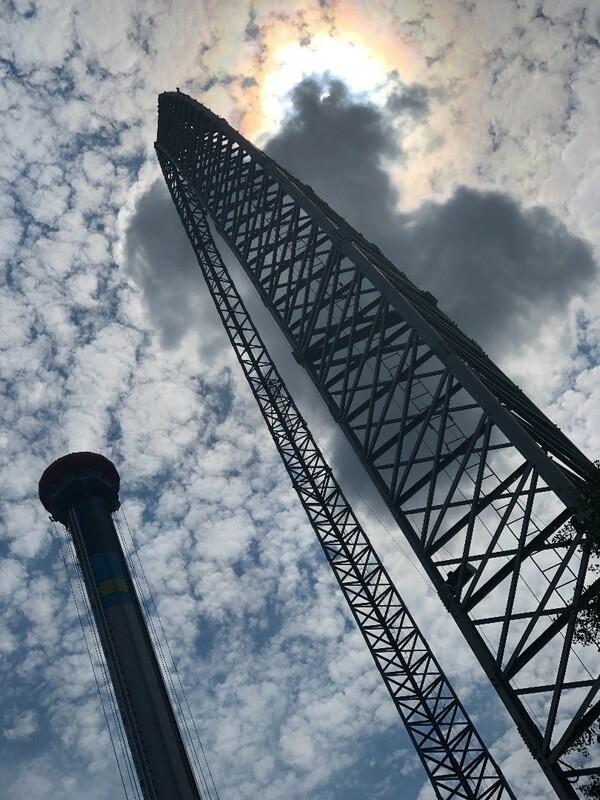 Please check local weather conditions prior to planning your visit. 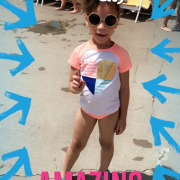 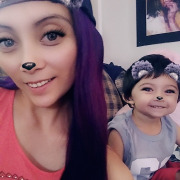 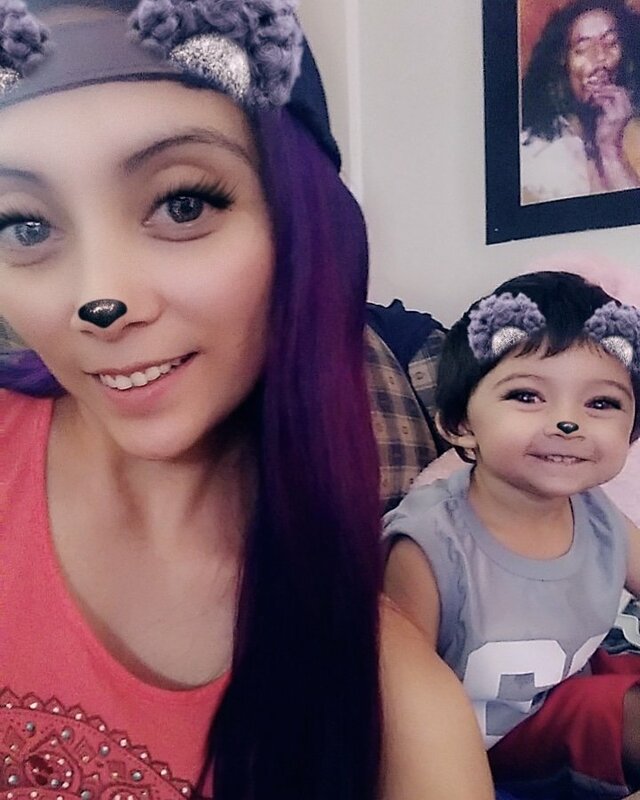 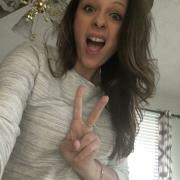 What if my child is under 3 years old? 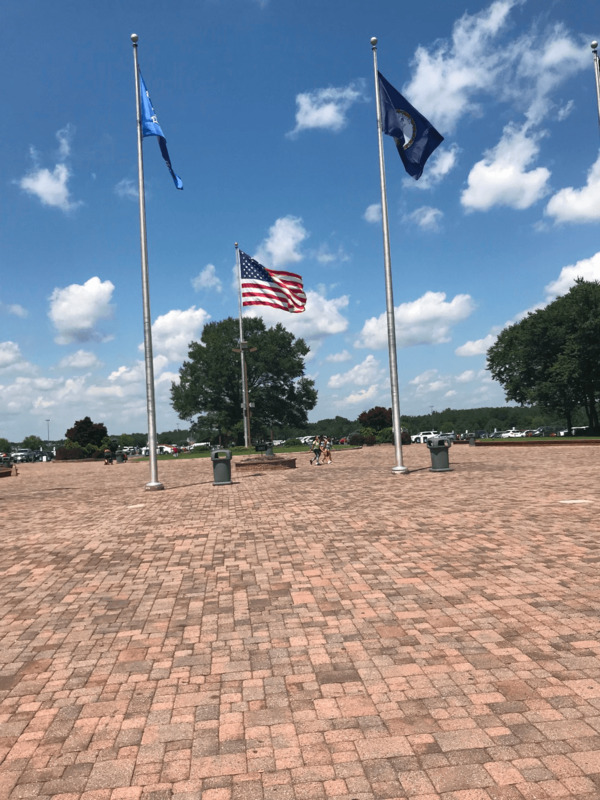 What happens if it rains during my visit? 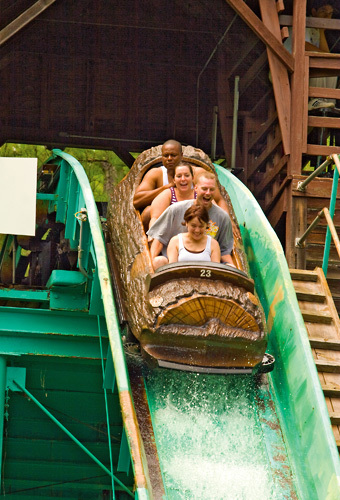 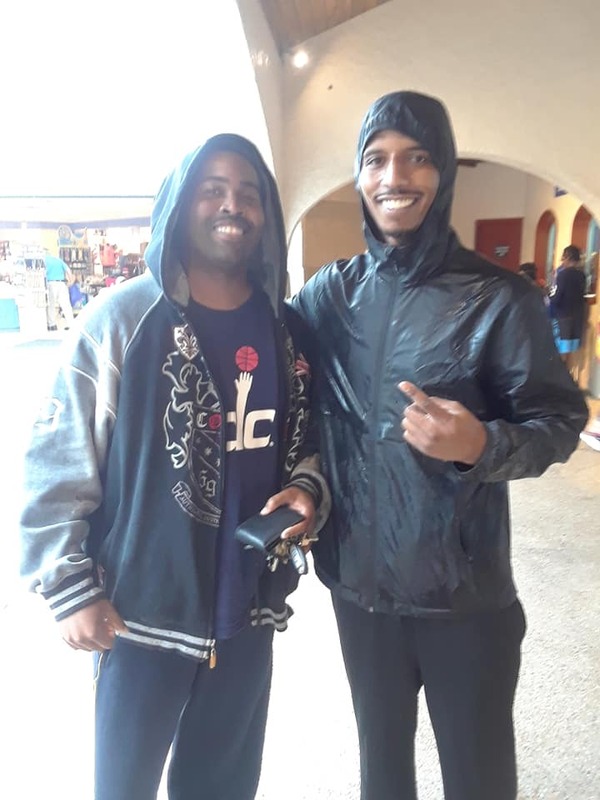 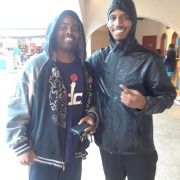 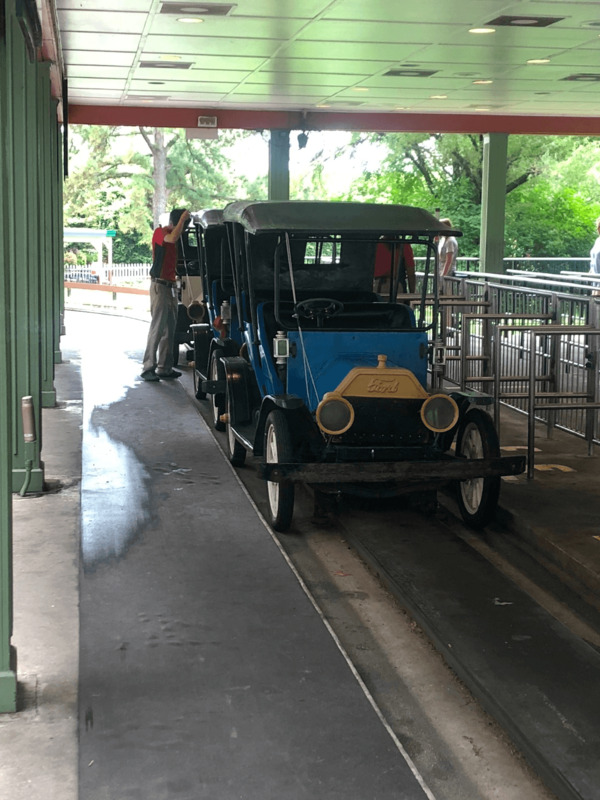 Most rides and attractions remain open during rain. 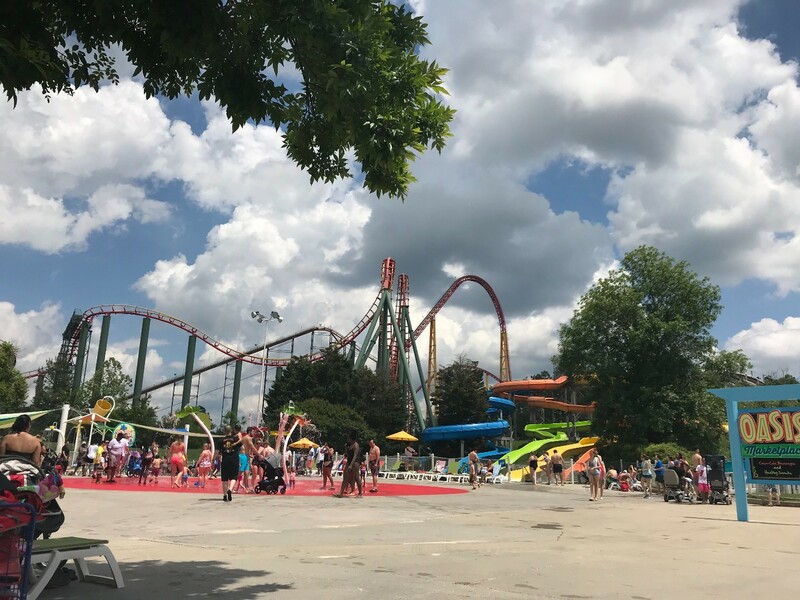 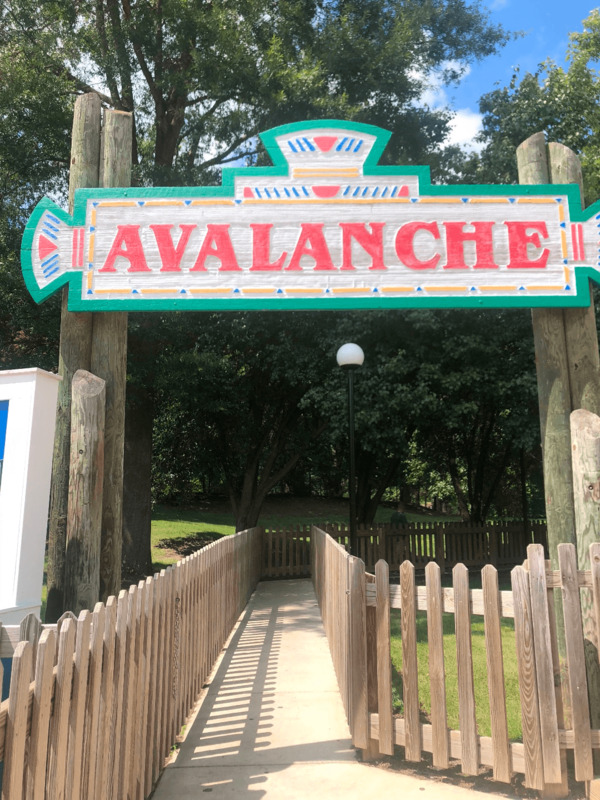 Some attractions will close when inclement weather prohibits their safe operation, but will reopen as soon as it is safe to do so. 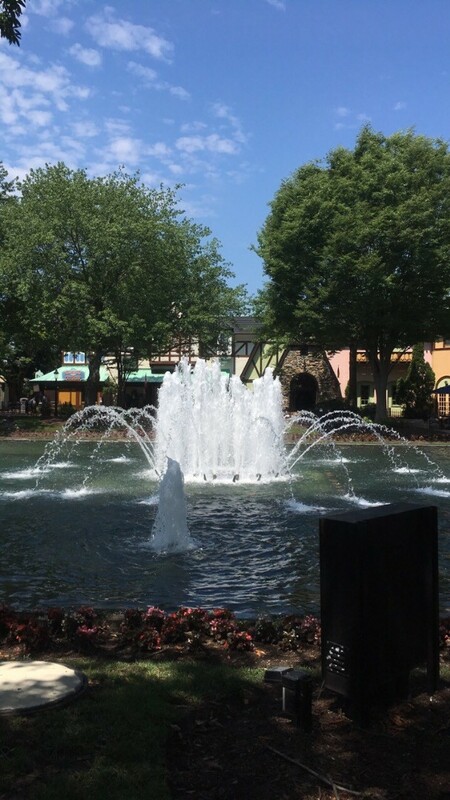 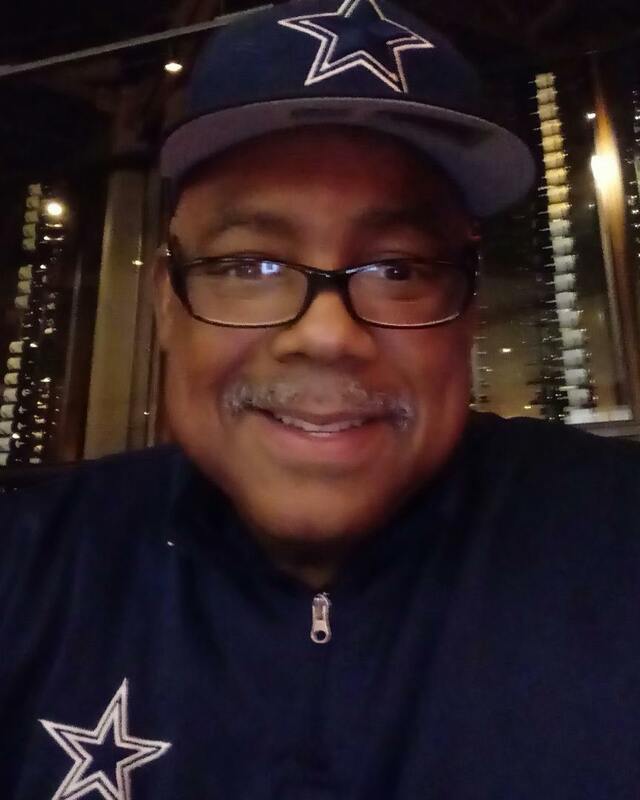 Please enjoy a show, meal or shopping until such weather passes. 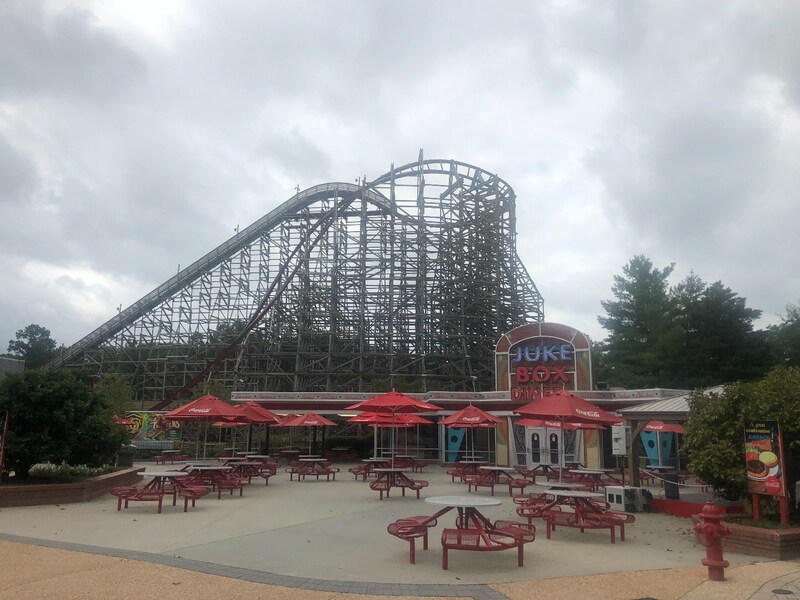 Sorry, no rain checks or refunds once you have entered the park. 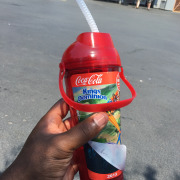 Am I permitted to bring my own food and beverages into the park? 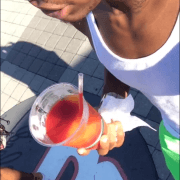 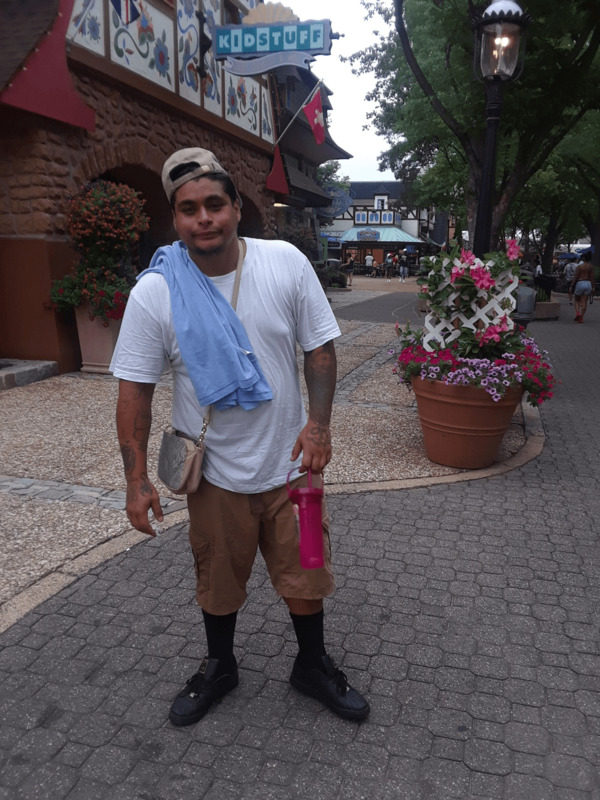 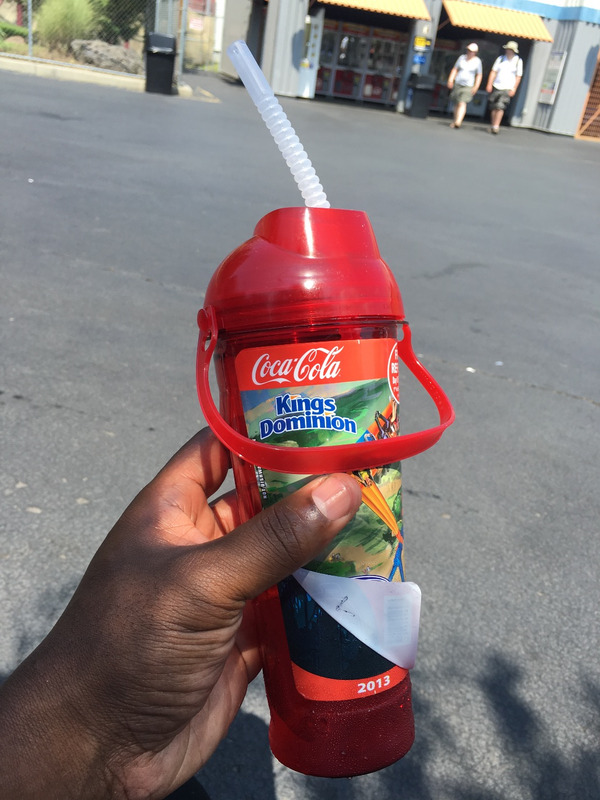 For everyone's safety, guests are not permitted to bring coolers, outside food, or other drinks into Kings Dominion. 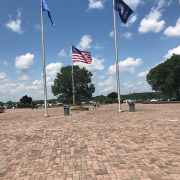 Three shaded picnic areas are available in the guest parking lot. 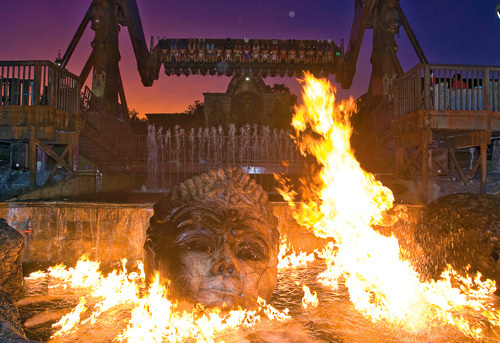 Grills and open fires are not allowed. 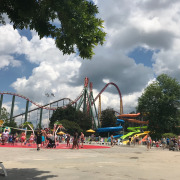 Individuals who have special diets or need items due to a medical condition are asked to visit Guest Services located at the Front Gate for accommodation. 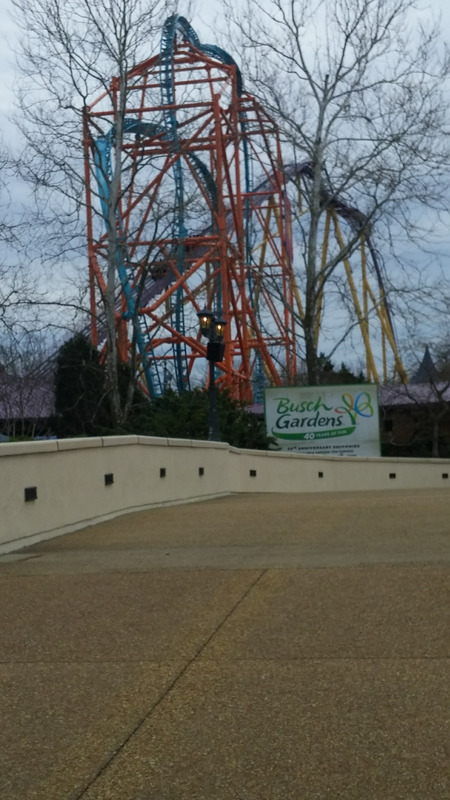 How do I re-enter if I have to leave the park for some reason? 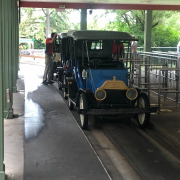 Hand stamps are available at designated exit turnstiles when leaving the park. 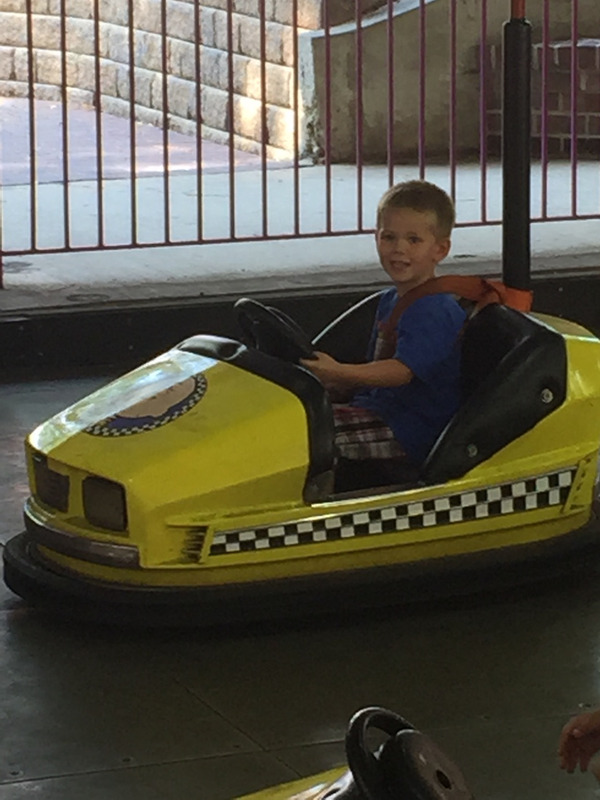 To re-enter the parking lot, display your parking ticket on your dashboard. 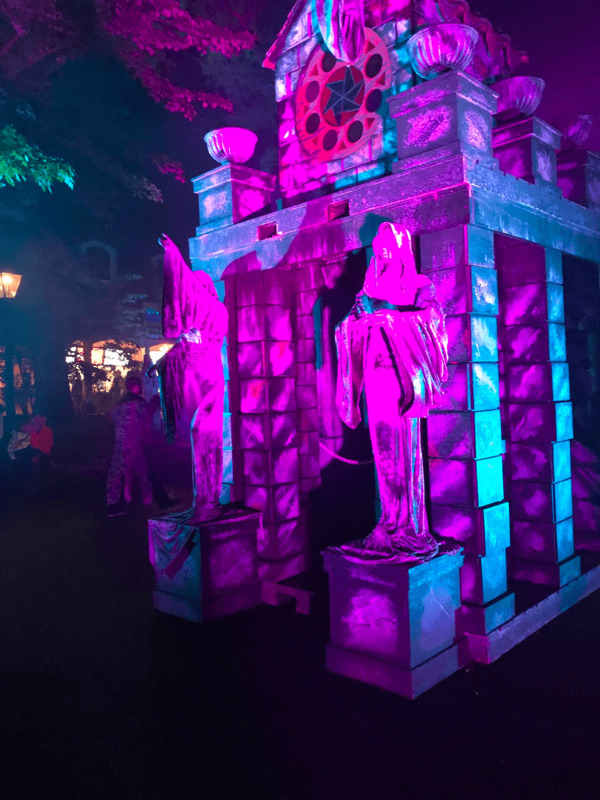 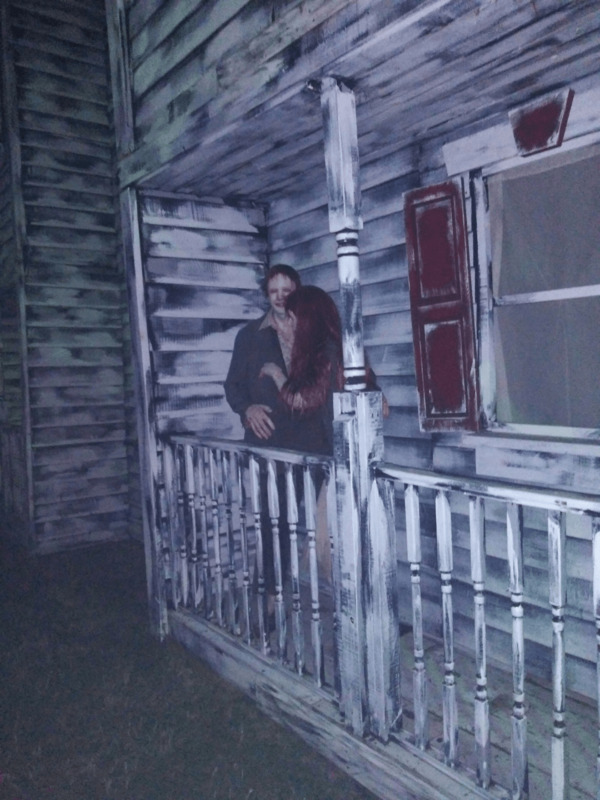 There are no re-entries after 7:00 pm during Halloween Haunt. 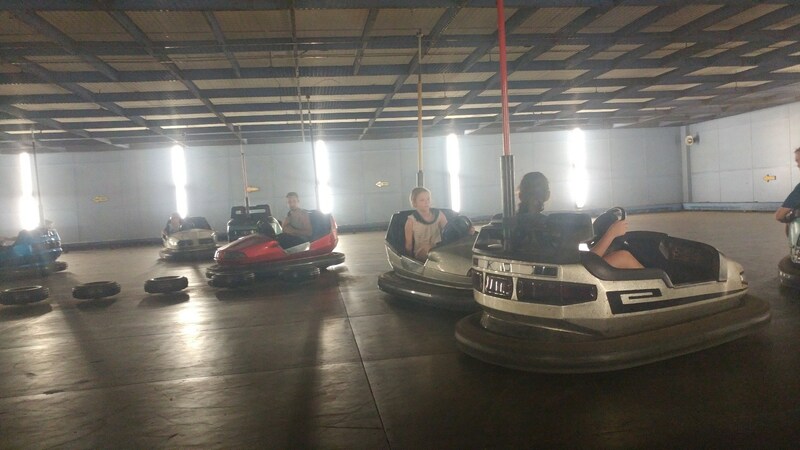 Are wheelchairs available for rent? 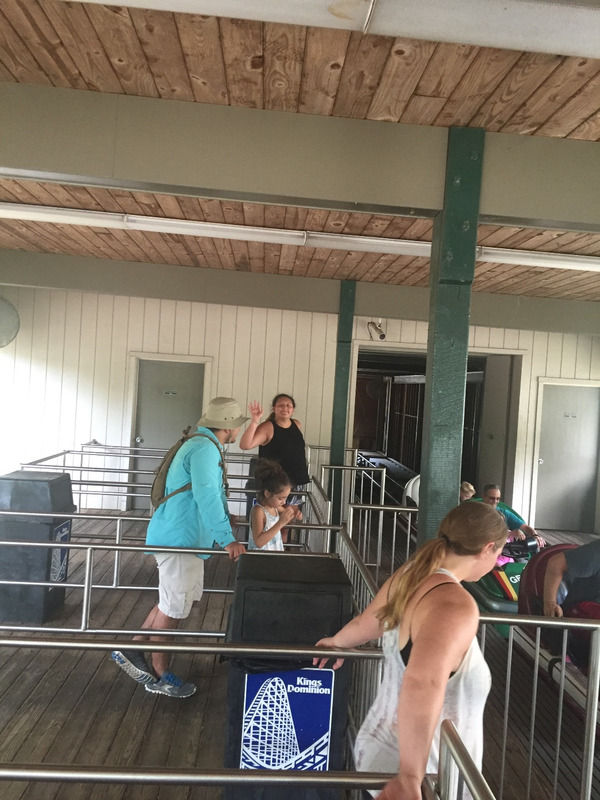 Wheelchair rentals are available at the Stroller/Wheelchair Rental Center near the Main Entrance. 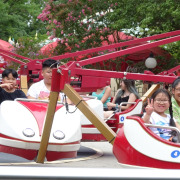 A limited supply of motorized wheelchairs are available for rent for a fee. 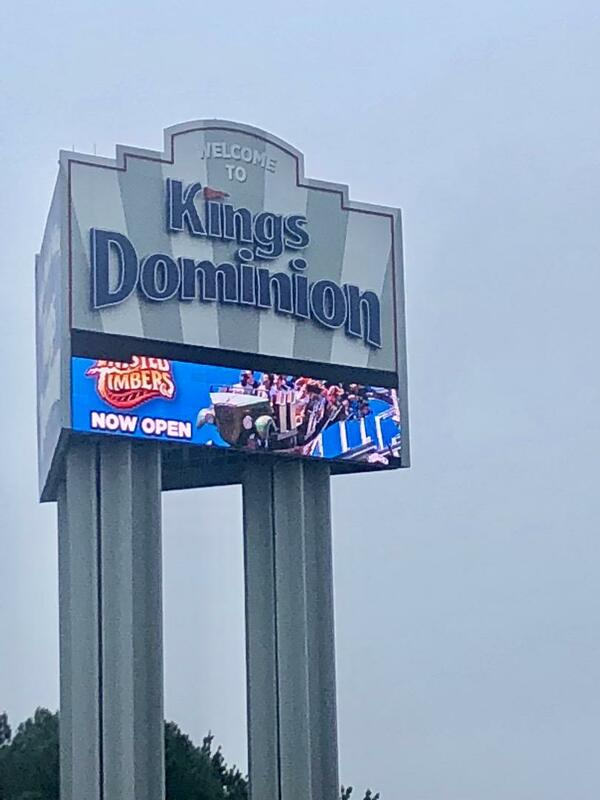 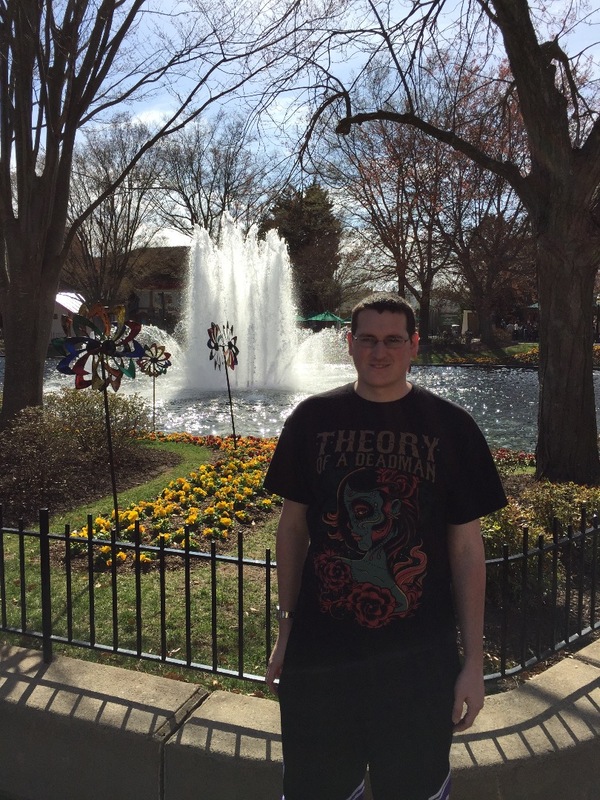 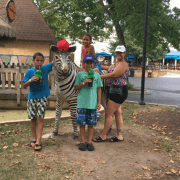 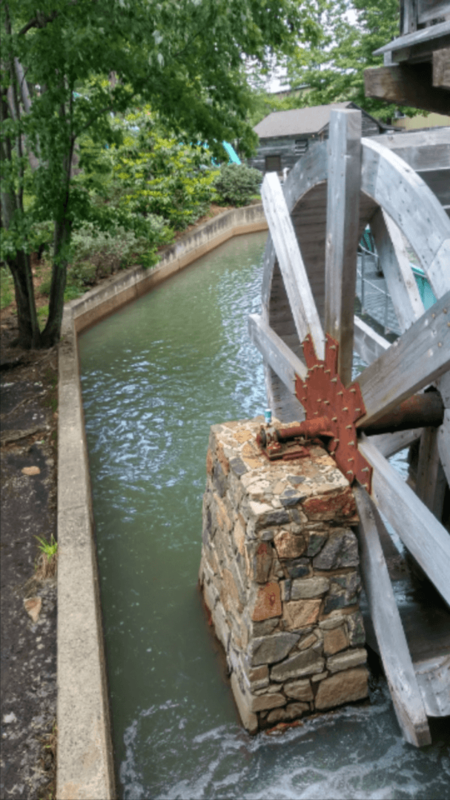 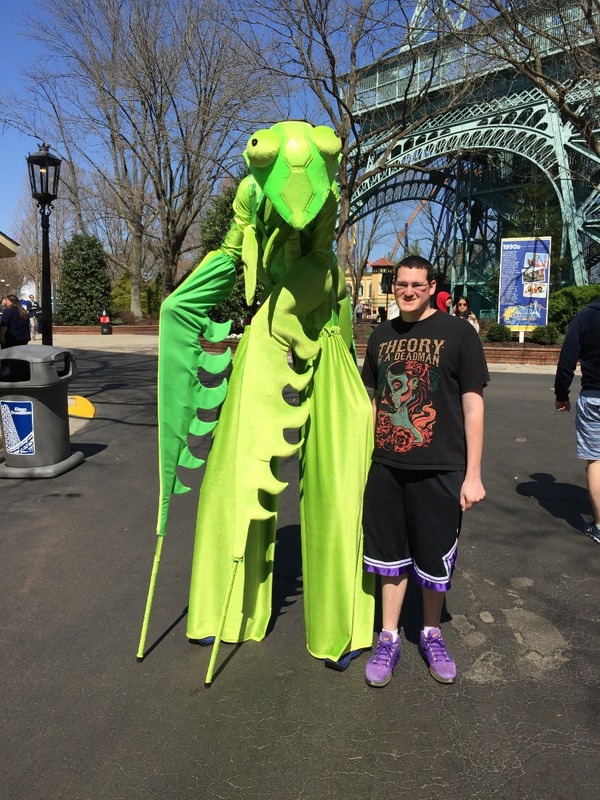 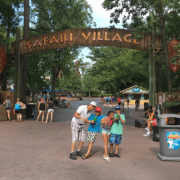 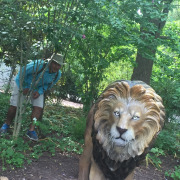 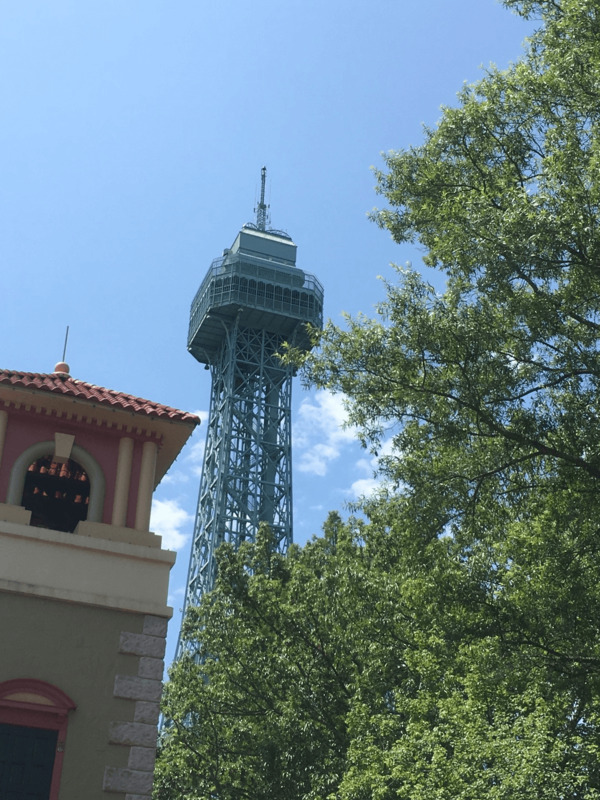 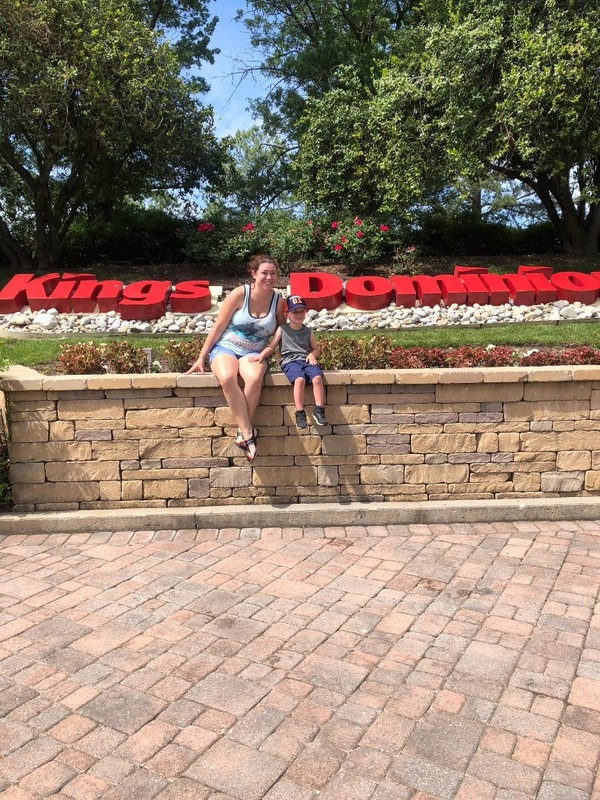 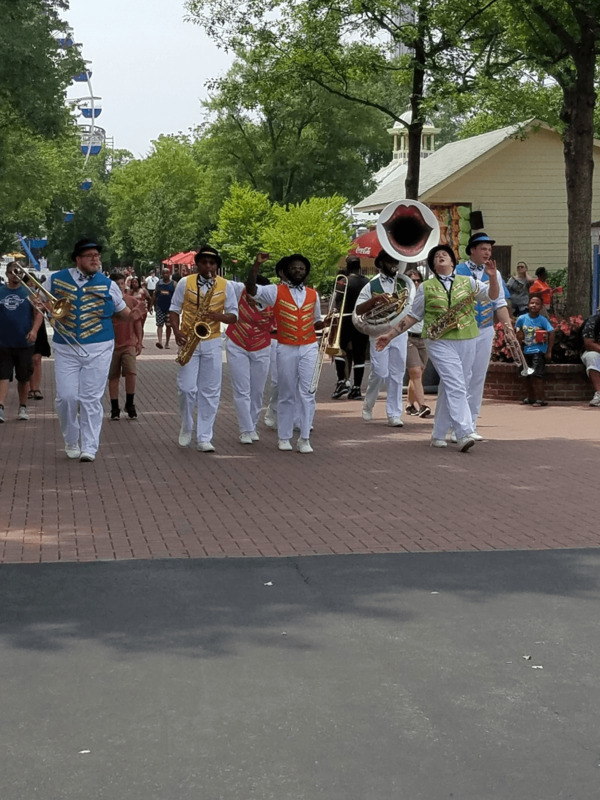 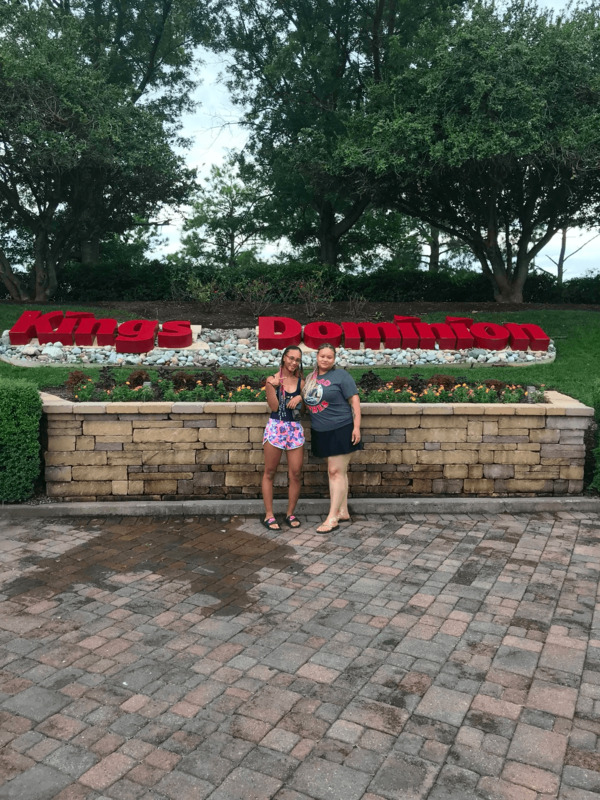 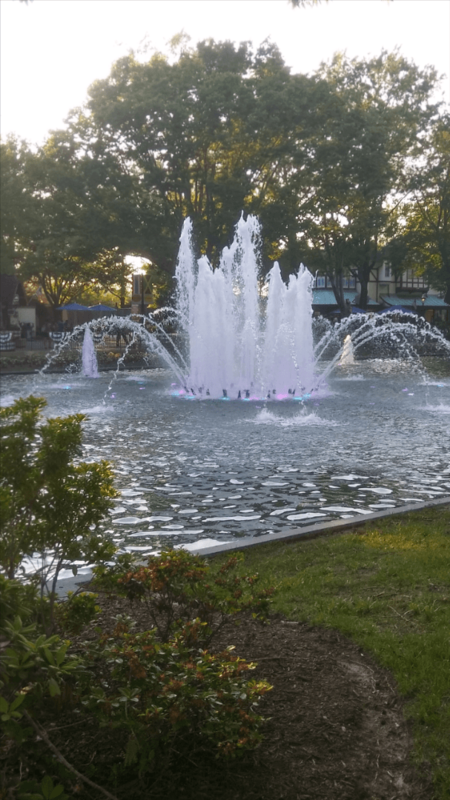 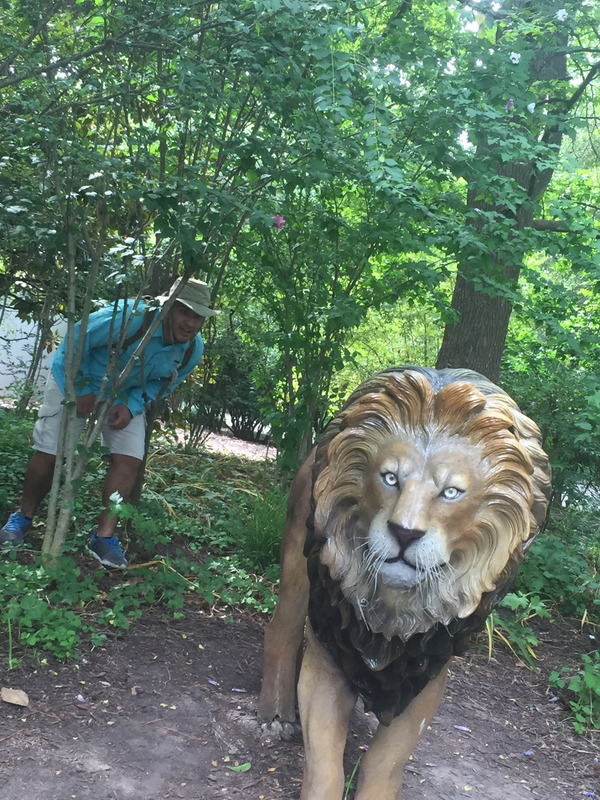 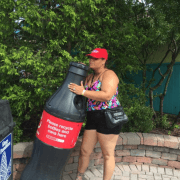 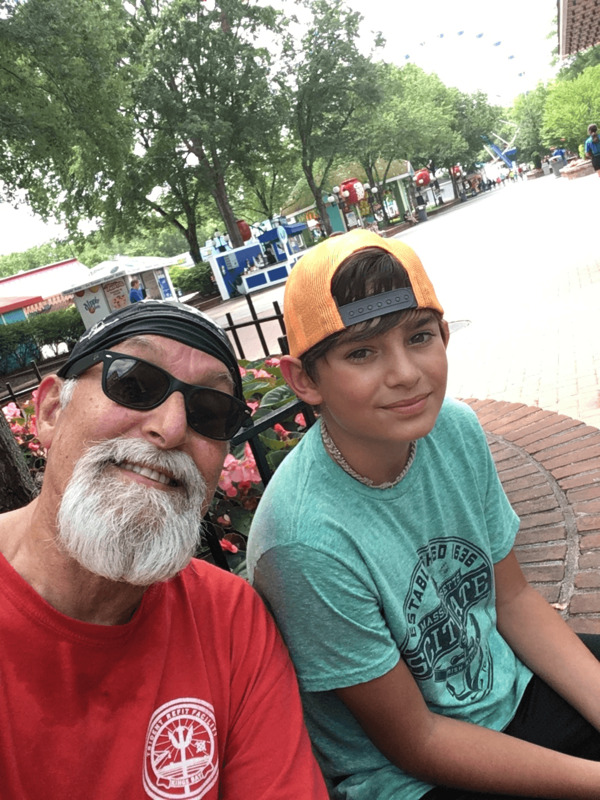 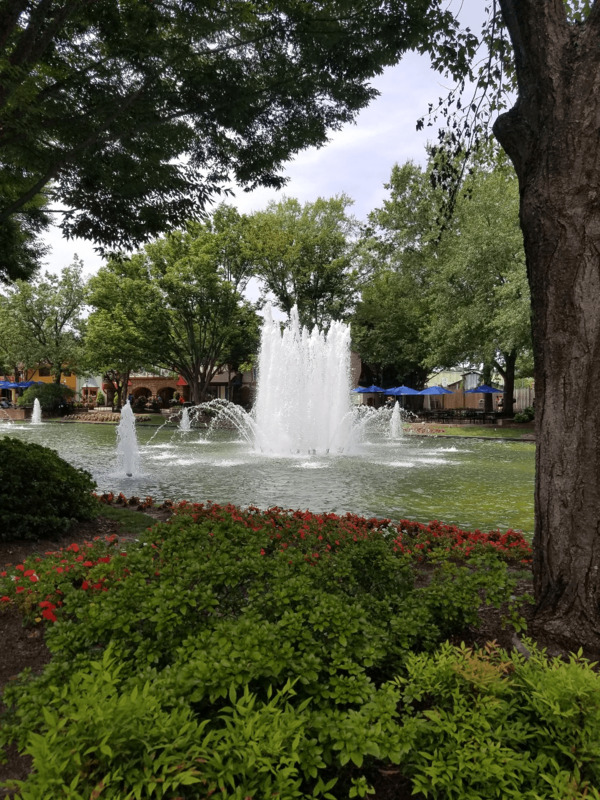 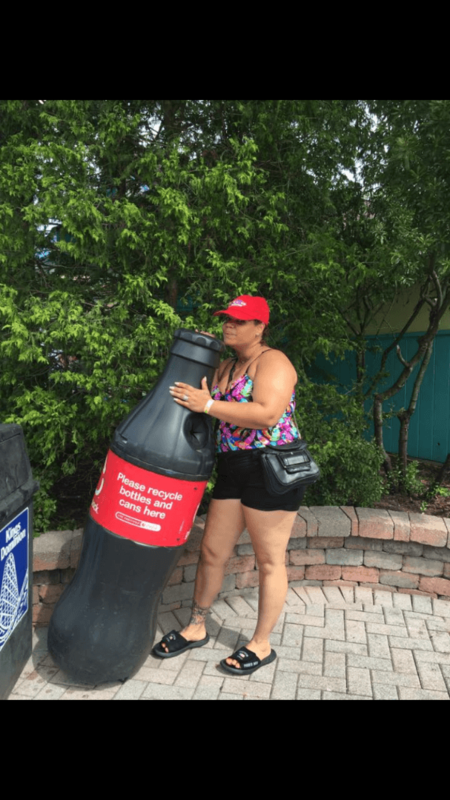 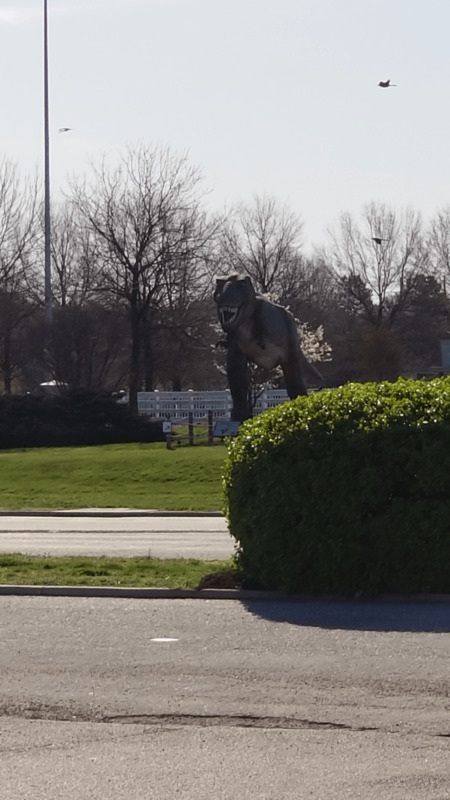 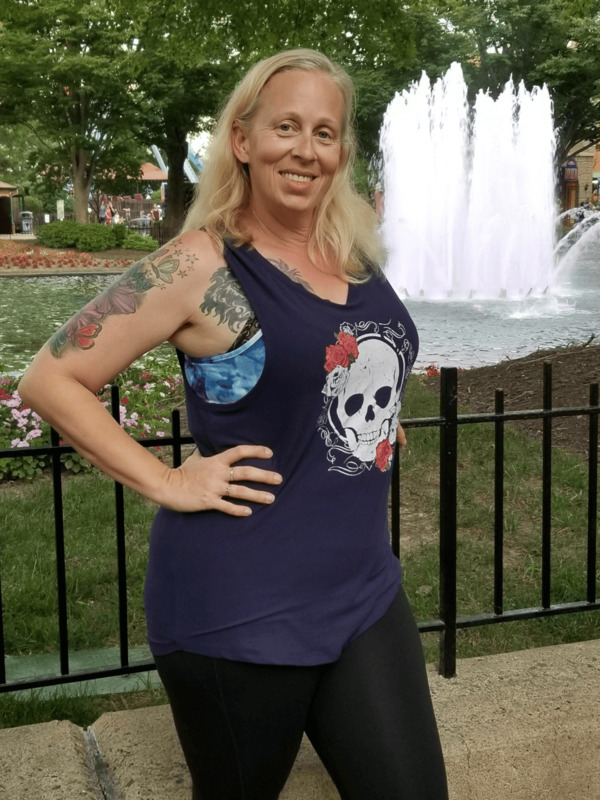 Do you allow pets at Kings Dominion? 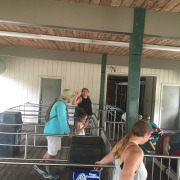 Only guide dogs and service animals are permitted in the park. 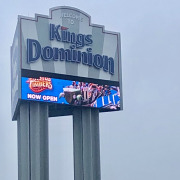 Your pet may be left at the Kings Dominion Pet Care Center located outside the Front Gate during park operating hours. 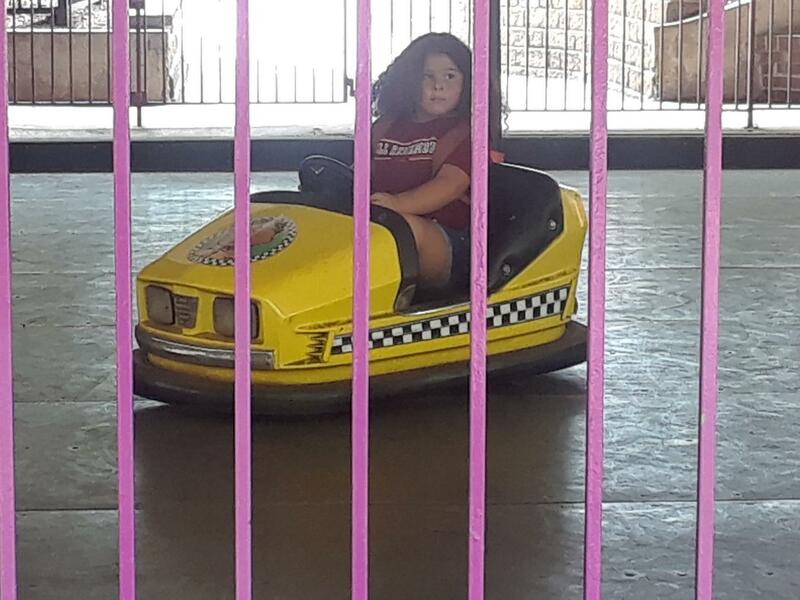 A $5 fee is required. 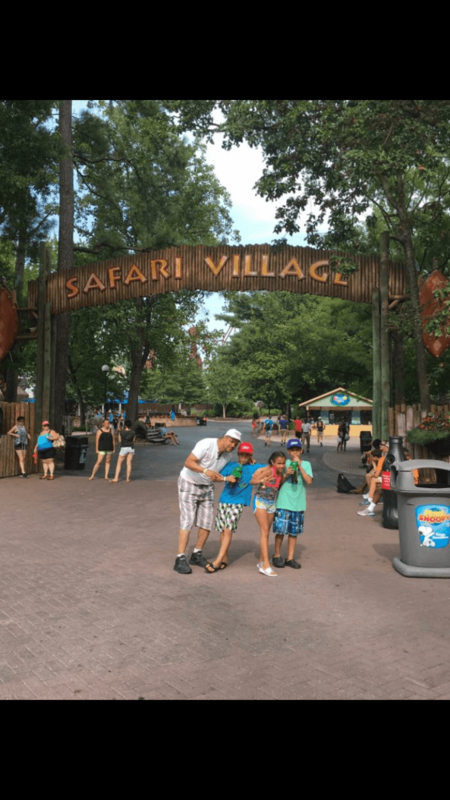 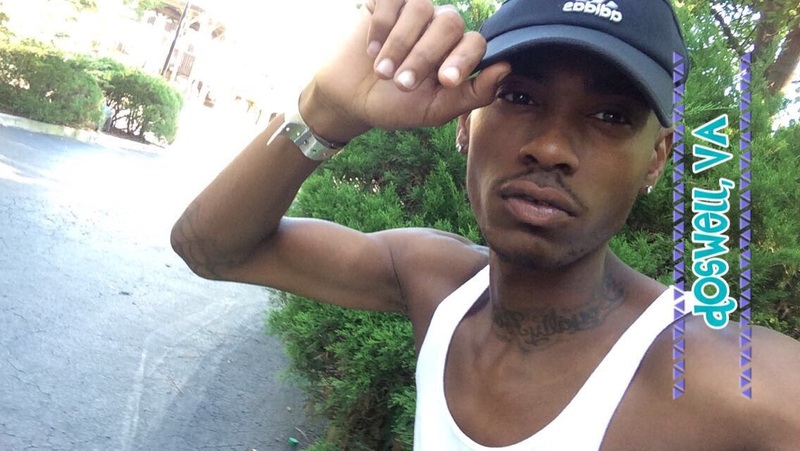 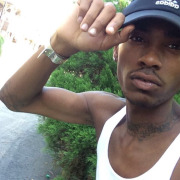 Is smoking permitted in the park? 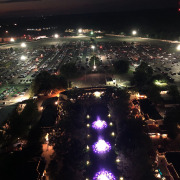 For the comfort of our guests, smoking is prohibited except in designated smoking areas. 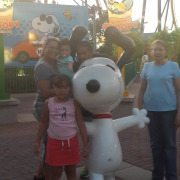 Please note that our children’s area and Planet Snoopy are smoke-free. 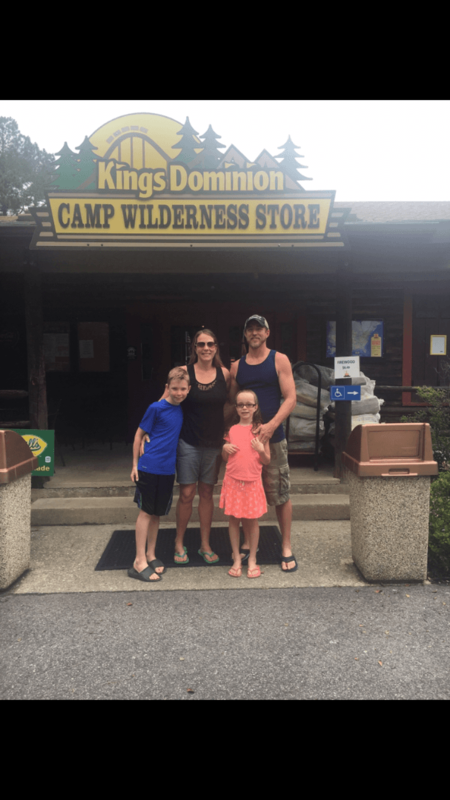 Are there places in the park to store my belongings? 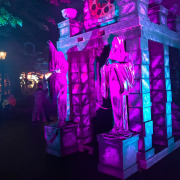 Lockers are available for rent on a first-come, first-served basis near the Front Gate. 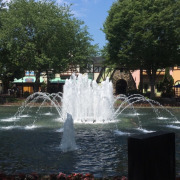 Additional lockers are available for rent in WaterWorks. 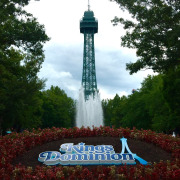 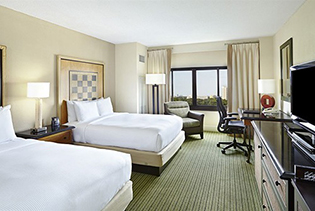 Your admission to Kings Dominion includes all rides, live shows and attractions, and the Soak City Waterpark. 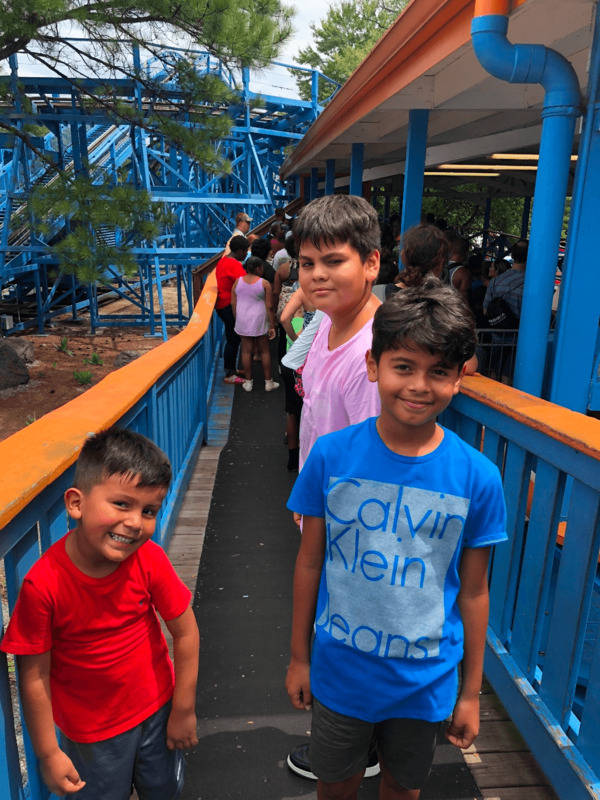 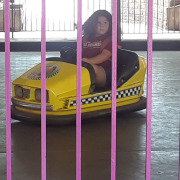 Your admission ticket does not include three paid attractions (Grand Prix Raceway, Xtreme Flyer and Dinosaurs Alive!) or events which require a separate admission. 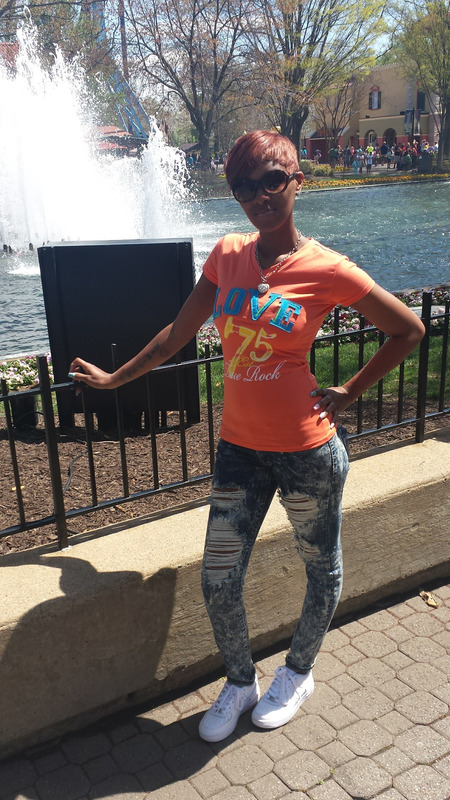 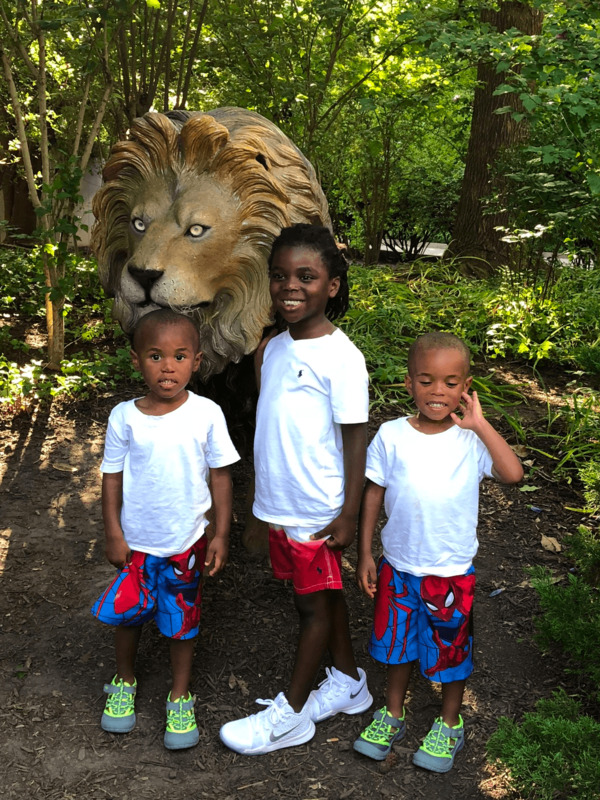 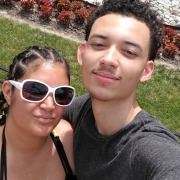 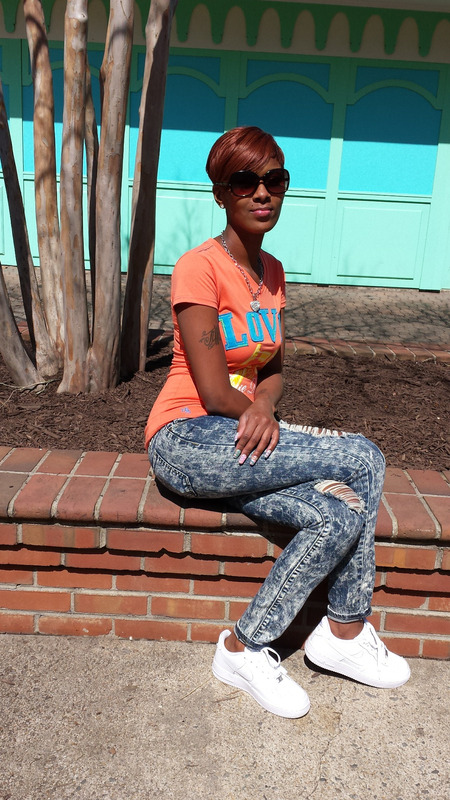 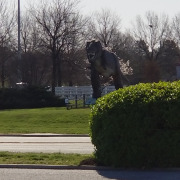 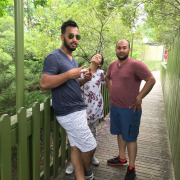 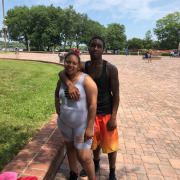 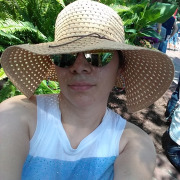 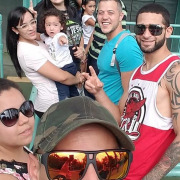 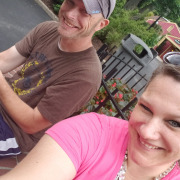 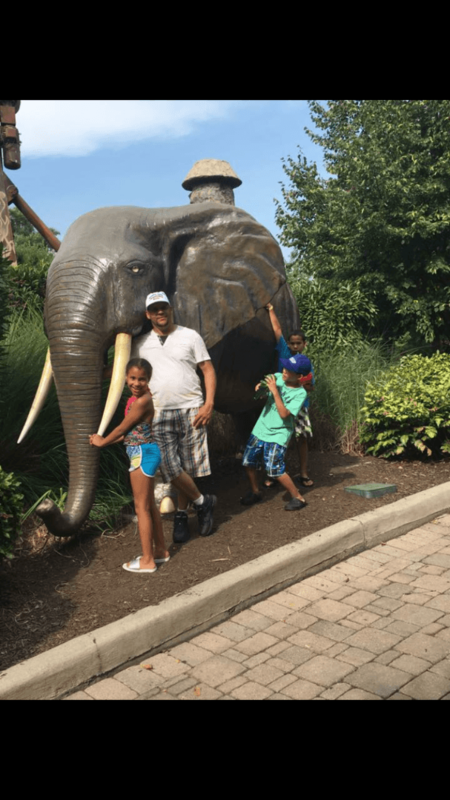 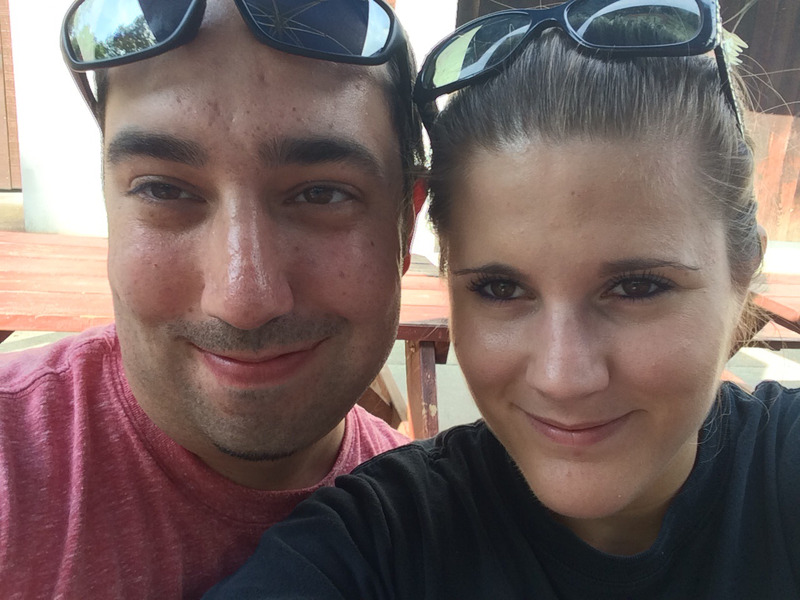 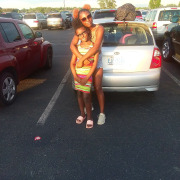 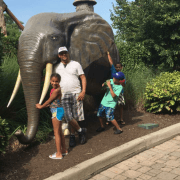 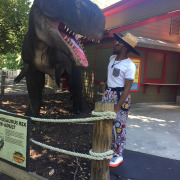 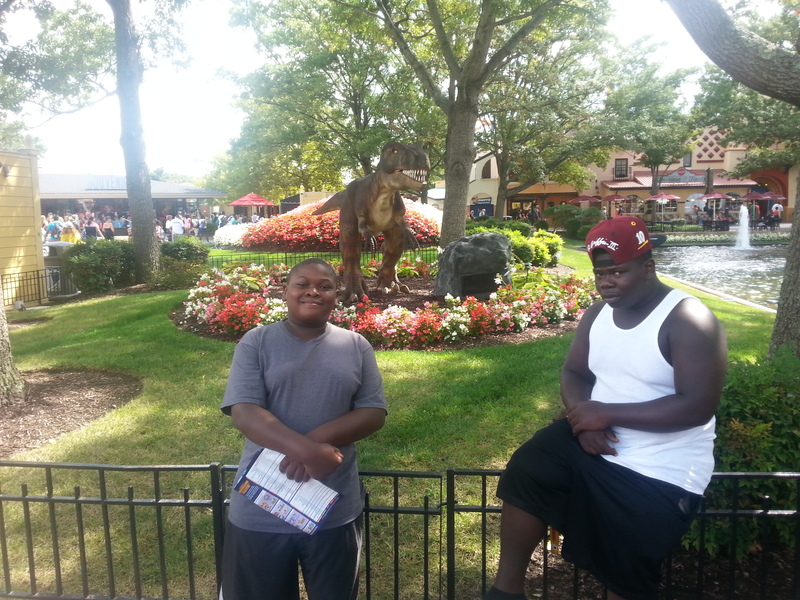 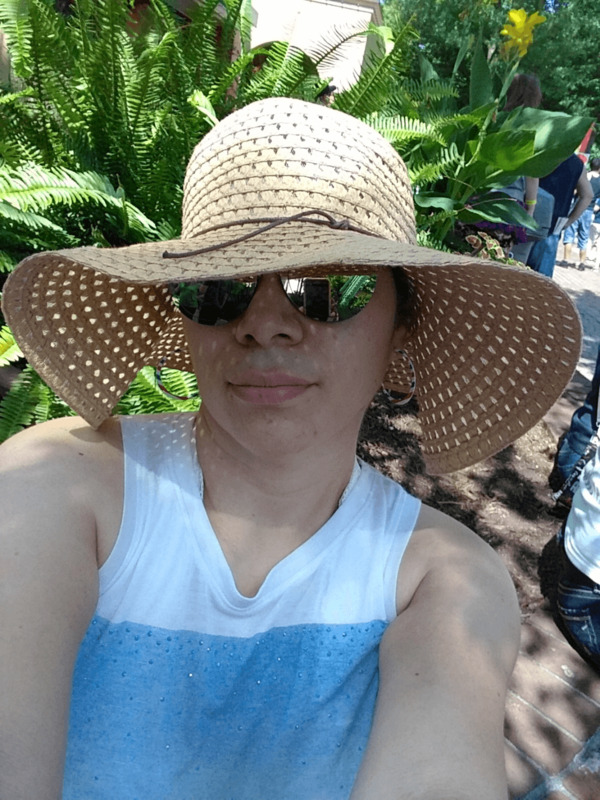 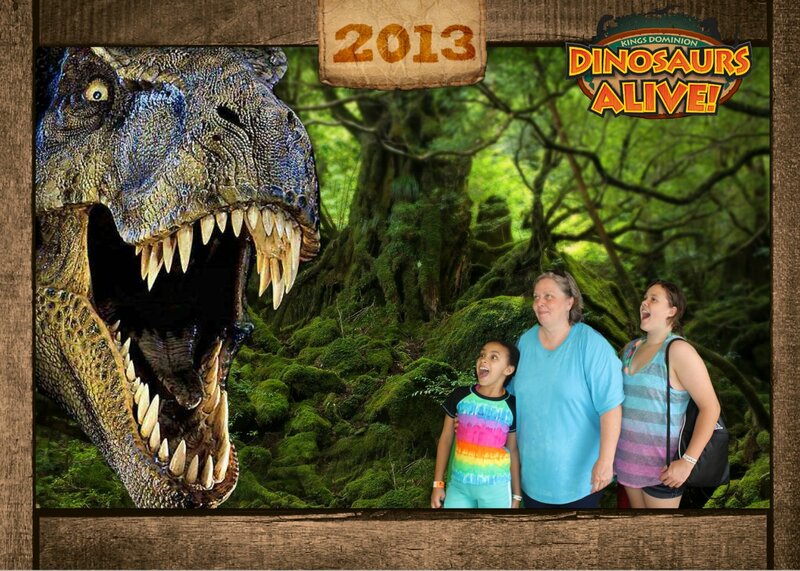 Dinosaurs Alive! 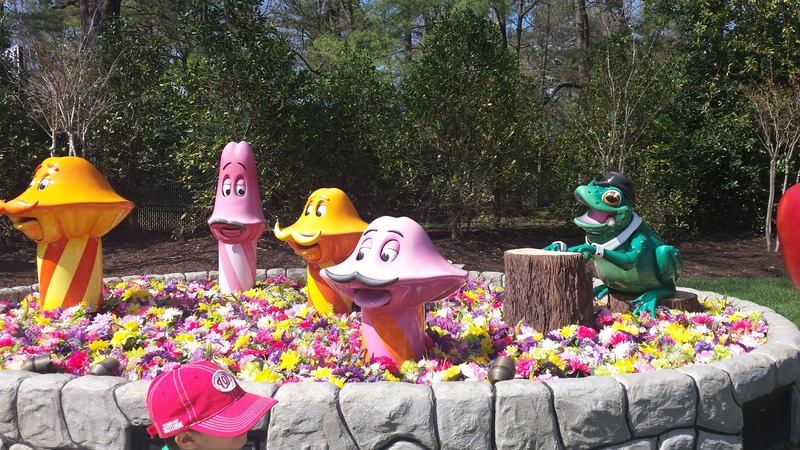 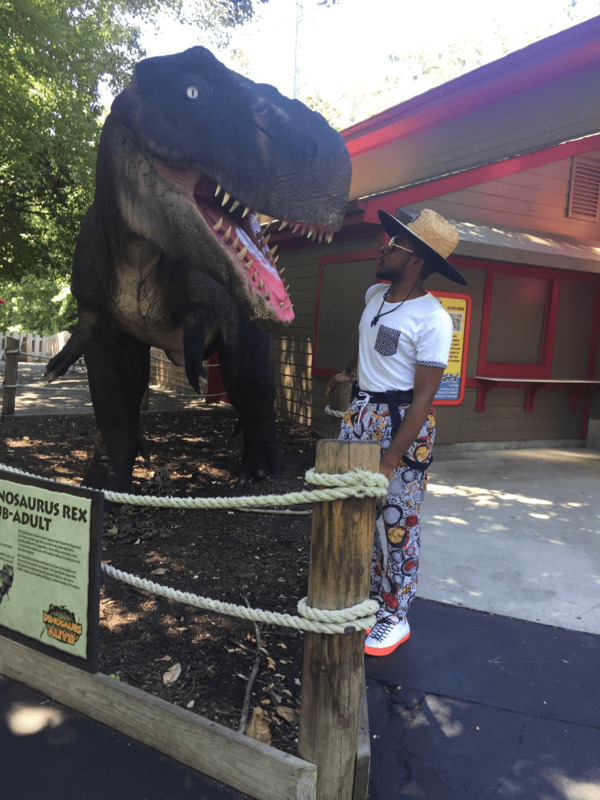 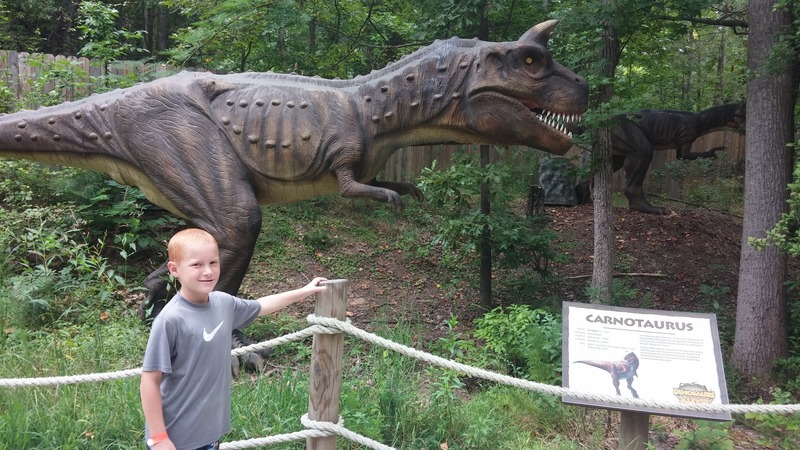 at Kings Dominion features 42 life-sized, moving dinosaurs in a spectacular 6-acre forest setting. 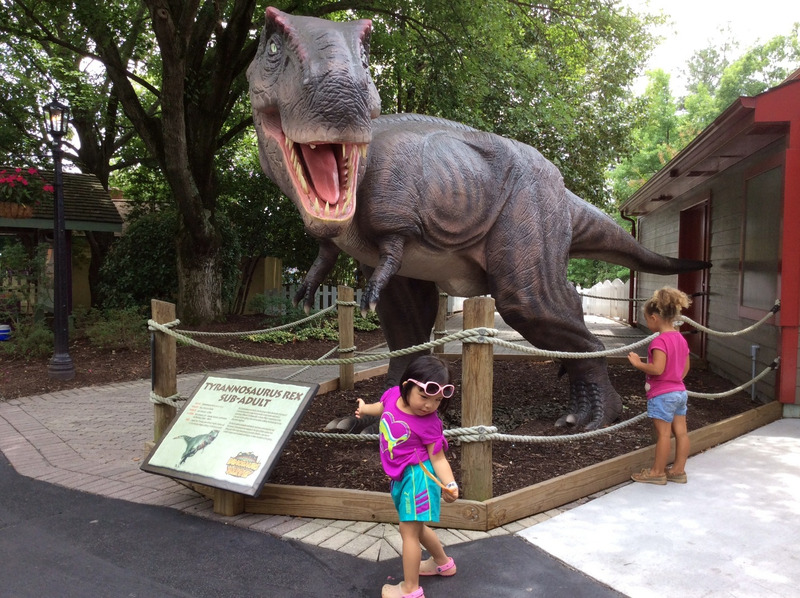 Dinosaurs Alive is not included with park admission. 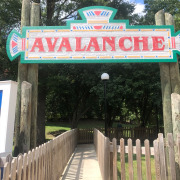 A separate admission is required. 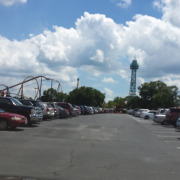 Parking is $20 per vehicle for regular parking and $25 for preferred. 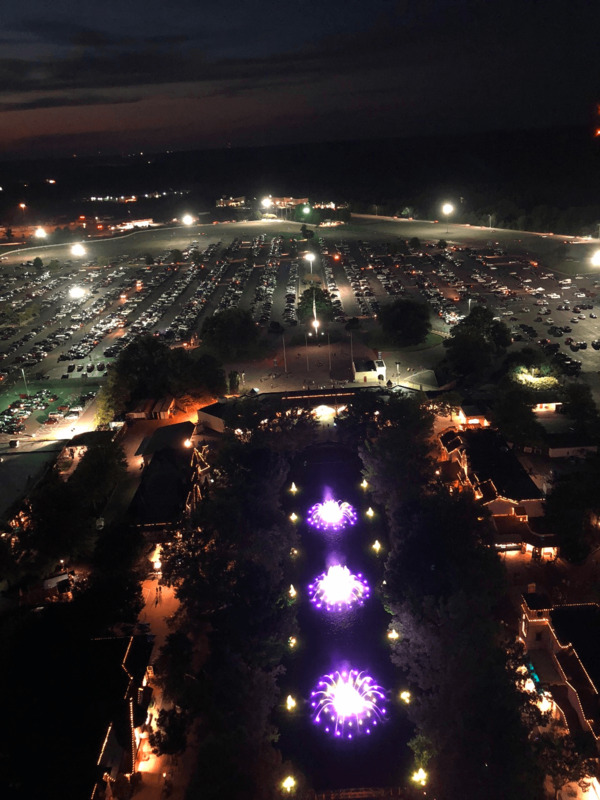 A limited number of handicap parking spaces are available near the Front Gate on a first-come, first-served basis. 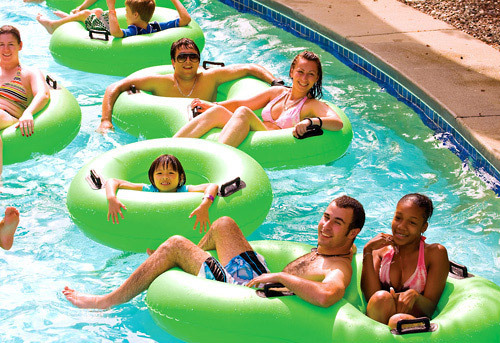 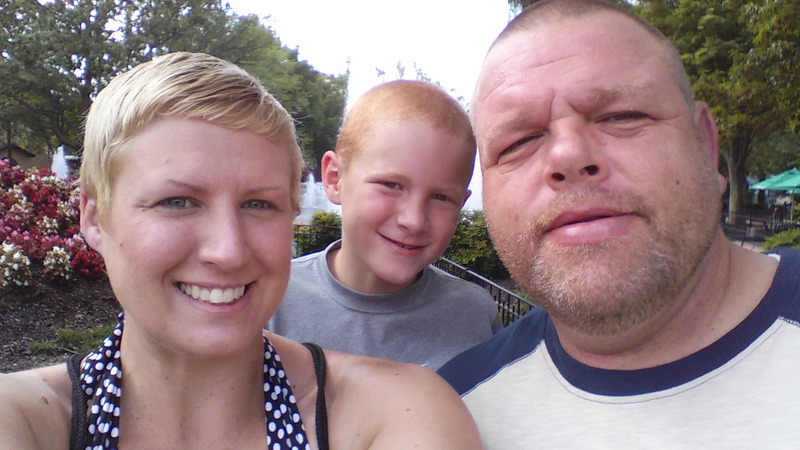 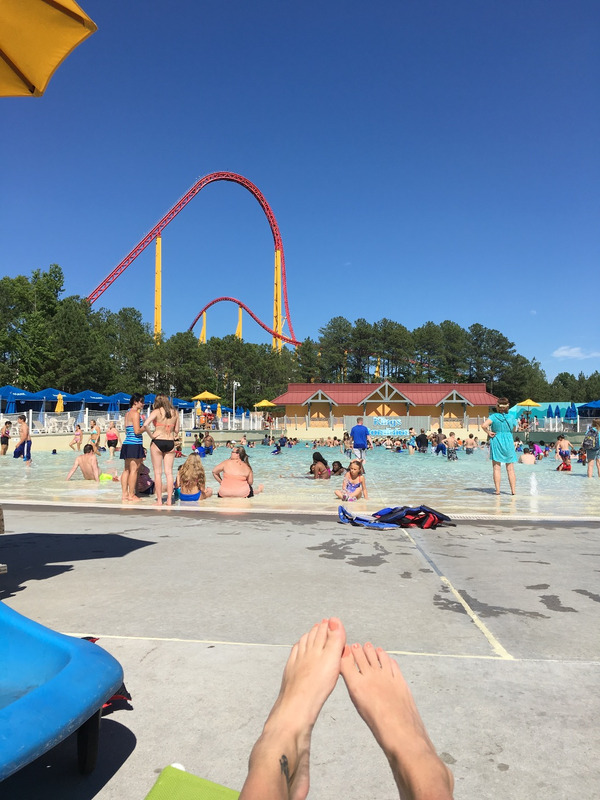 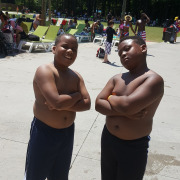 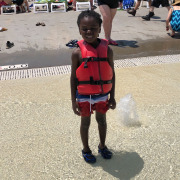 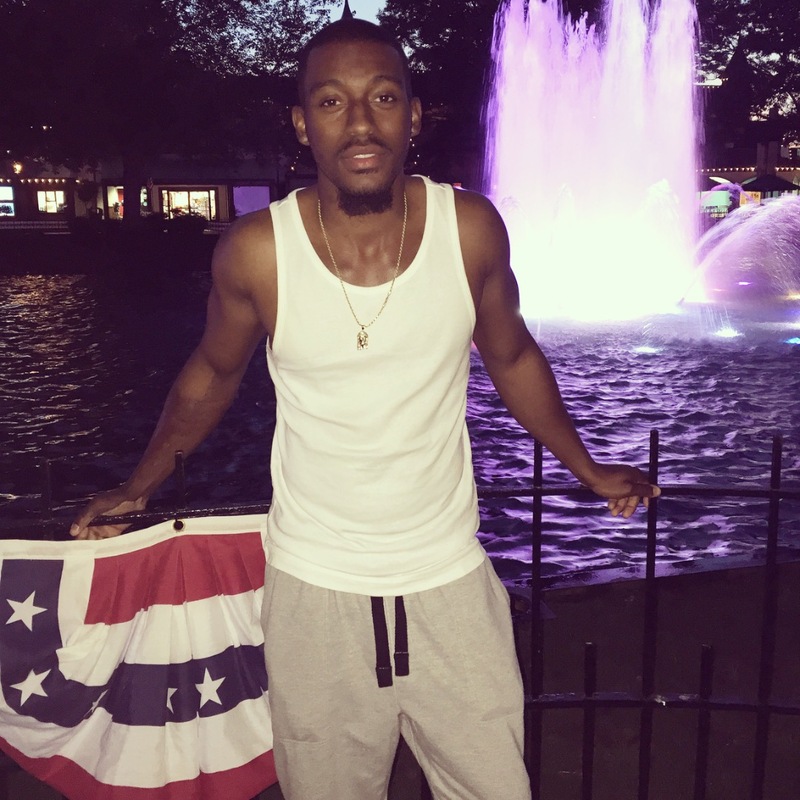 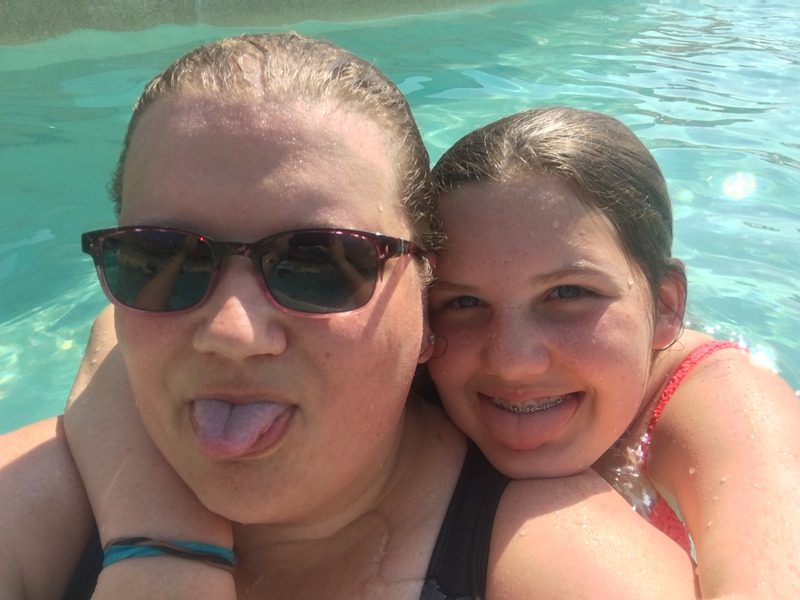 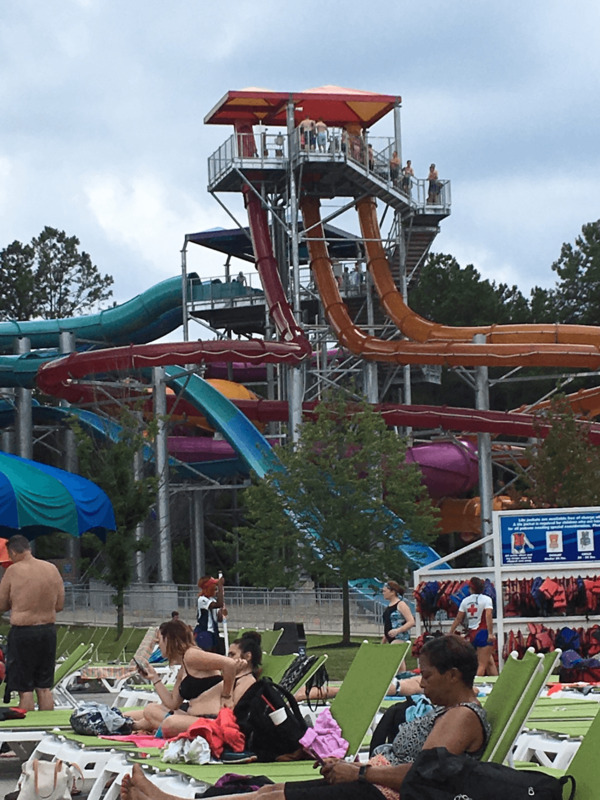 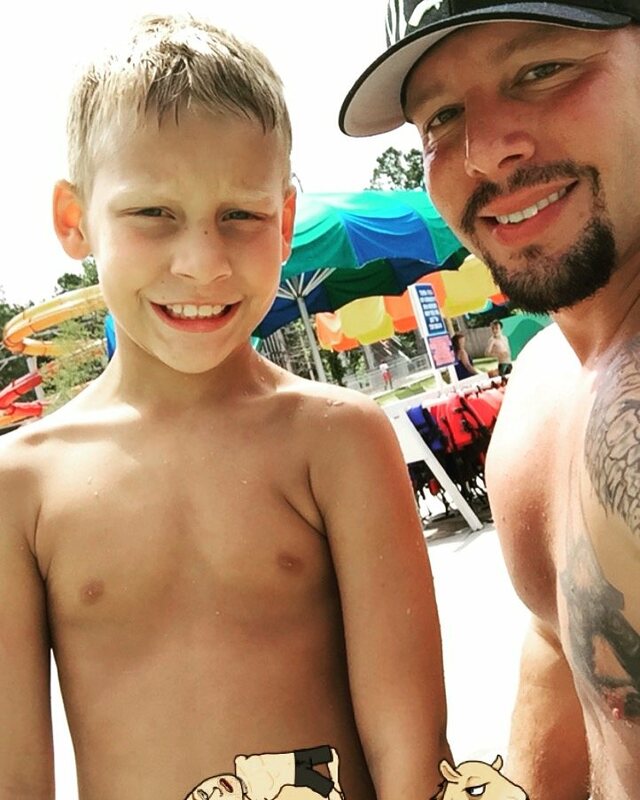 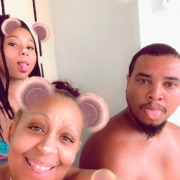 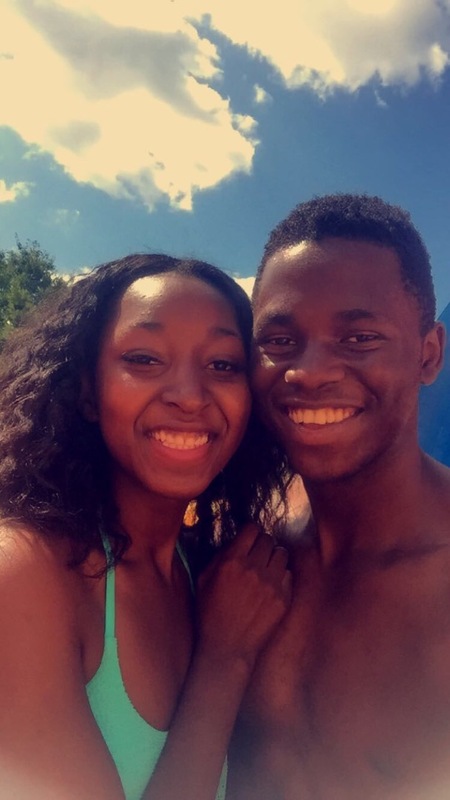 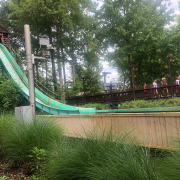 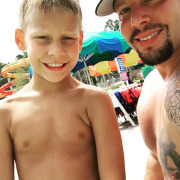 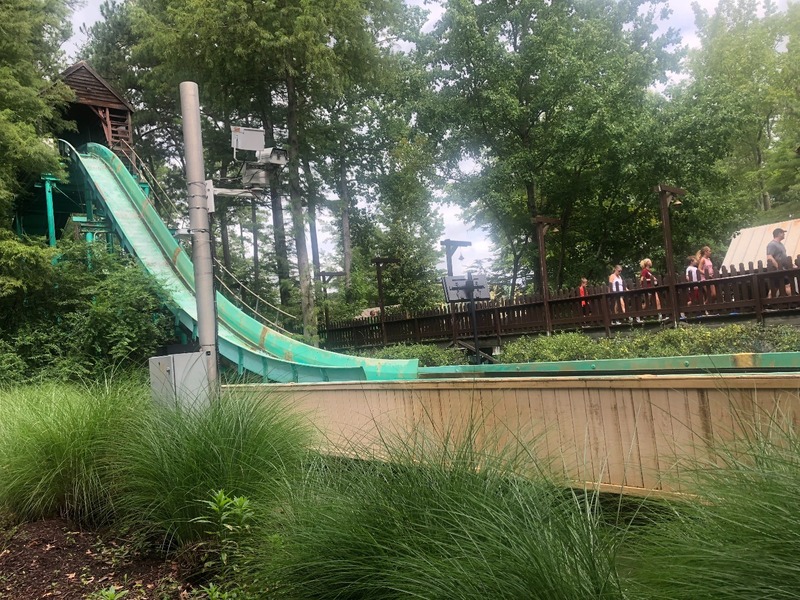 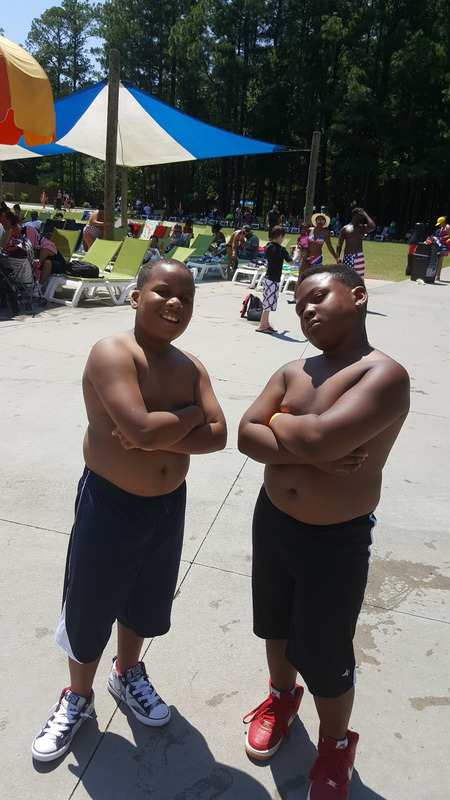 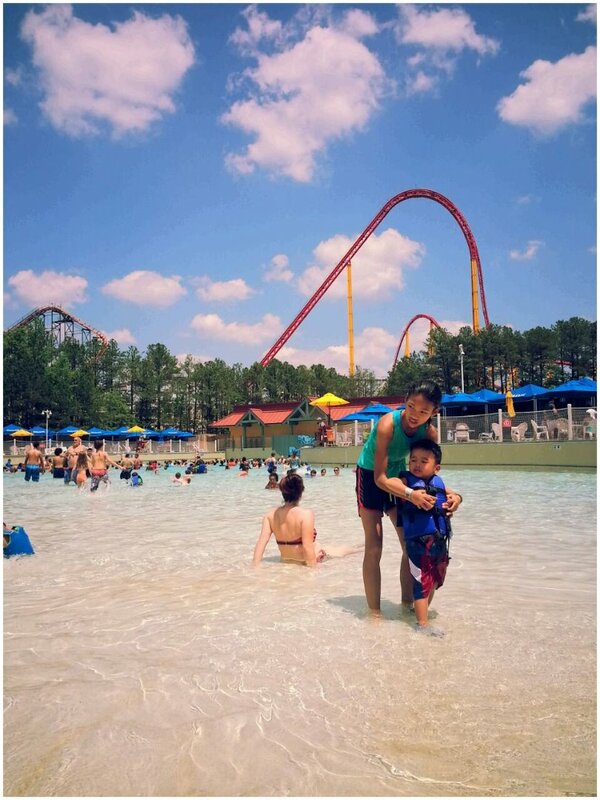 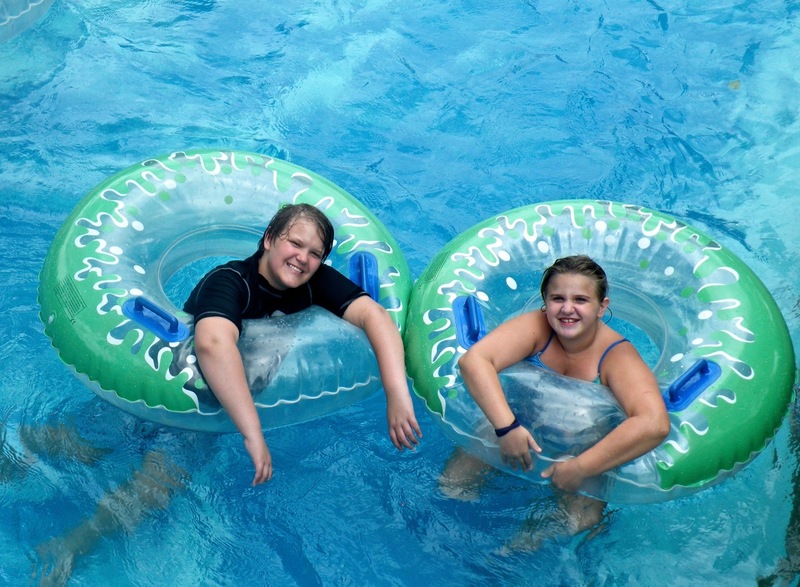 Soak City Waterpark is included FREE with park admission to Kings Dominion (seasonal). 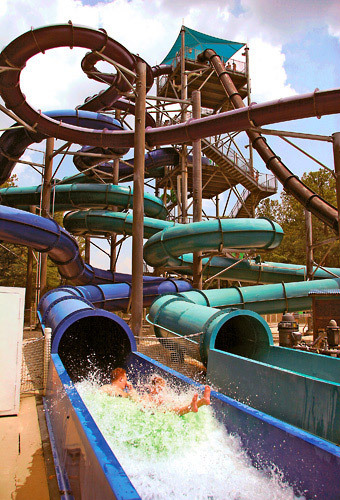 Don't forget to bring appropriate swimwear.